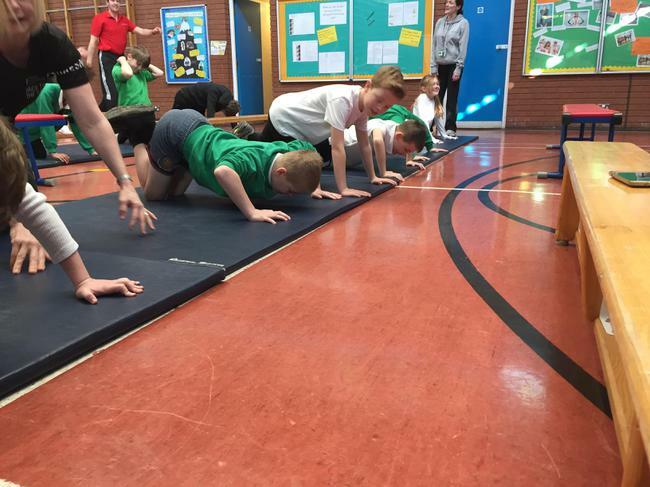 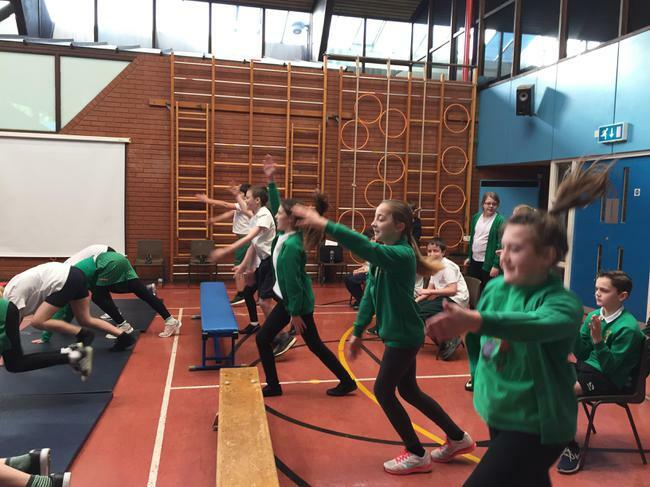 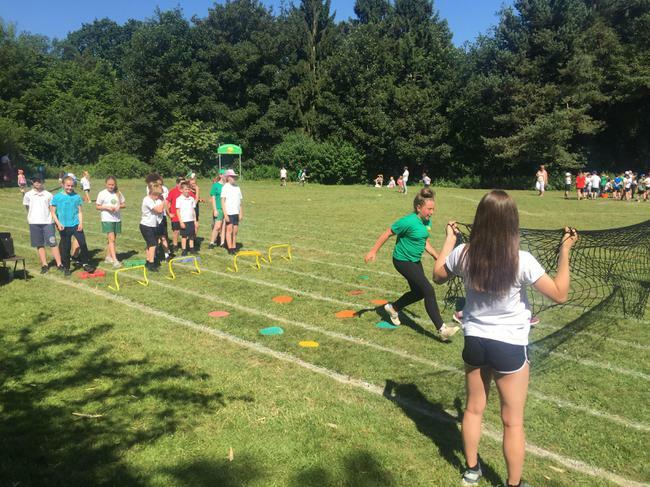 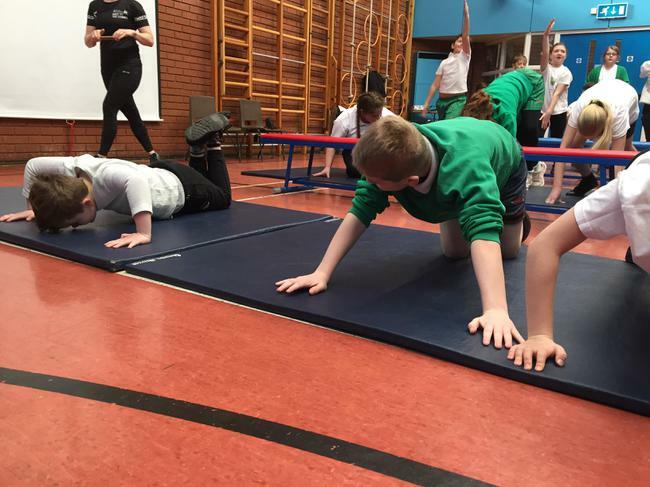 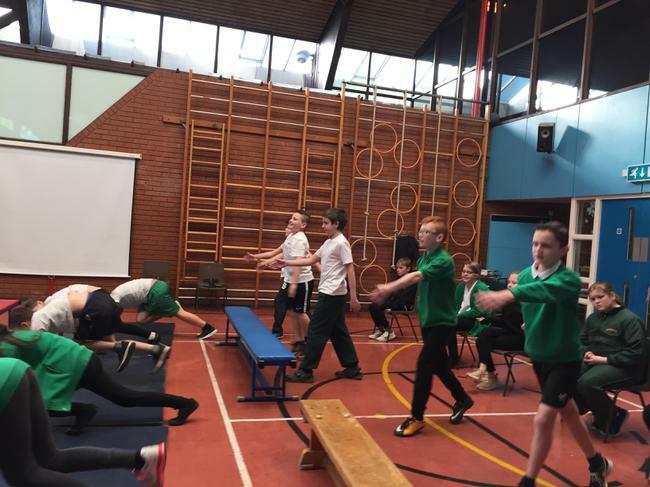 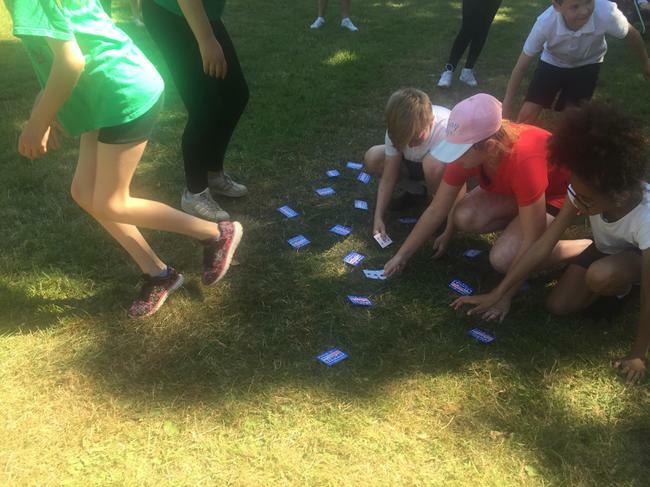 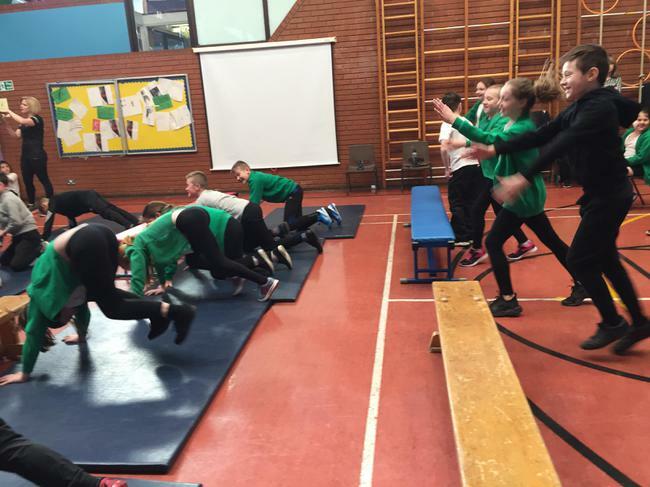 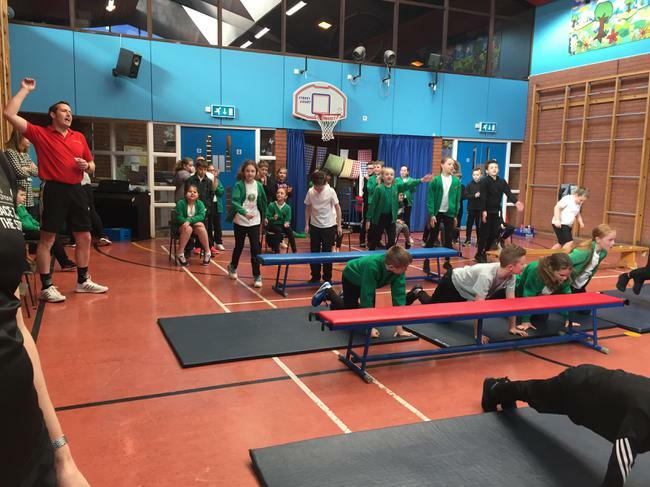 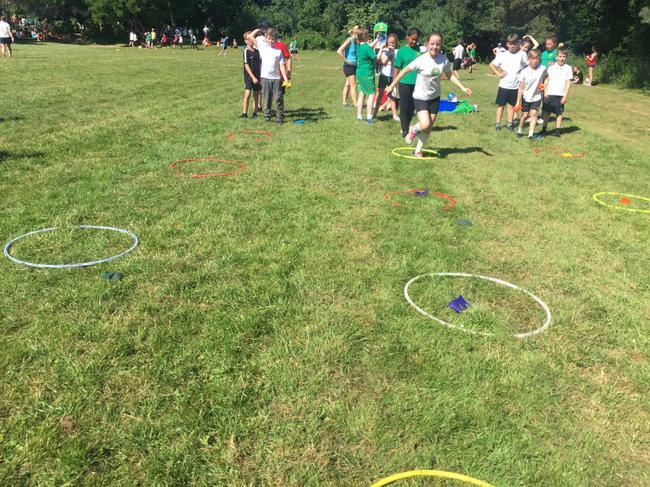 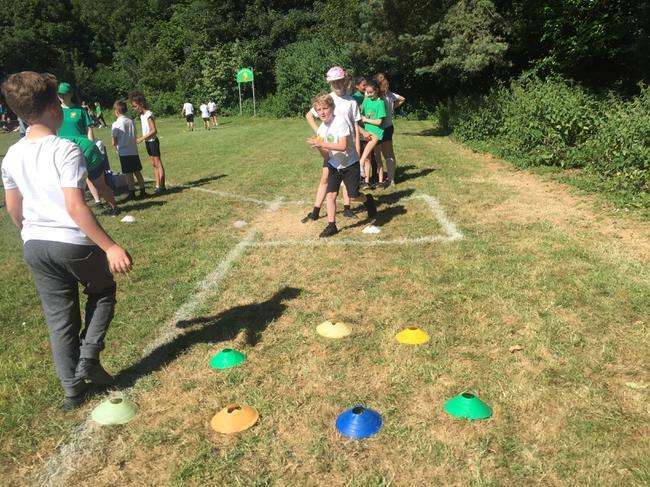 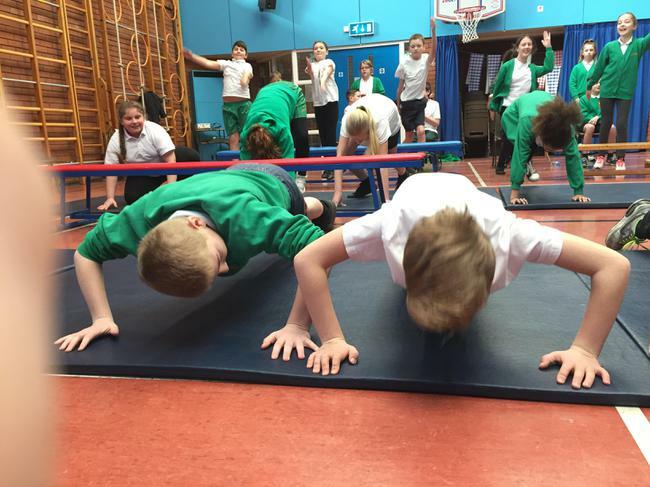 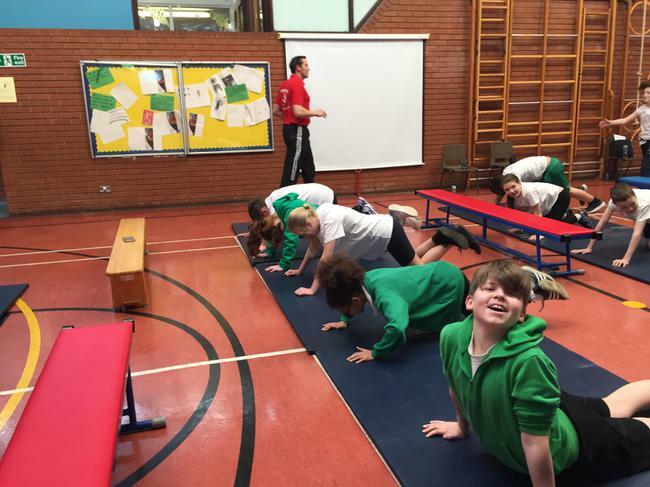 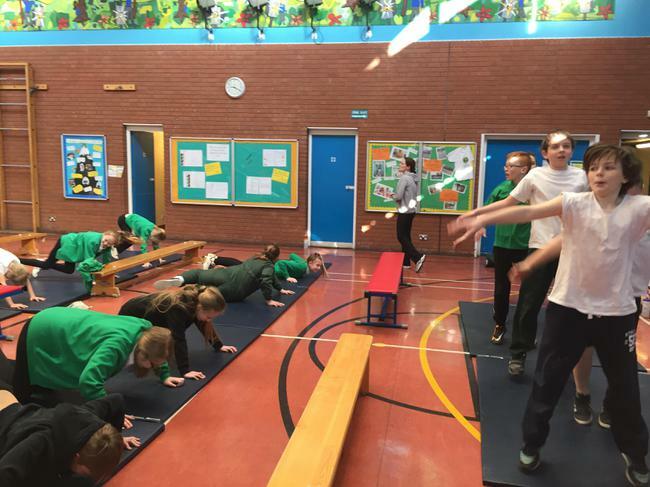 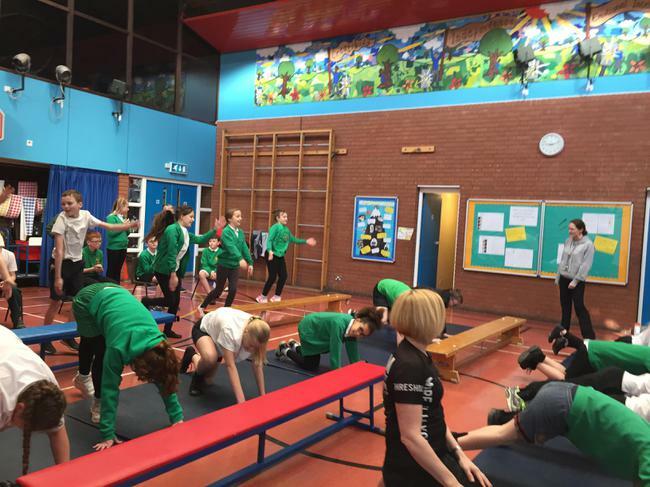 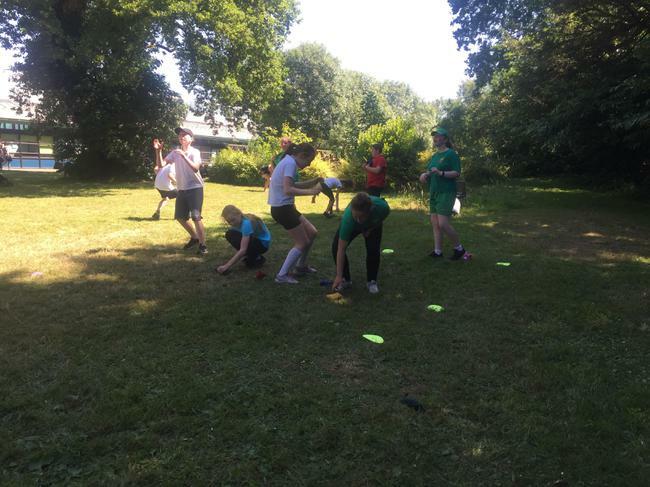 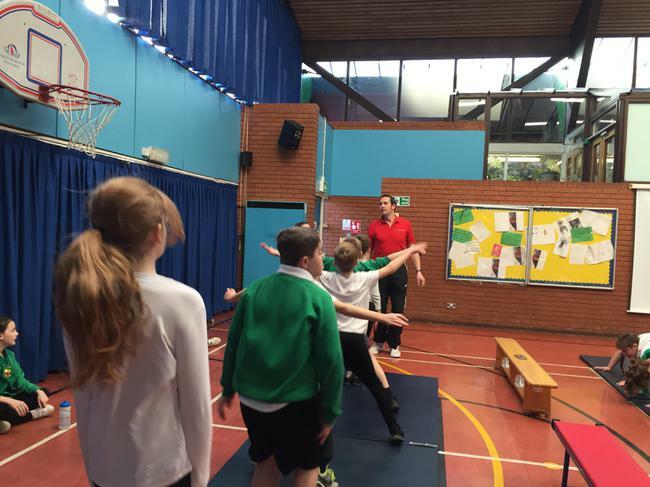 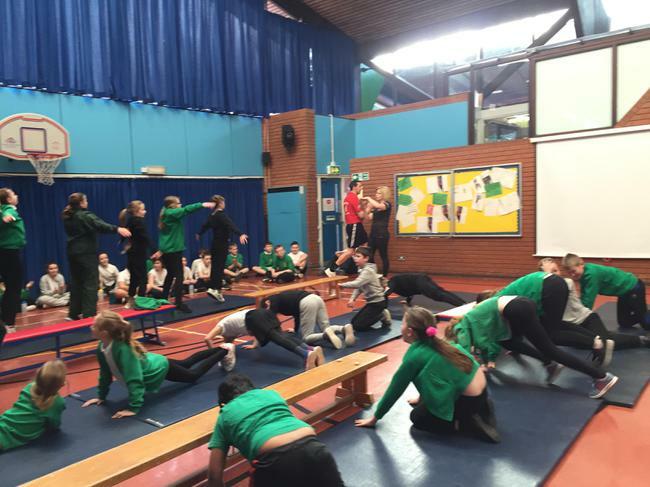 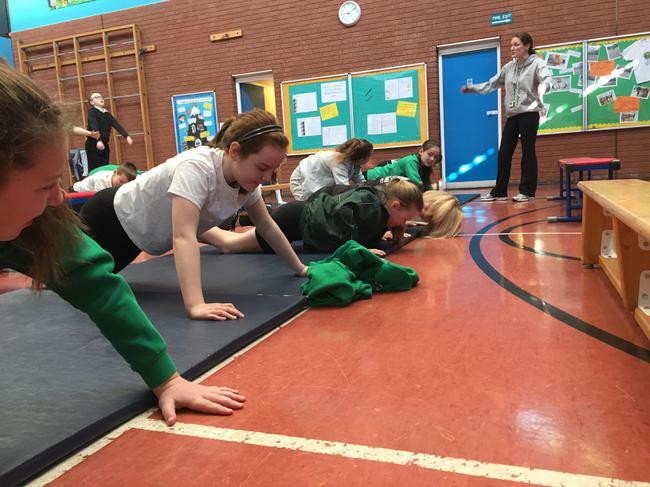 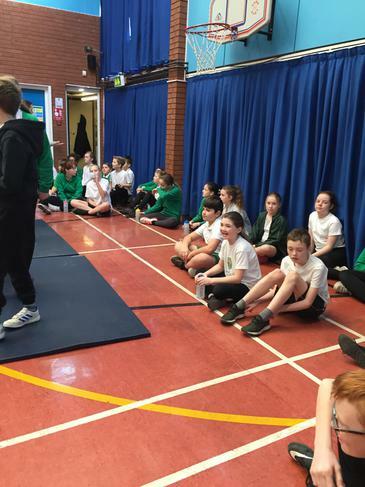 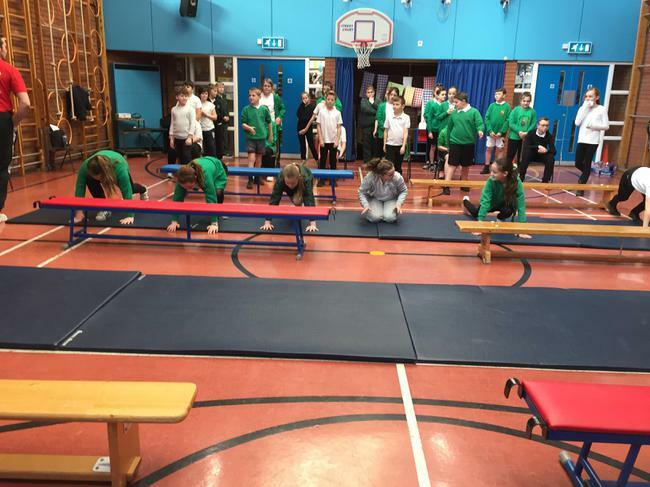 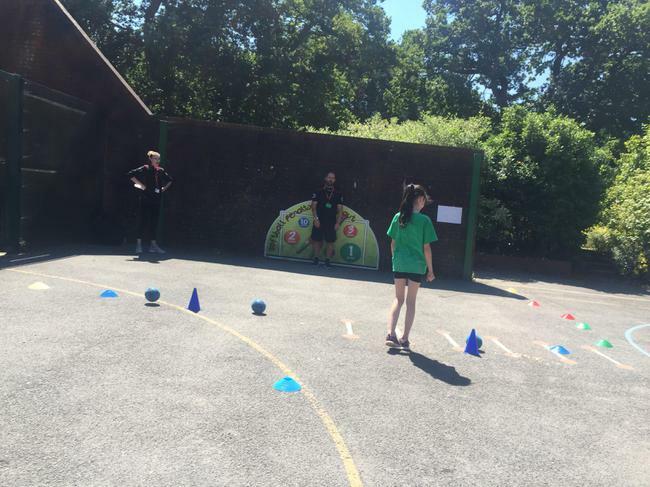 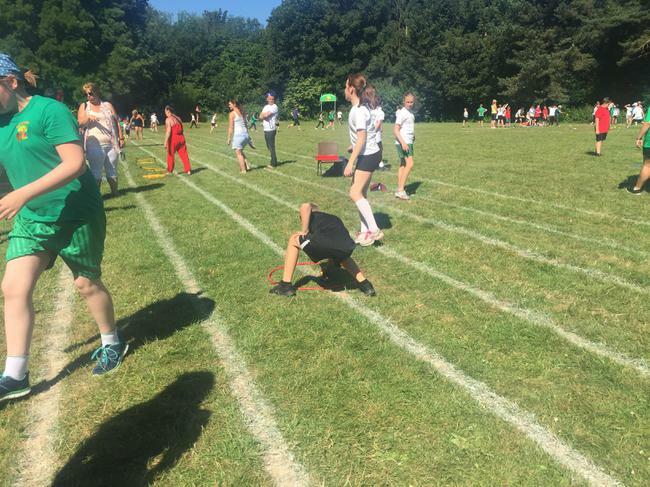 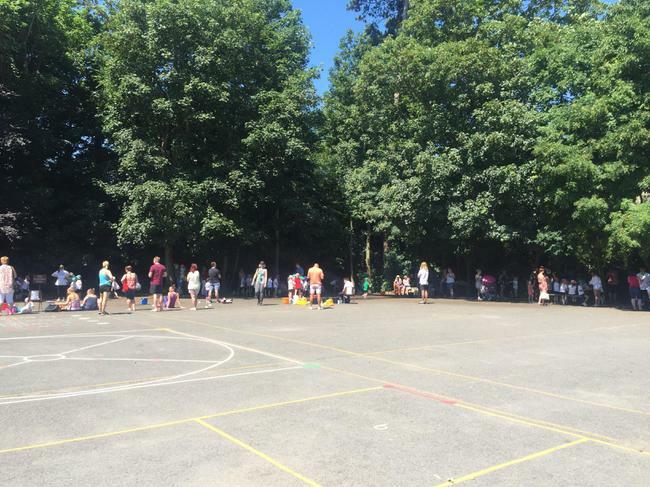 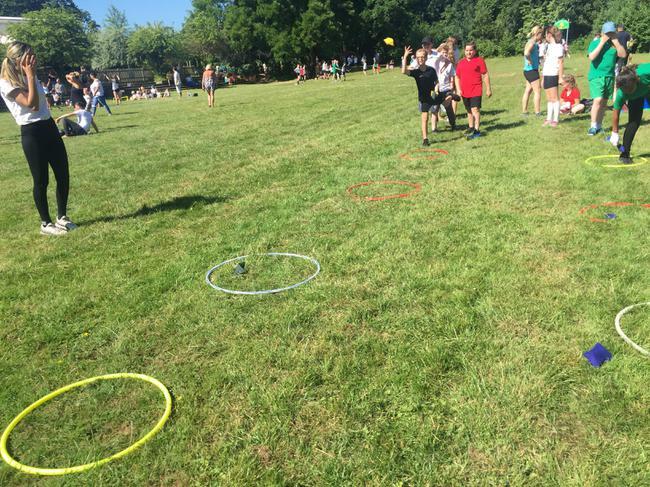 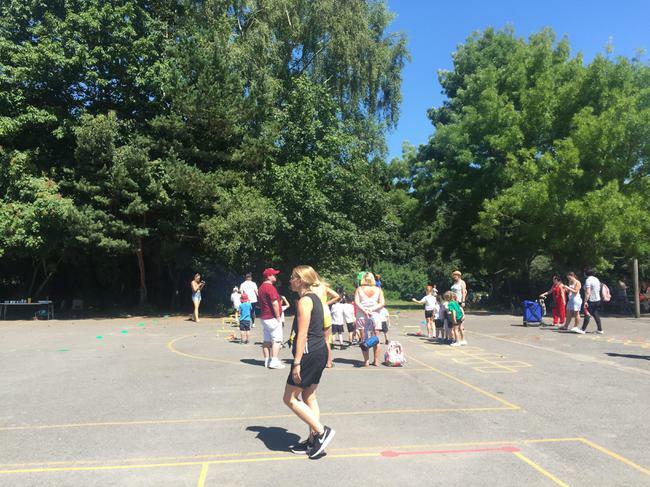 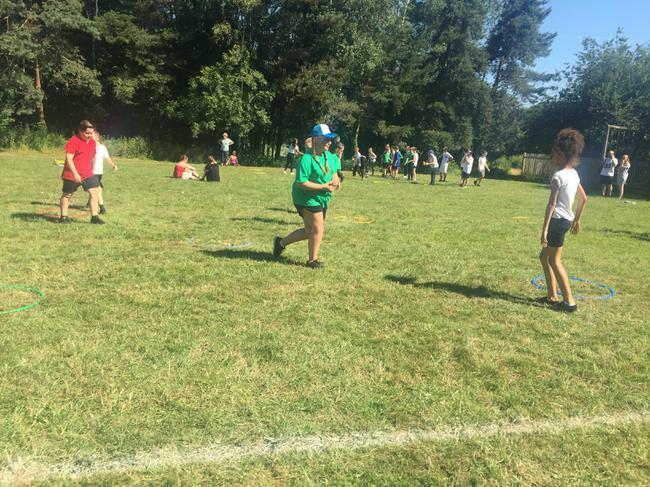 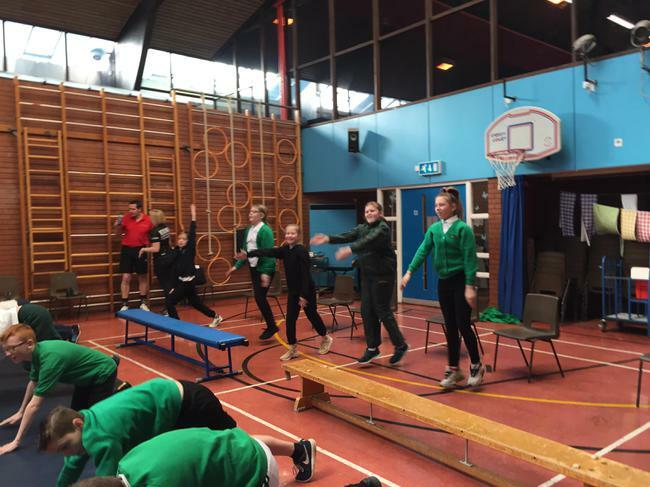 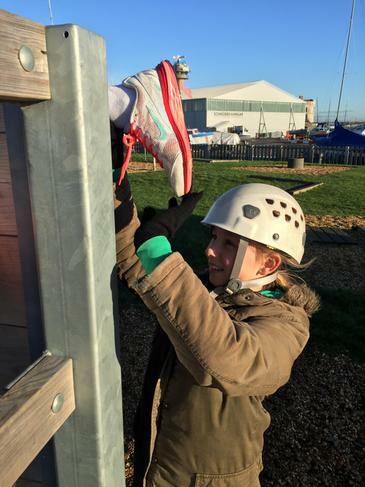 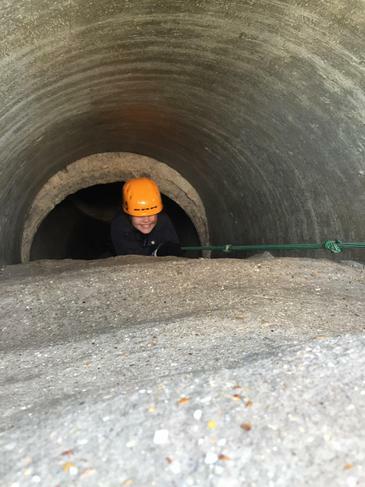 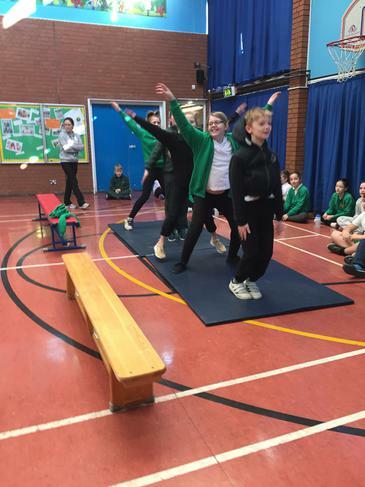 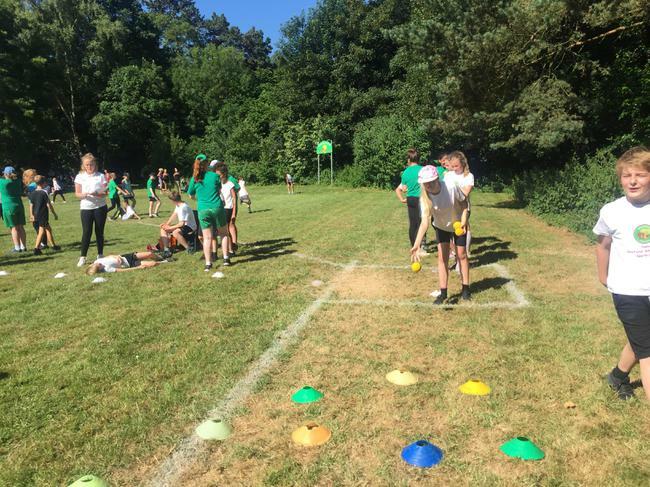 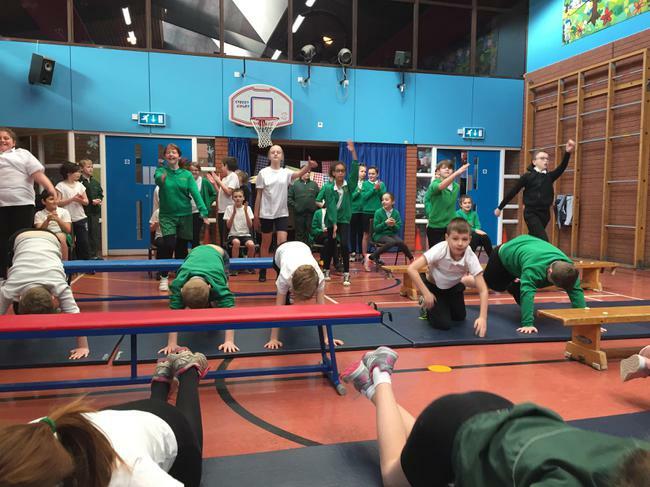 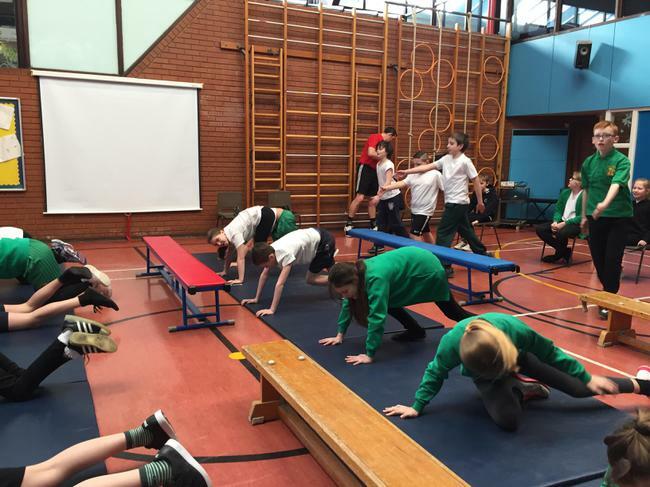 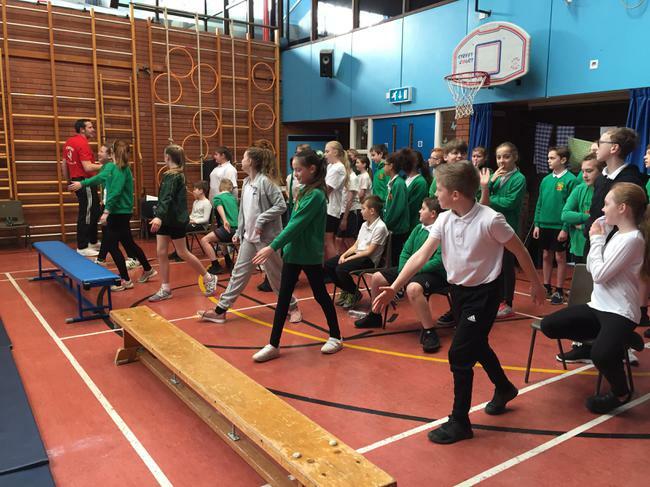 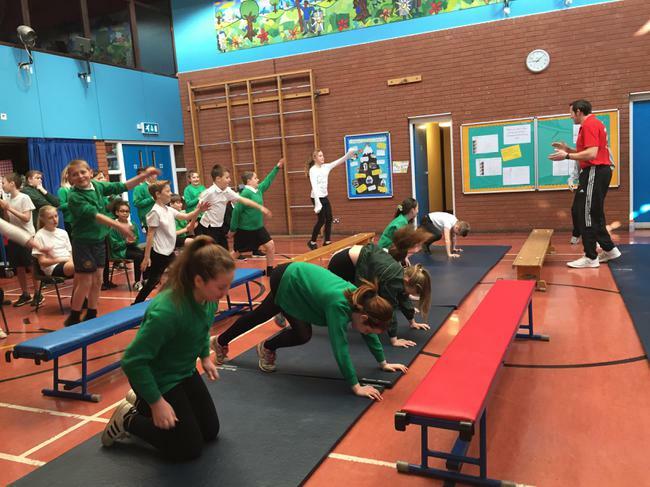 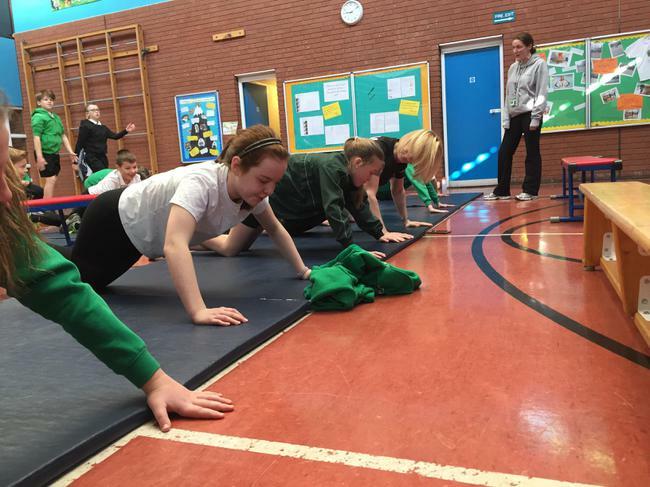 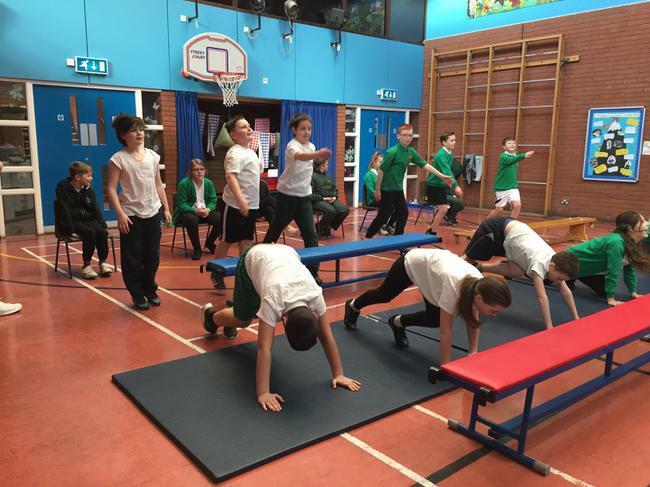 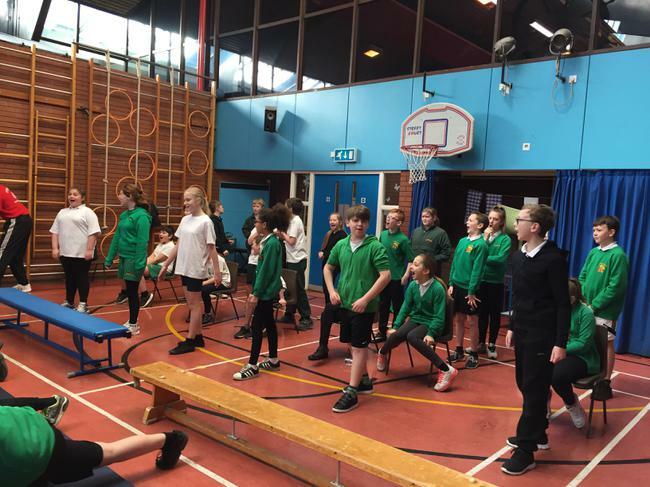 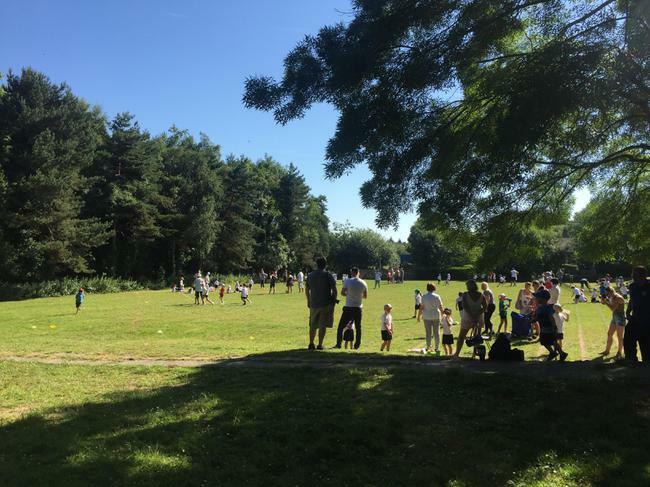 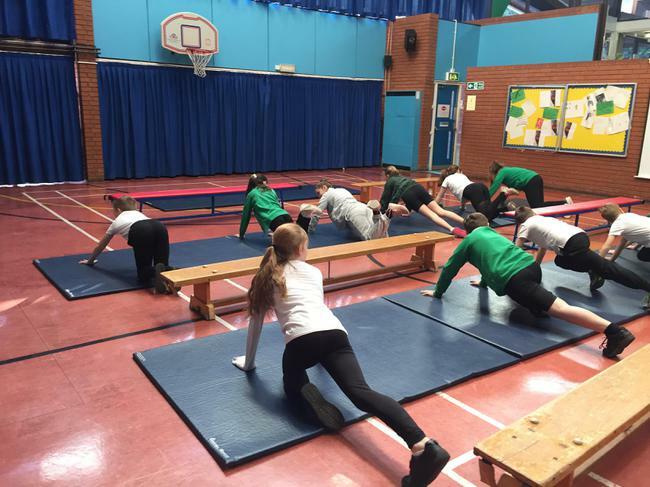 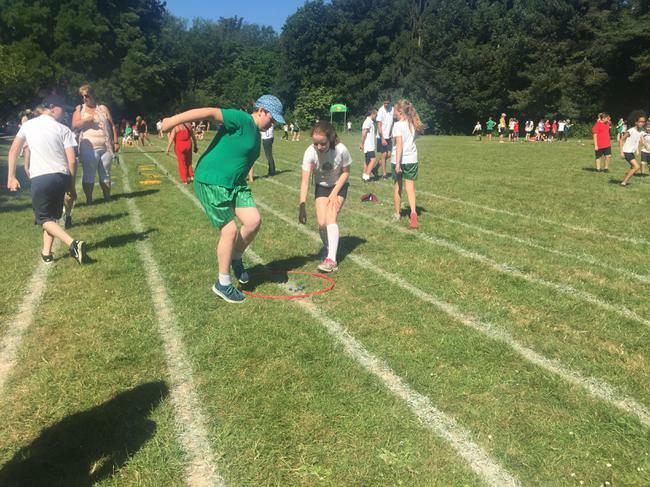 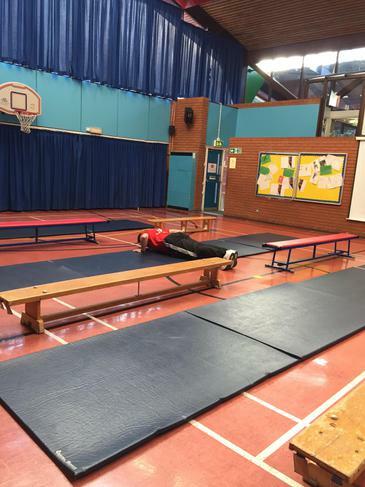 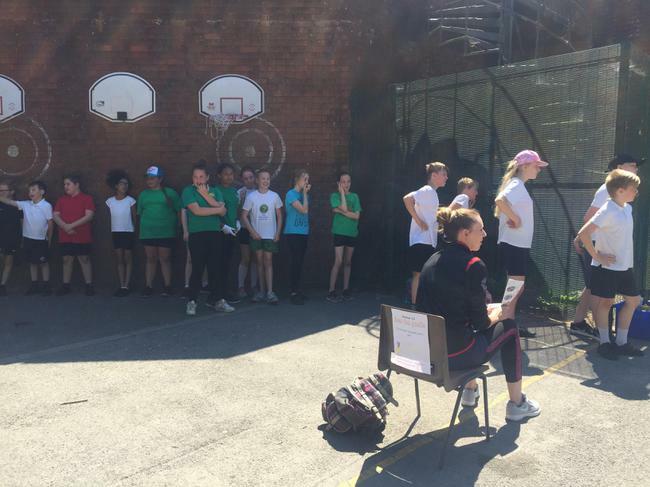 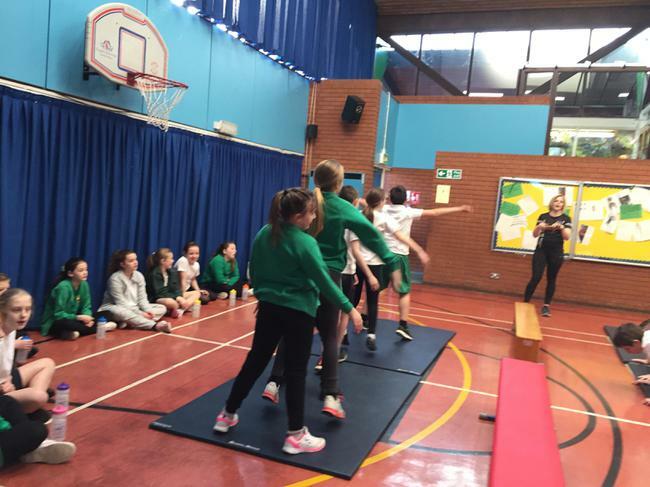 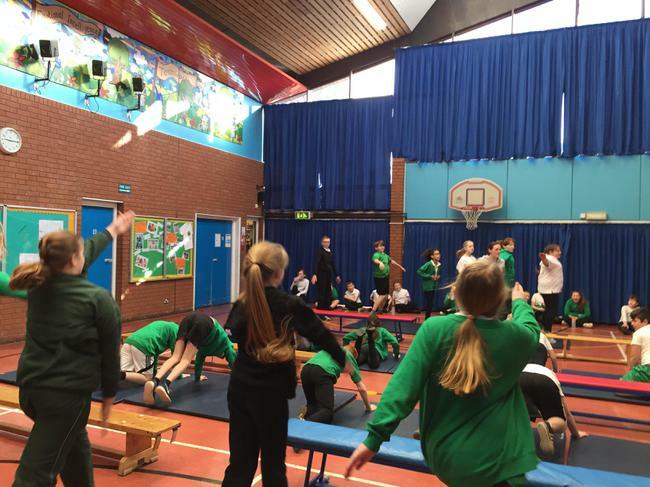 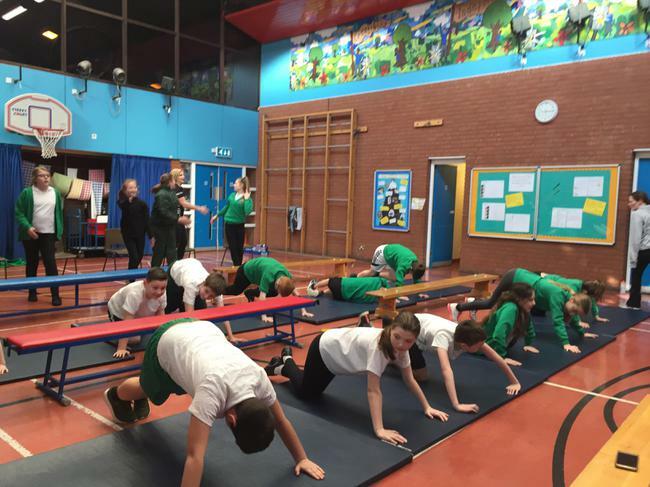 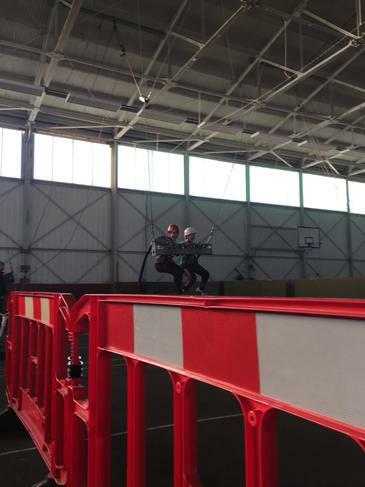 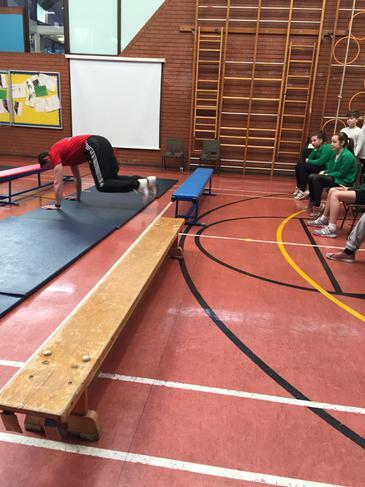 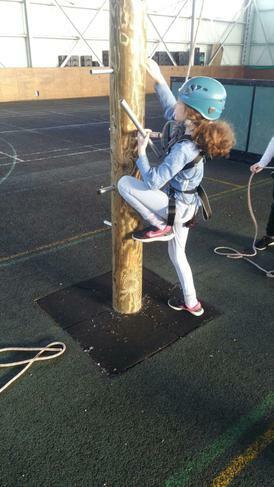 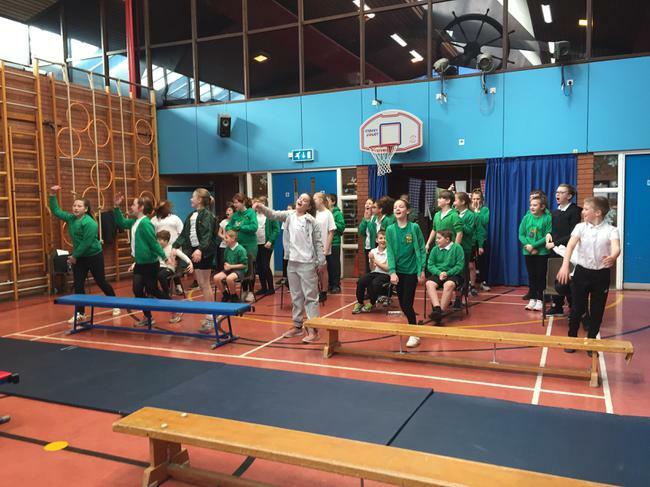 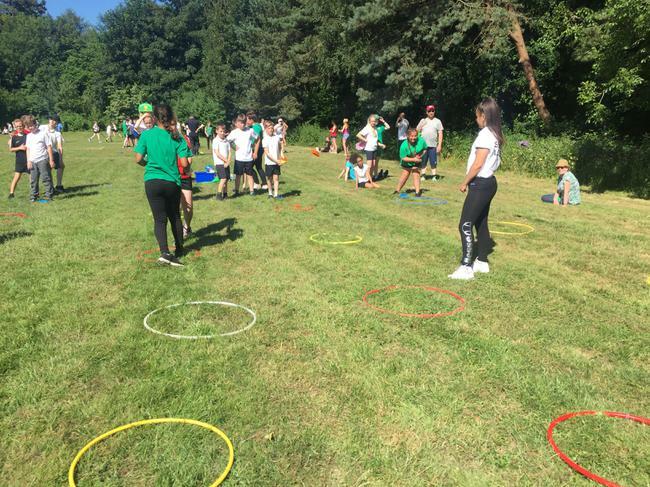 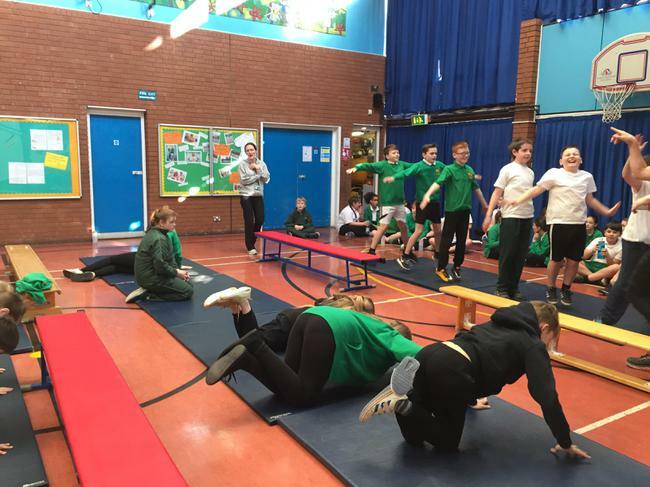 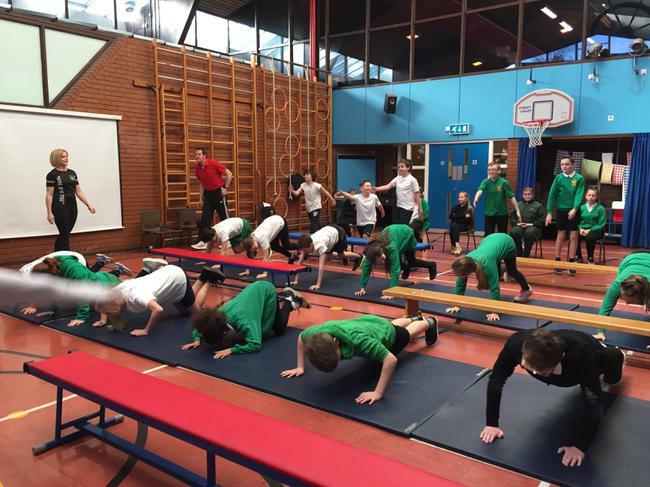 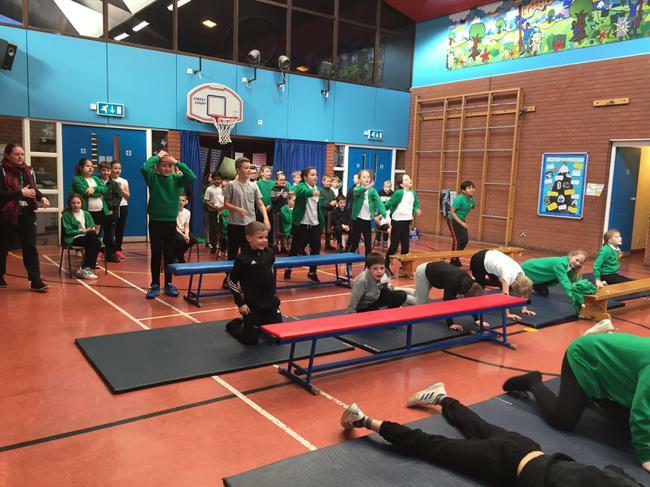 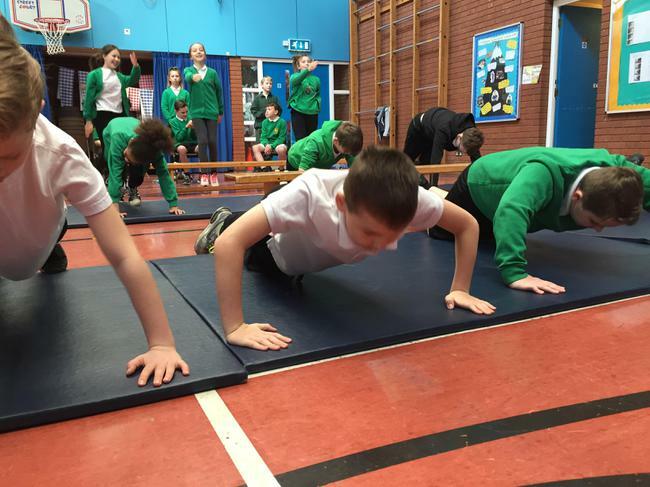 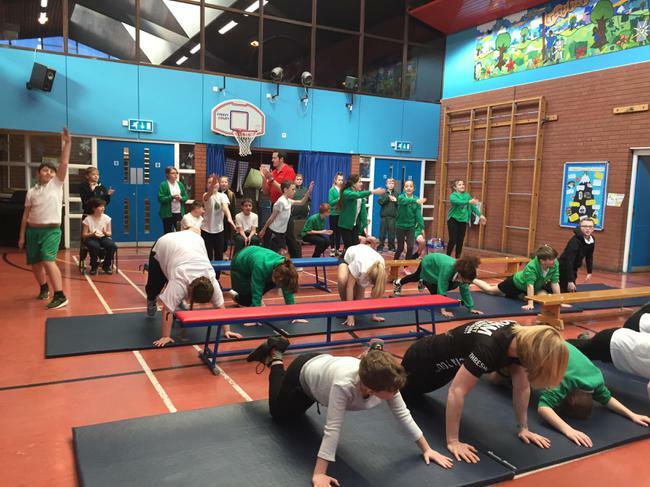 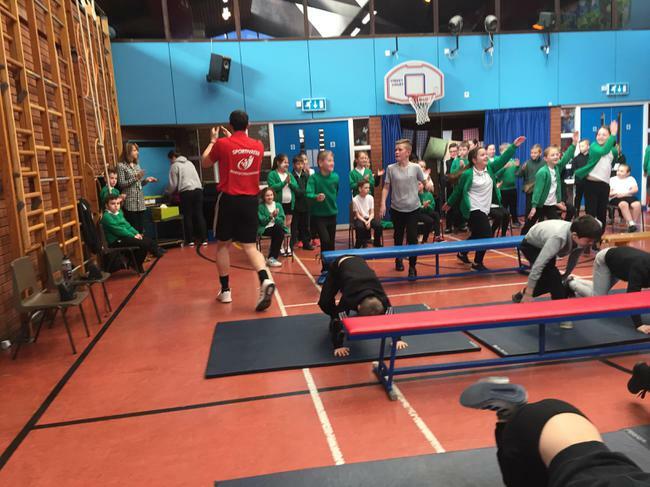 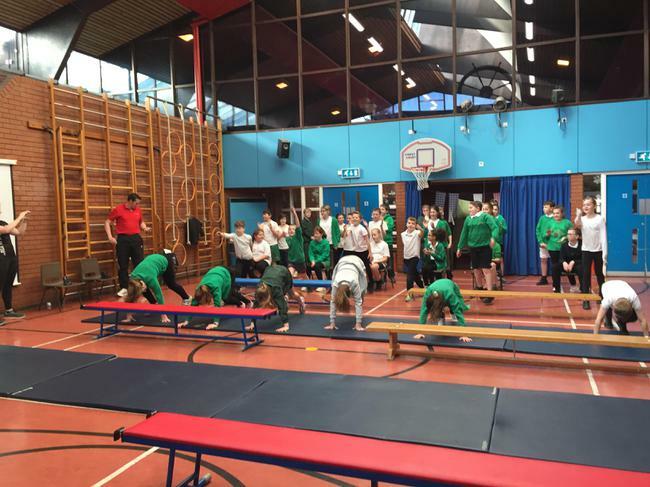 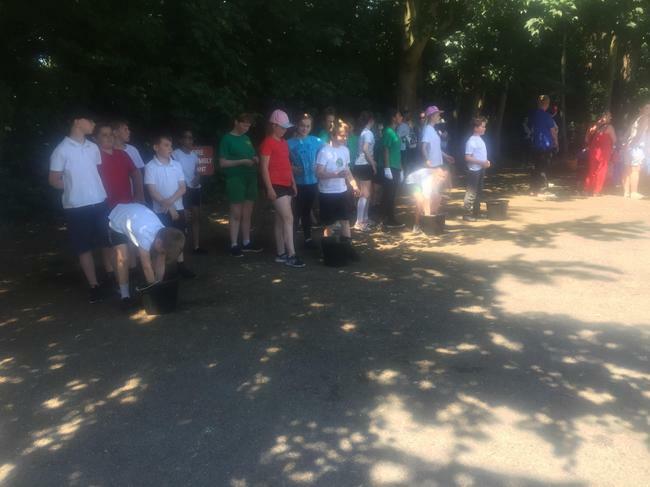 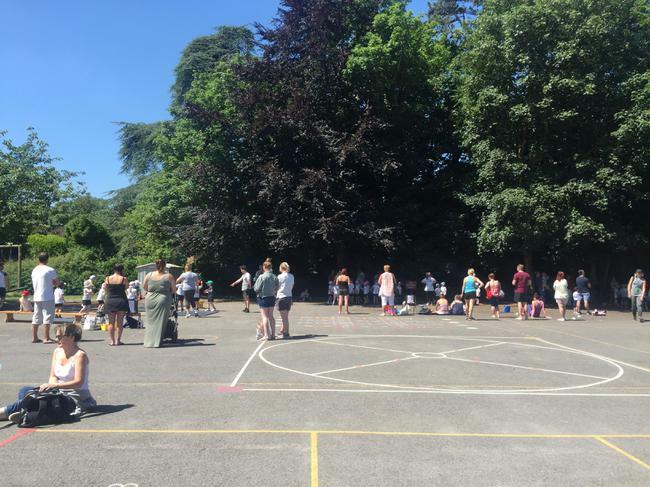 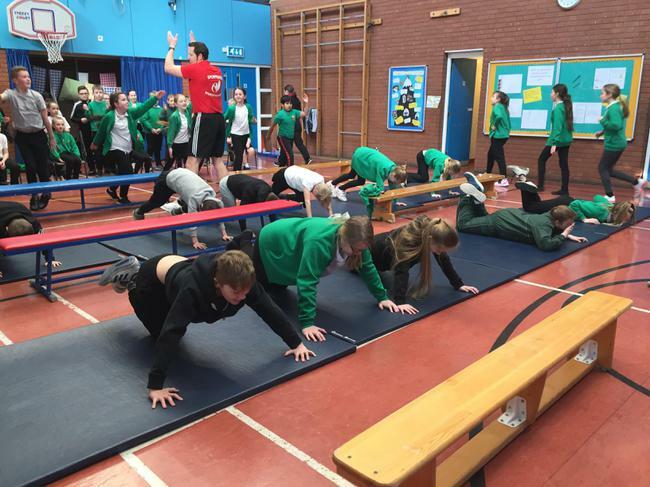 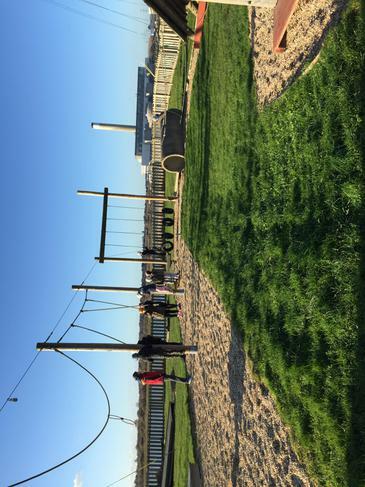 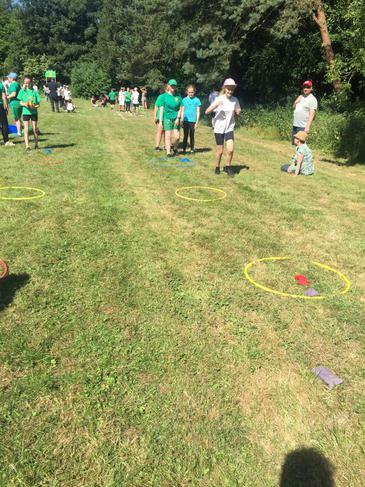 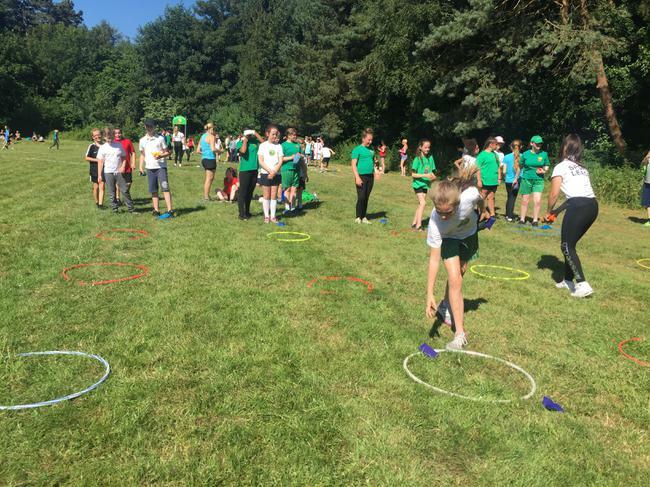 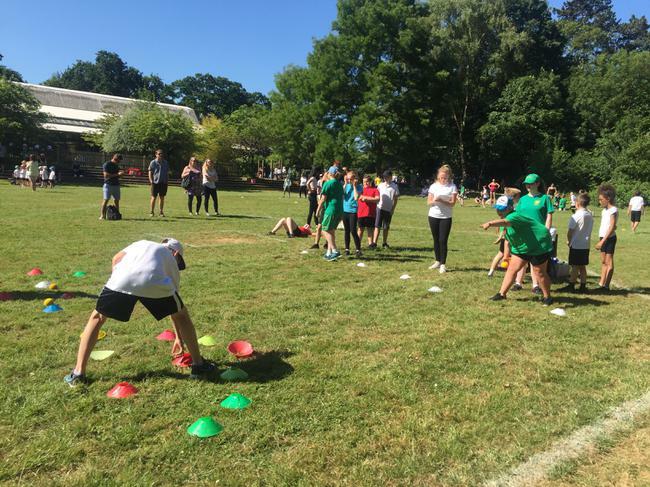 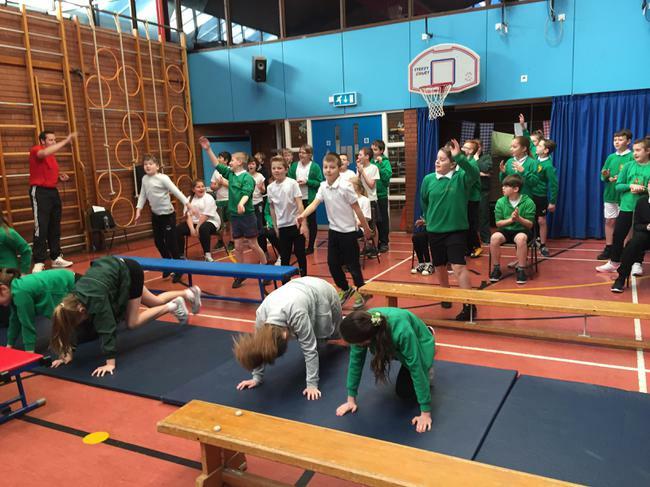 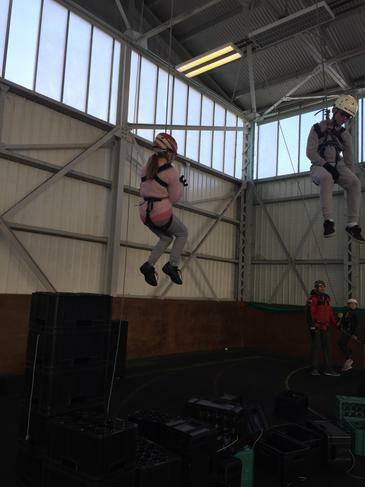 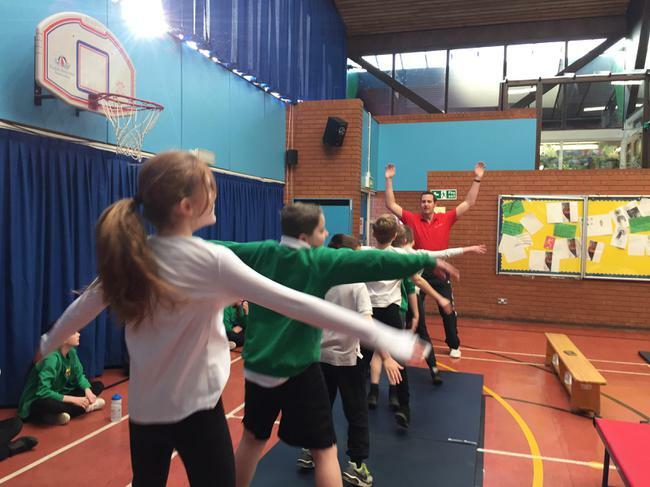 Year 6 had a wonderful but warm sports day morning enjoying a range of activities over 17 stations: obstacle course, bag throw, everlast, agility and many more. 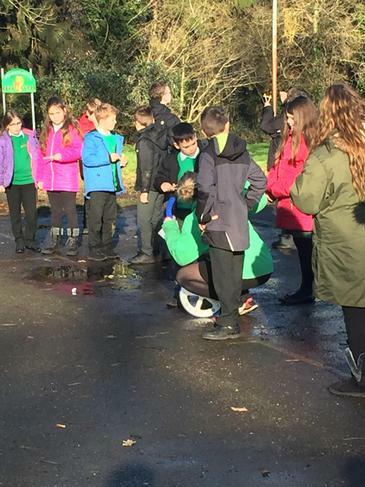 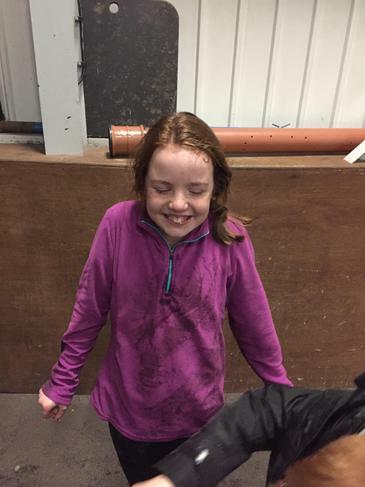 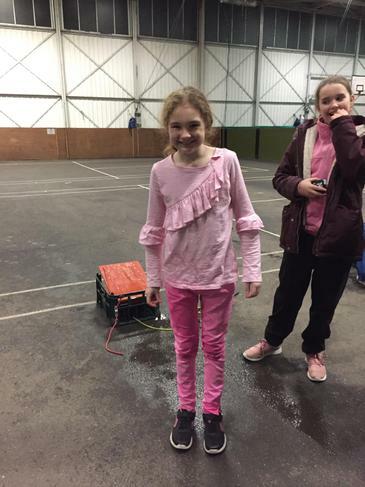 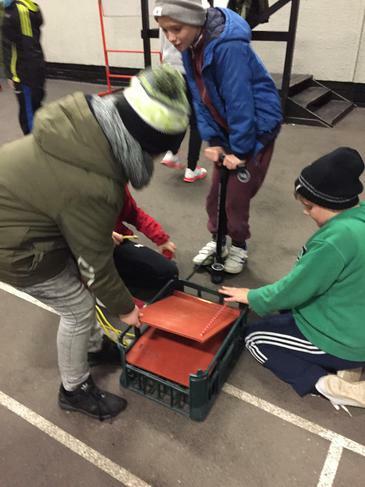 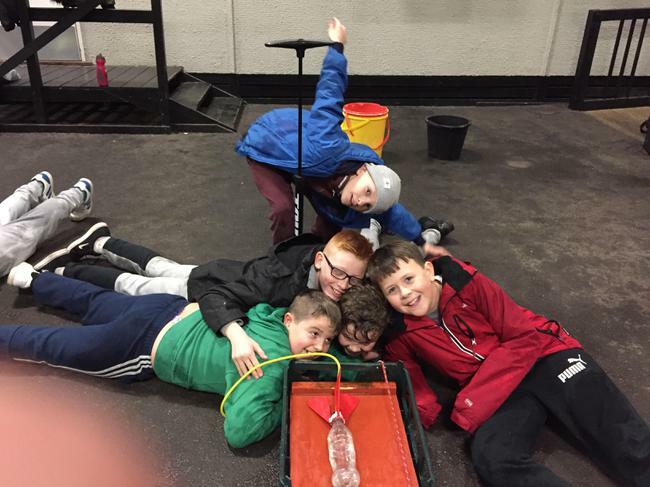 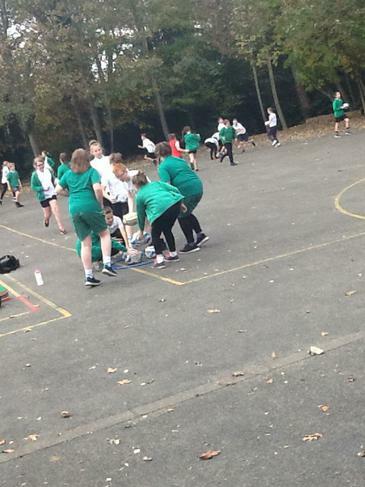 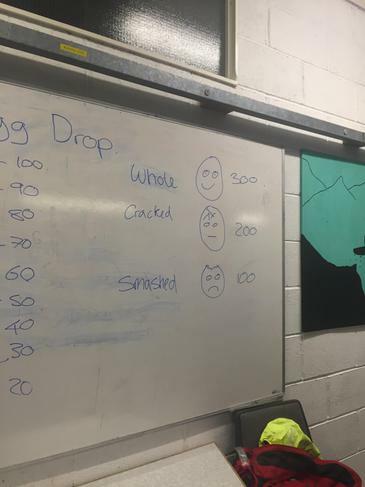 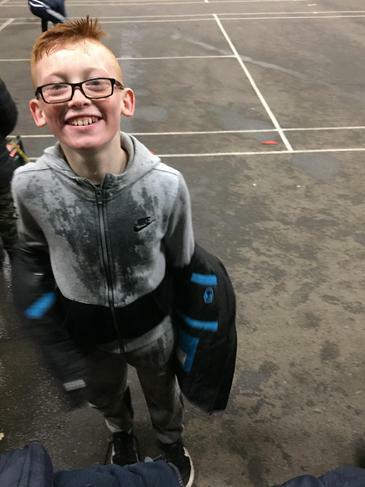 The year group were able to finish on the sponge stations soaking each other and the teachers in the process! 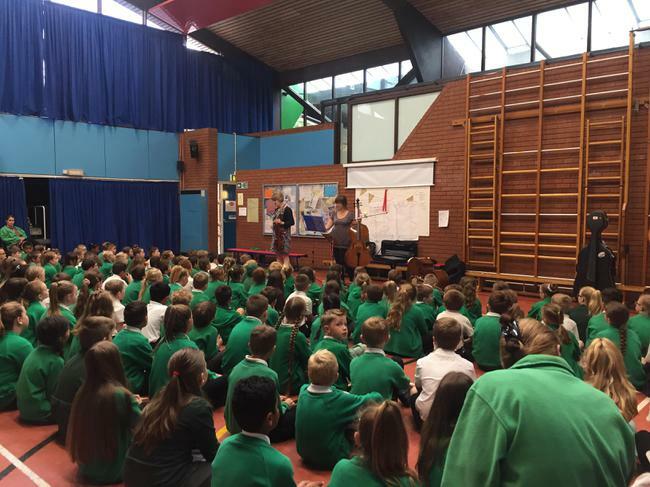 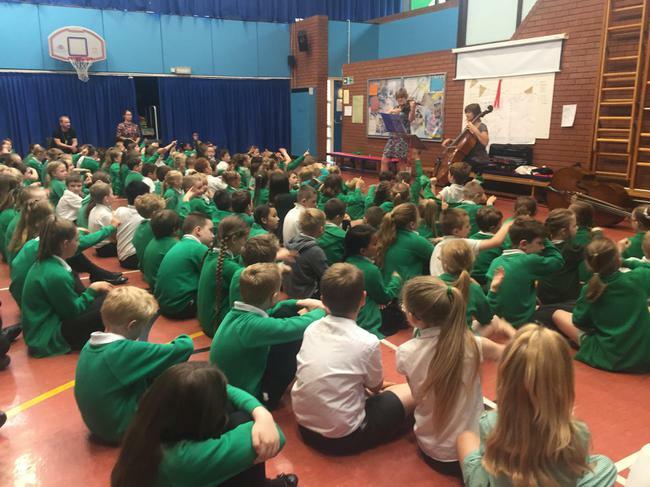 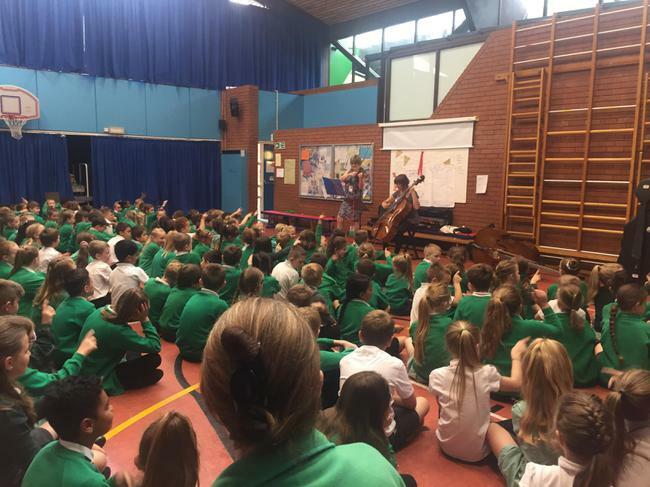 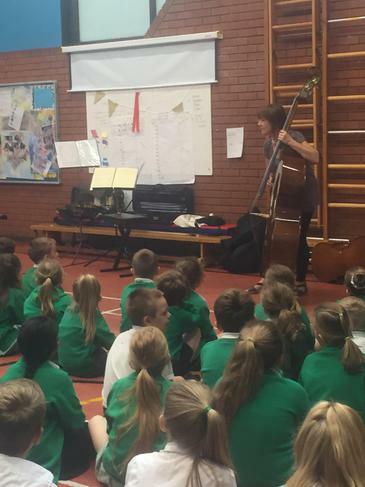 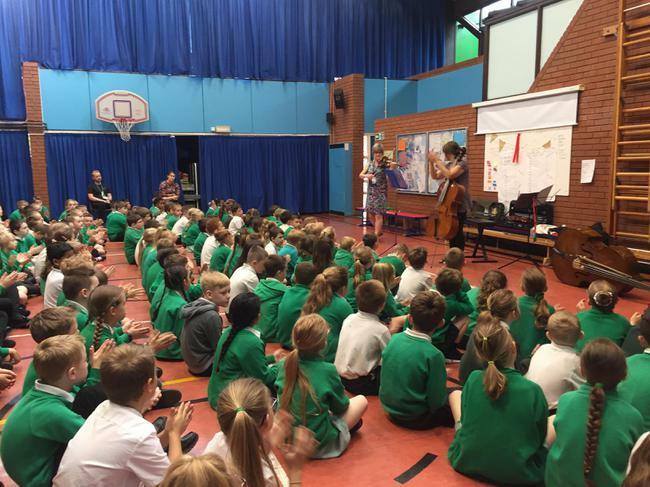 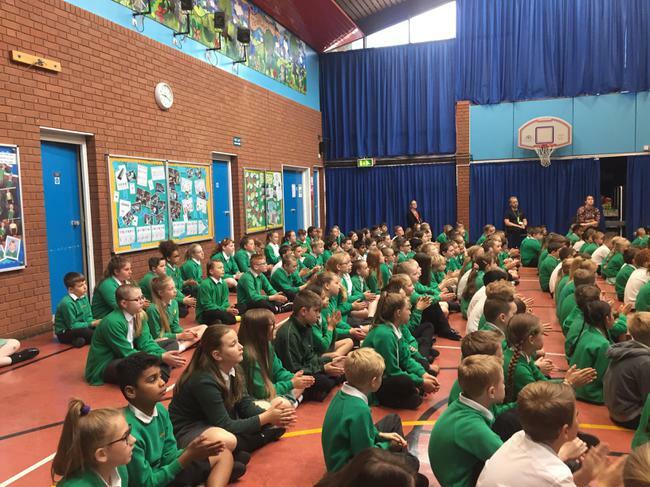 KS2 were given the opportunity to listen and join with a string instrument session with Hampshire Music. 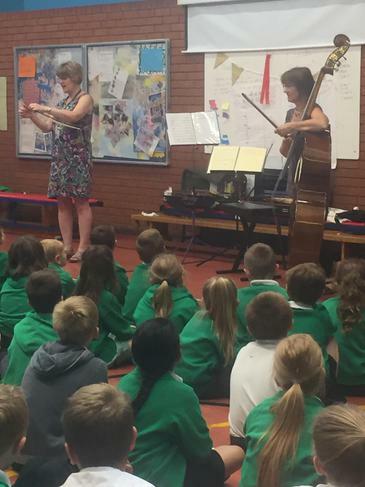 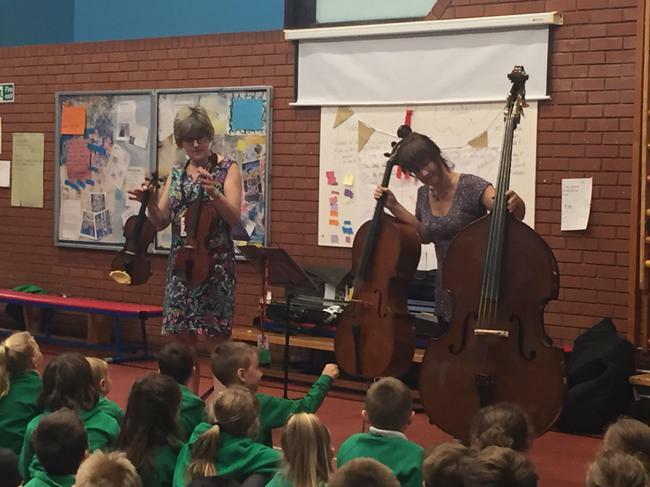 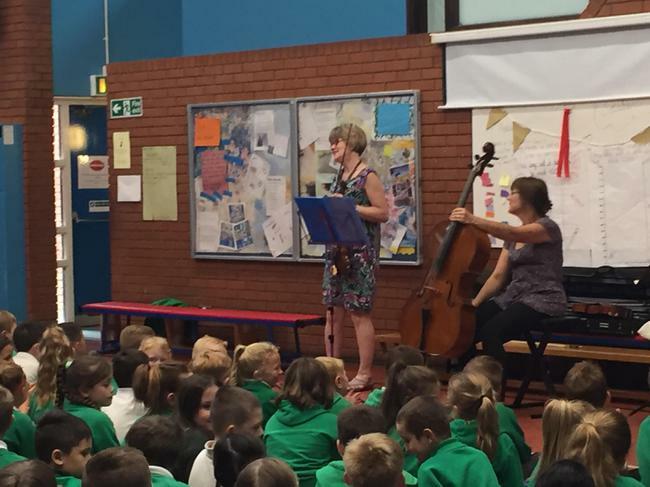 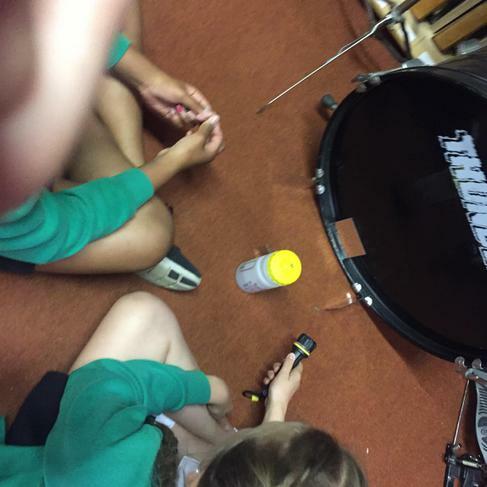 Pupils were shown a range of string instruments and the sounds they made. 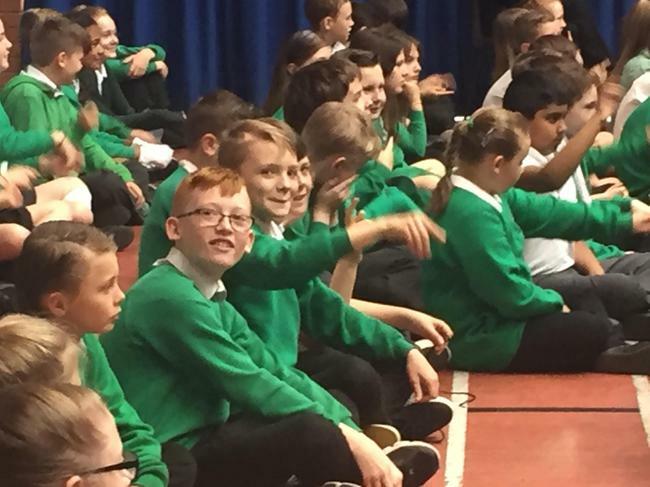 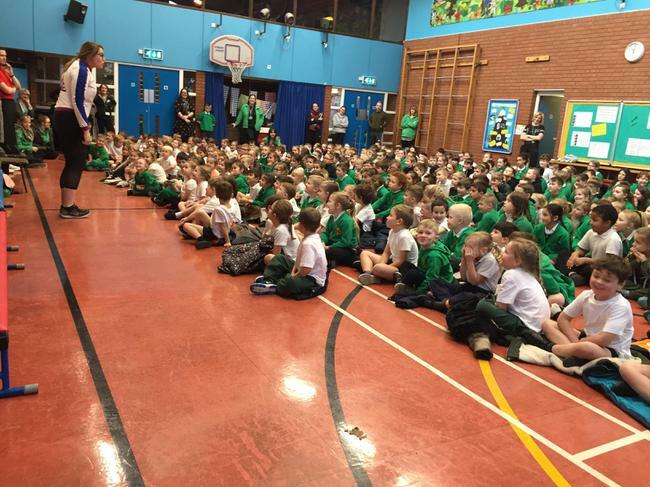 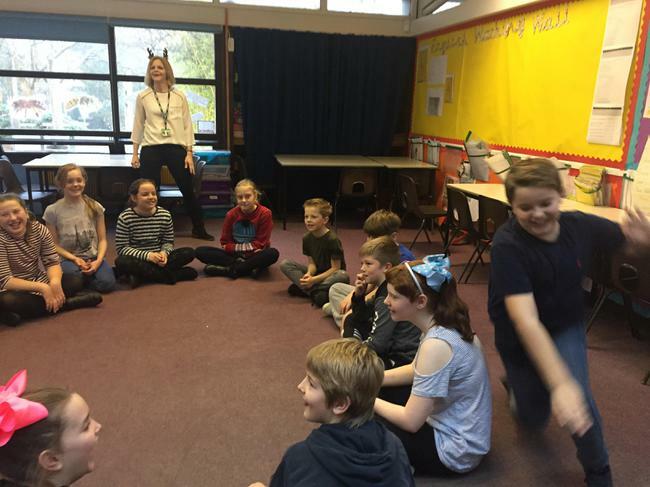 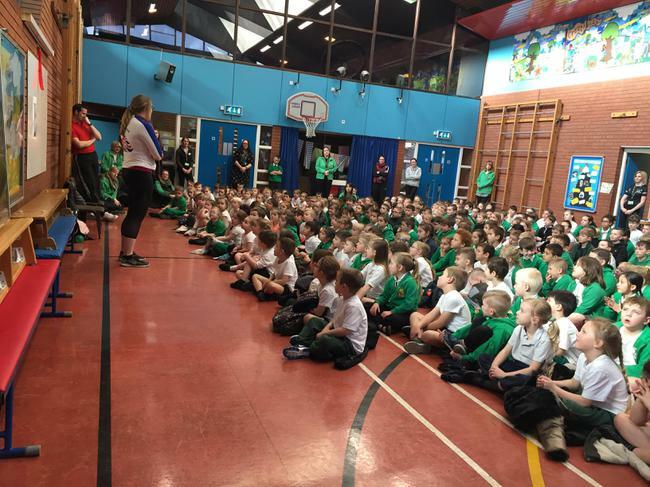 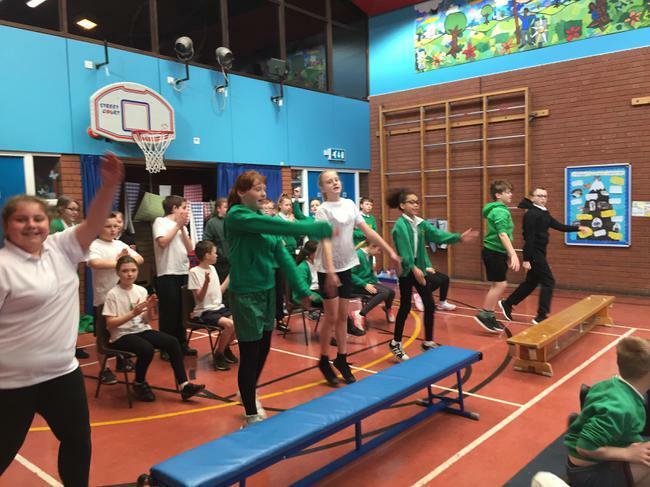 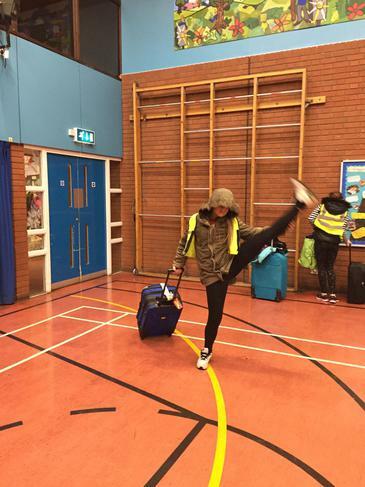 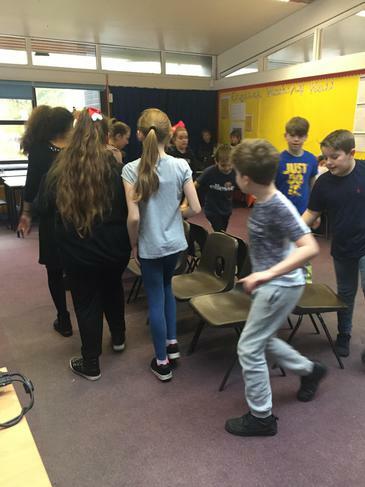 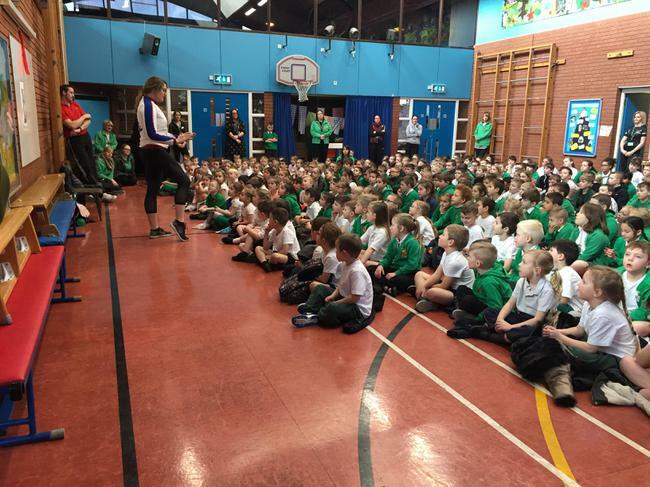 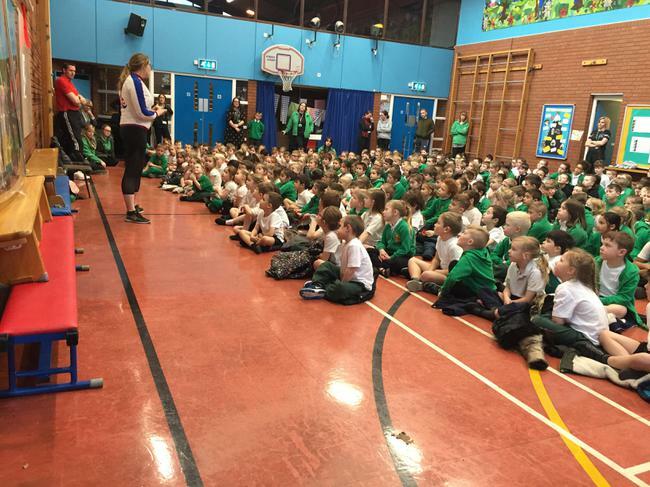 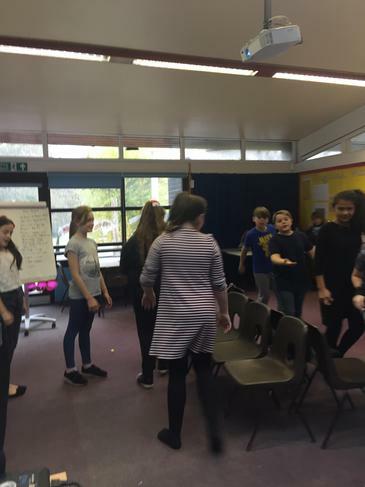 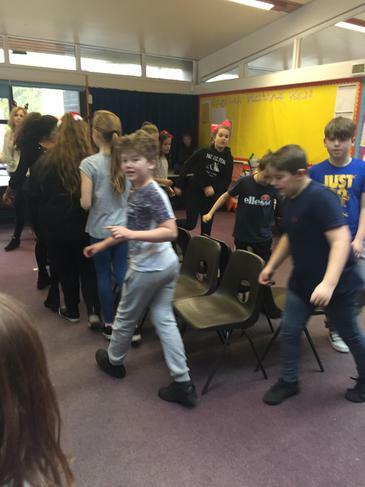 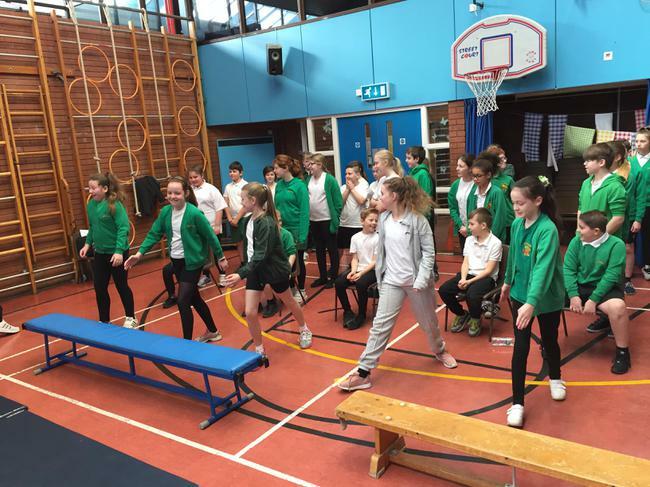 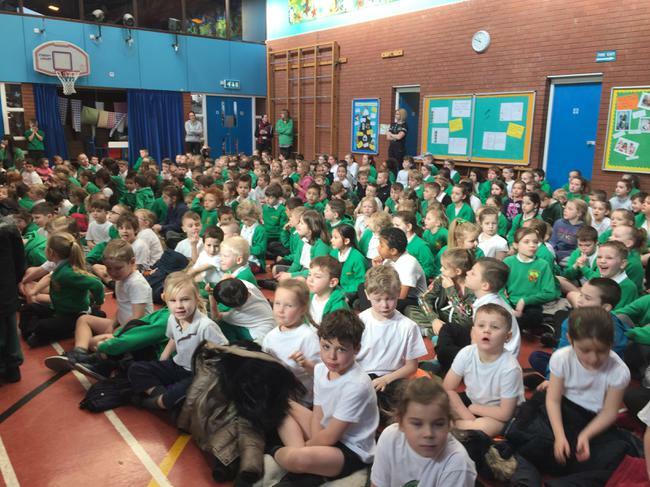 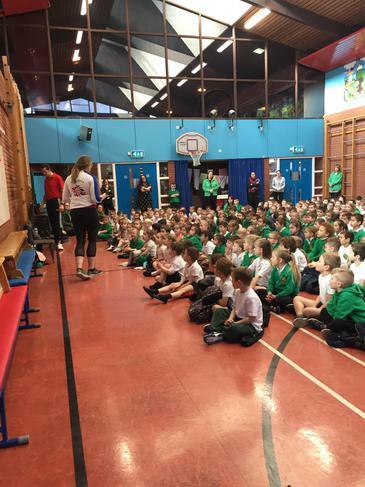 Pupils were able to count along to the beat and sing to Disney classics, Rock and Roll and Calypso music. 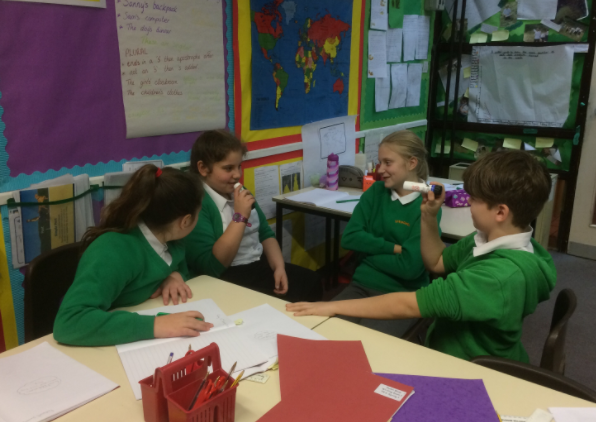 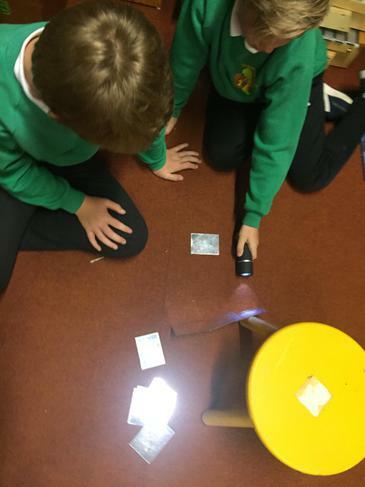 Year 6 are currently investigating how light travels. 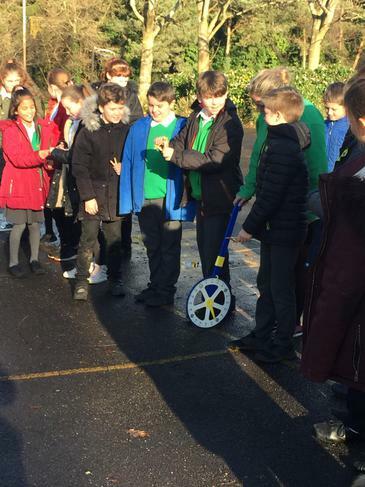 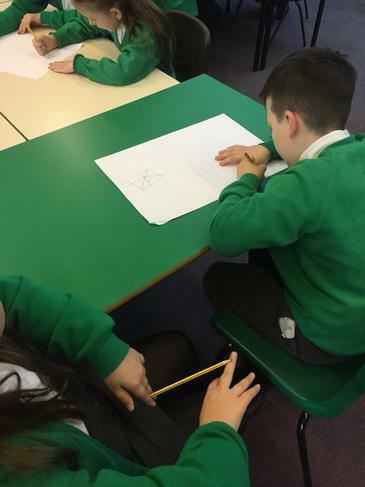 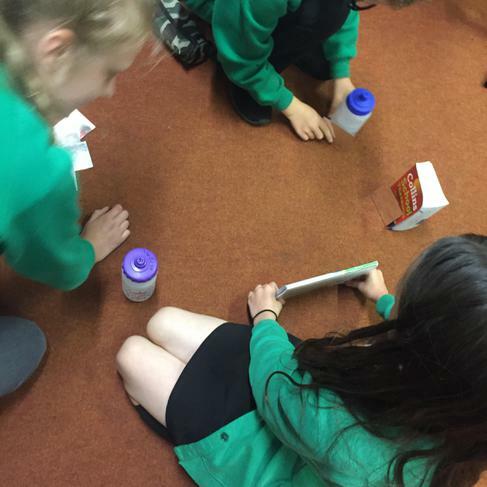 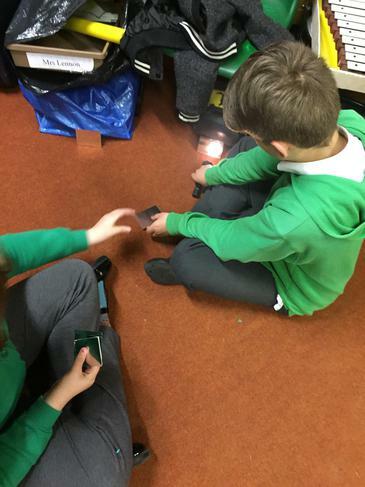 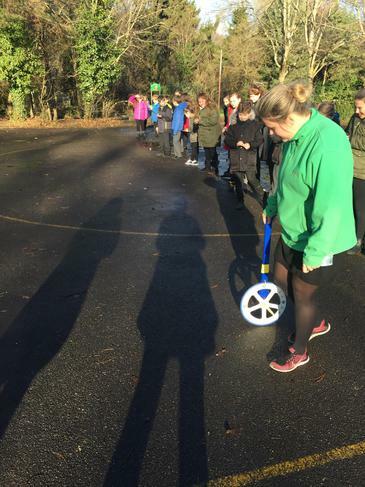 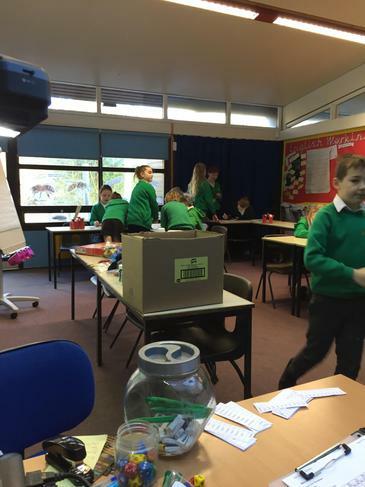 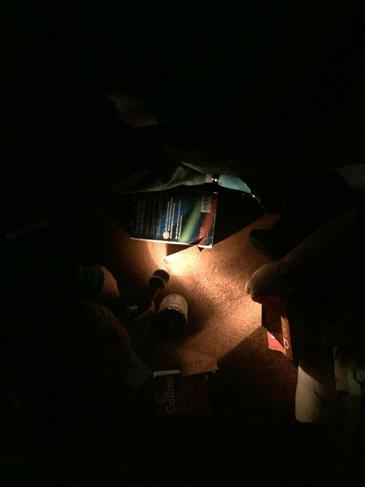 We have been completing practical experiments to prove that light travels in a straight line. 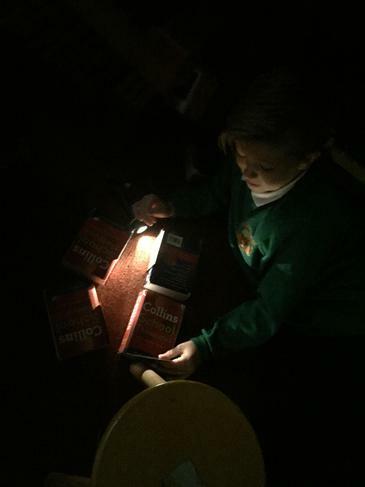 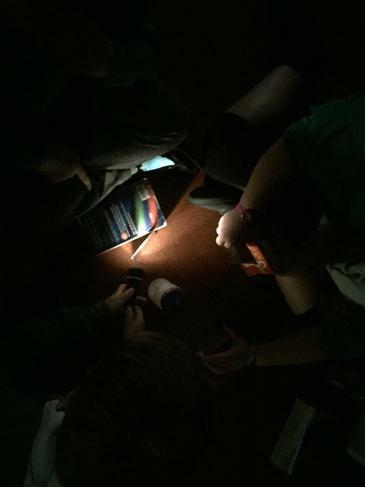 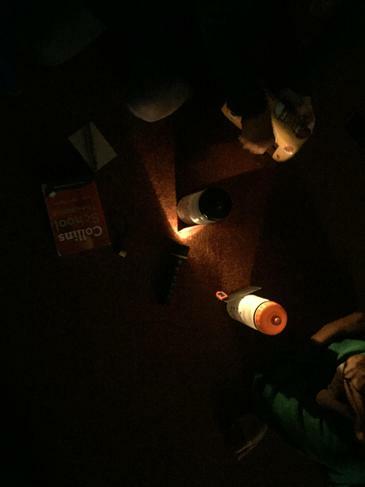 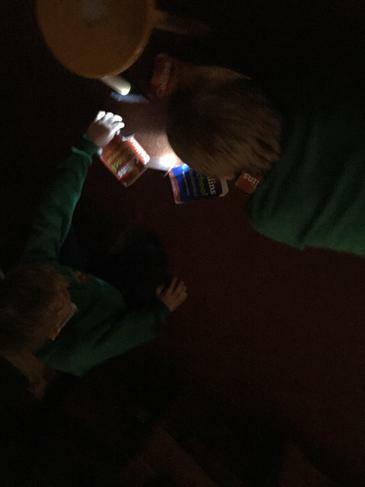 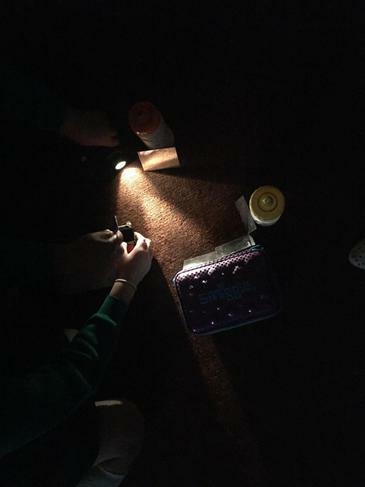 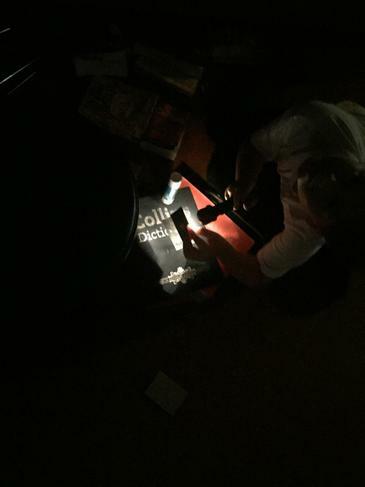 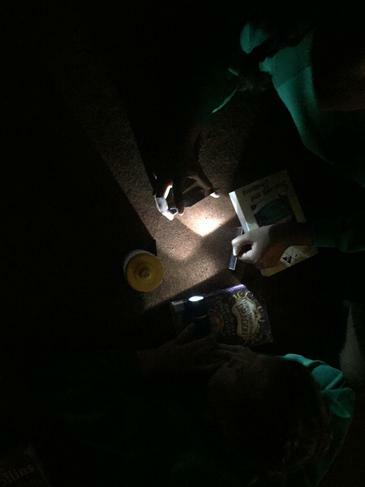 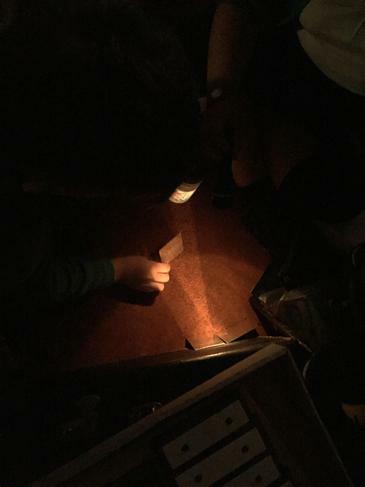 In the drama studio, where it is the darkest, we have been using our light source (torch) and mirrors to prove how light travels. 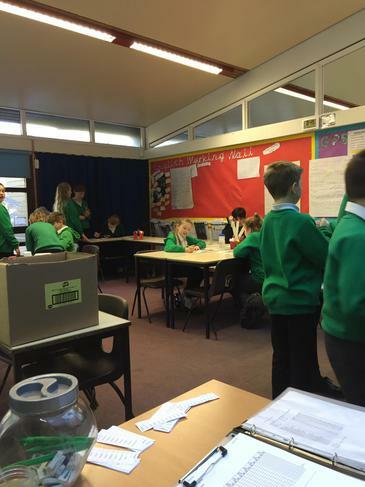 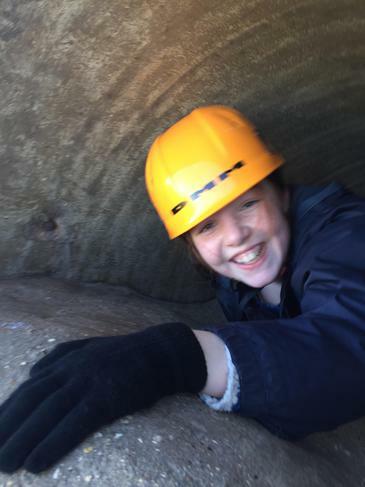 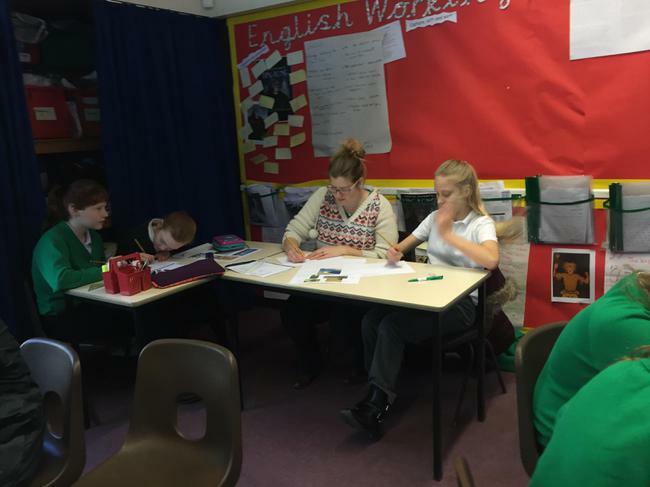 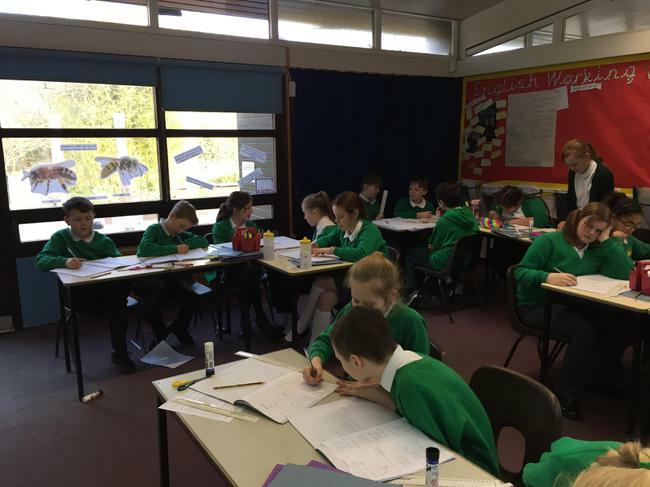 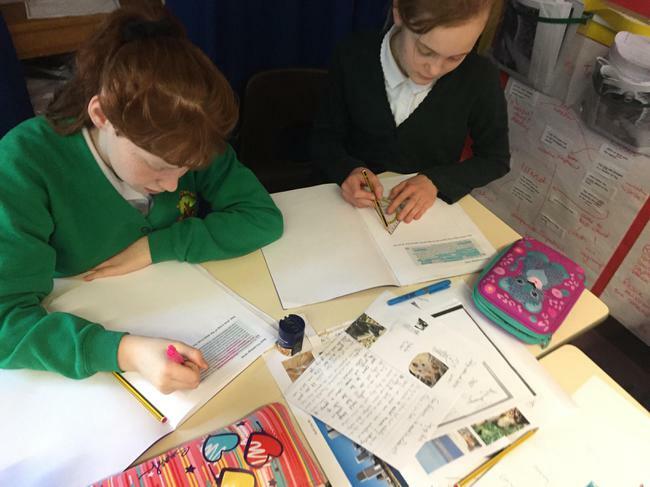 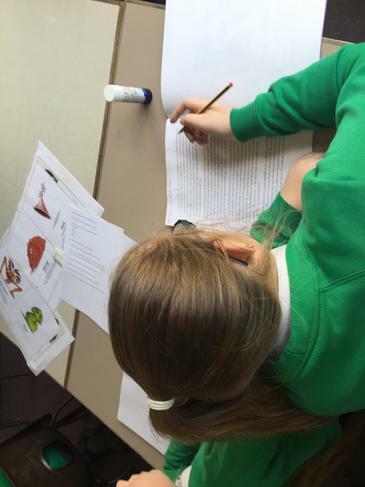 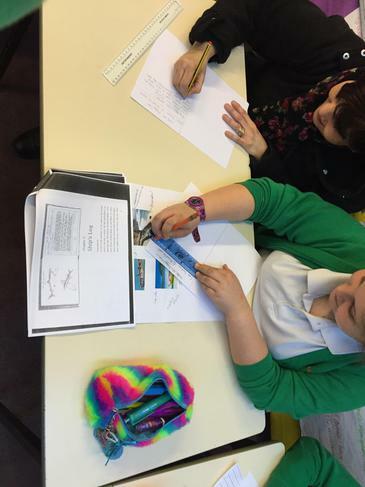 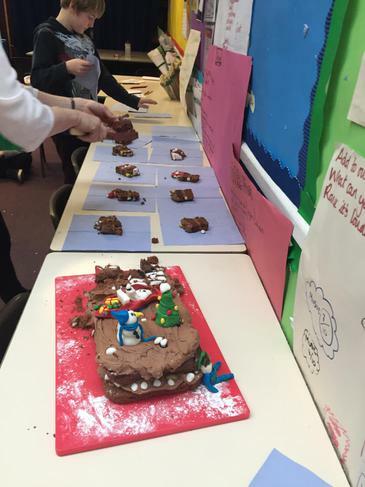 As the year goes on, Year 6 have continued with their longitudinal study. 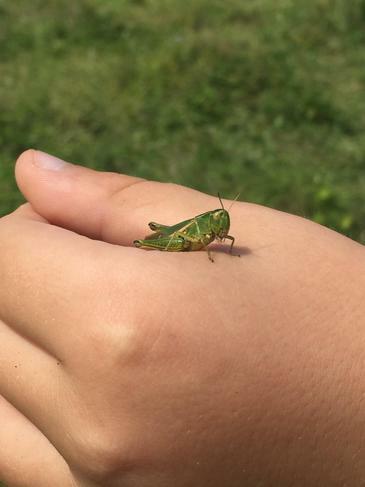 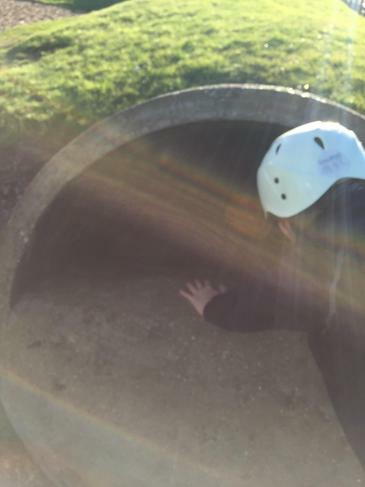 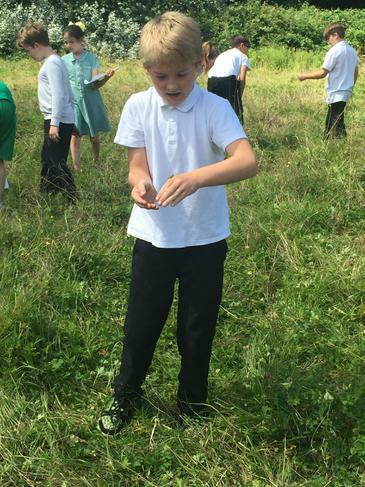 The sun has been shining for longer, so we have been able to discover and observe more of our class creatures. 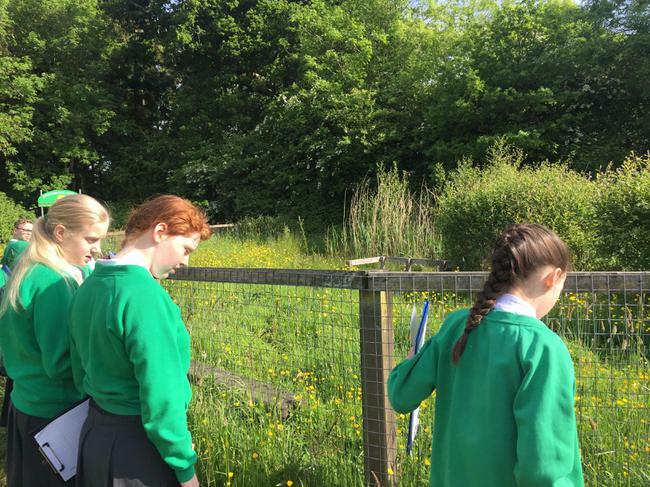 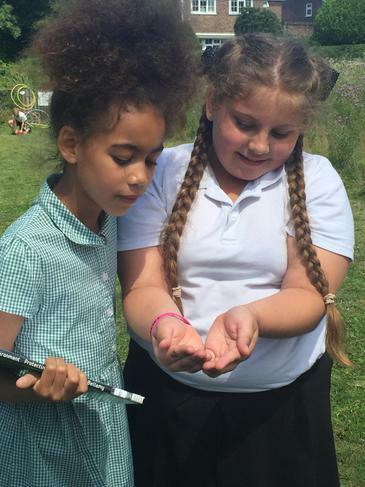 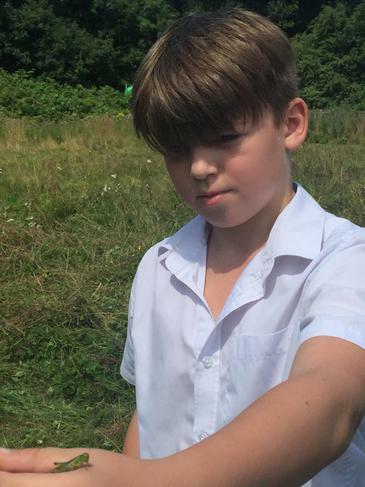 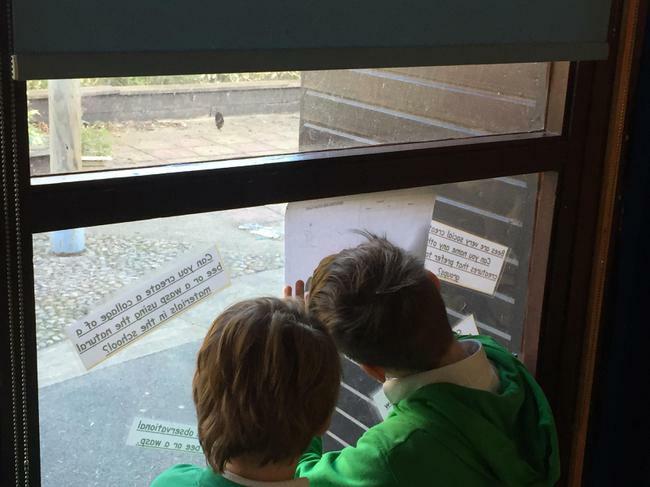 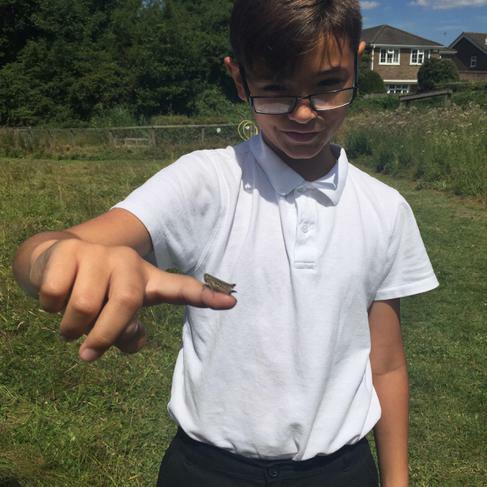 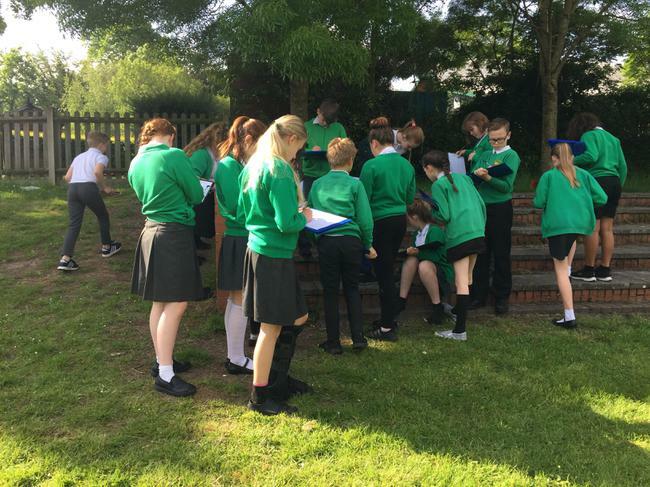 As year 6 are observing all of the class creatures, we have been recording the sightings and hypothesising why we are seeing more or less as spring turns to summer. 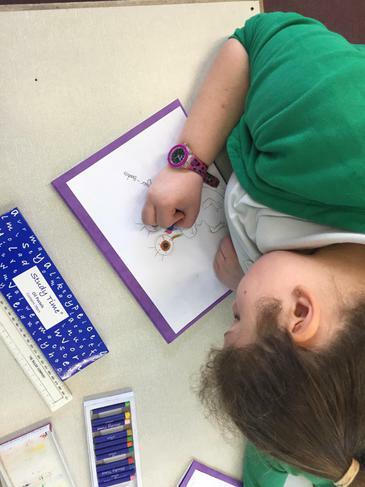 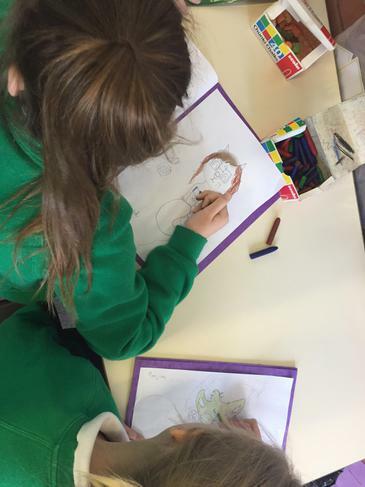 During reading morning, pupils continued to explore their class book Flanimals. 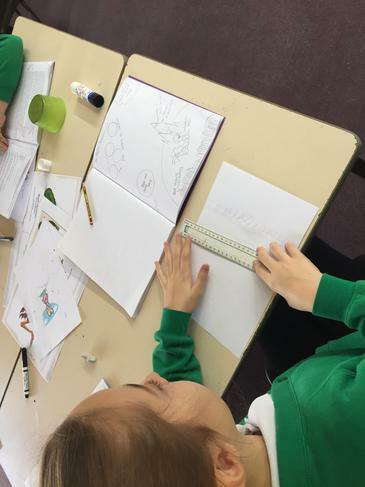 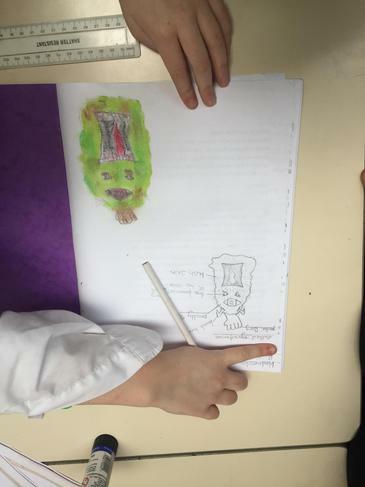 Inspired by Ricky Gervais, year 6 created their own flanimal deciding what it looked like, where it lived and wrote a description. 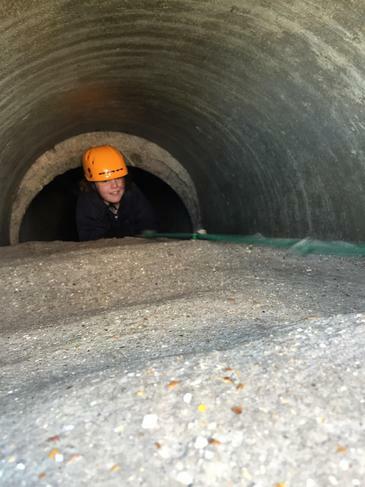 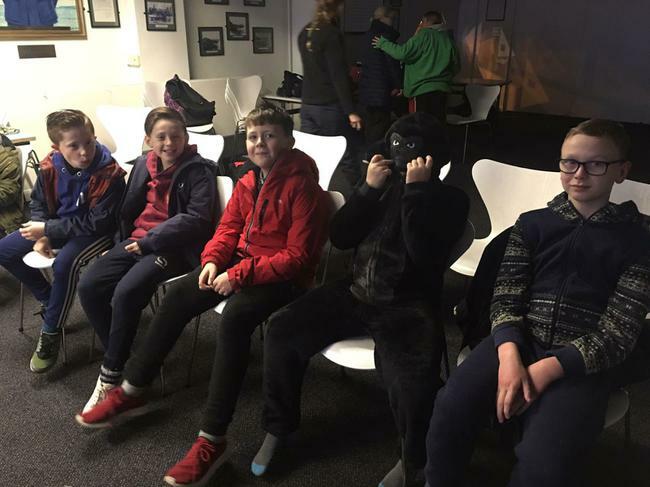 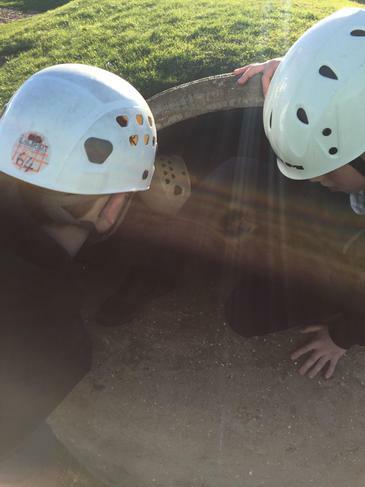 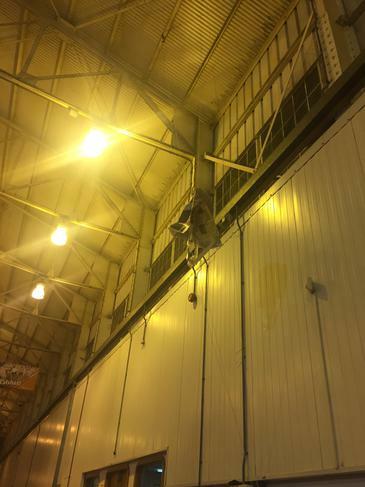 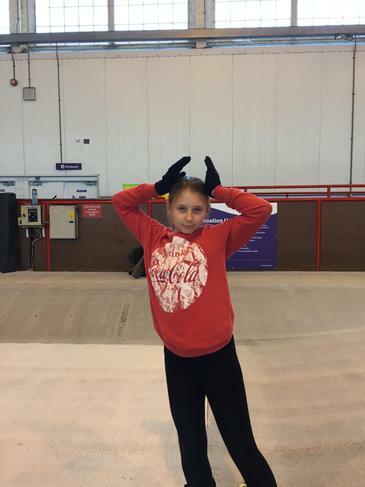 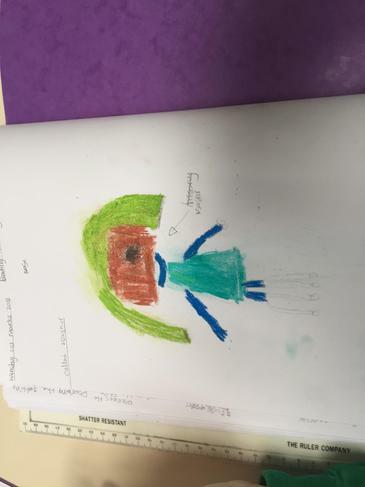 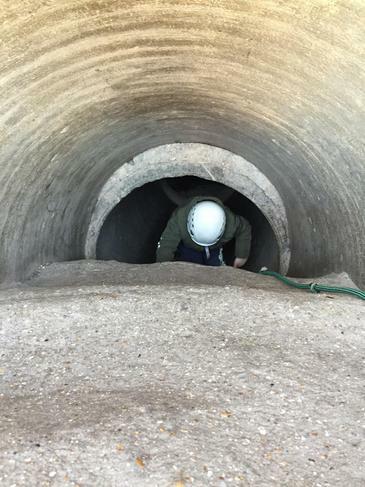 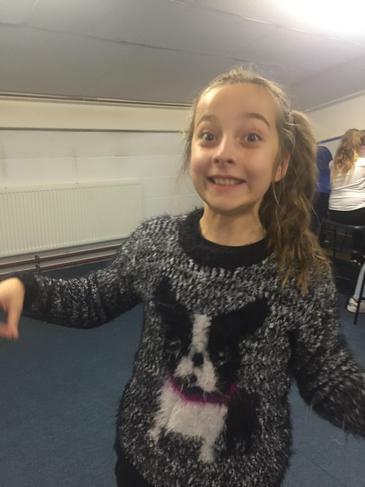 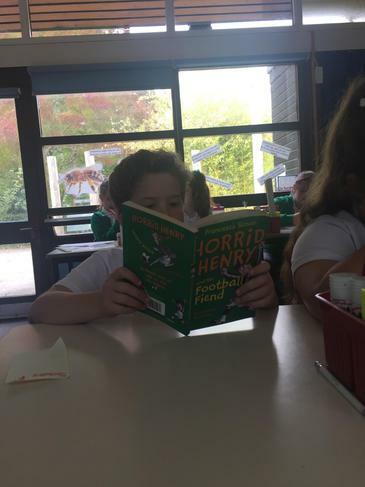 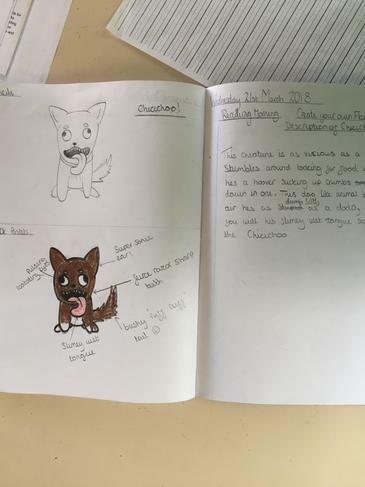 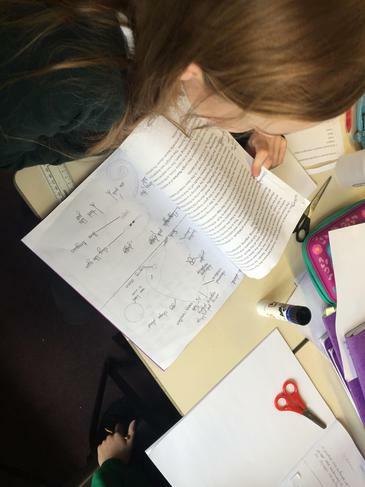 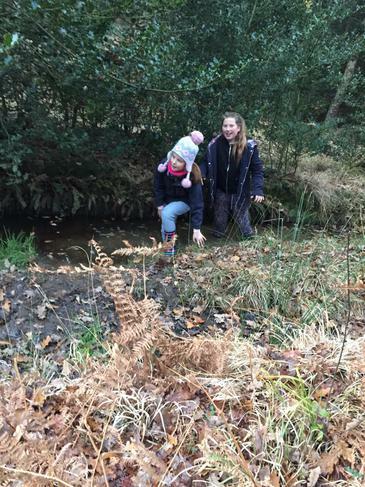 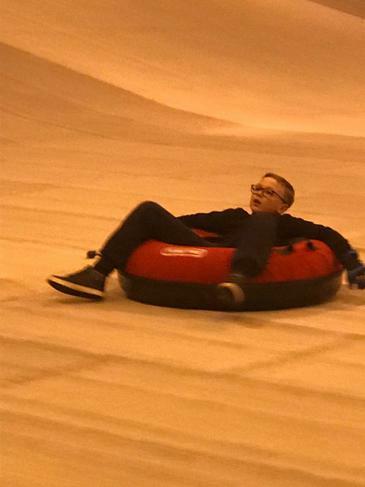 Pupils also read about about the creature known as the Fluffwaffle retrieving and recording information to practise SATS skills as well as enjoy their class book. 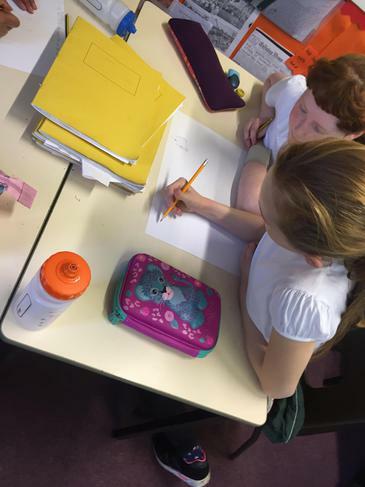 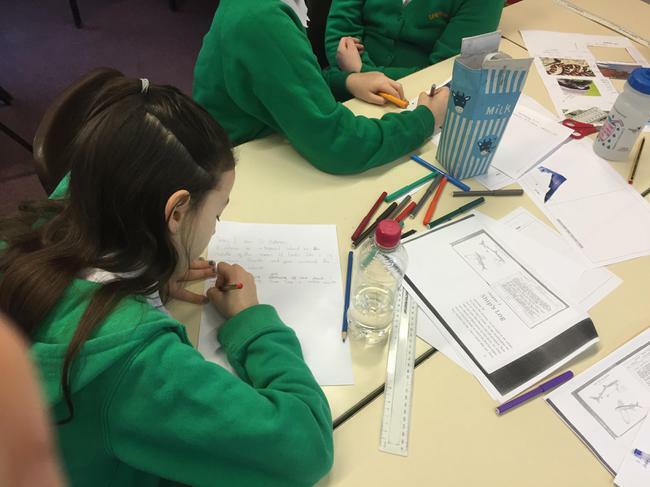 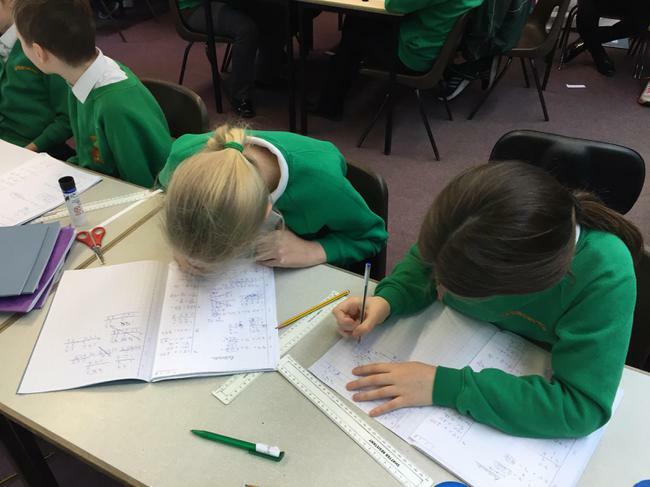 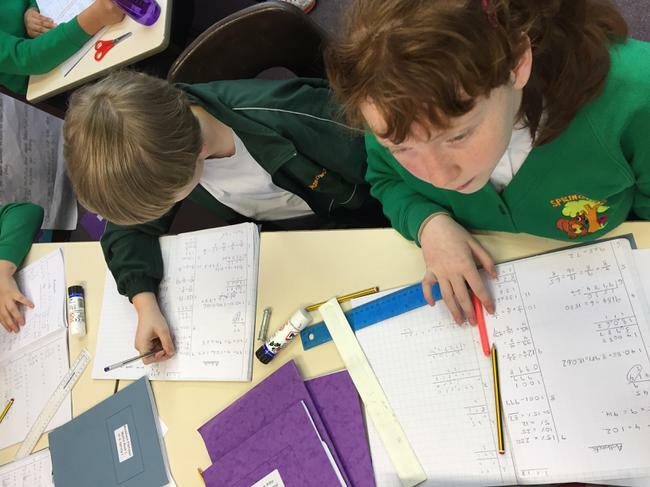 Pupils in year 6 have been working together to solve similar maths problems they may face in May. 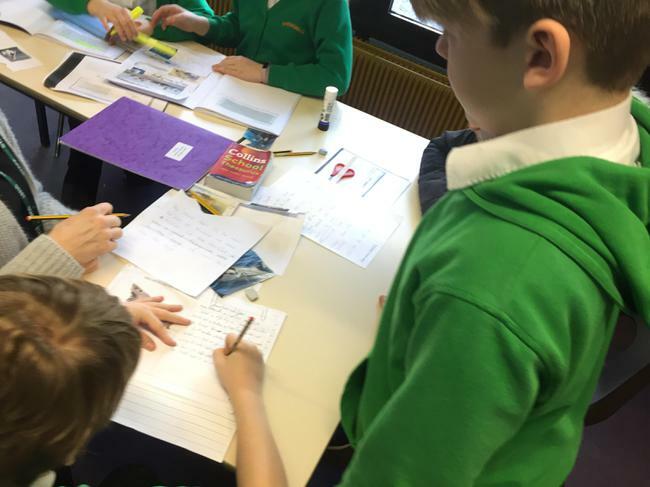 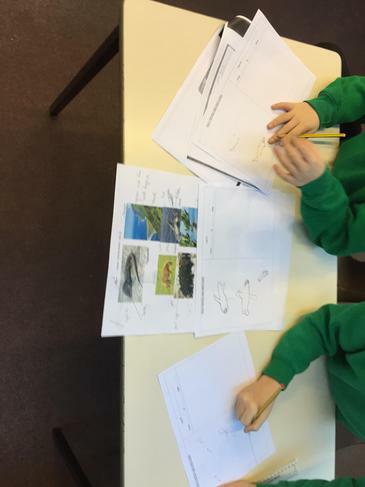 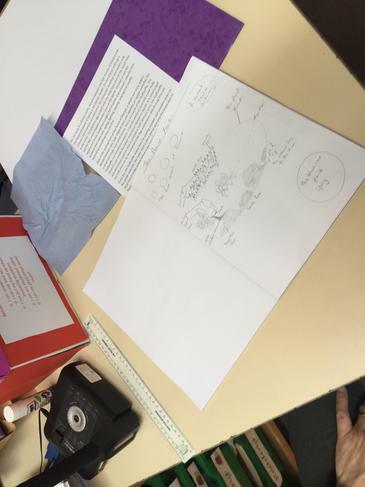 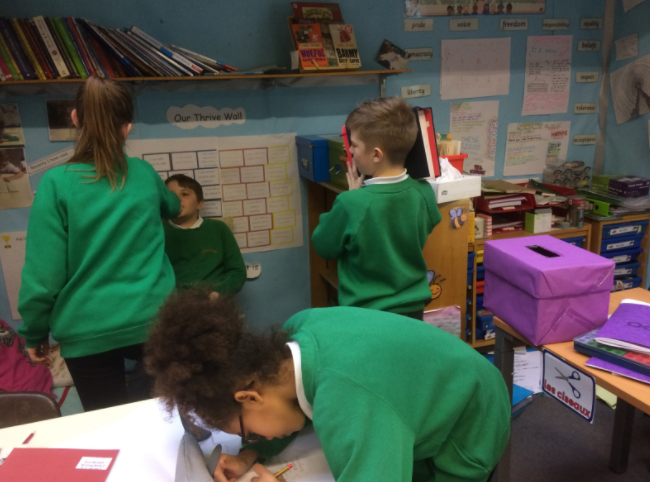 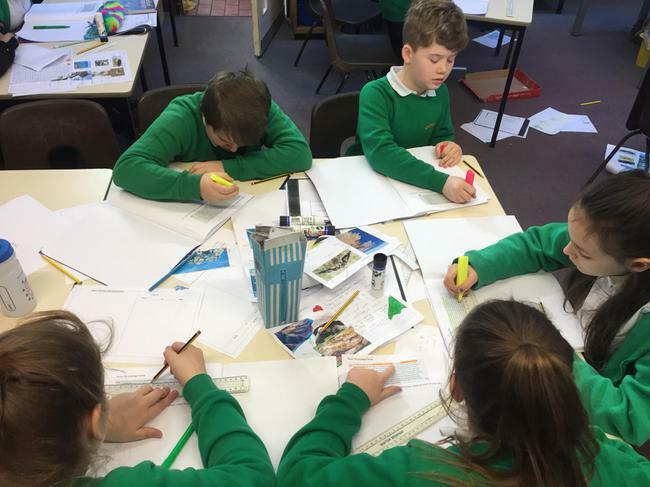 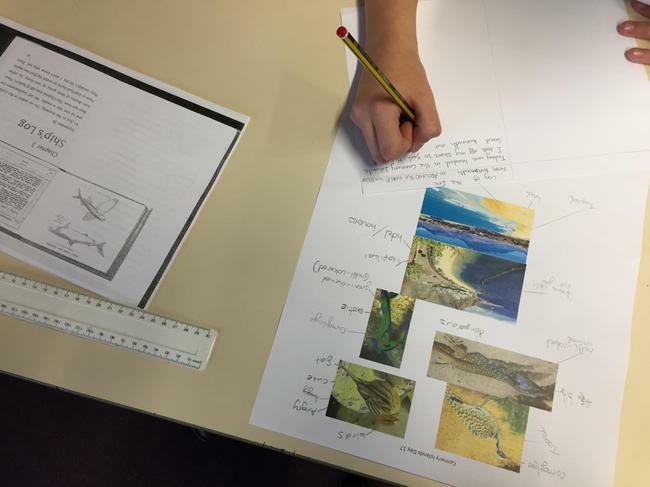 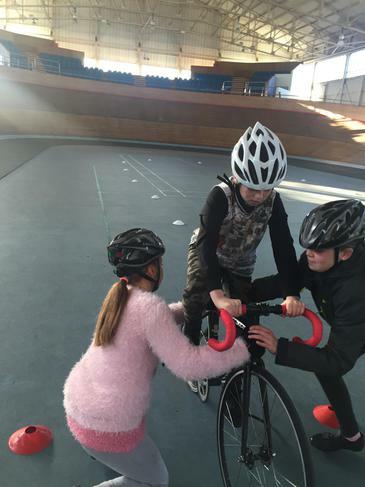 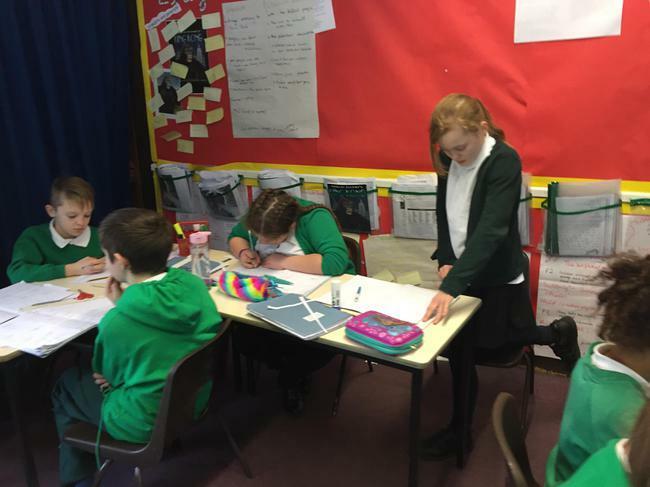 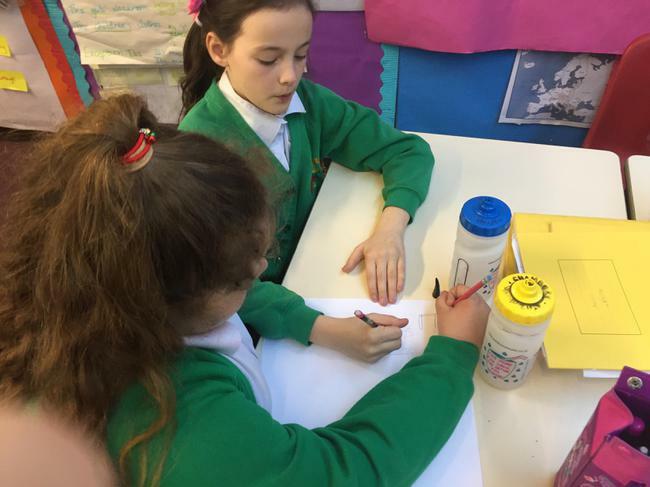 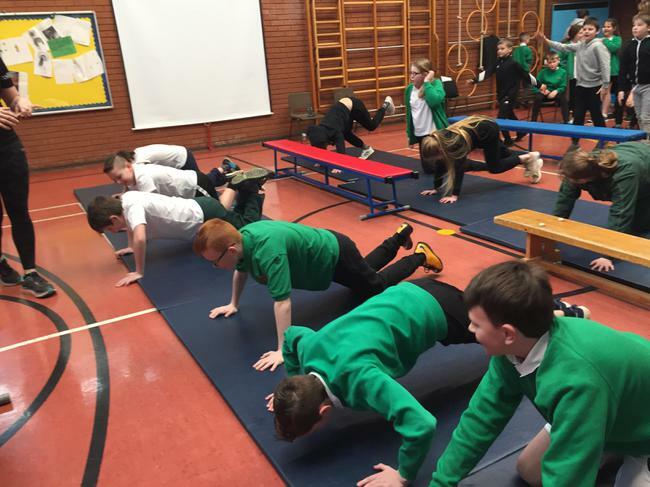 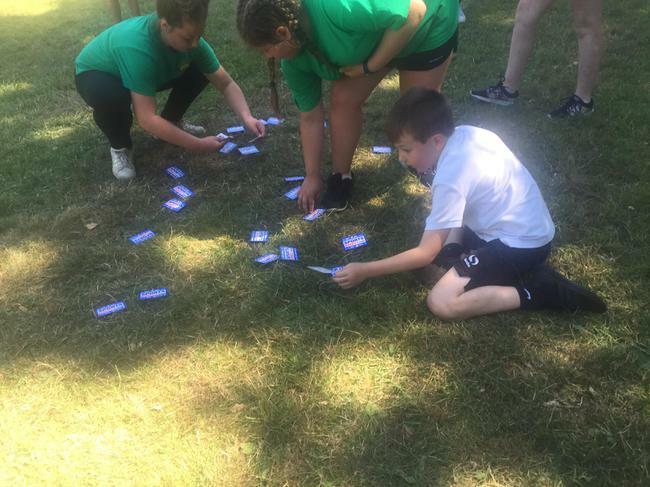 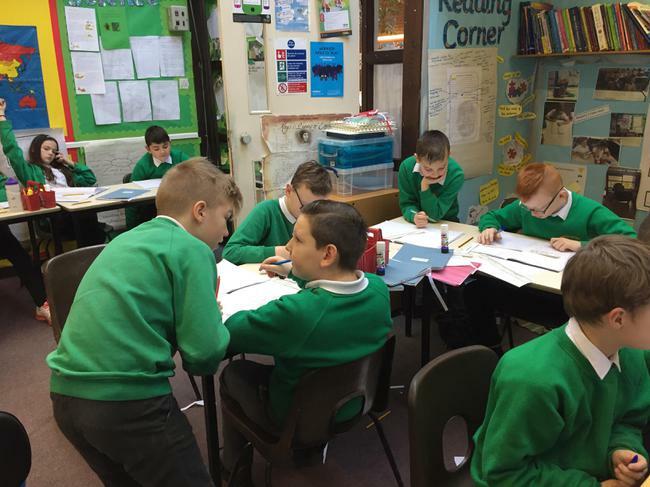 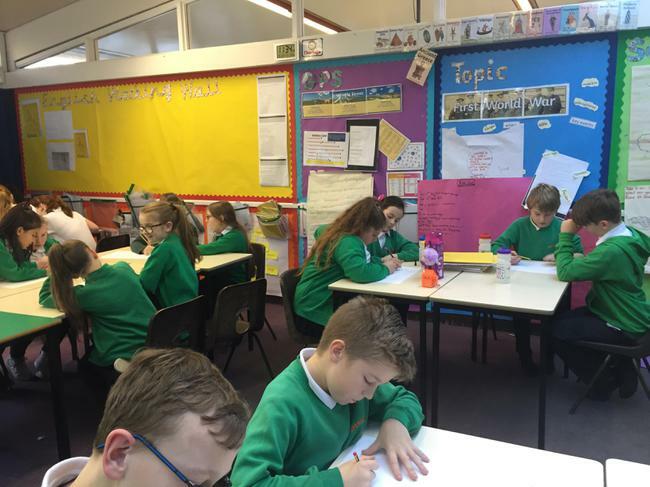 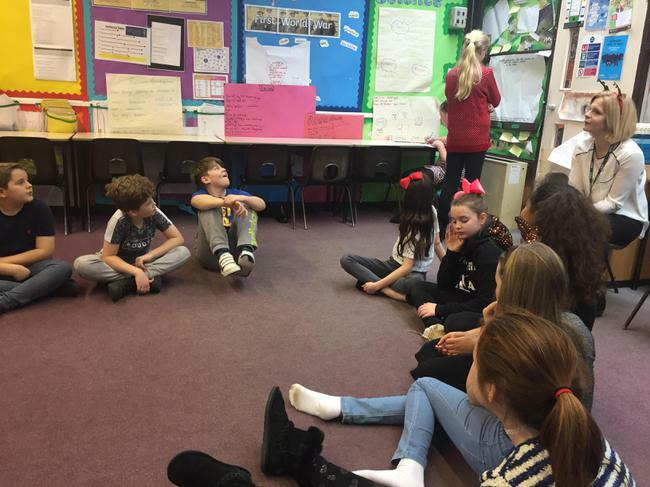 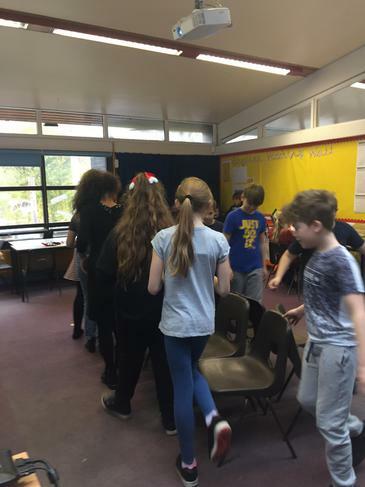 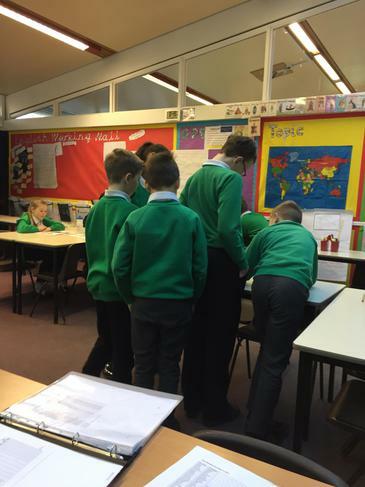 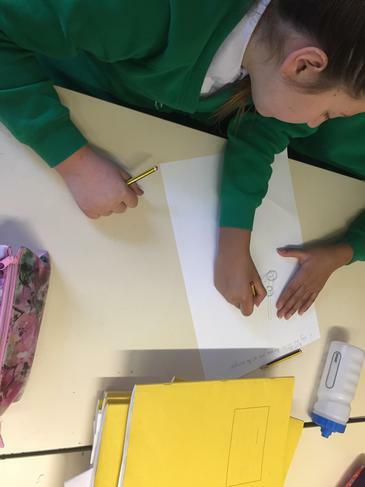 Working as a team, pupils are correcting the working out, solving the problem and discussing with each other which is the best and most efficient method. 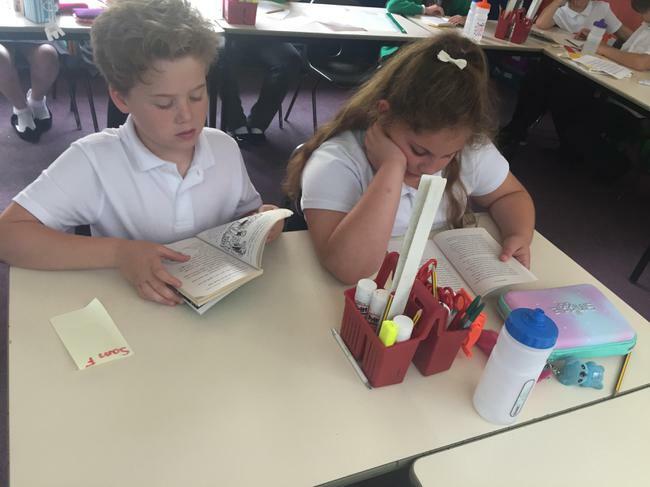 Year 6 were able to share their guided reading with their parents during reading morning. 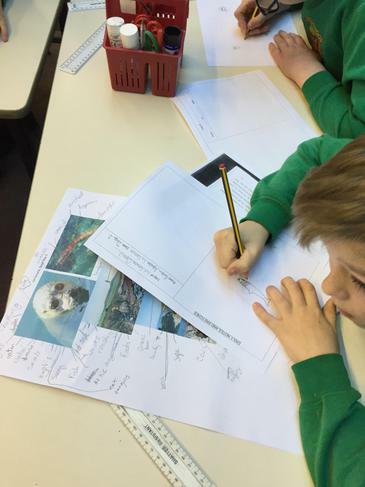 Pupils unpicked Kensuke's Kingdom creating their own diary entries and the log book he used. 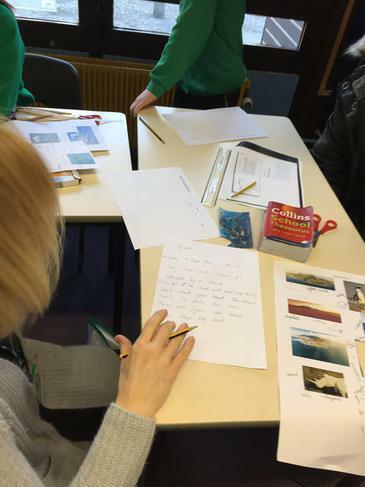 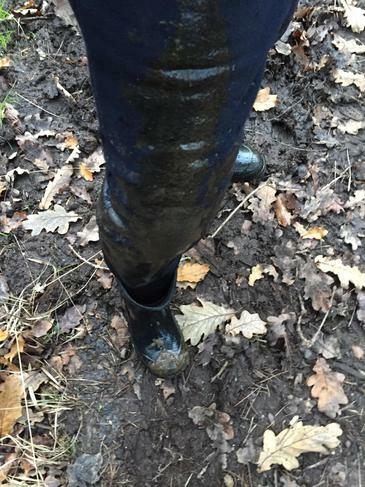 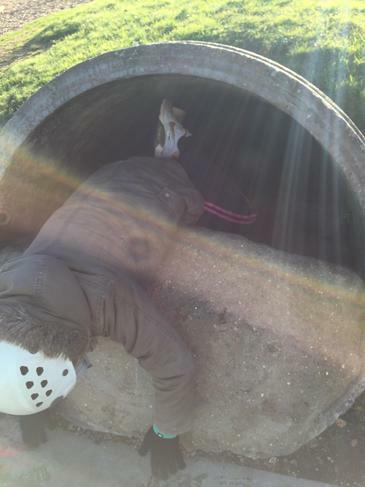 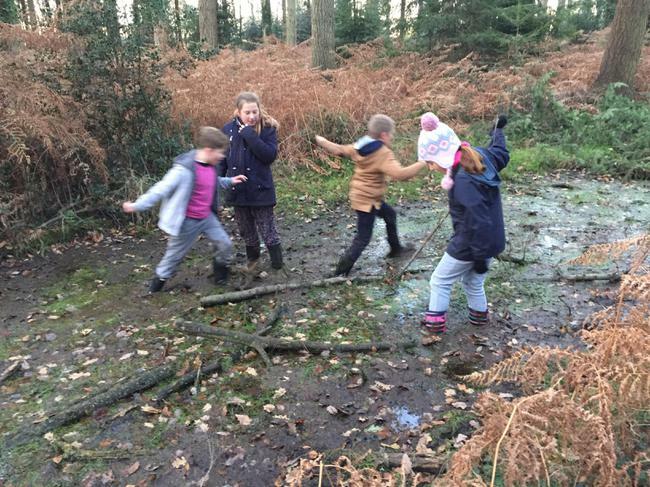 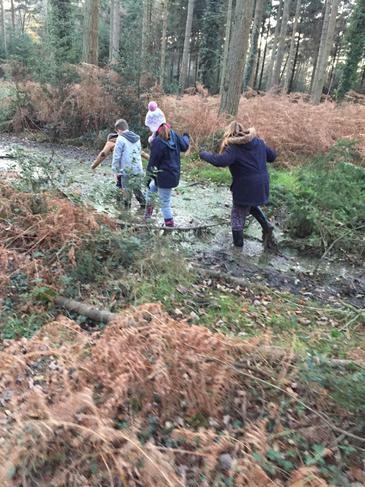 We used the story, film clips and pictures to inspire pupils when creating their log. 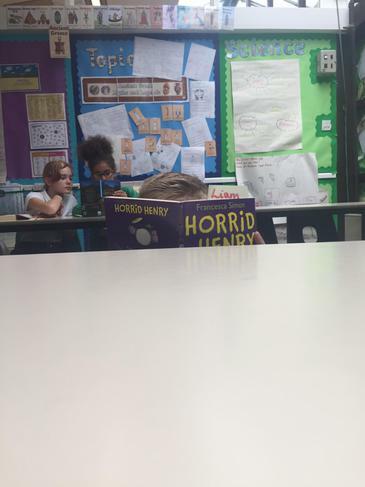 If your child was inspired, they can borrow the book from the library to see what happens to Micheal in the end. 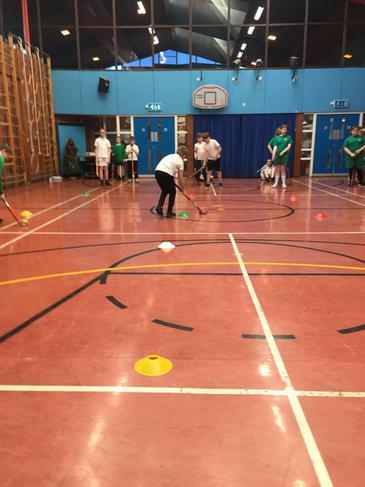 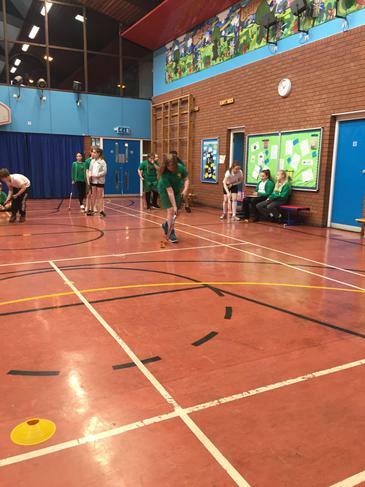 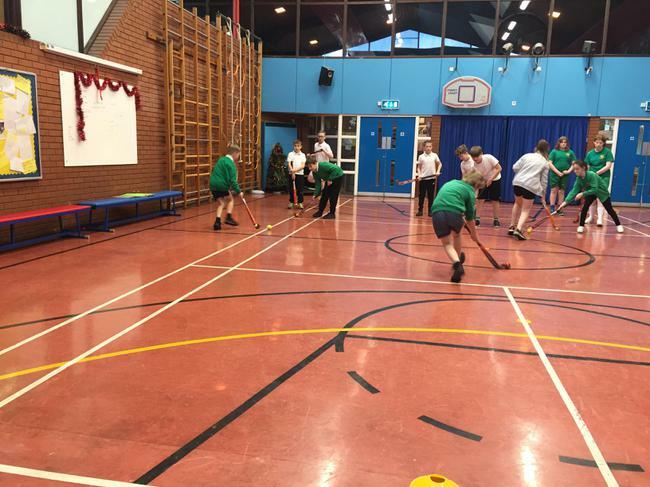 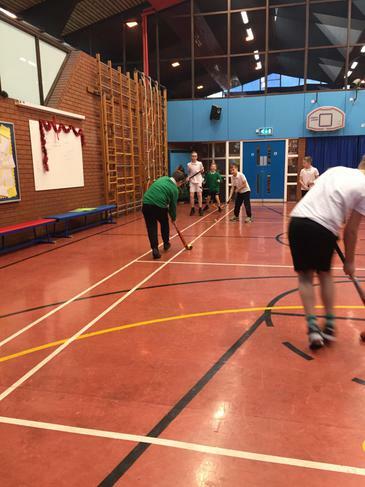 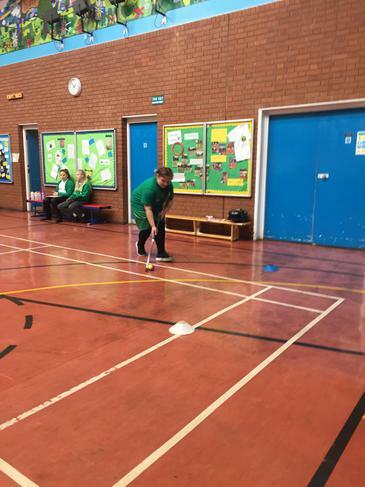 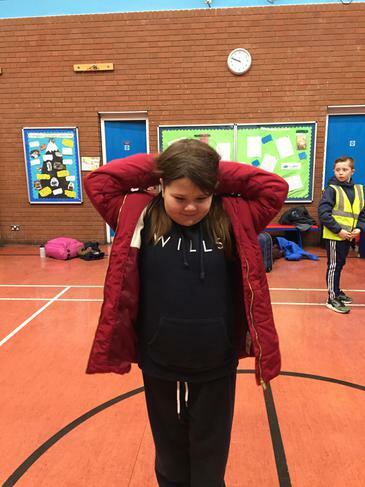 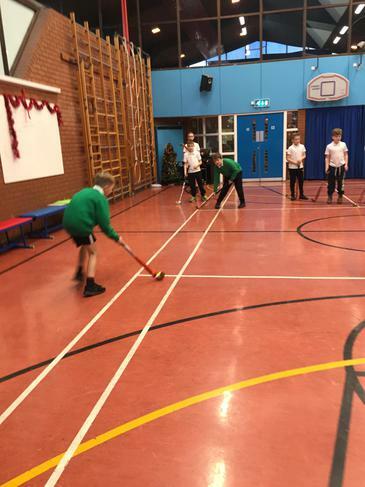 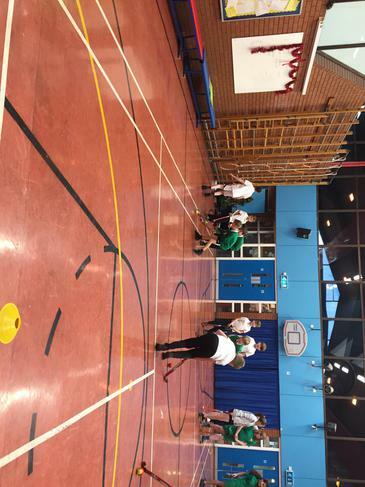 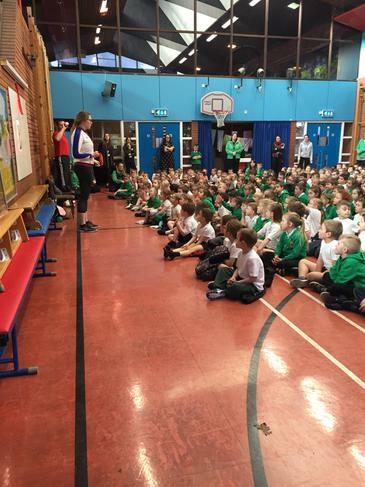 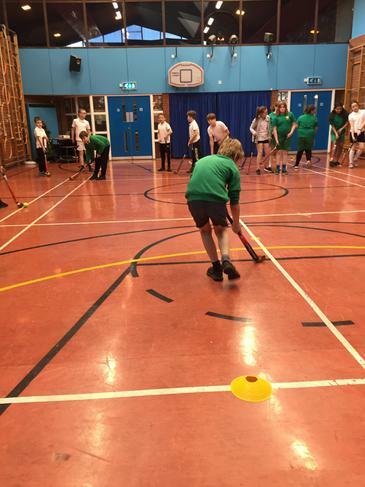 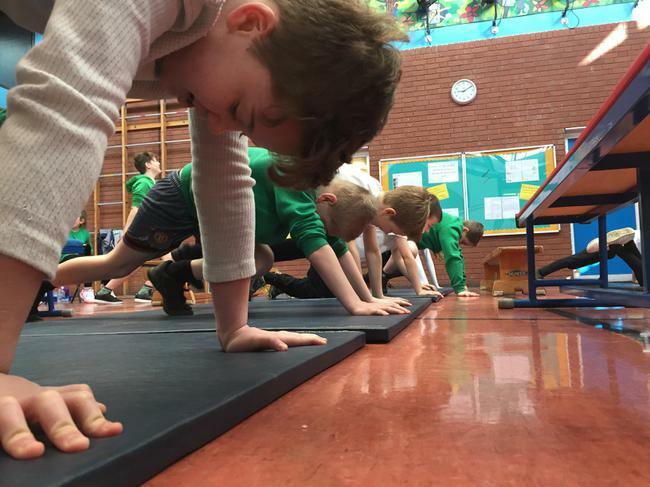 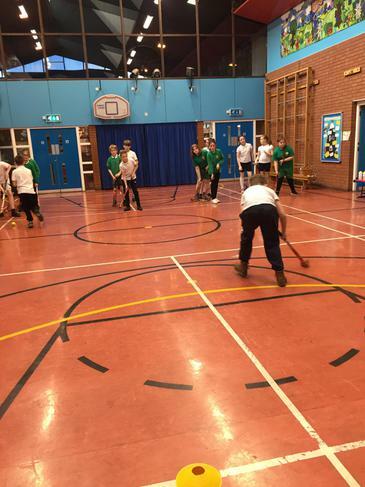 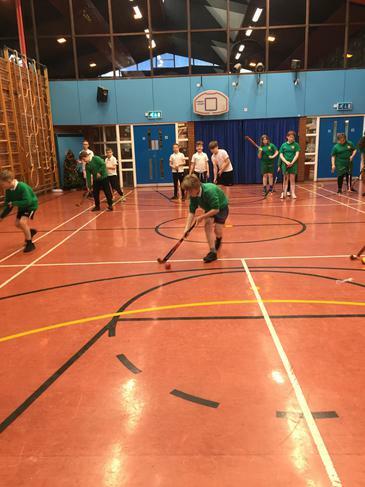 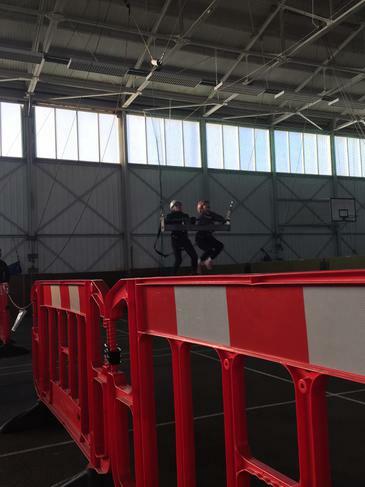 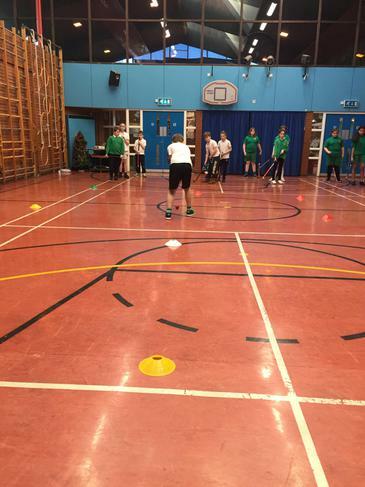 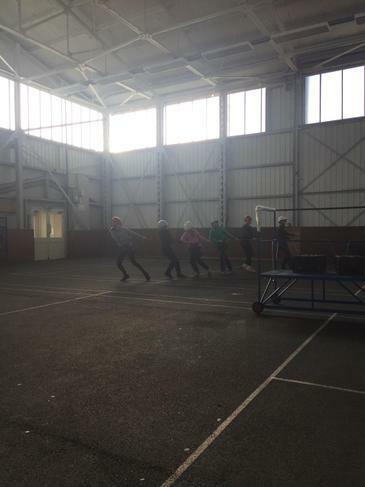 This half term bees and wasps have been aiming to improve our hockey skills. 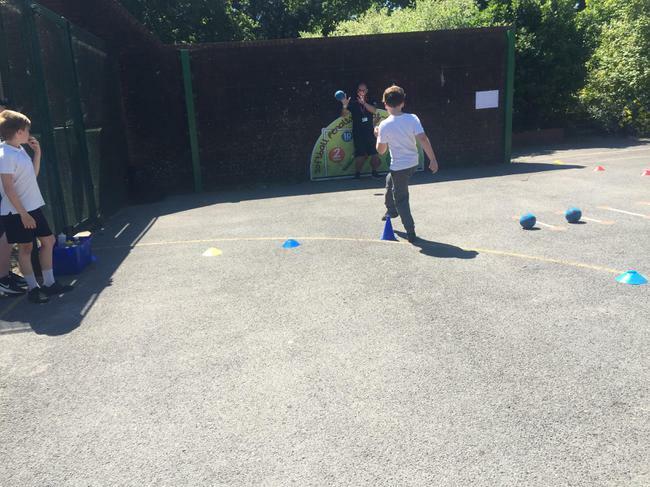 We have been practising dribbling, passing and our one vs one skills. 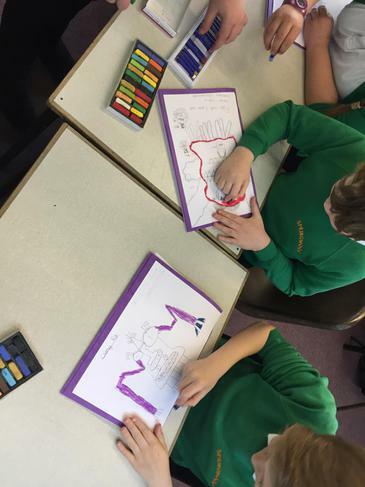 Currently in English, year 6 are being inspired by the book King Kong by Anthony Browne. 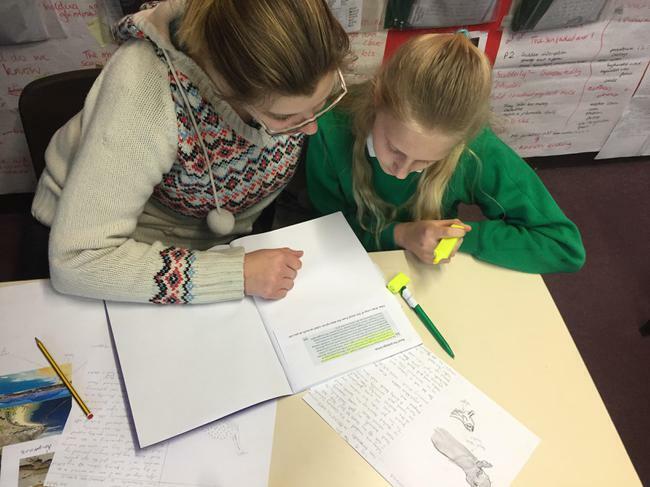 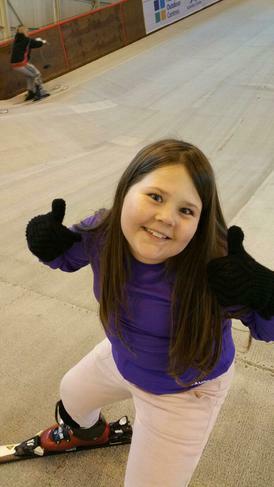 It is being used to inspire point of view writing and use emotive language to convey characters feelings. 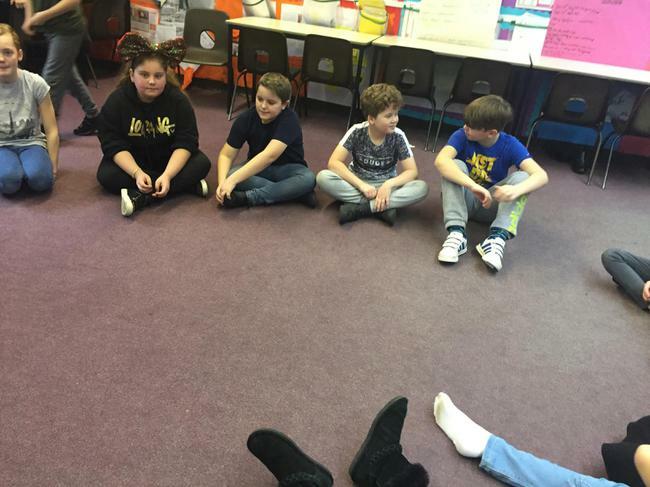 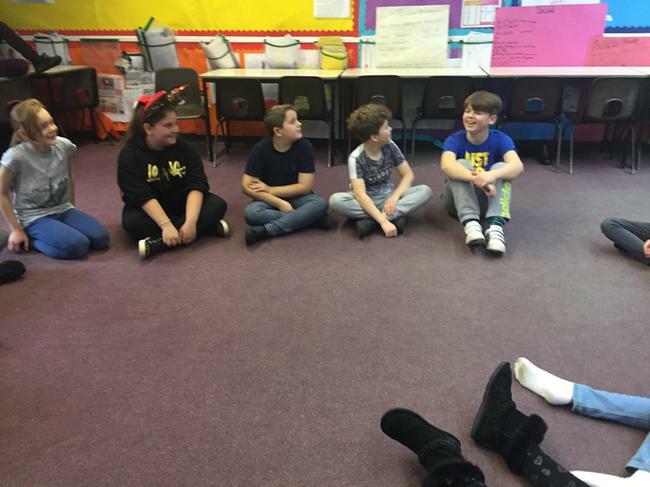 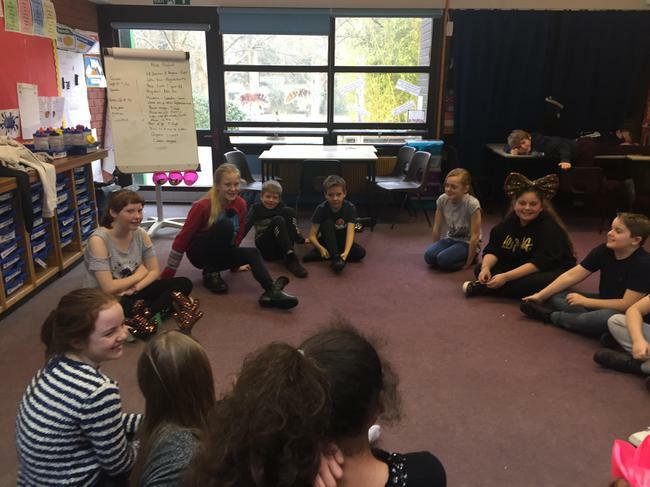 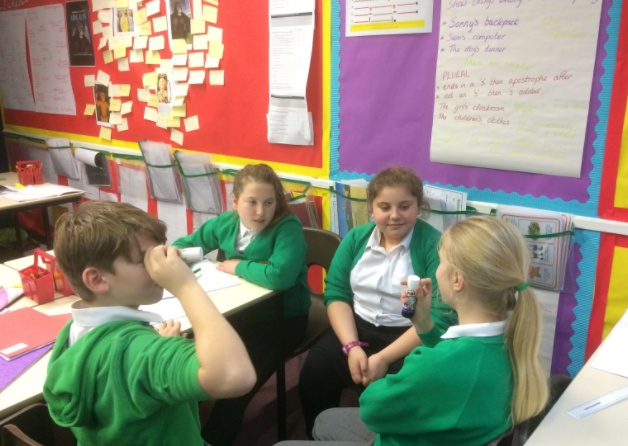 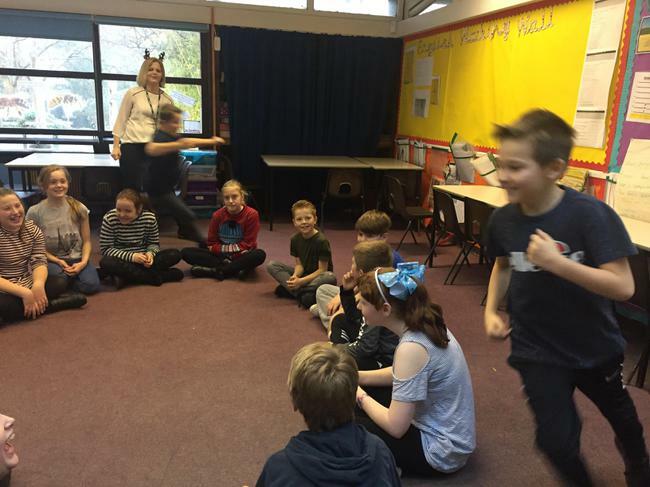 Pupils have acted out interviews and parts of the story to have a secure understanding of events. 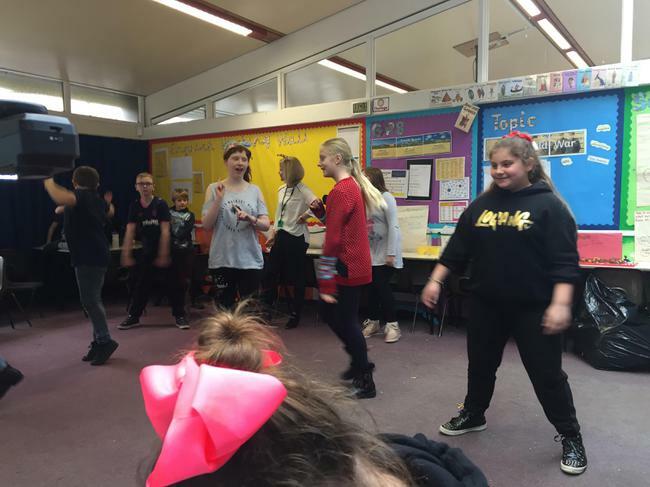 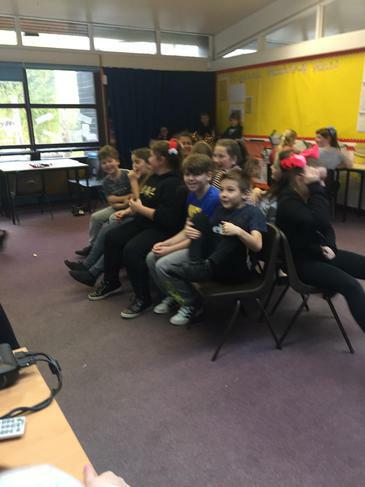 Year 6 were able to celebrate the achievements of other year groups watching them perform their Christmas production. 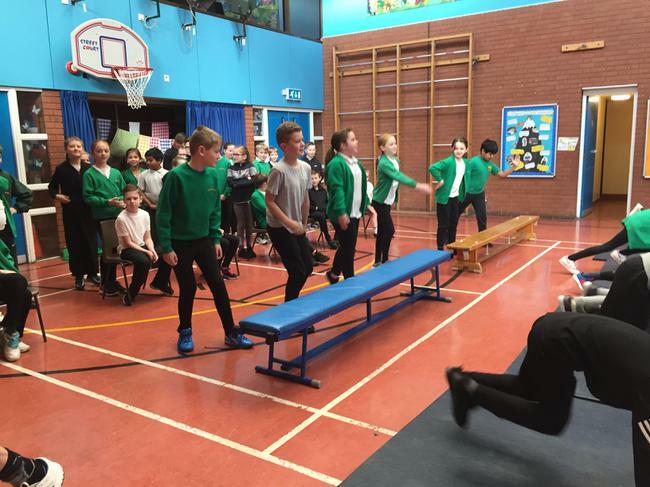 We thought they were amazing and it has inspired us for the summer performance. 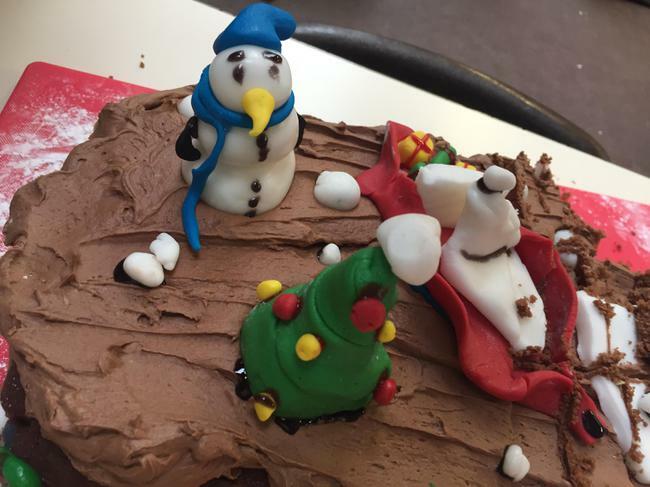 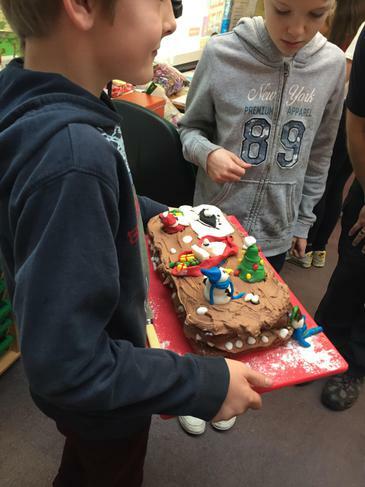 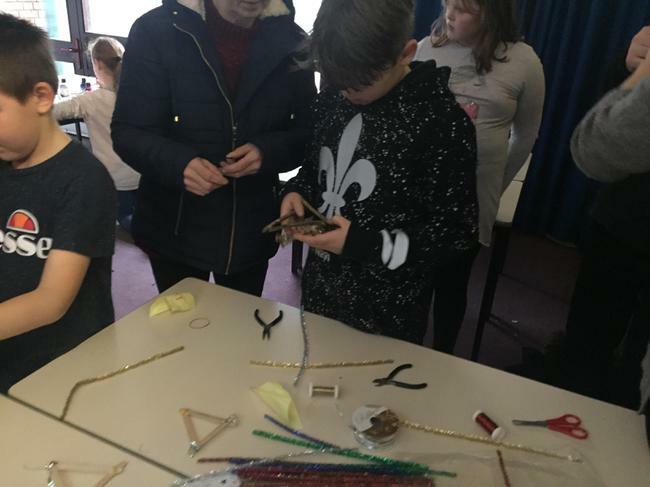 Year 6 had a wonderful Christmas party and would like to thank all those who were able to come to the Christmas craft afternoon. 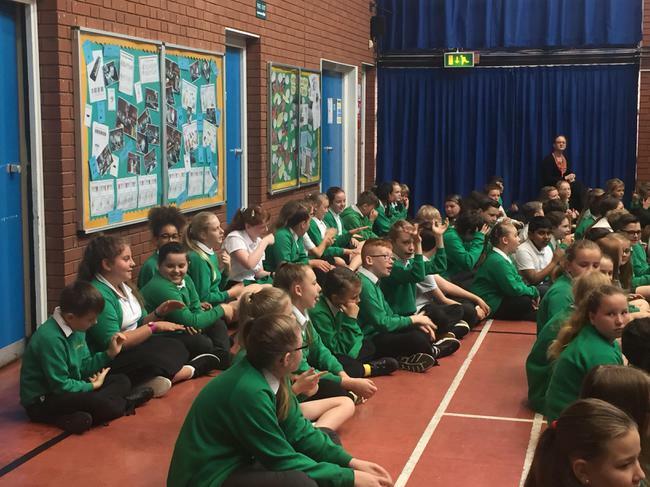 Year 6 would like to congratulate all the winners at this terms celebration assembly and thank all the parents who were able to attend. 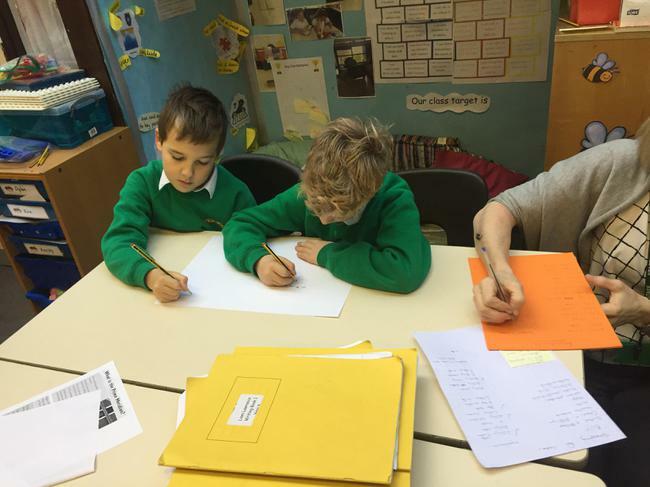 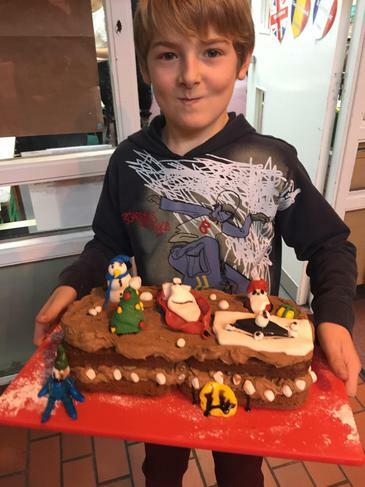 The new home learning and handwriting awards have been a great success. 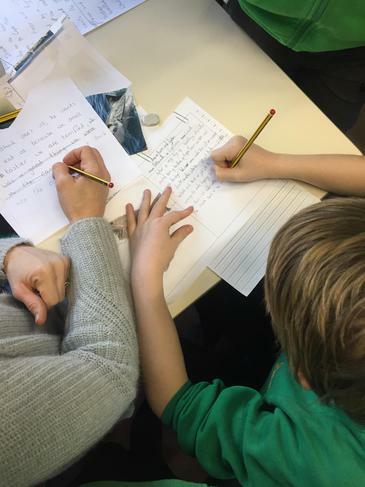 Please continue to support your child at home to complete their home learning and practise their handwriting. 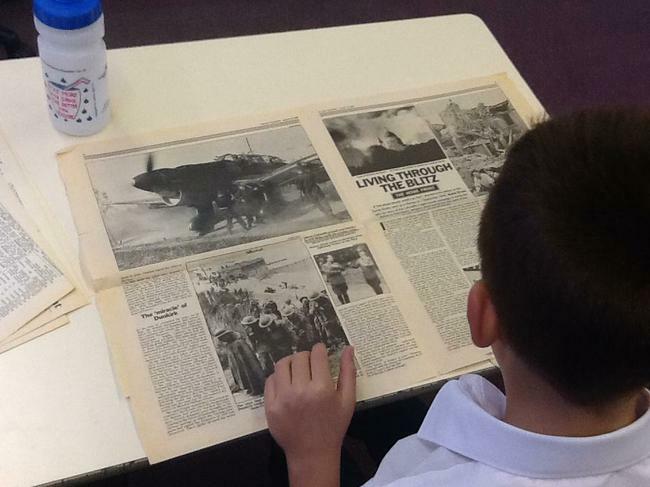 In history, Year 6 have been studying the two world wars and the Holocaust. 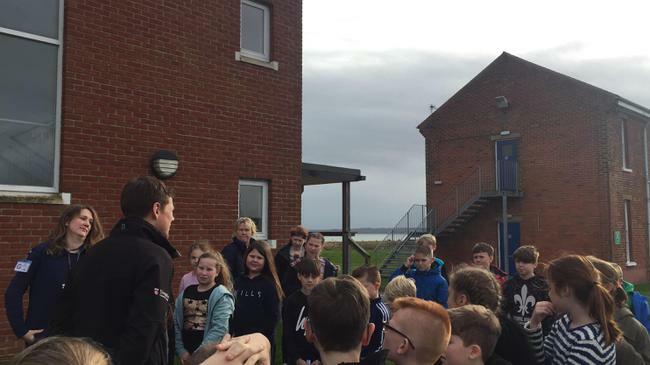 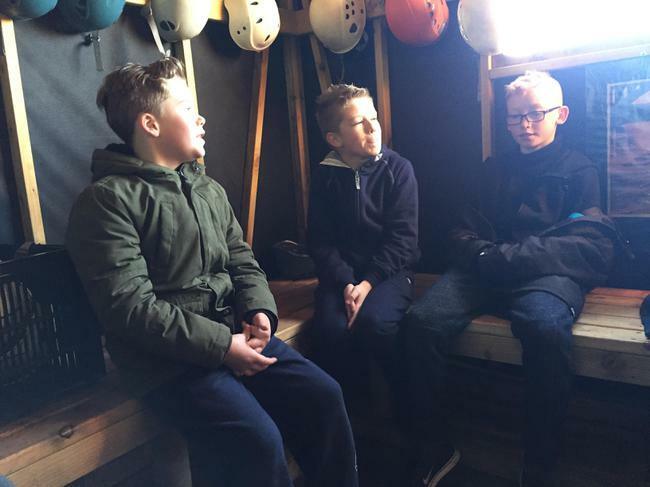 We have learnt how they started, key battles and the events that have changed the course of history. 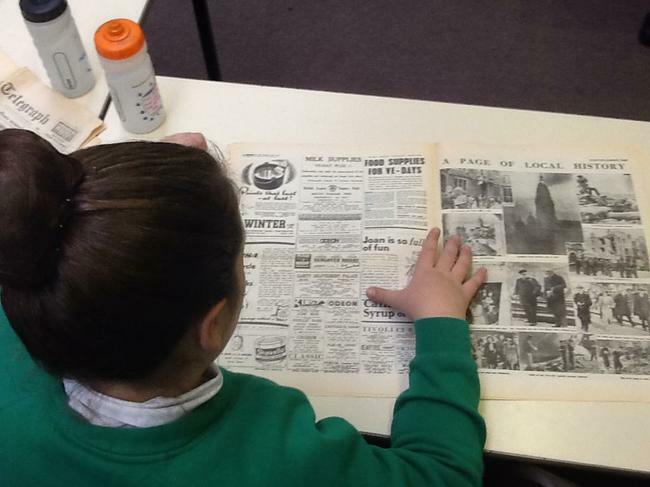 We have produced our own newspapers and information pages about the Holocaust informing others of the tragedies that have occurred. 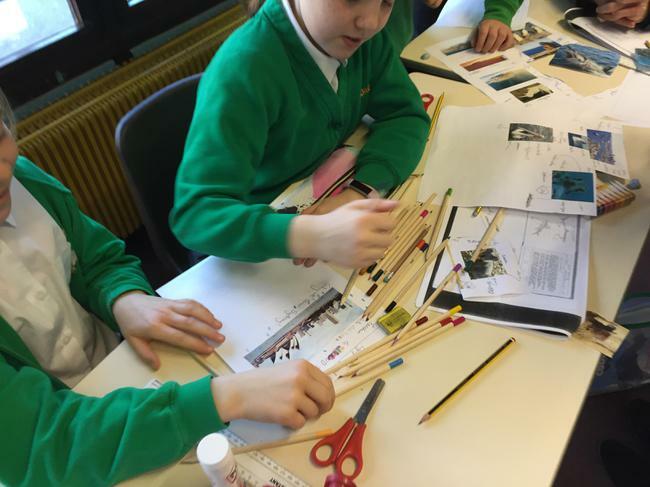 Year 6 have been looking at movement and the use of machinery in war. 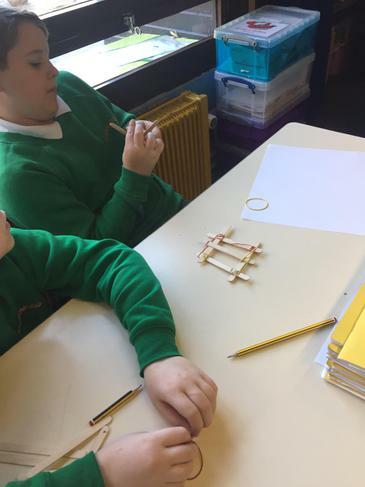 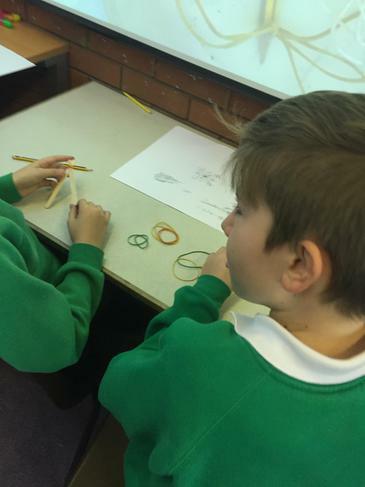 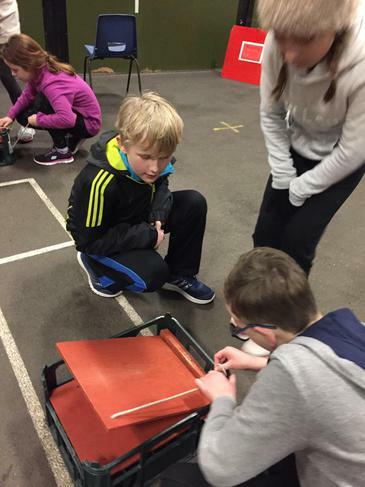 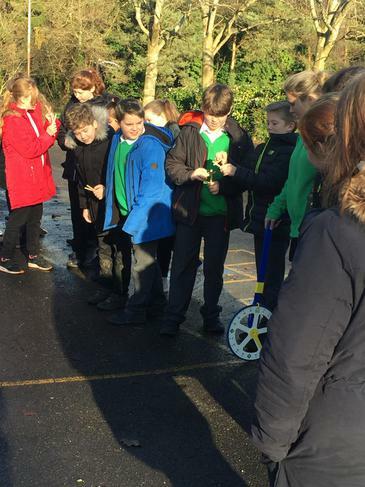 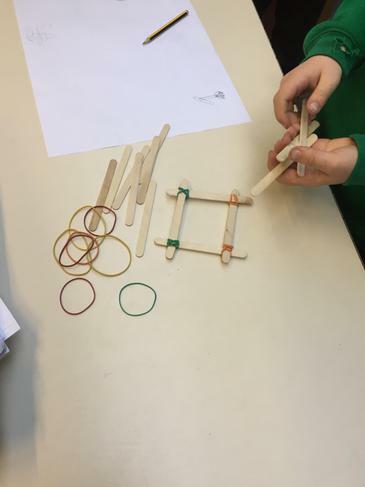 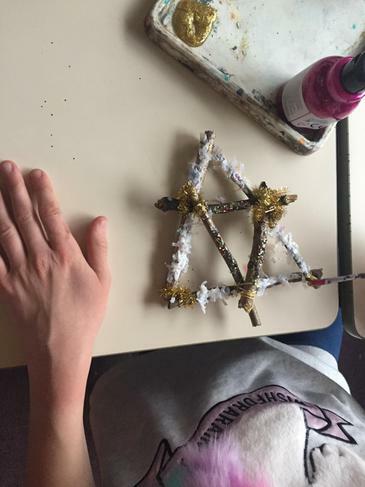 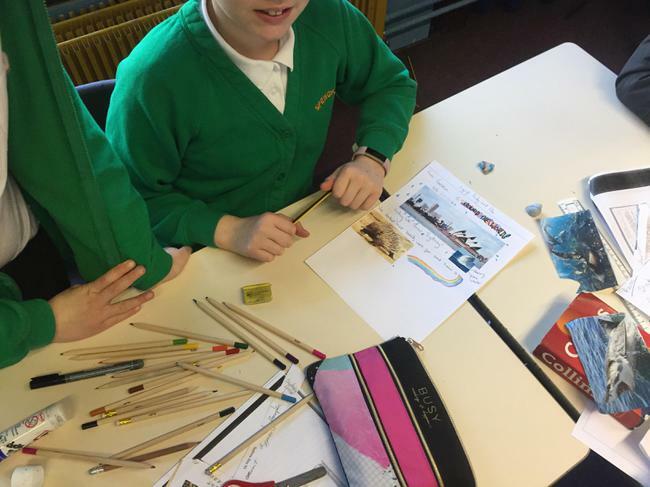 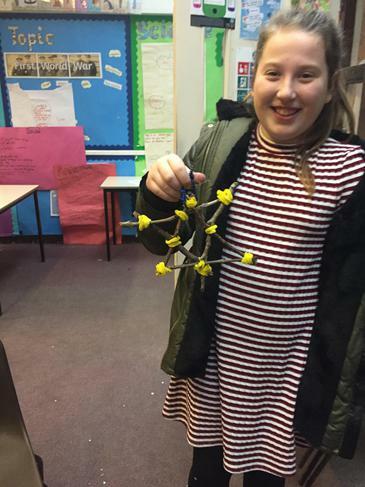 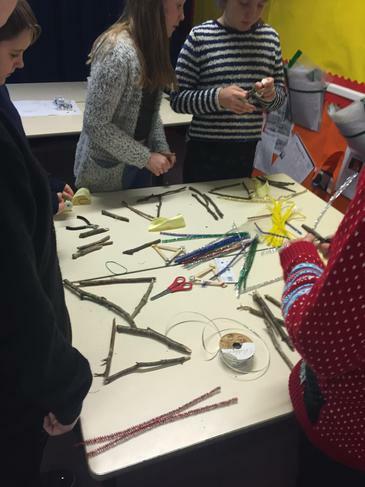 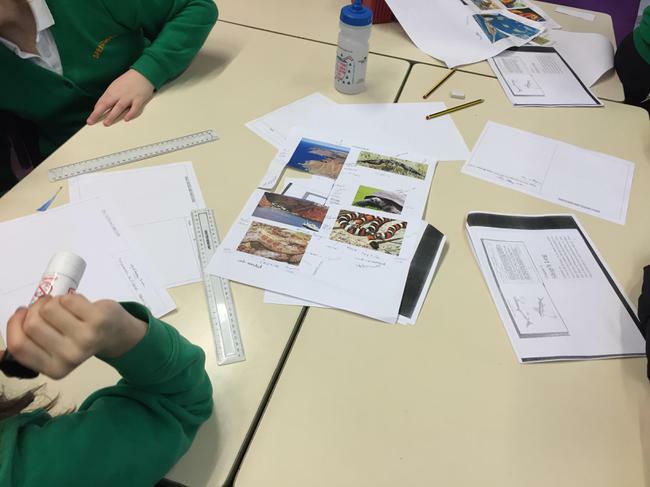 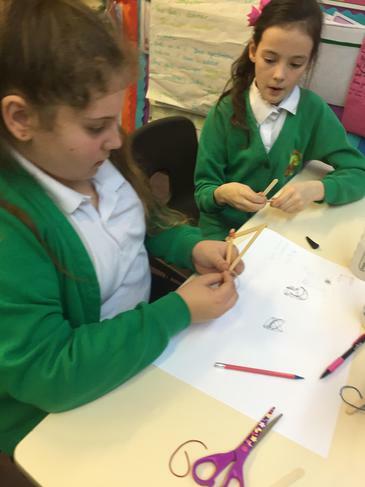 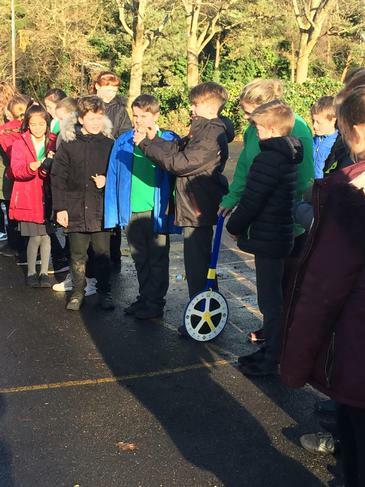 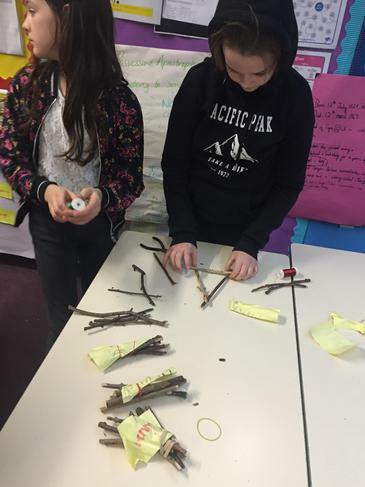 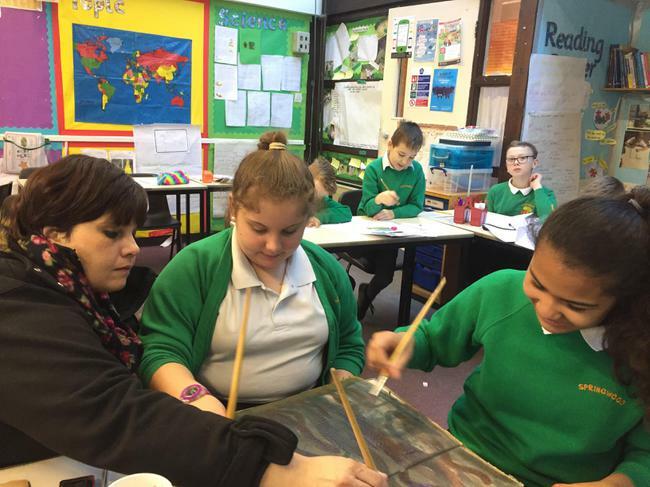 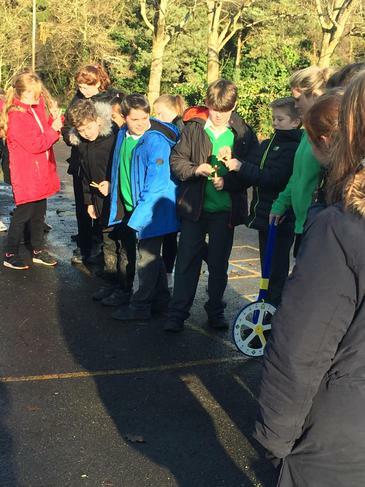 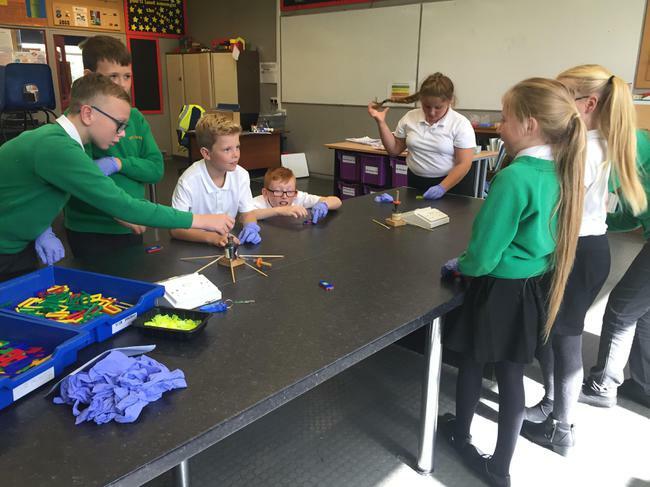 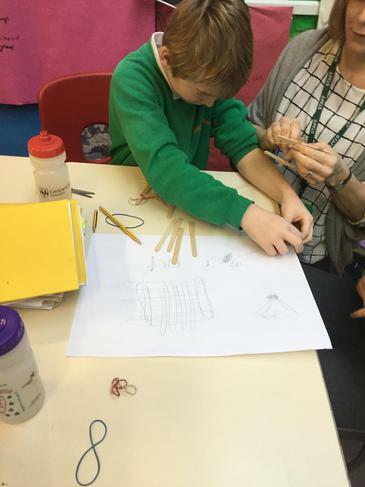 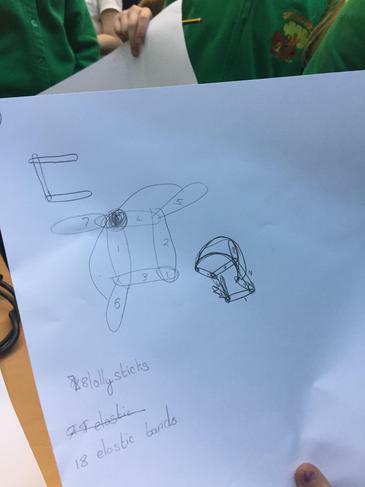 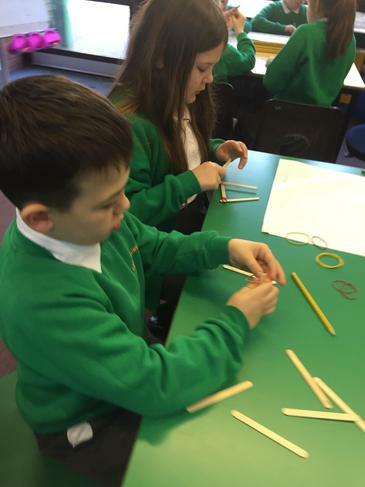 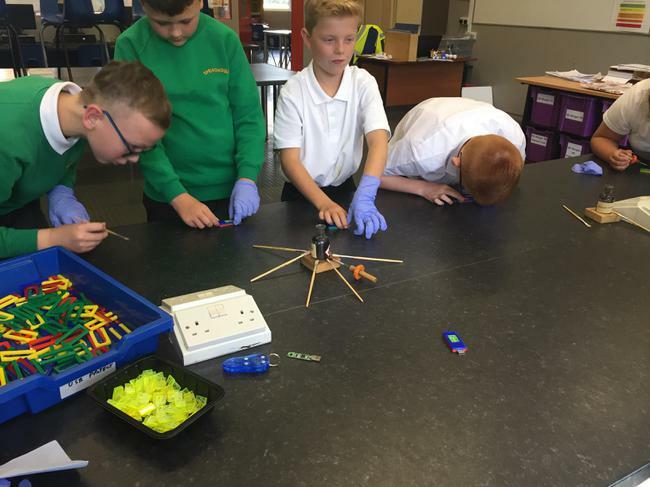 Thinking back to their work in year 5 - Normans - Year 6 are planning to make trebuchets using only glue, weight, lollipop sticks and elastic bands. 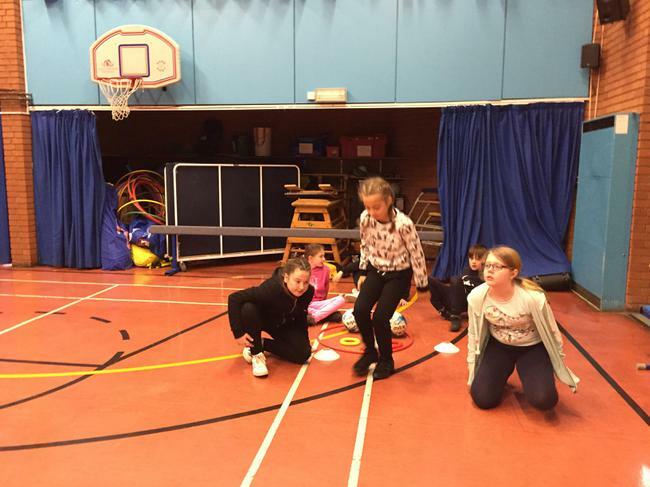 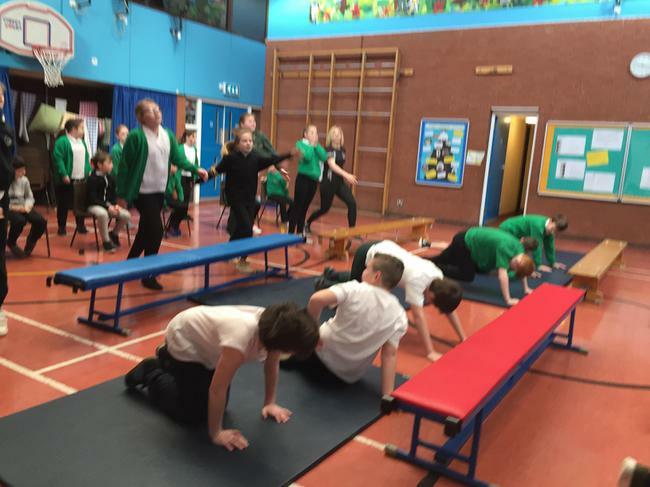 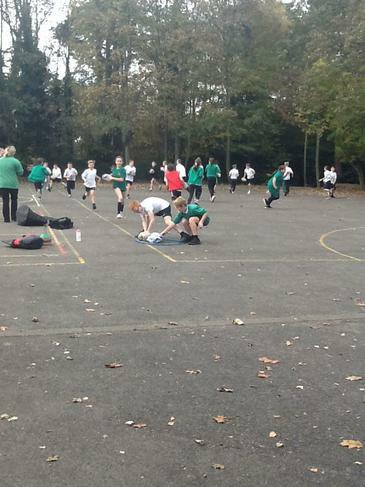 We have had our own practise at making something move using force in pairs. 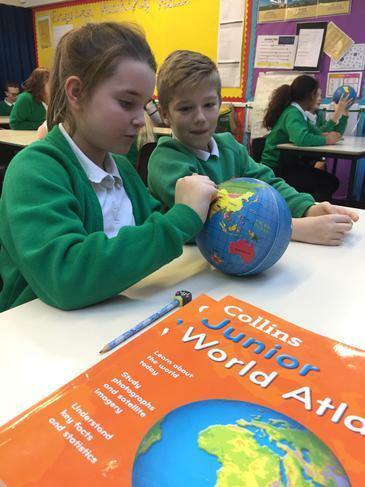 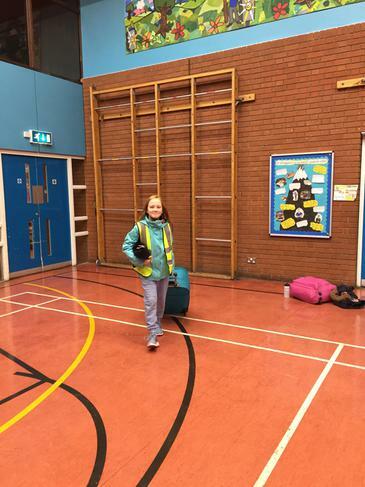 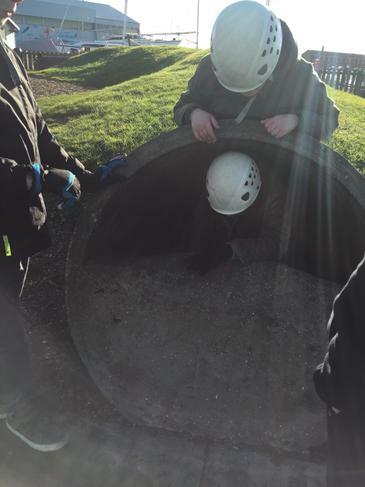 Year 6 have been exploring the globe and the significant parts including the Northern Hemisphere, Southern Hemisphere, Equator and the Prime Meridian. 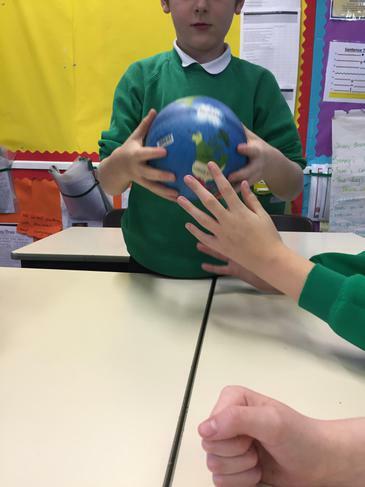 We have learnt about a range of countries around the globe comparing them to the UK. 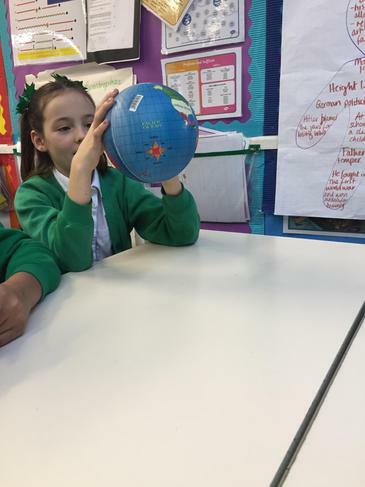 We couldn't believe how little light and heat some countries get in some seasons because of their position in the world. 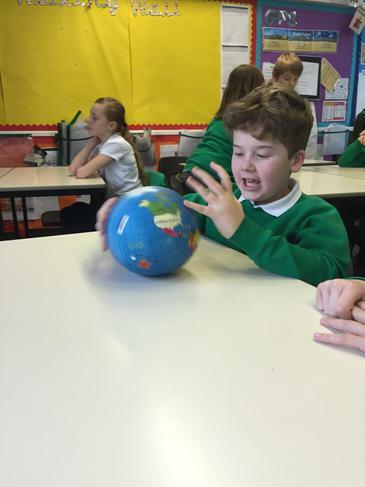 We have also learnt about time zones and calculated the time in other countries. 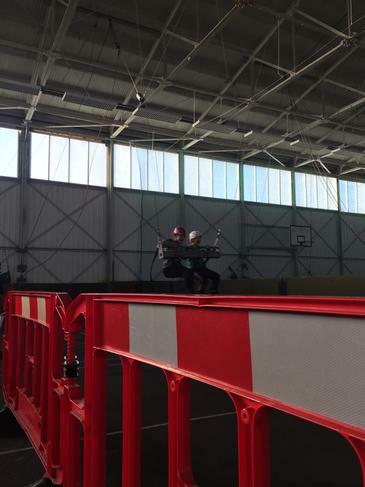 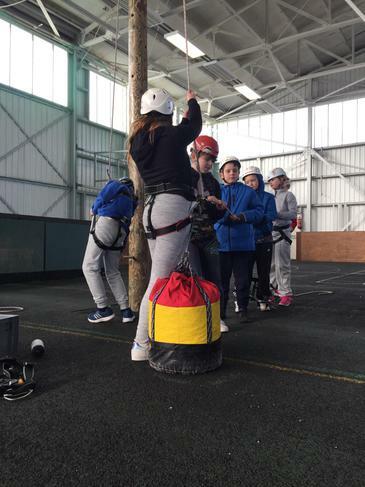 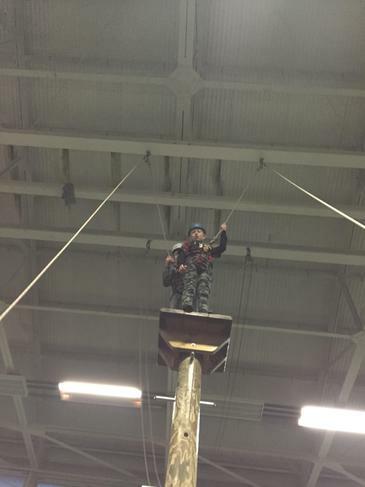 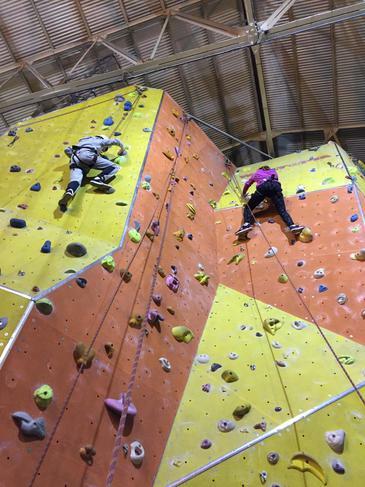 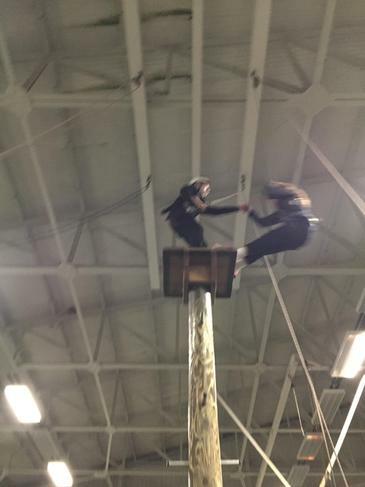 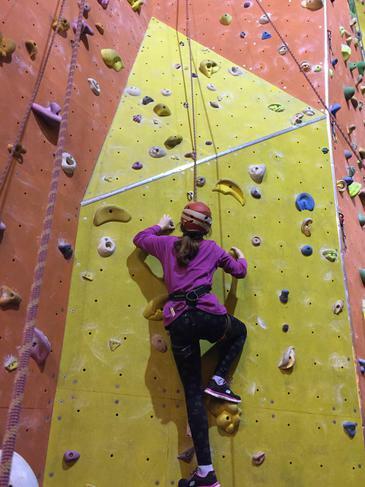 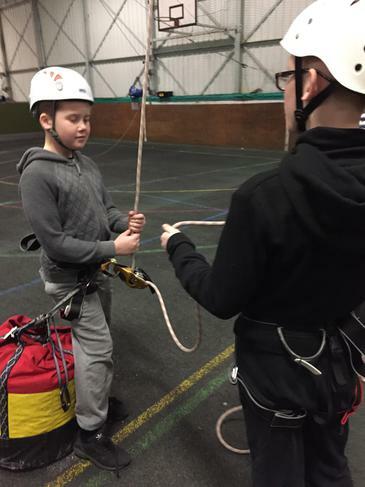 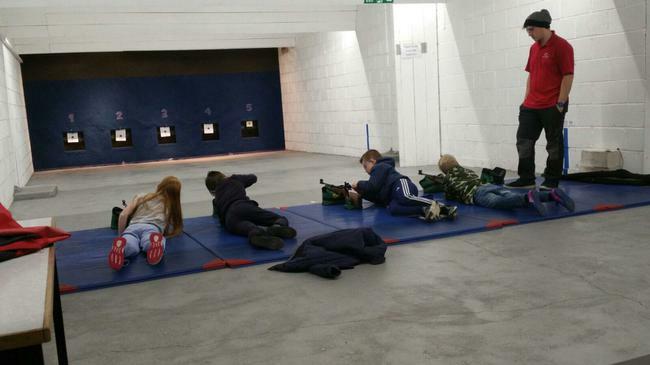 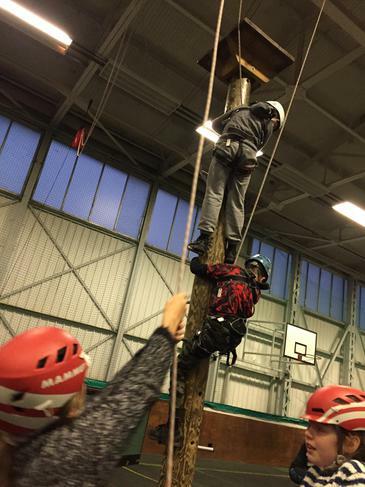 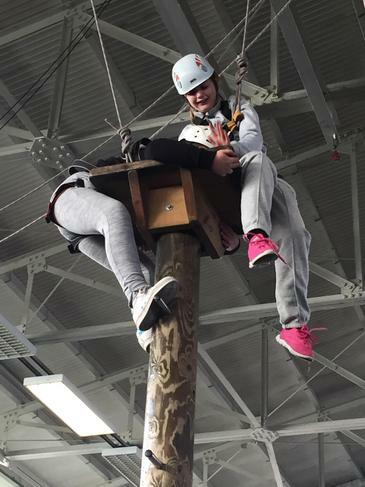 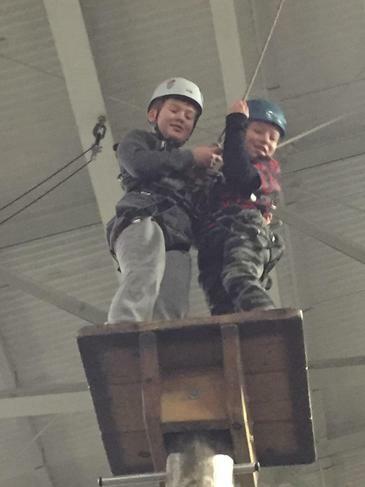 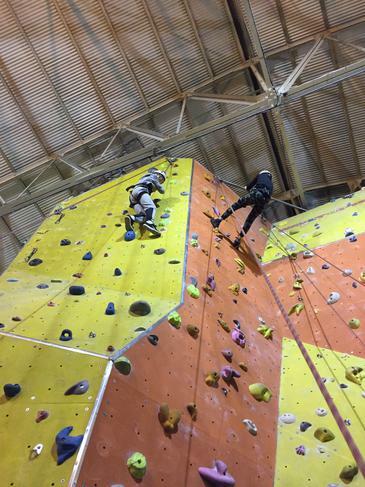 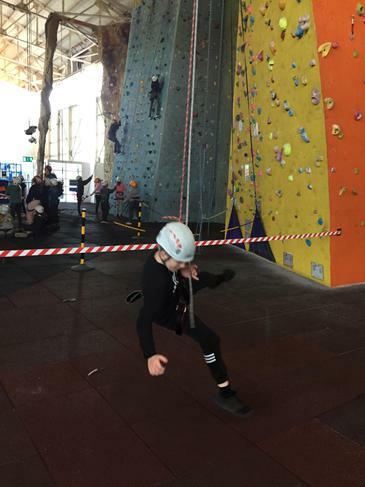 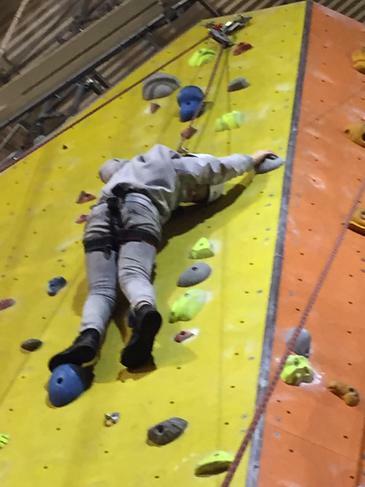 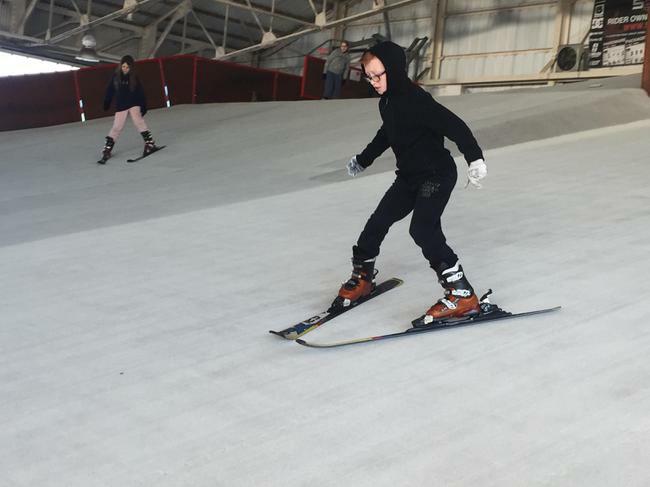 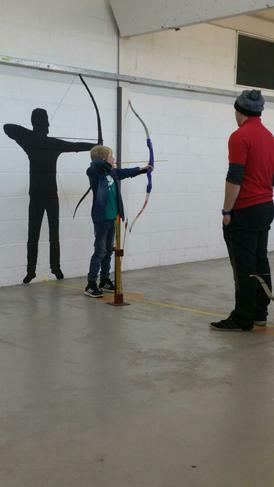 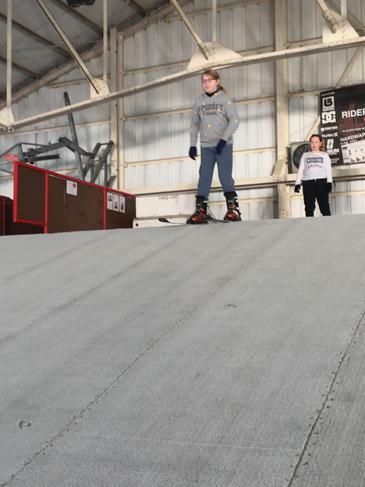 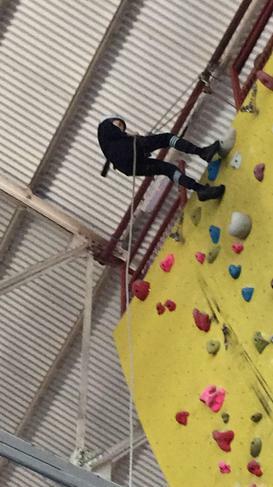 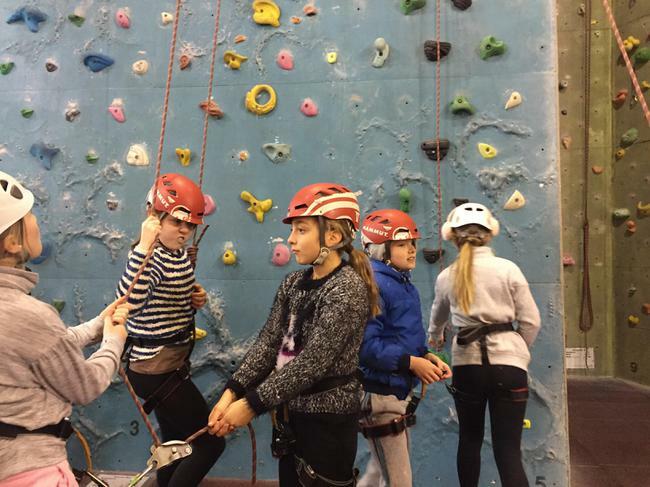 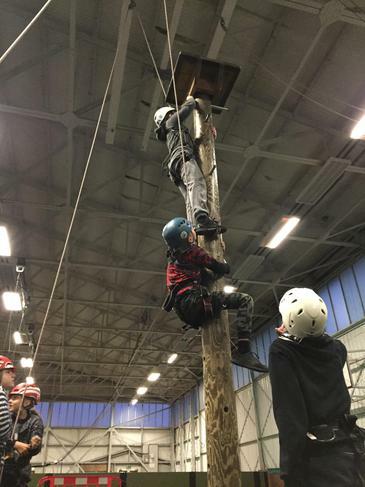 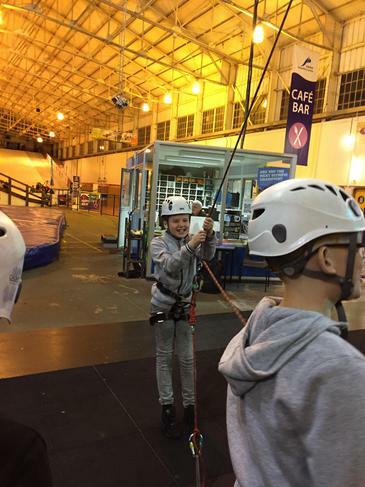 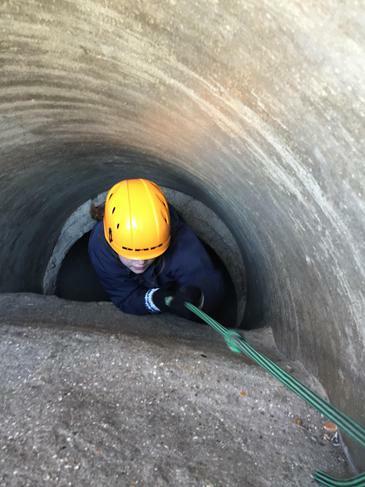 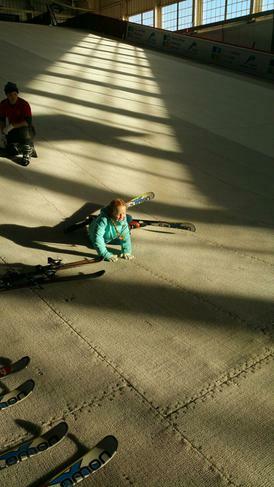 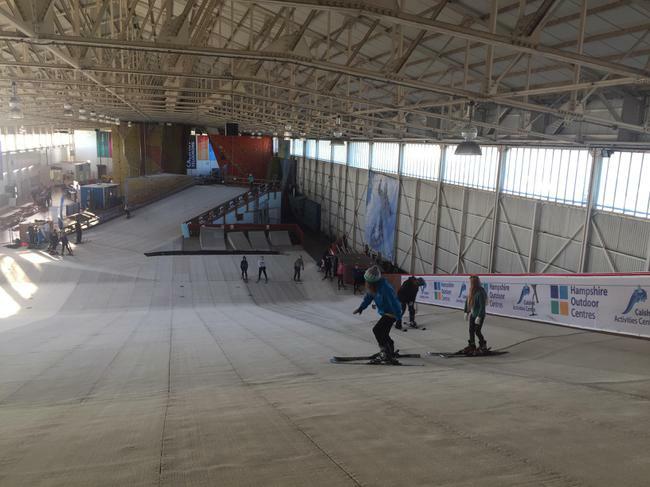 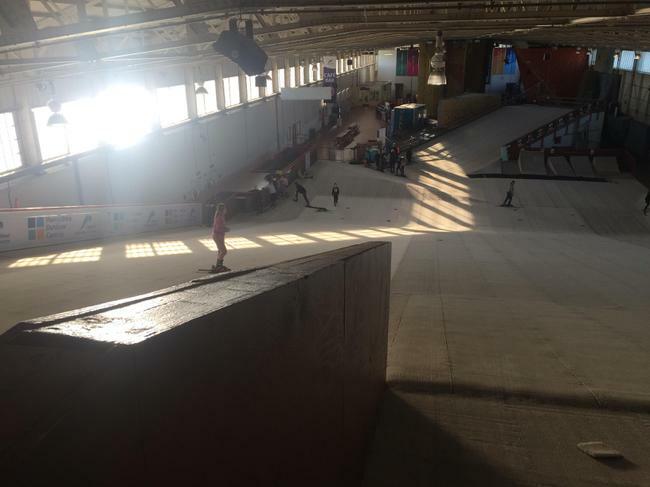 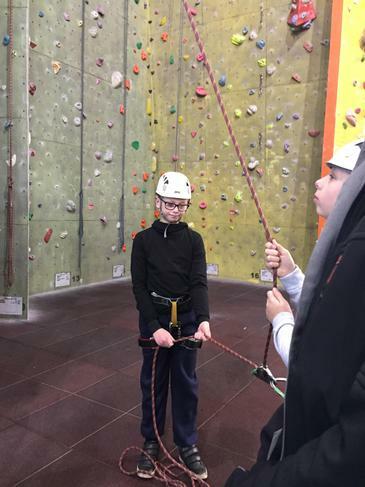 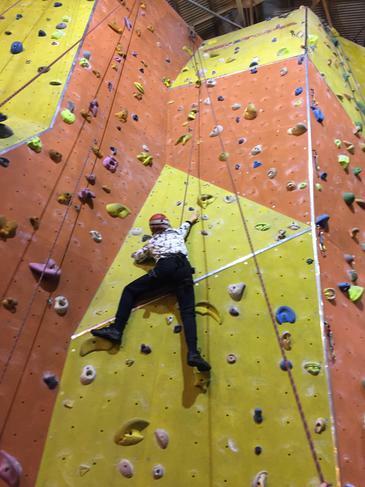 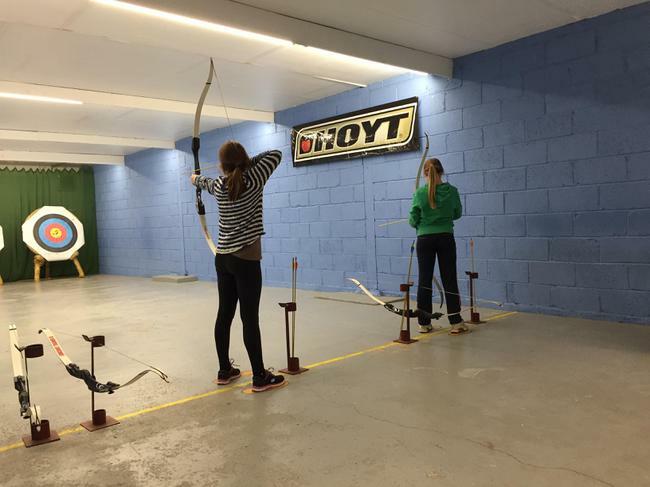 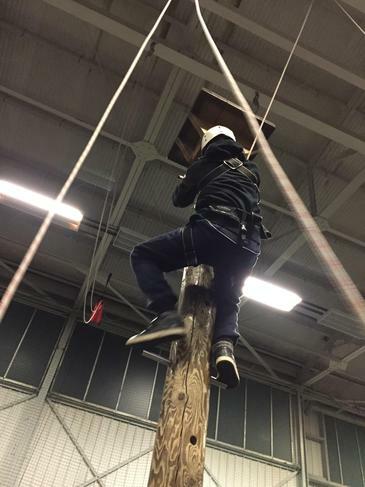 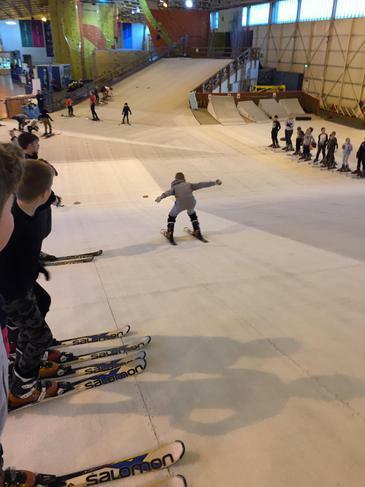 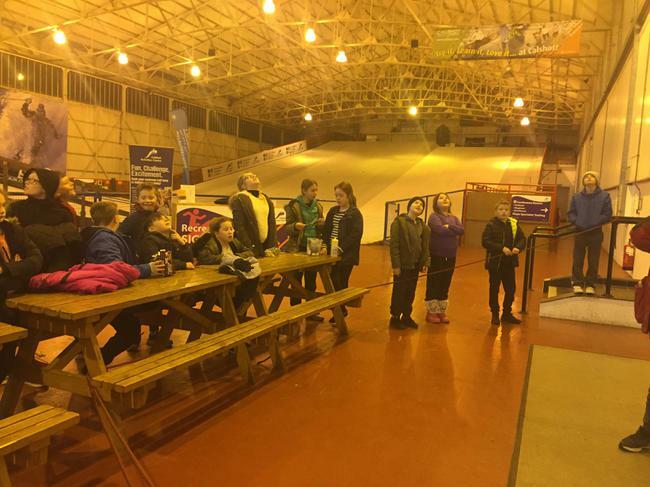 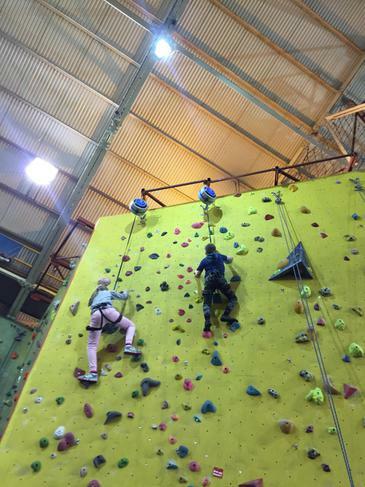 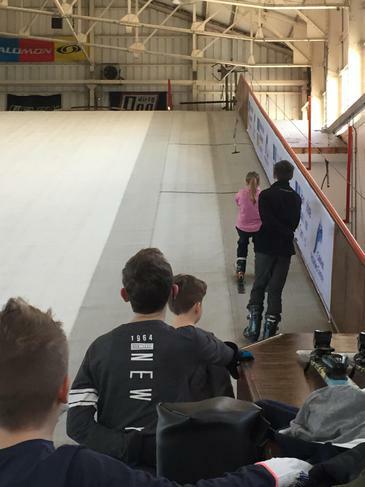 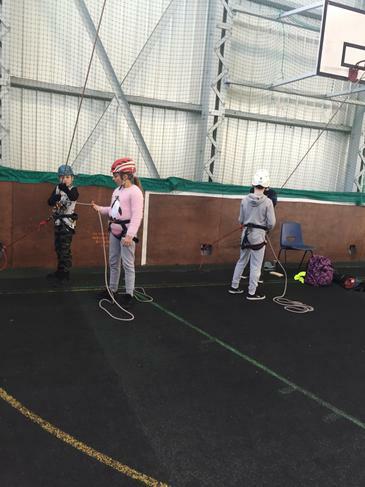 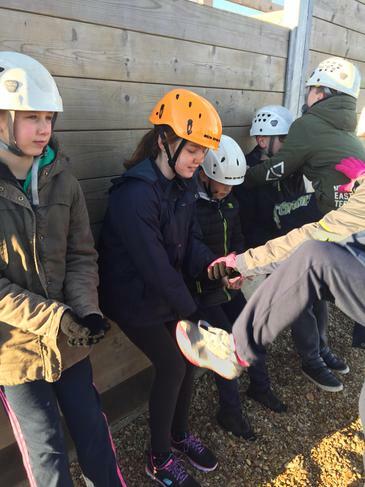 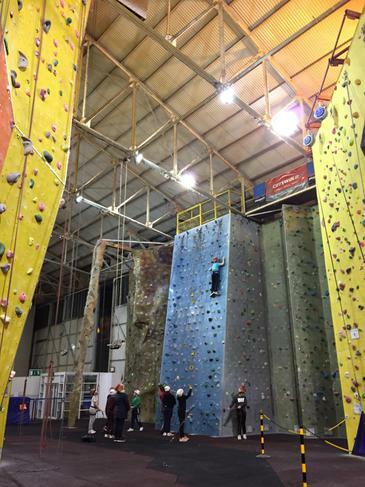 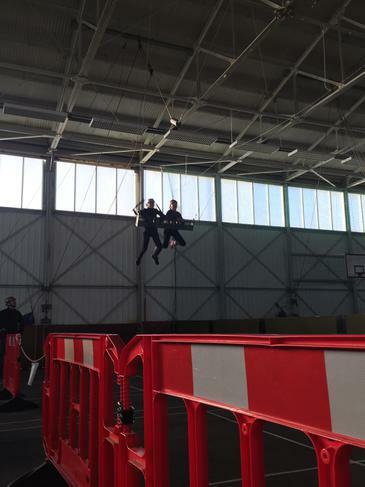 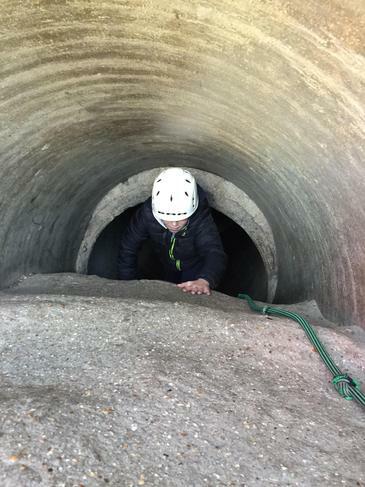 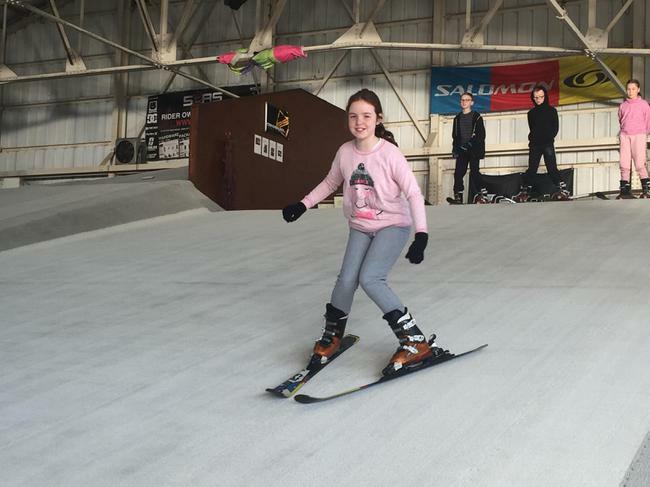 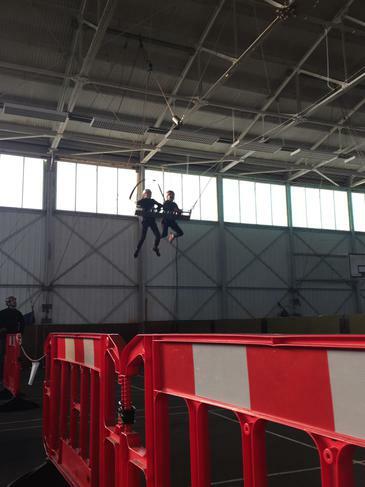 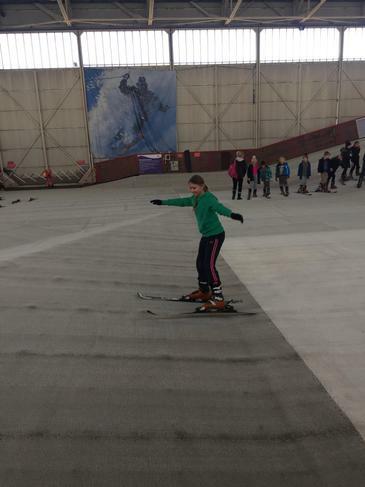 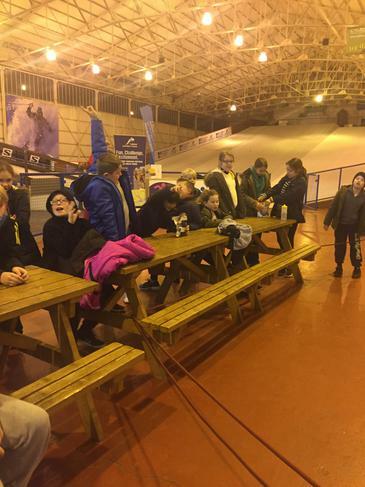 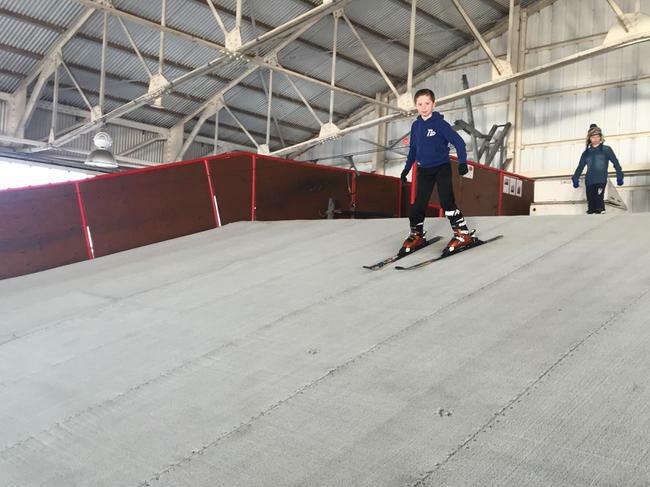 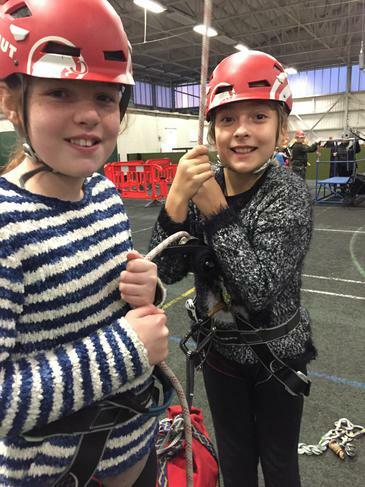 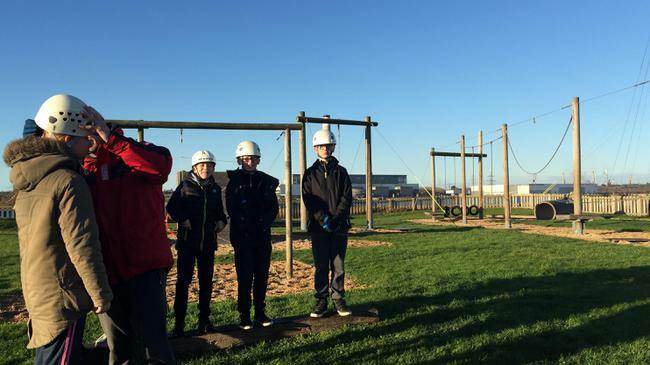 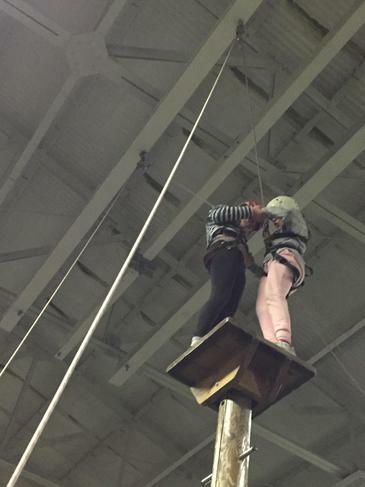 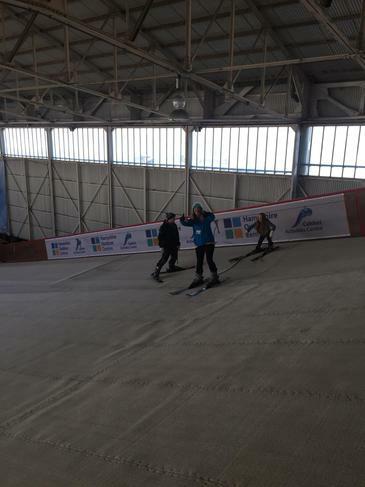 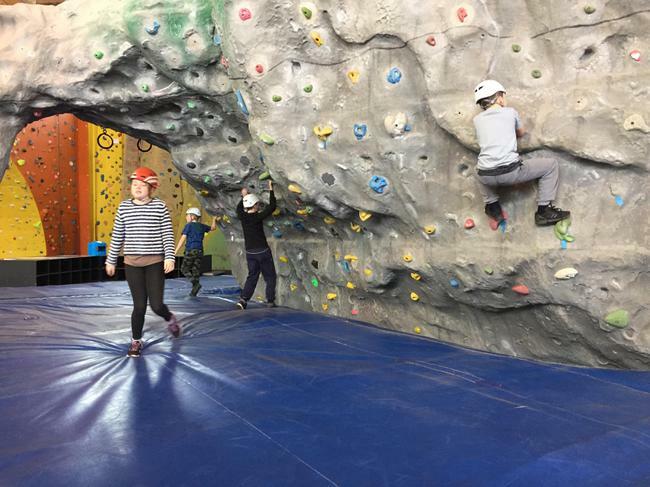 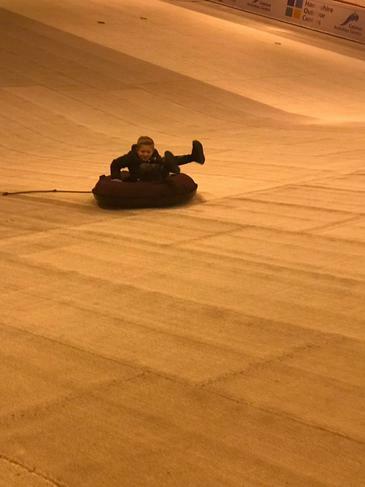 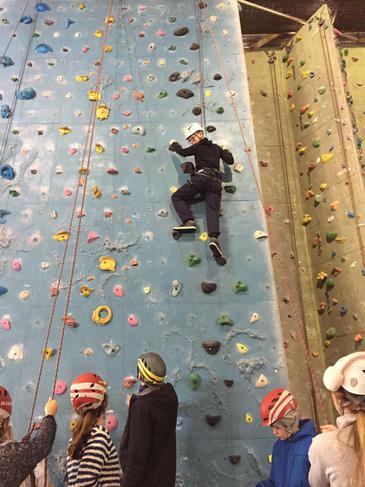 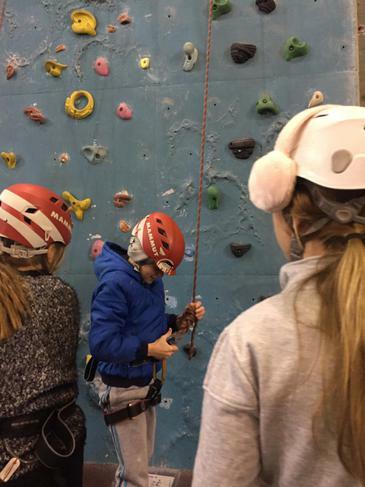 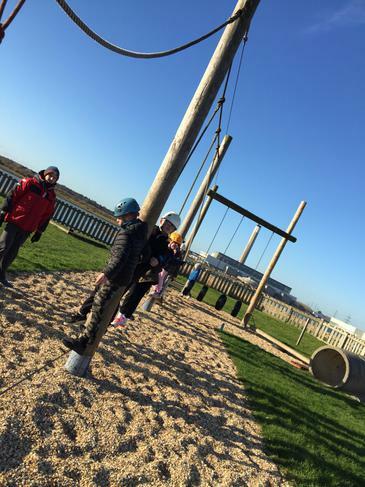 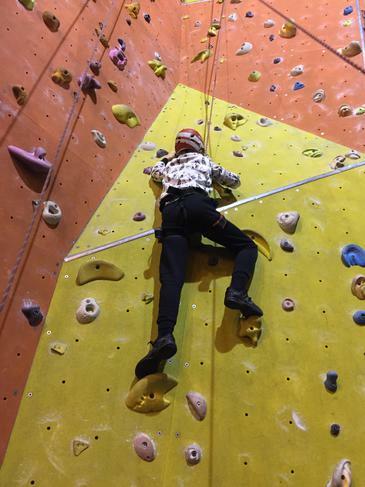 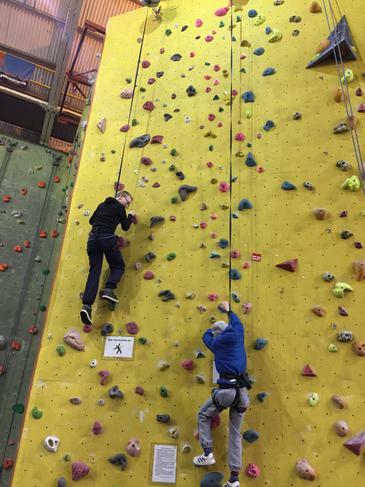 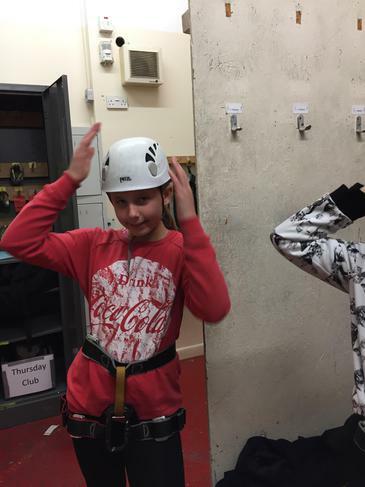 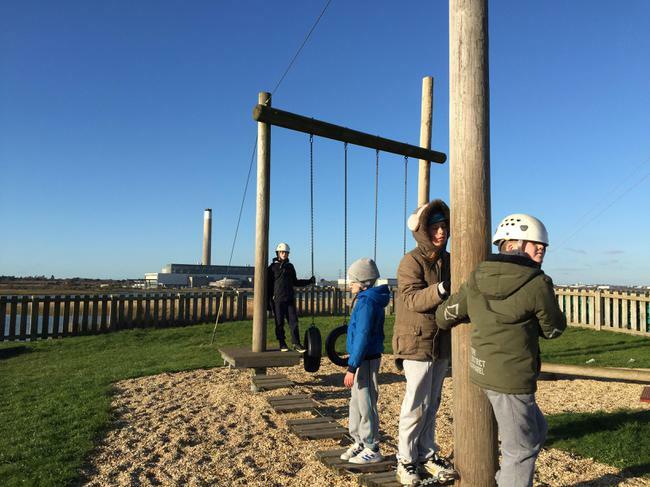 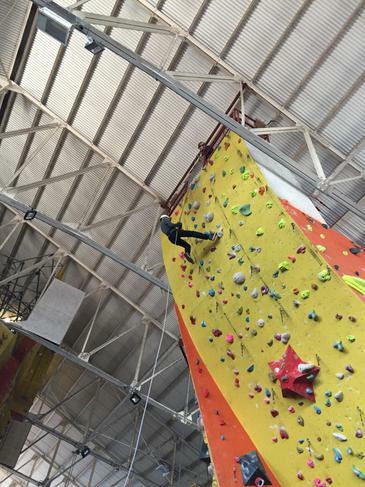 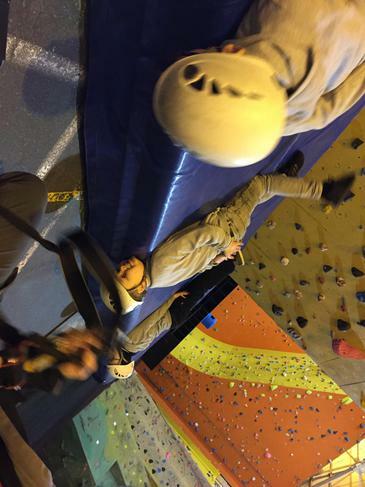 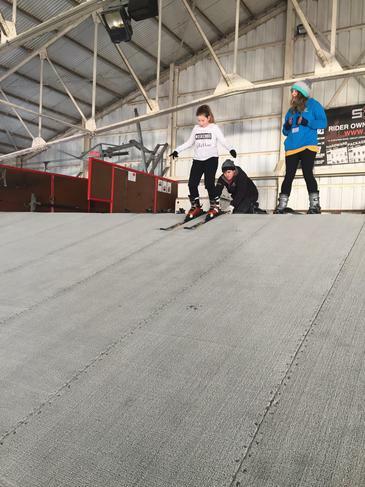 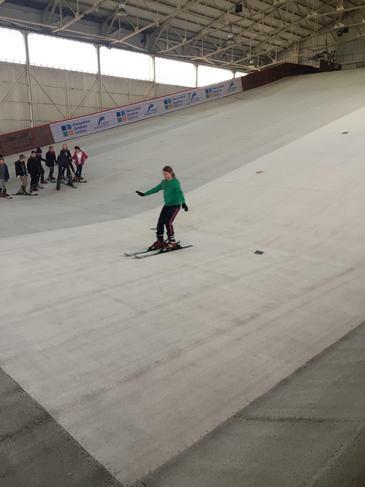 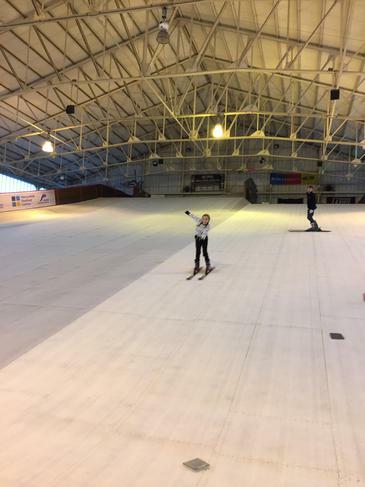 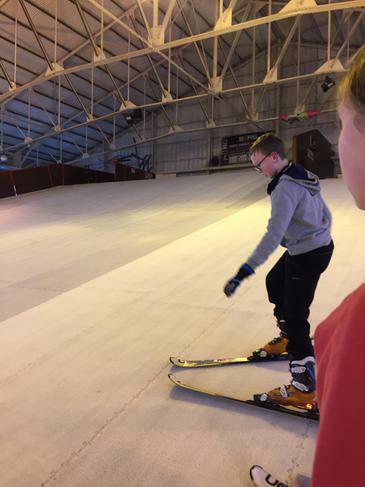 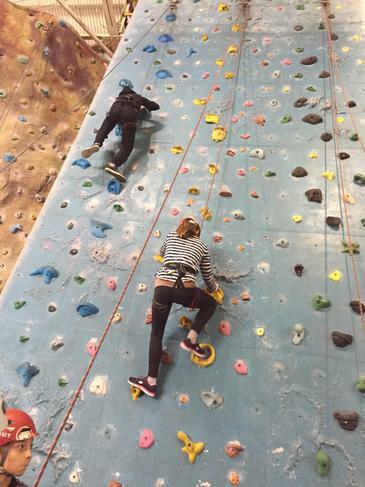 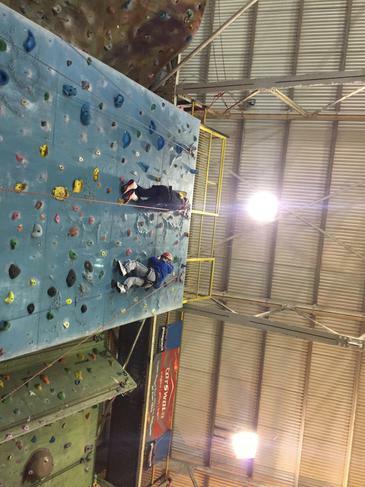 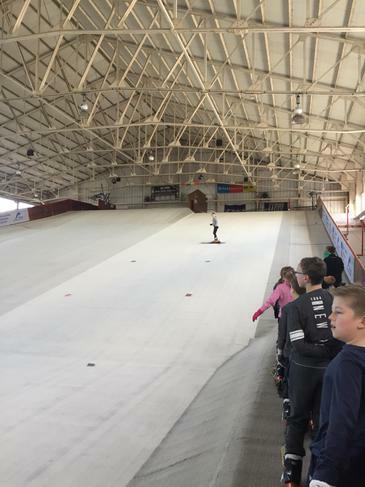 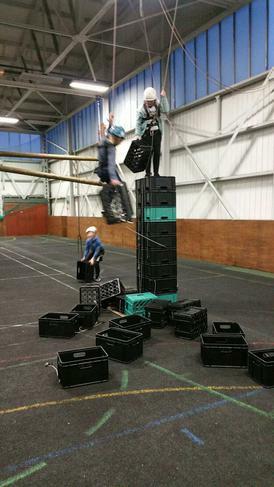 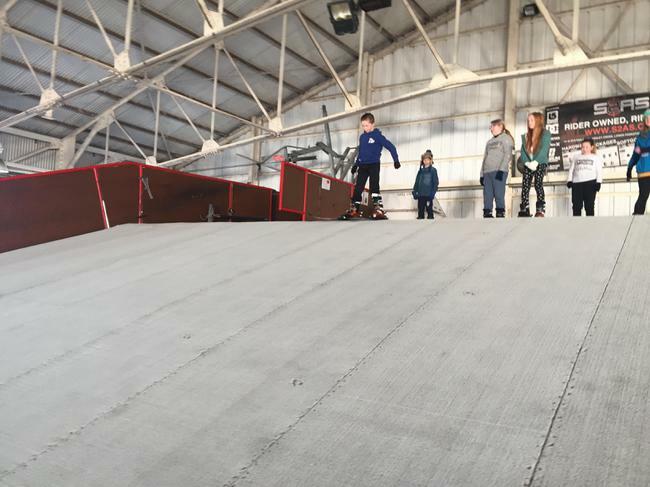 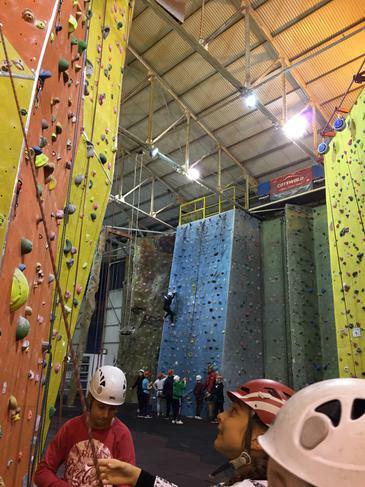 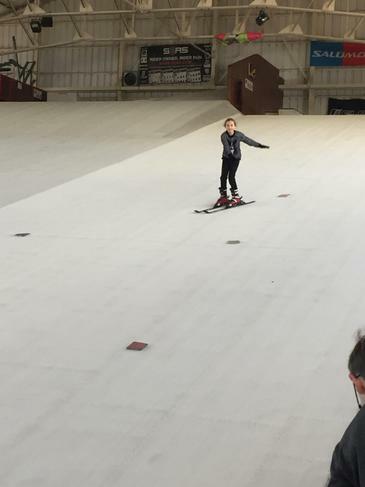 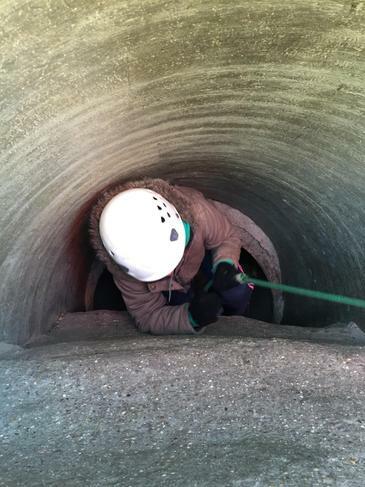 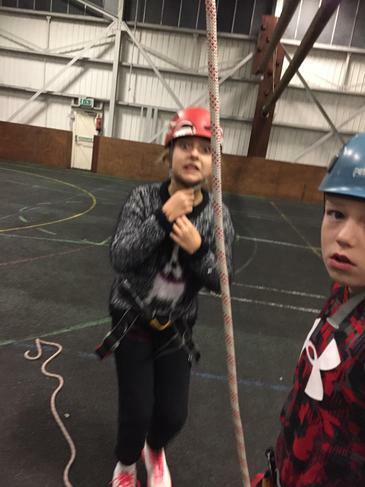 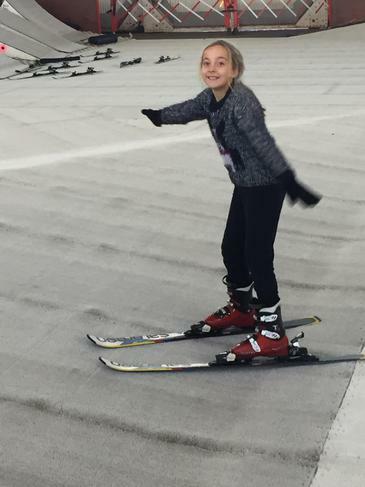 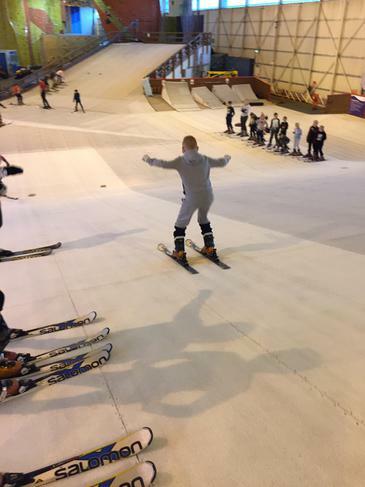 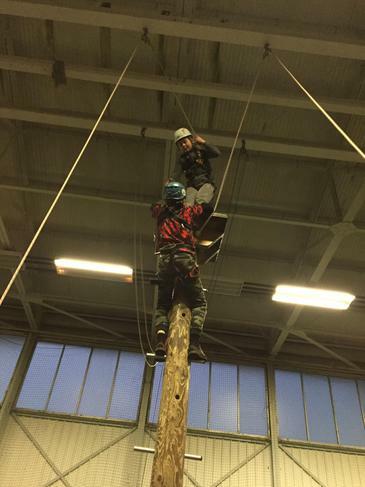 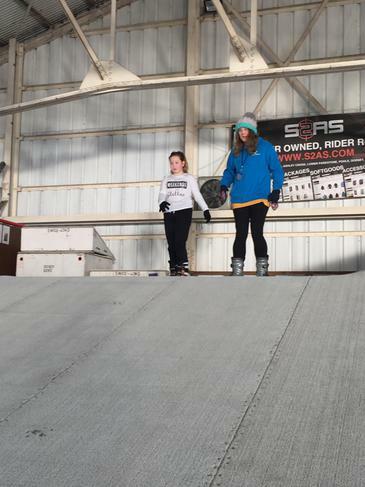 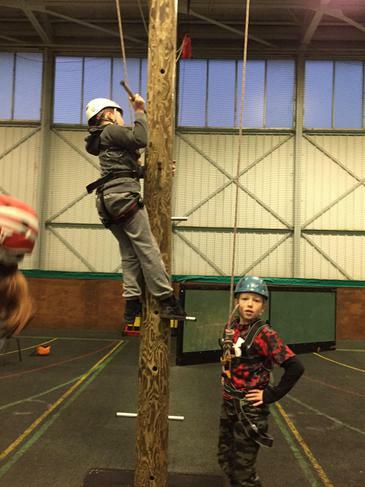 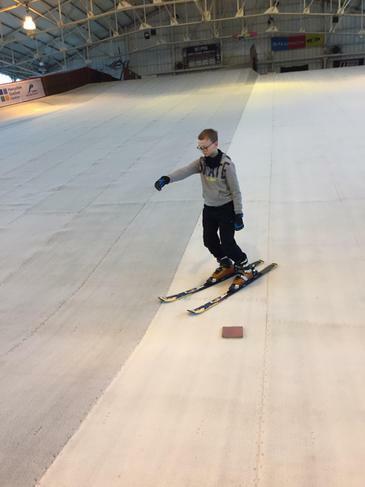 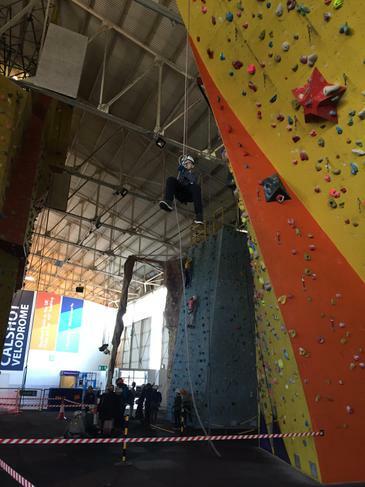 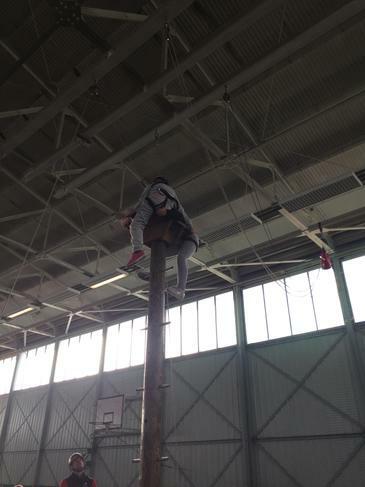 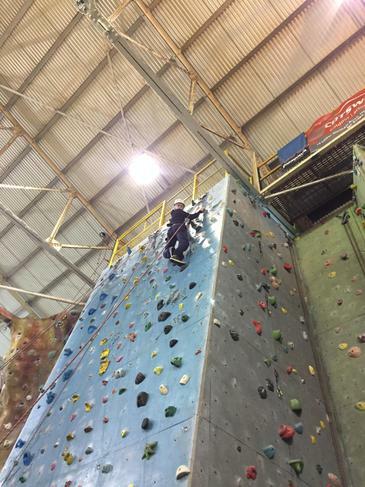 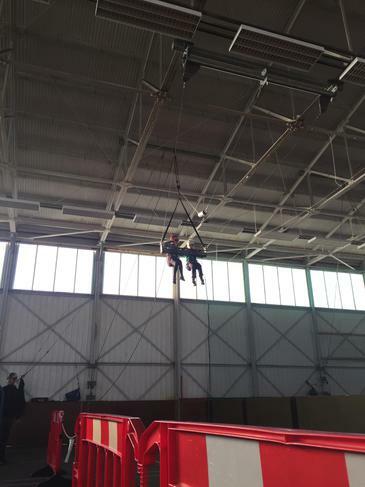 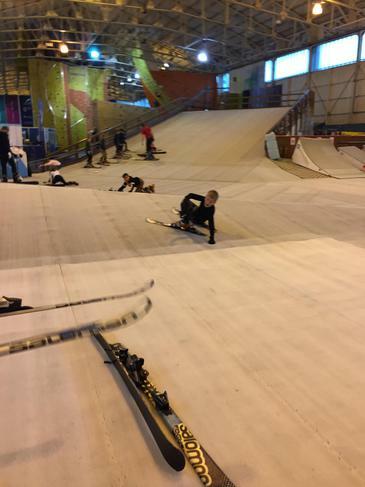 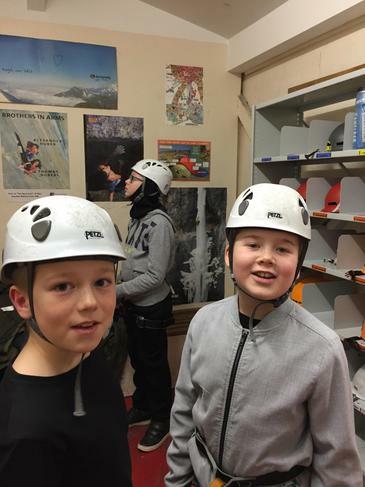 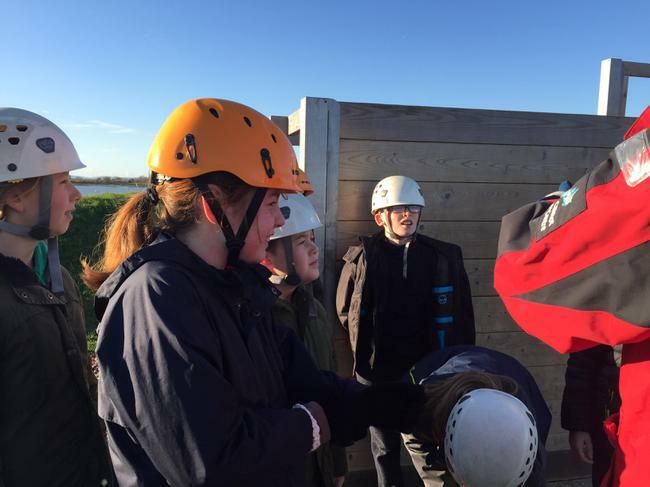 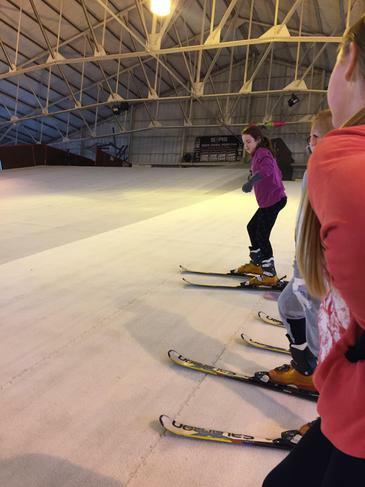 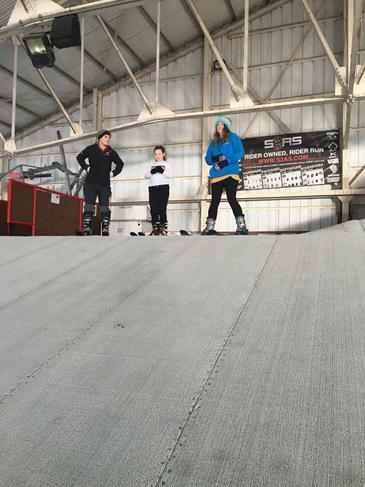 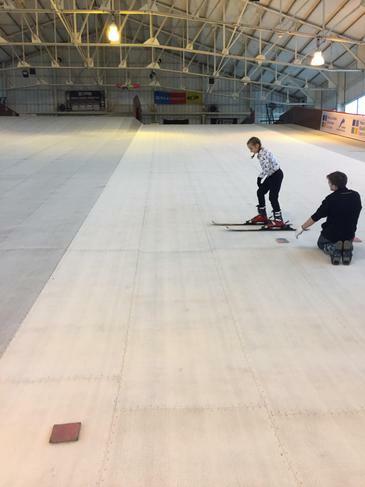 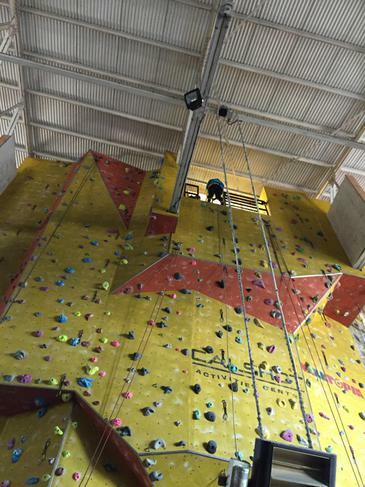 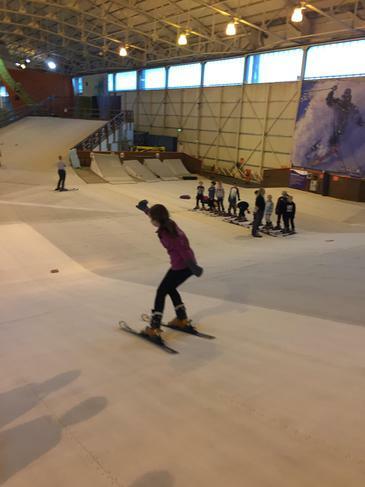 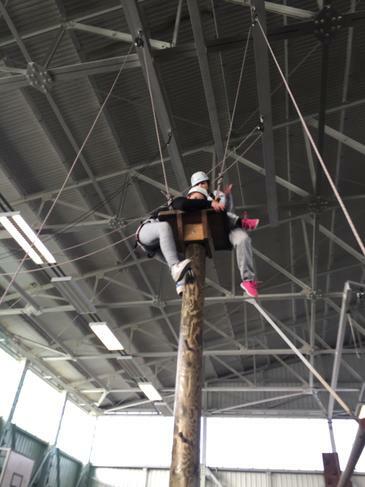 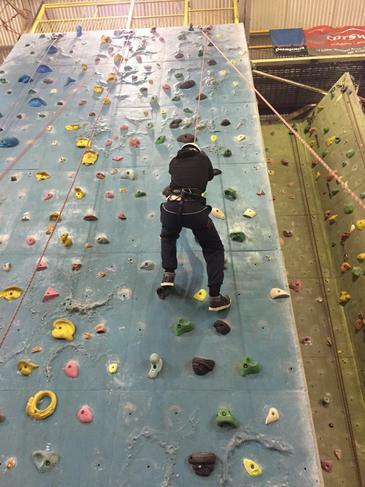 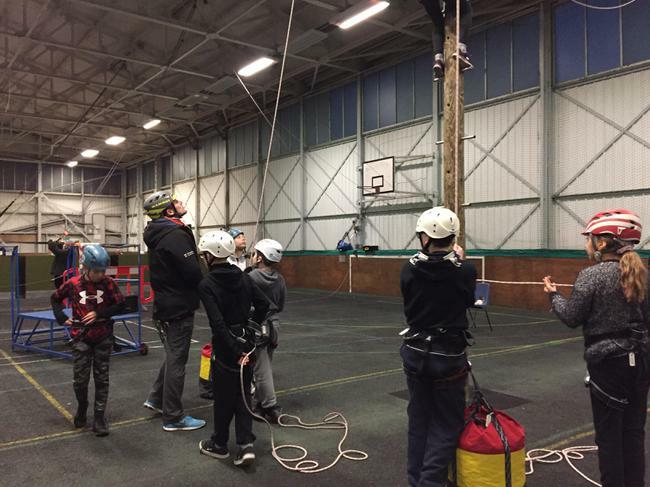 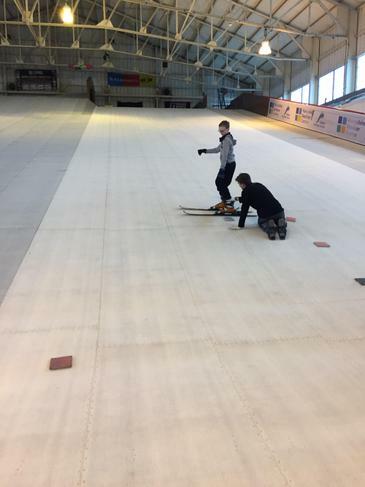 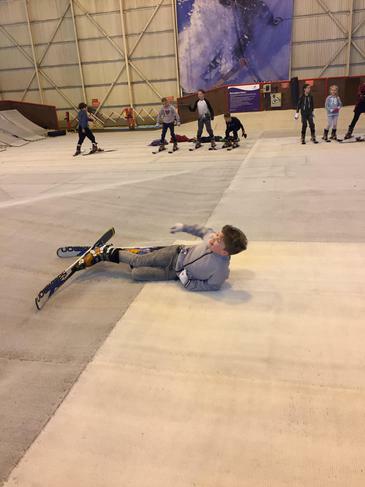 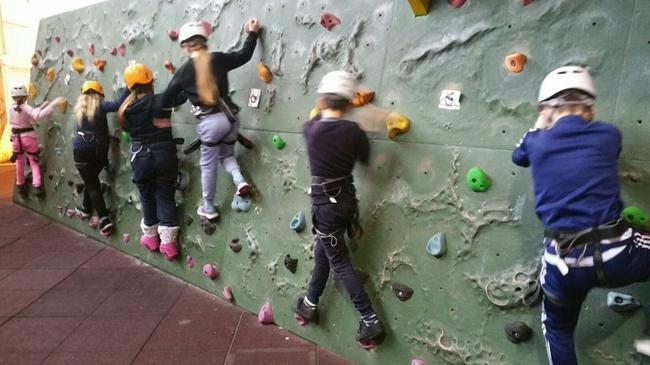 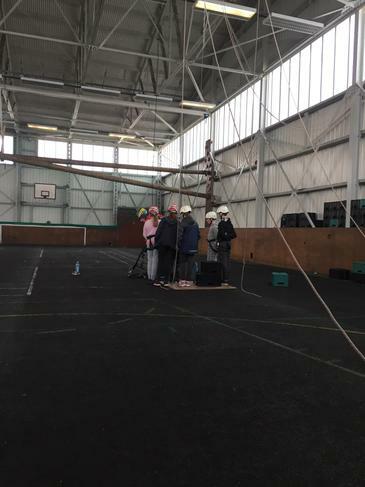 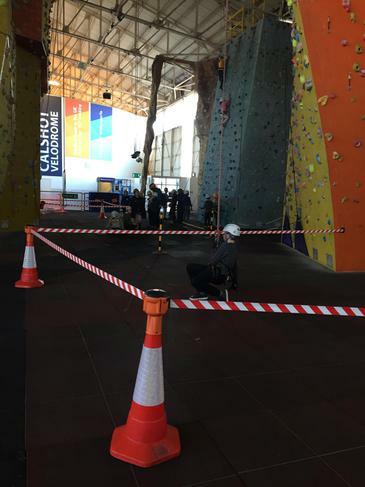 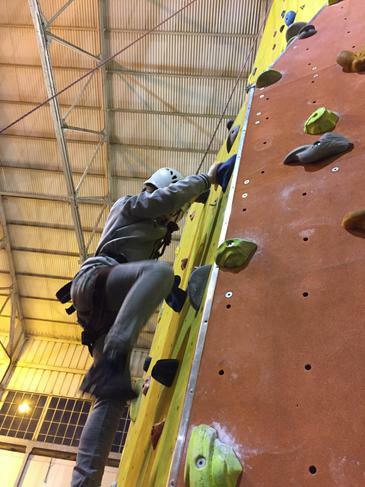 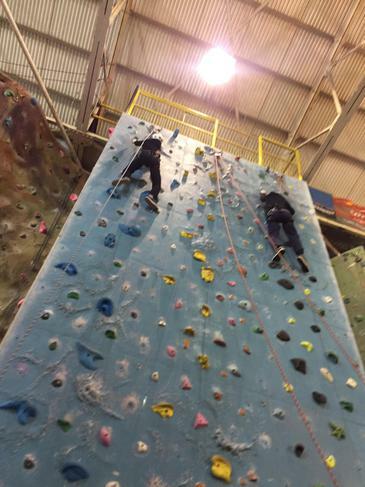 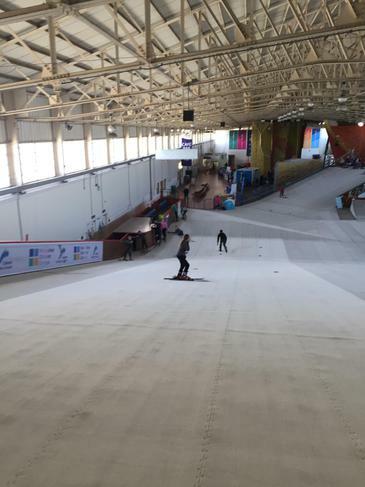 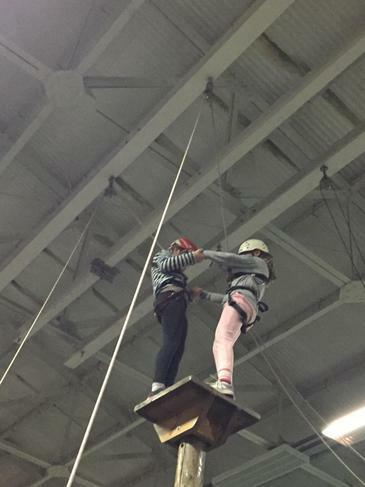 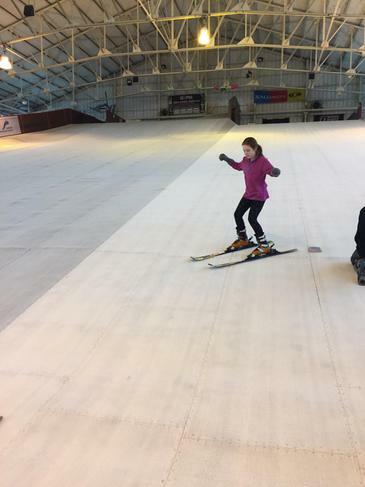 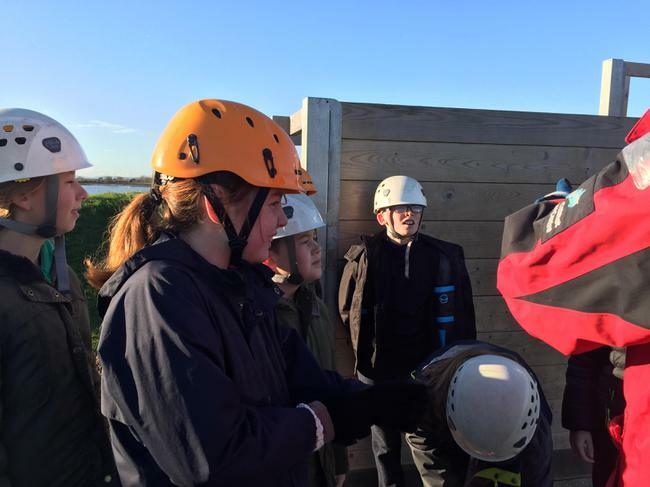 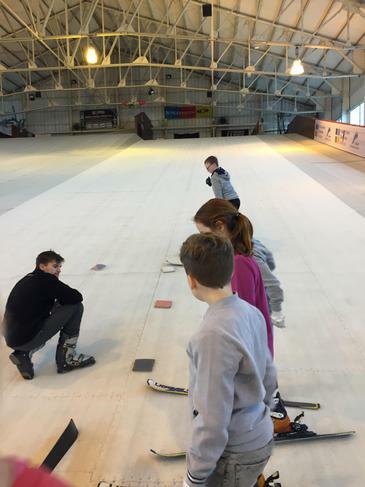 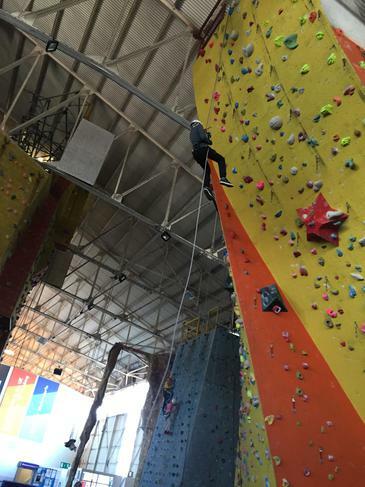 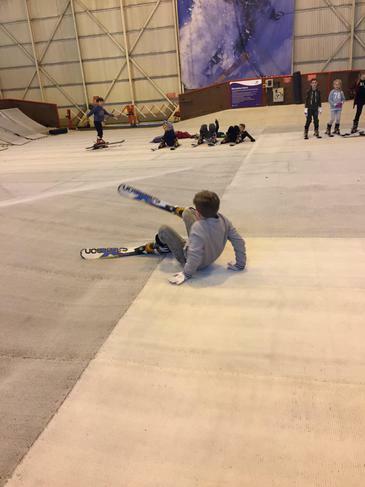 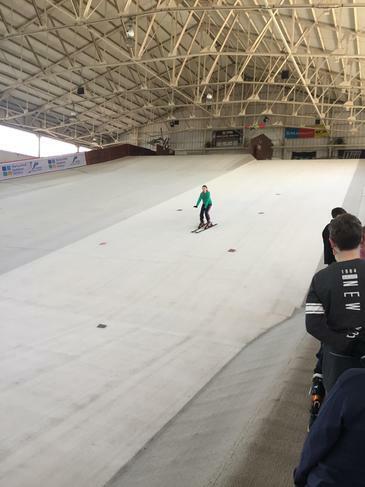 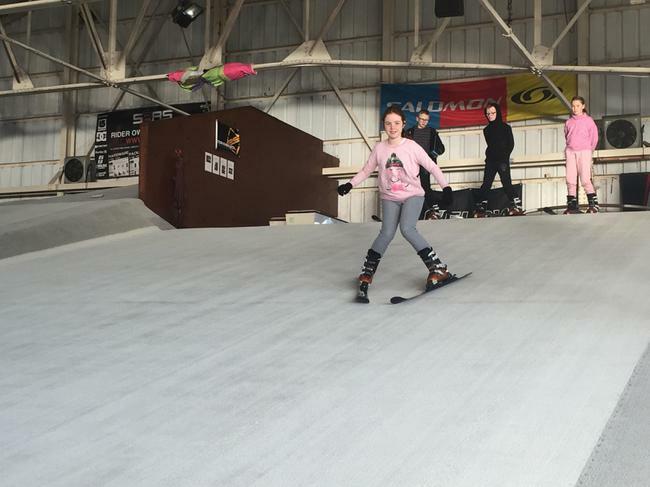 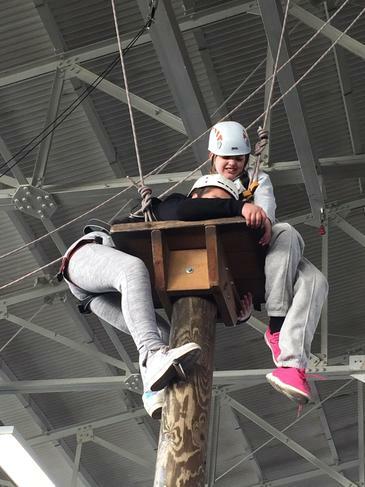 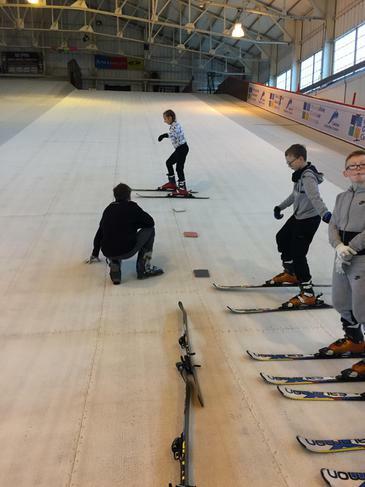 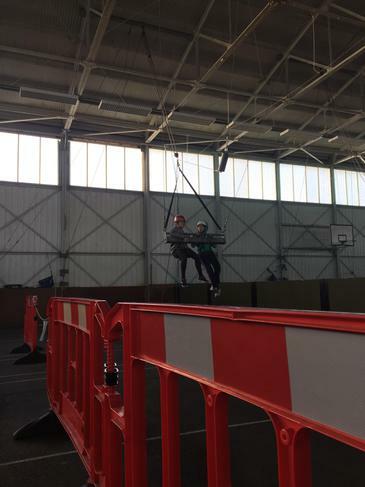 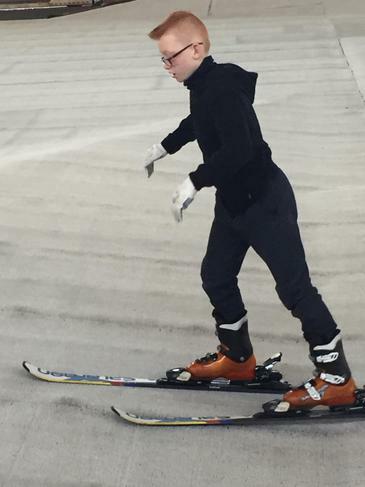 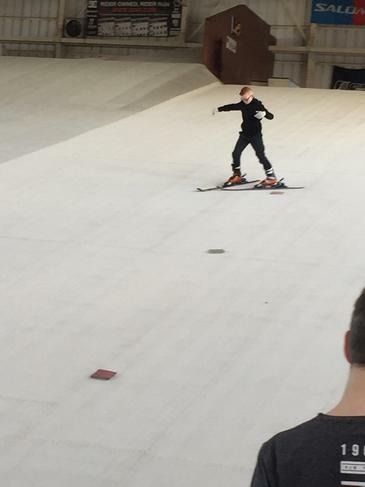 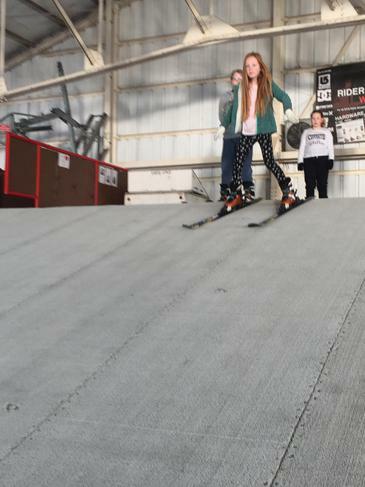 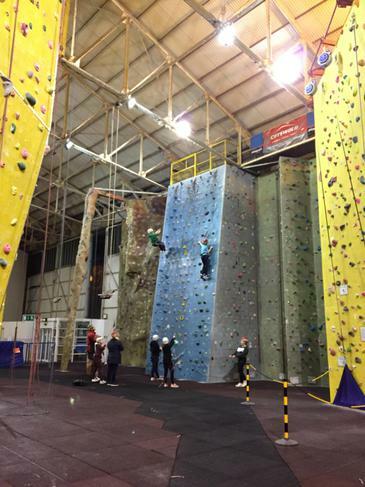 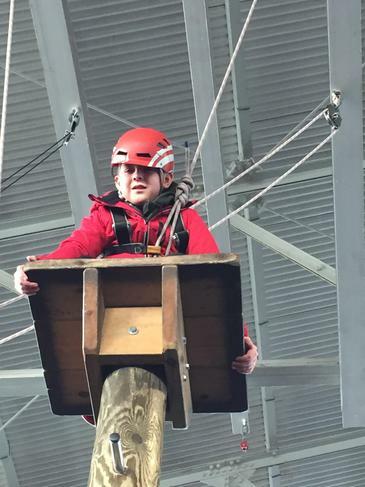 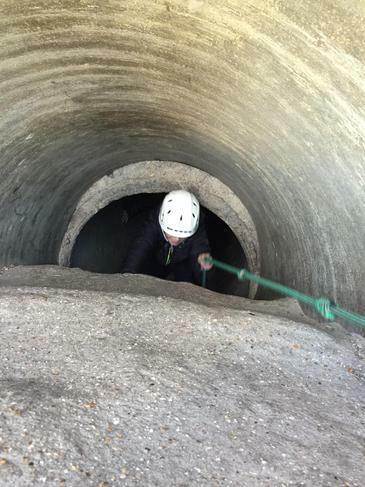 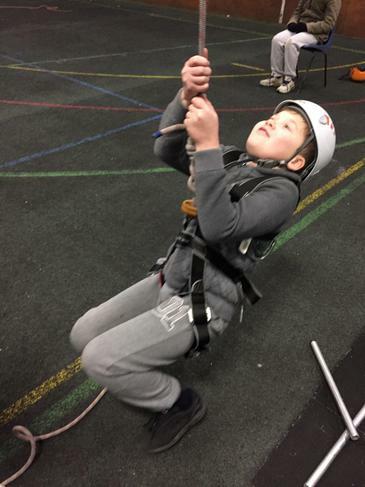 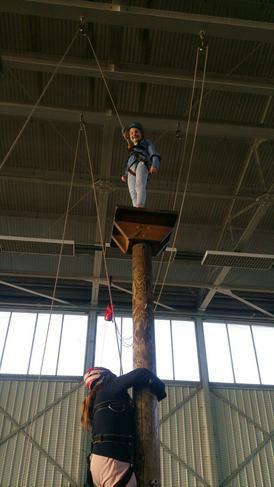 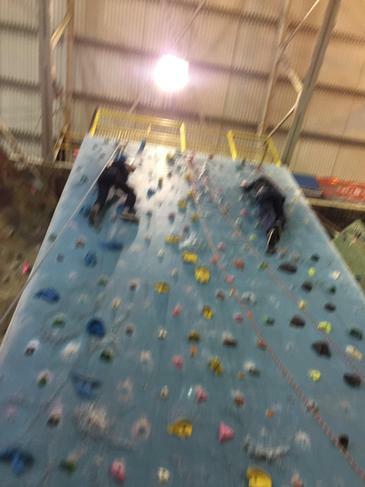 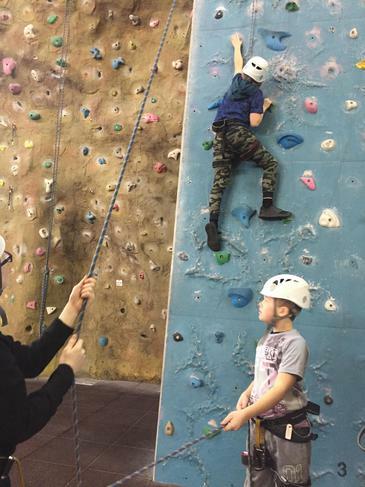 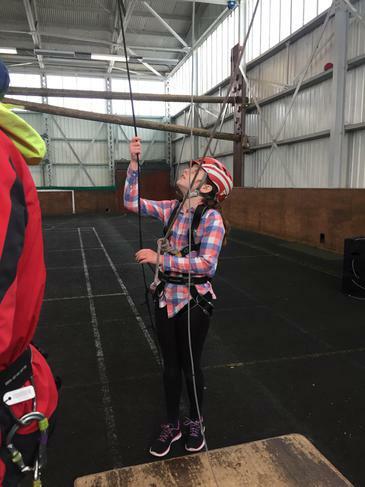 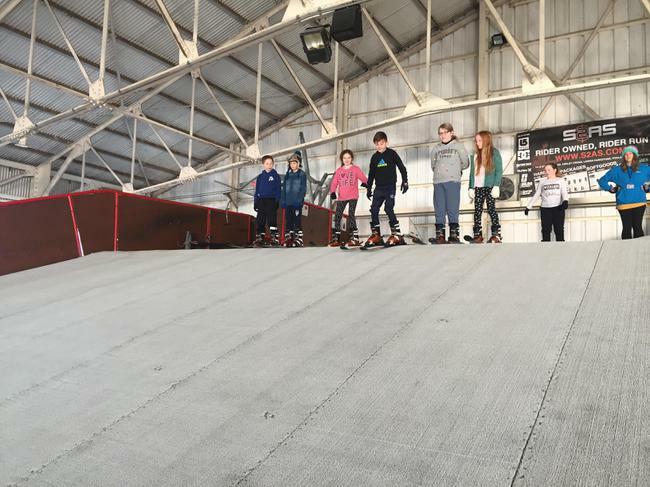 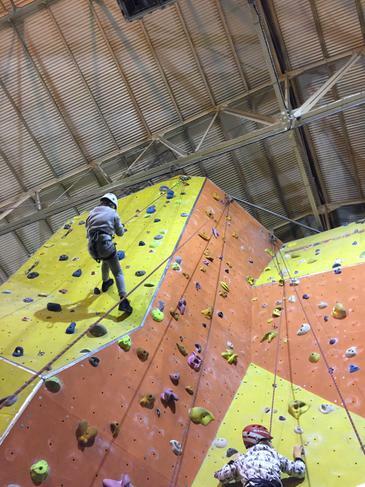 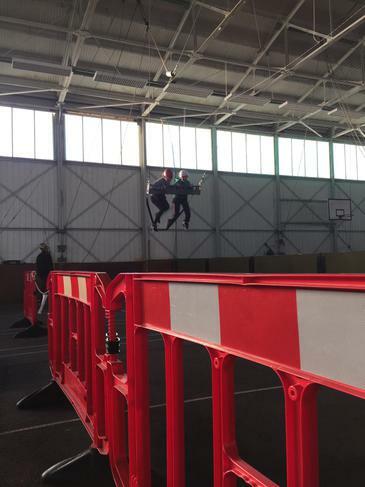 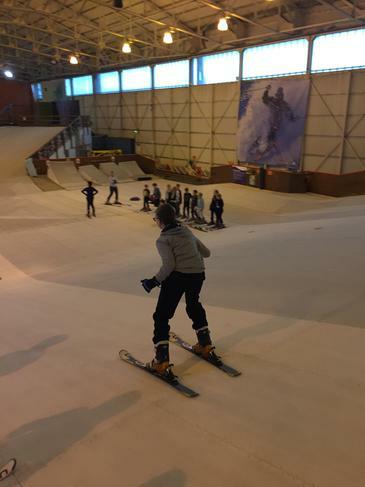 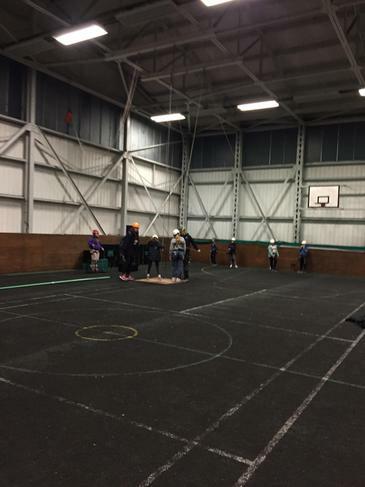 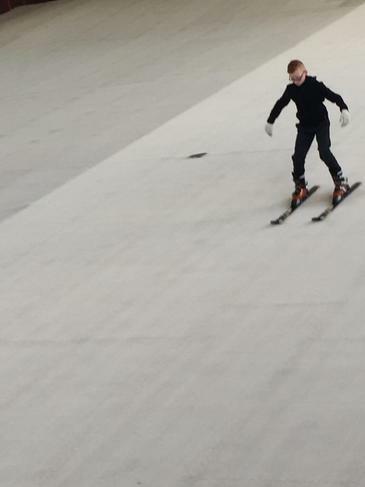 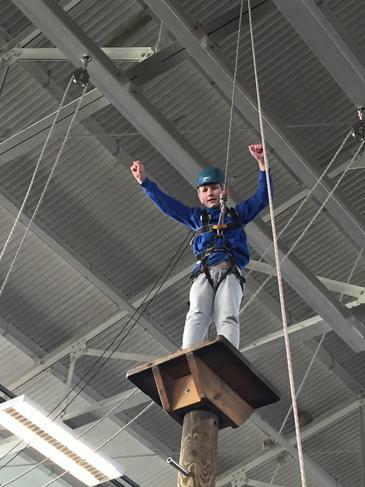 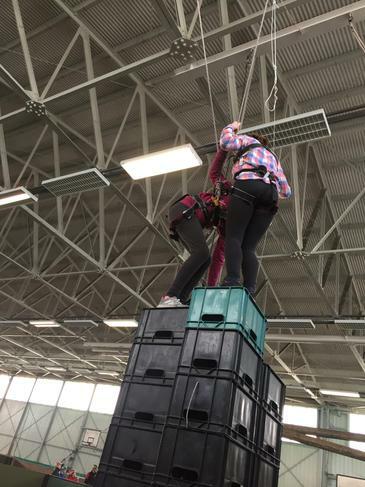 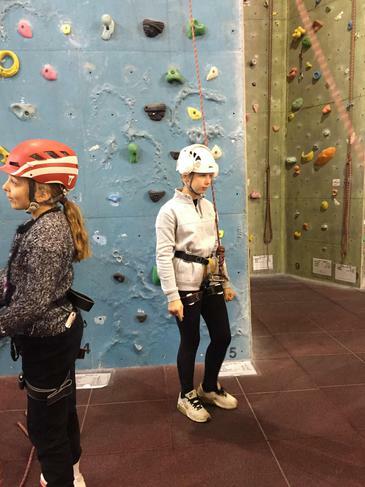 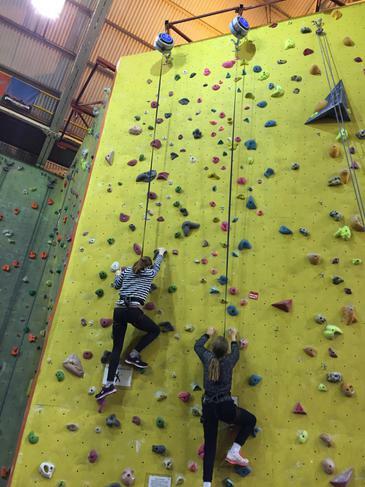 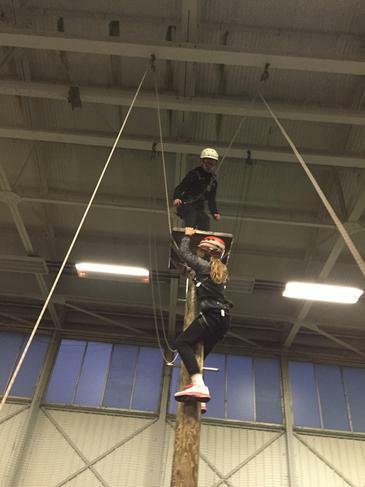 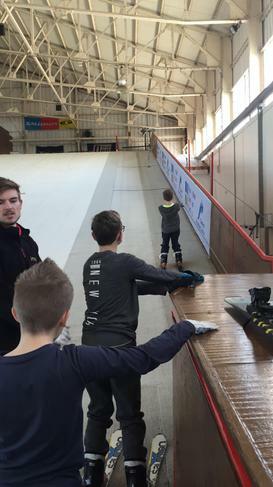 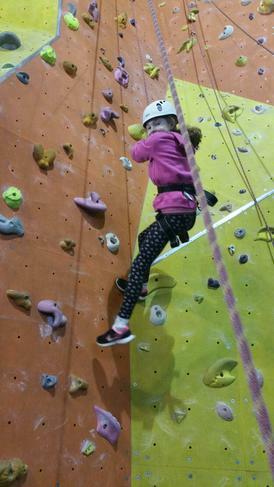 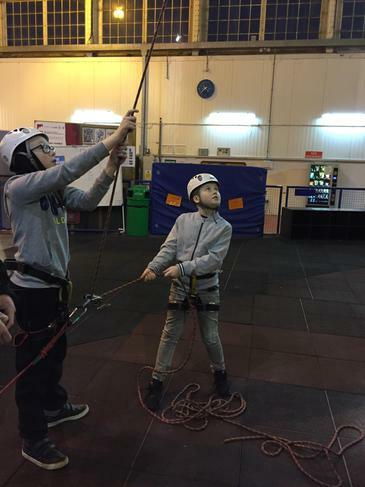 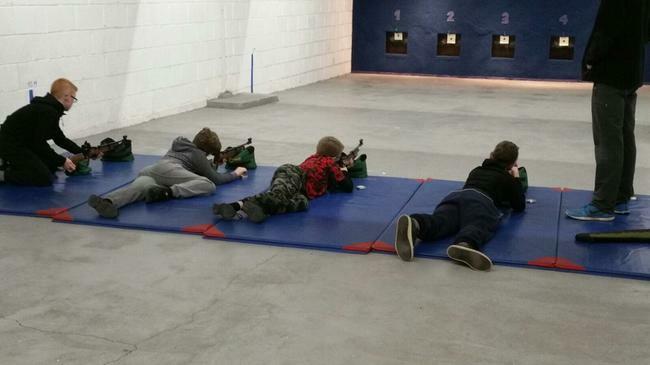 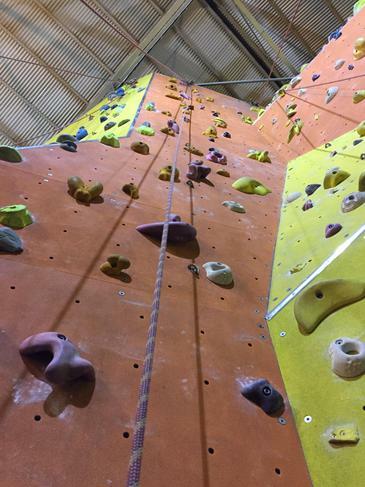 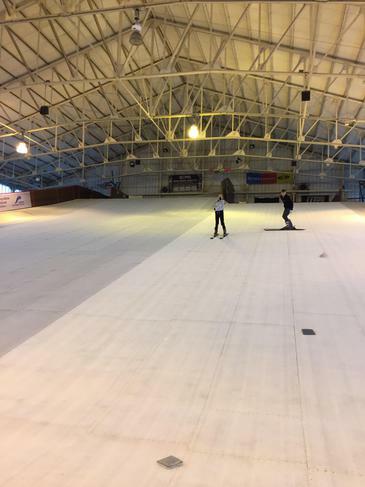 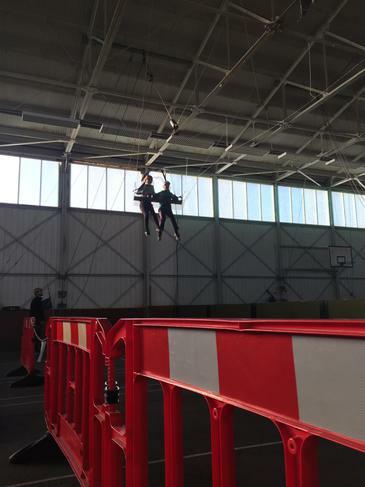 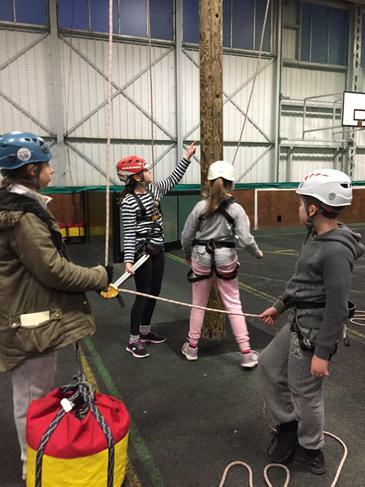 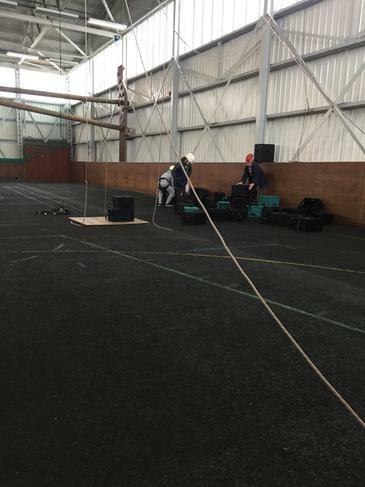 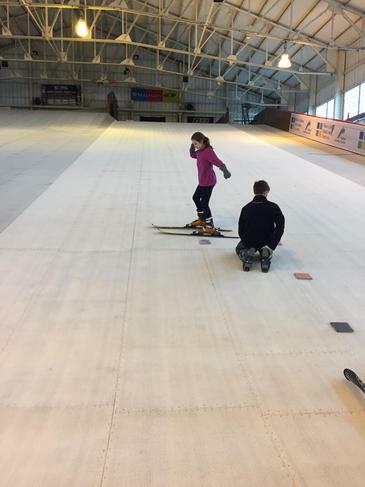 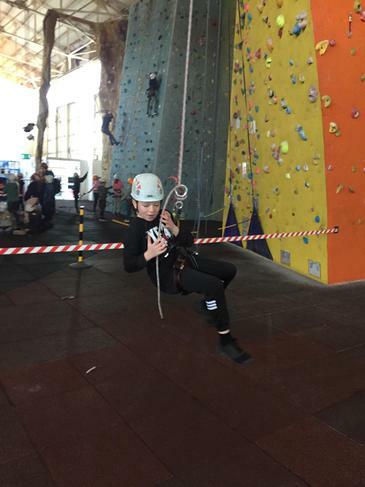 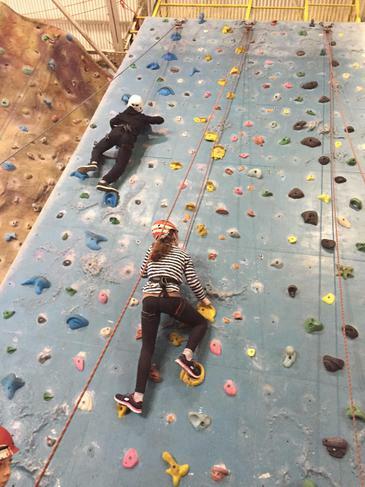 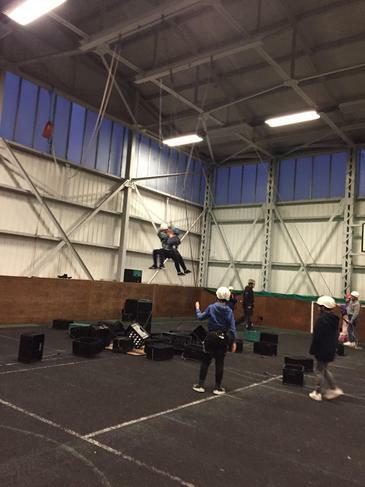 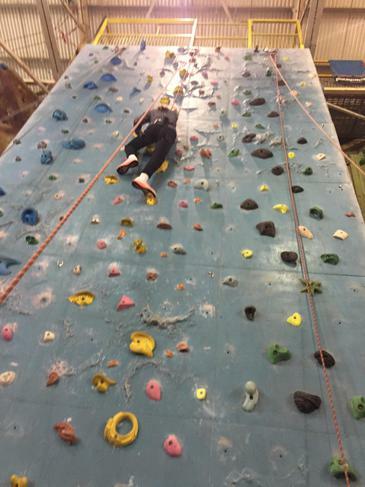 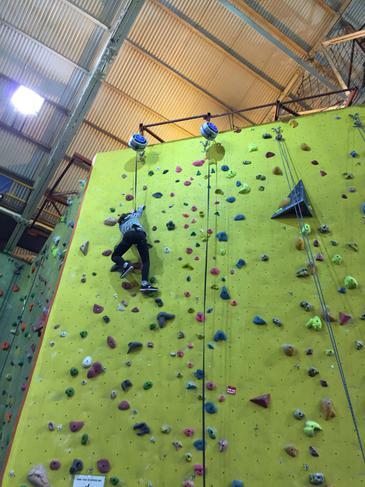 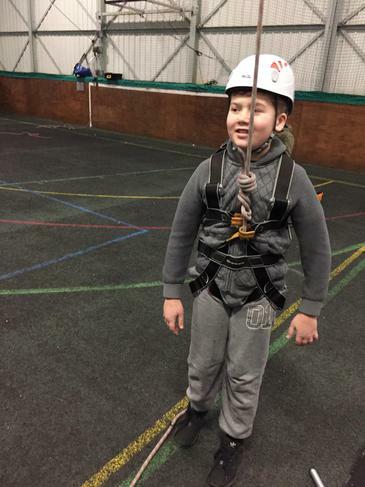 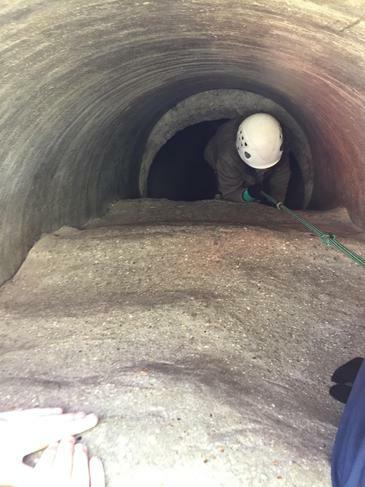 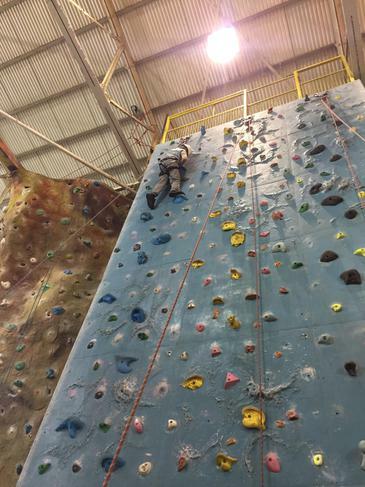 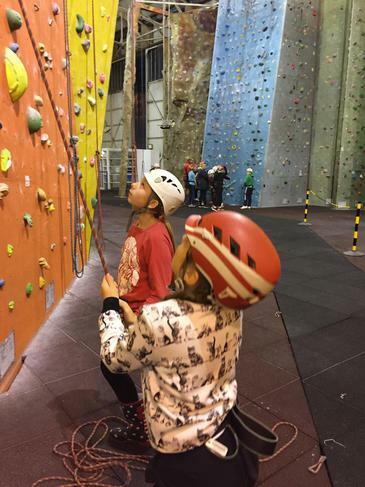 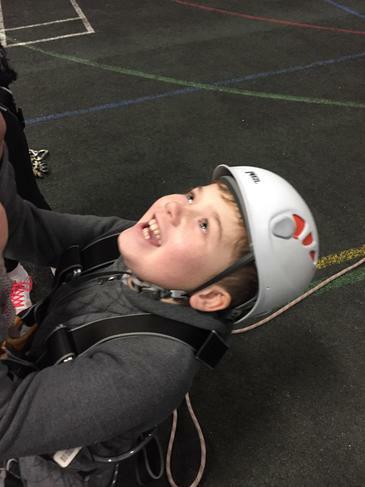 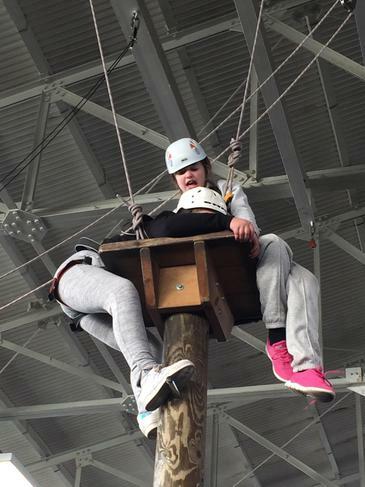 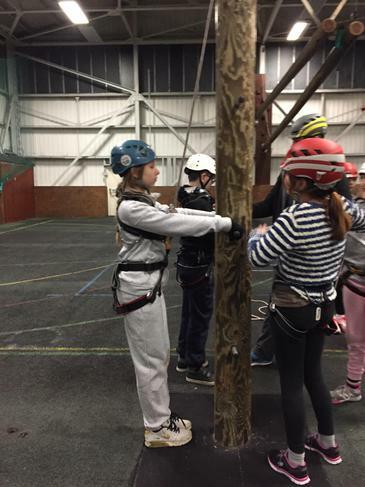 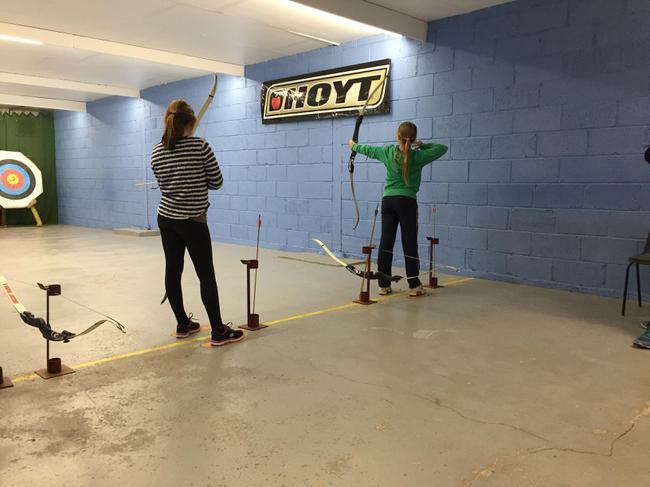 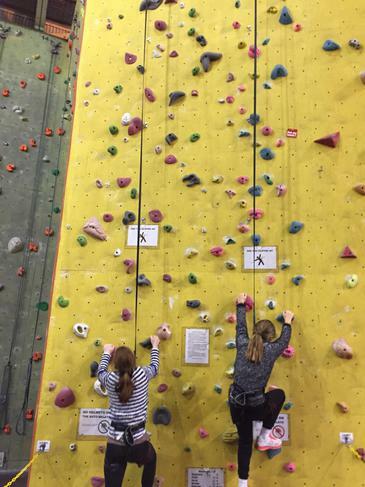 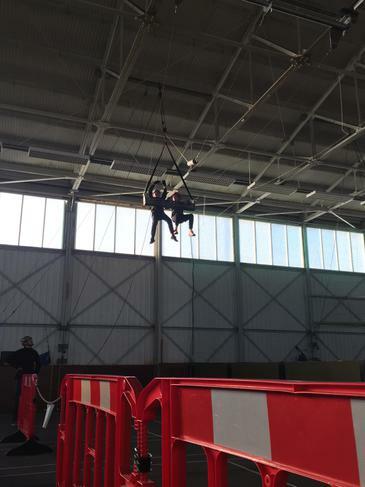 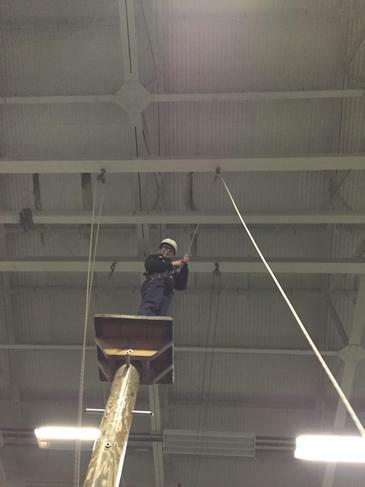 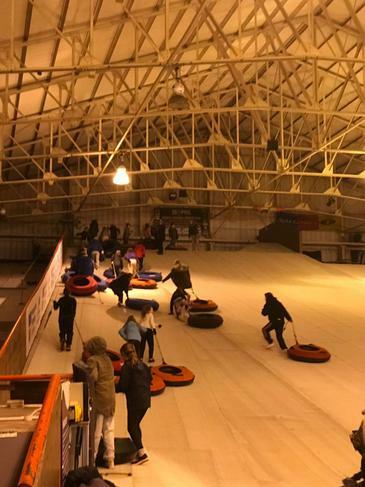 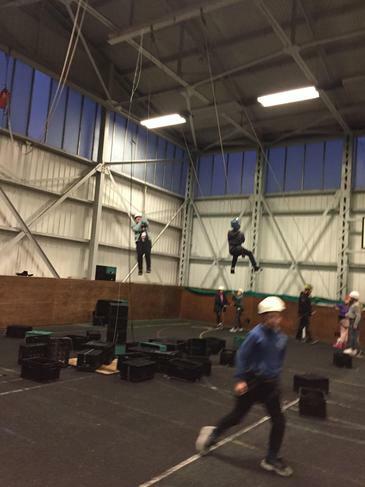 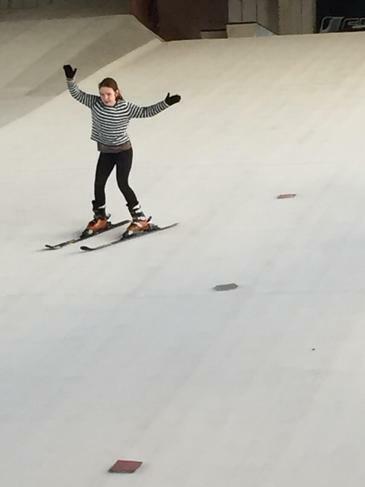 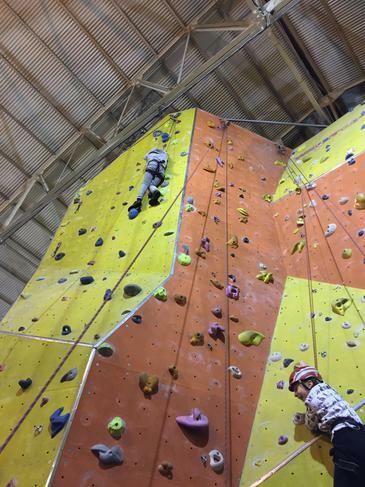 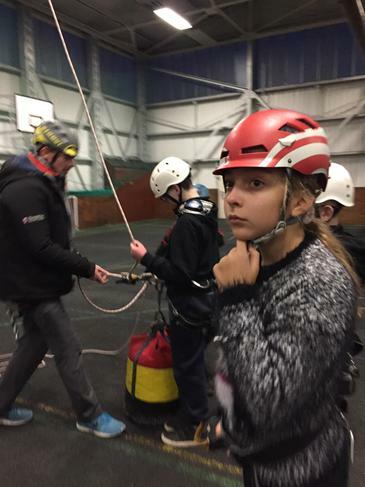 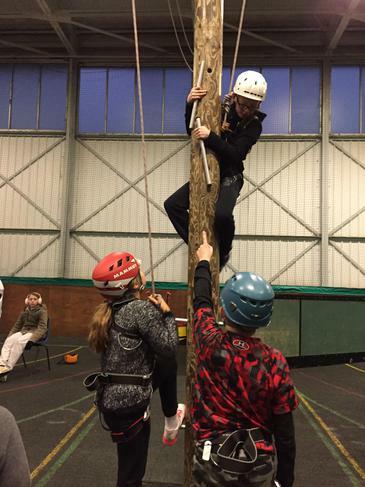 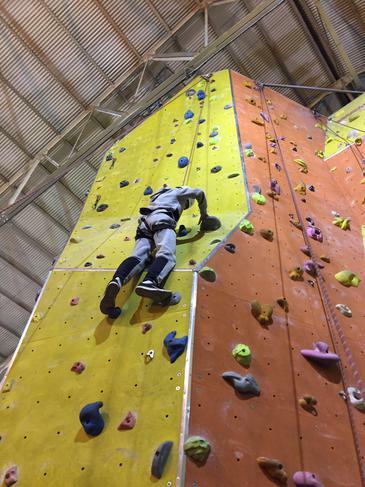 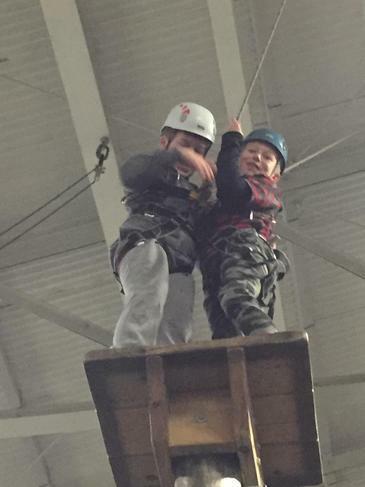 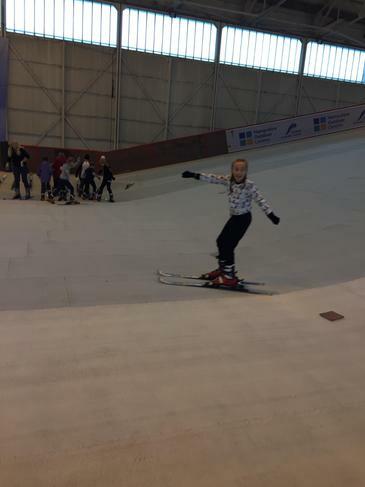 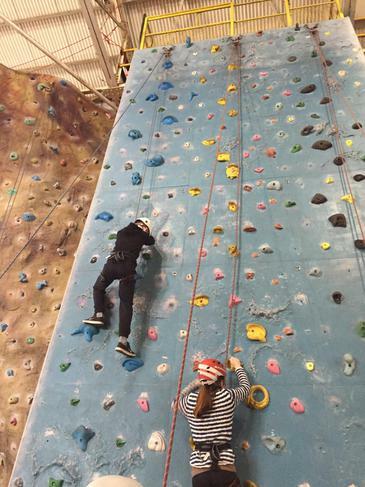 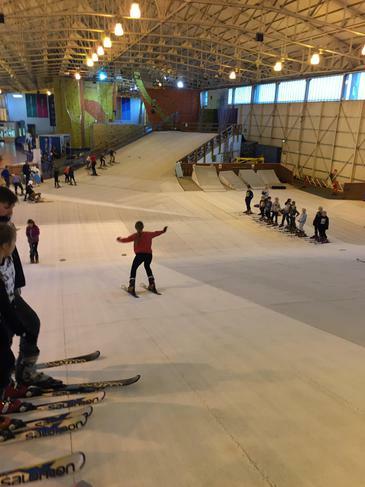 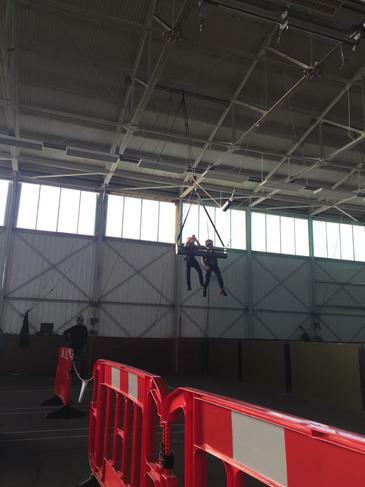 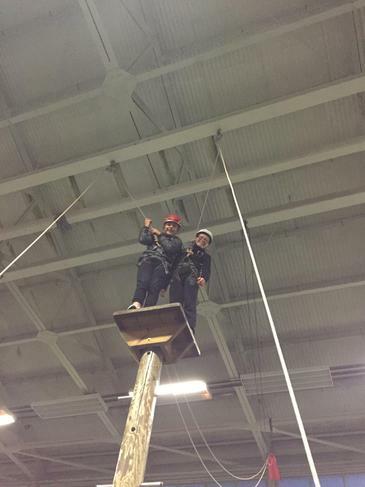 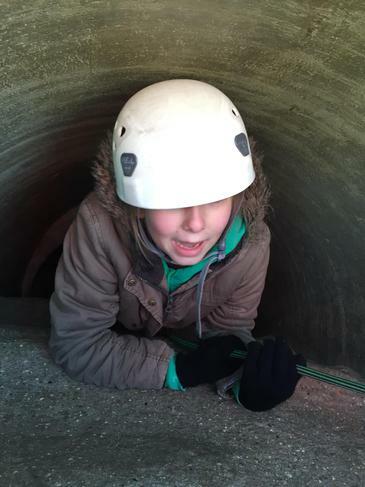 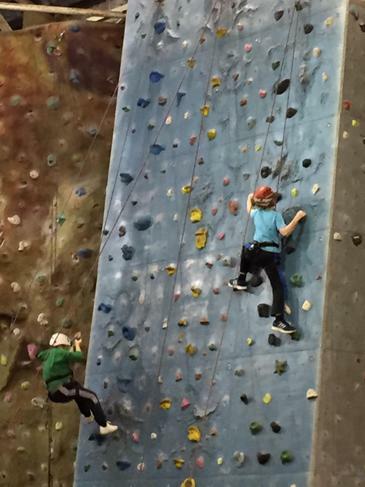 Today has been another exciting day of activities: more skiing, climbing, team swing, archery and initiative course. 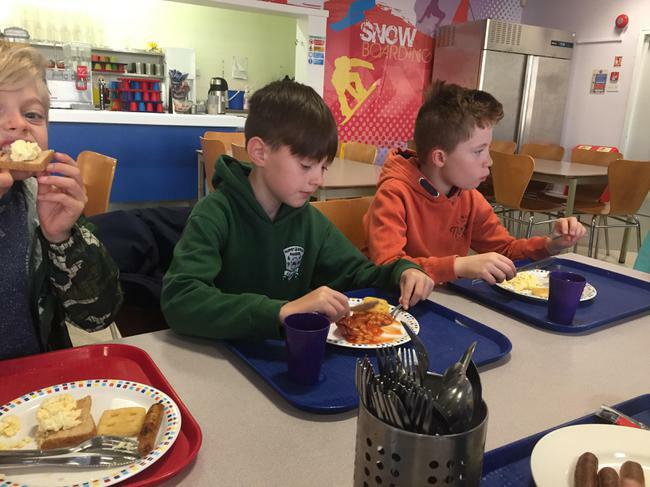 We started the day with a full english,burgers for lunch and chicken for dinner. 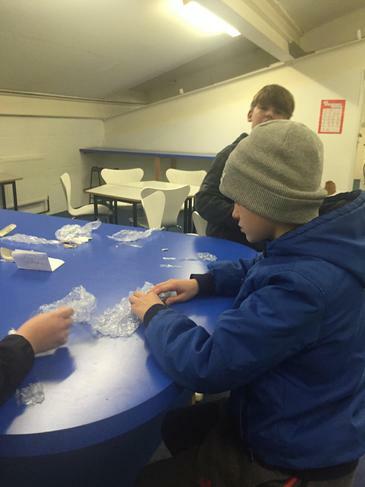 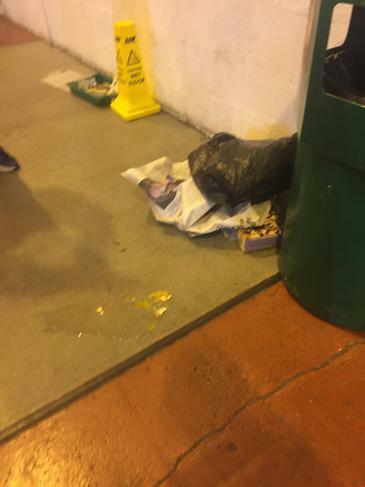 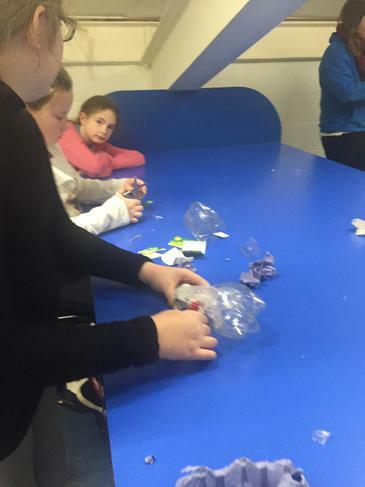 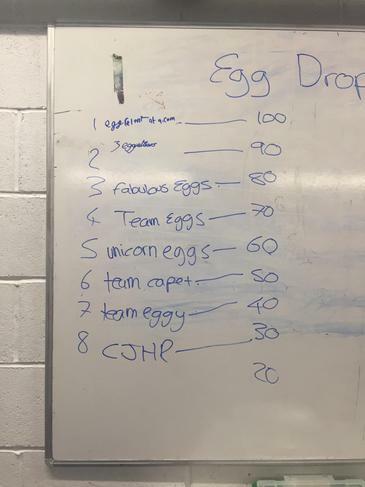 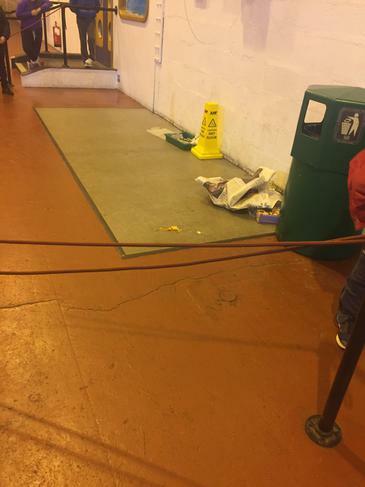 Egg drop is this evenings activity and we hope we don't make too much of mess. 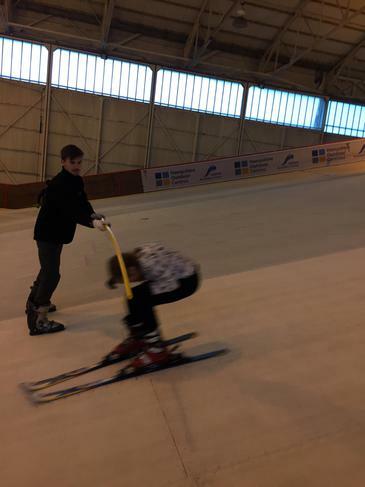 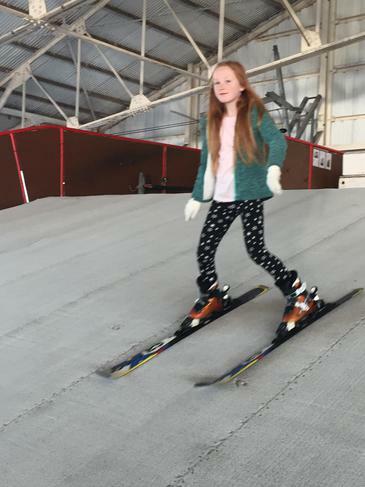 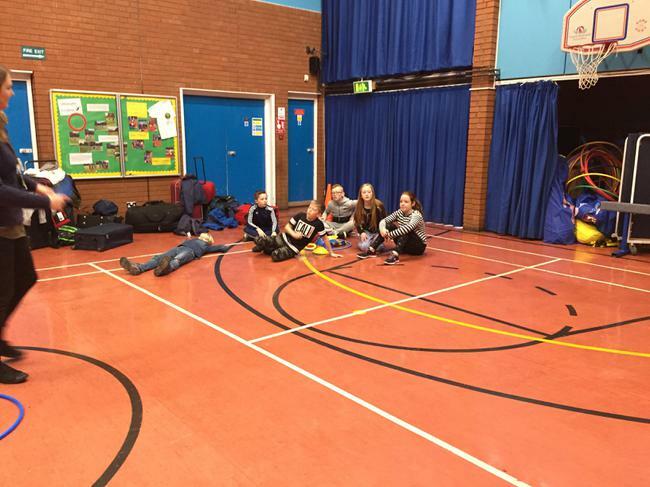 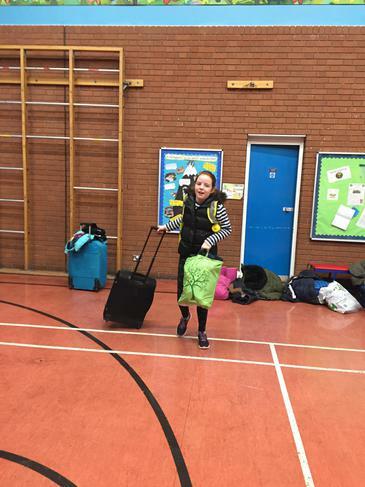 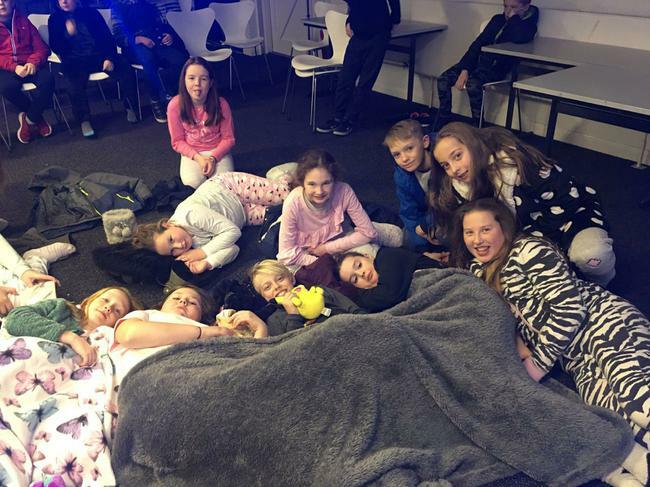 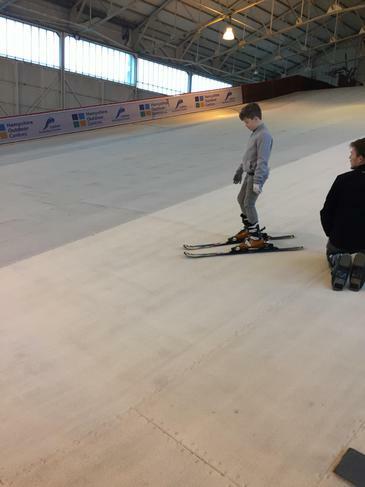 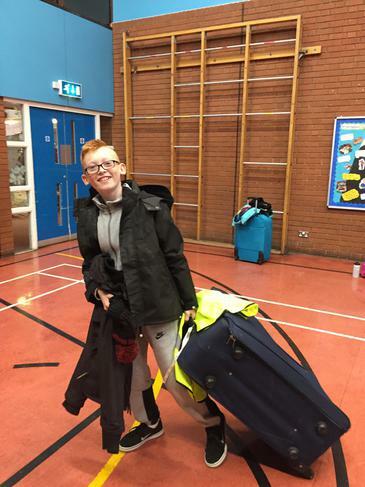 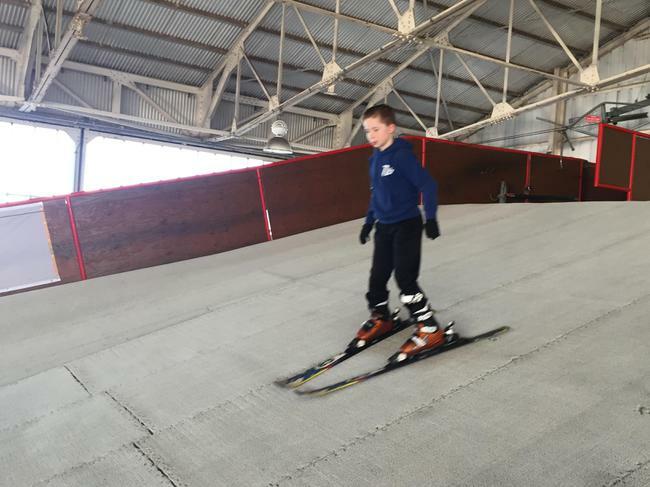 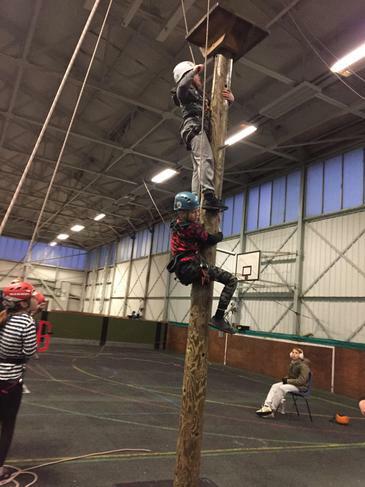 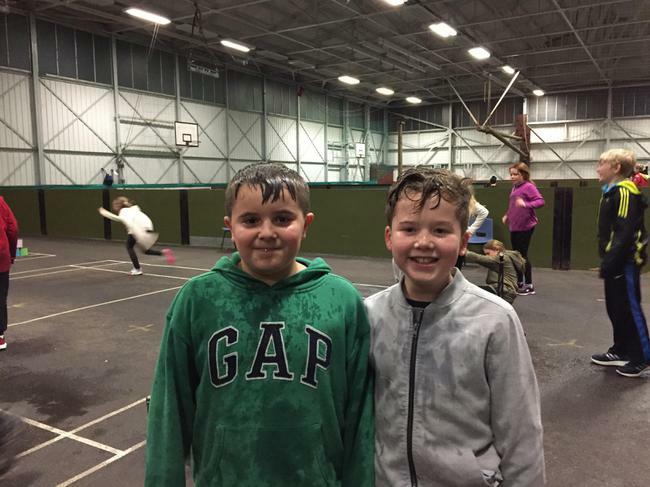 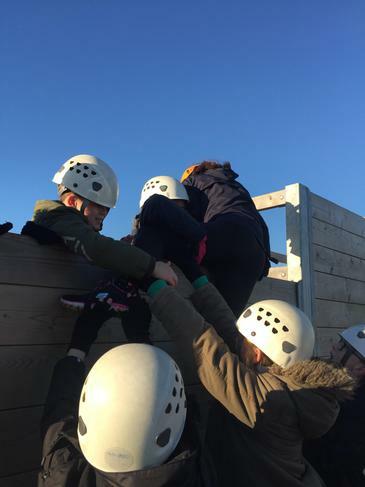 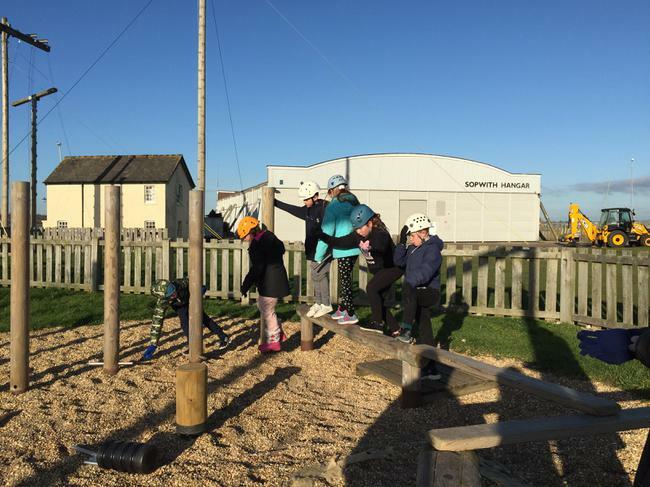 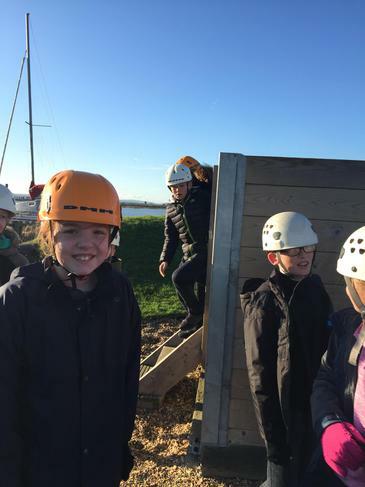 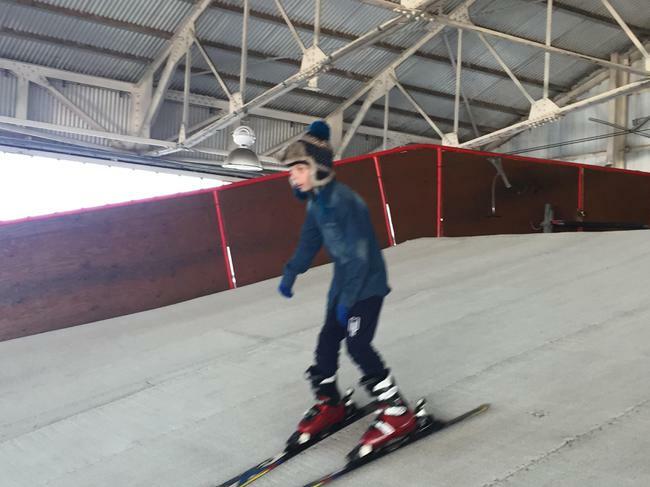 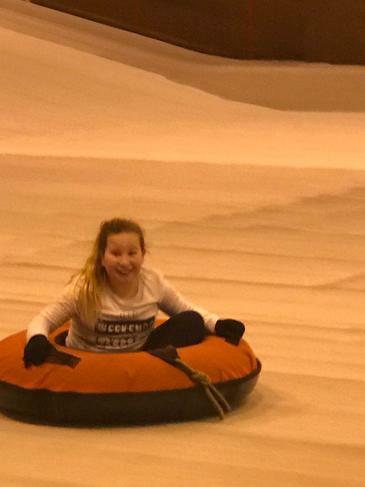 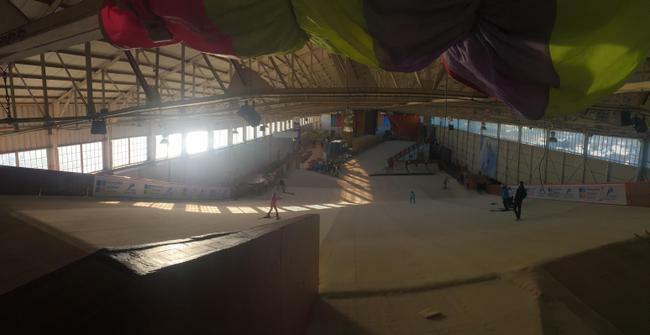 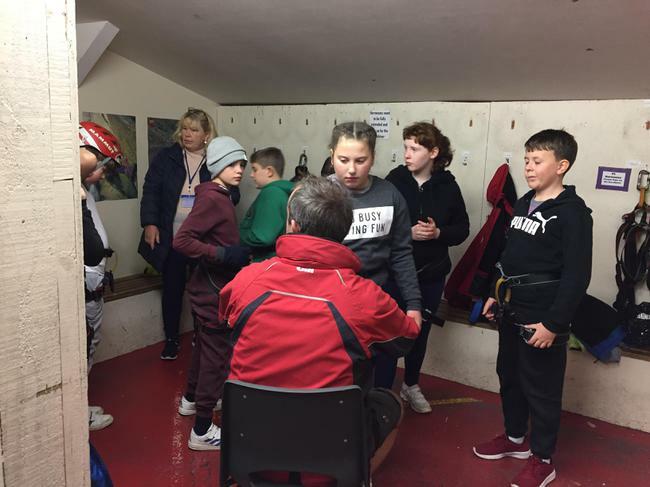 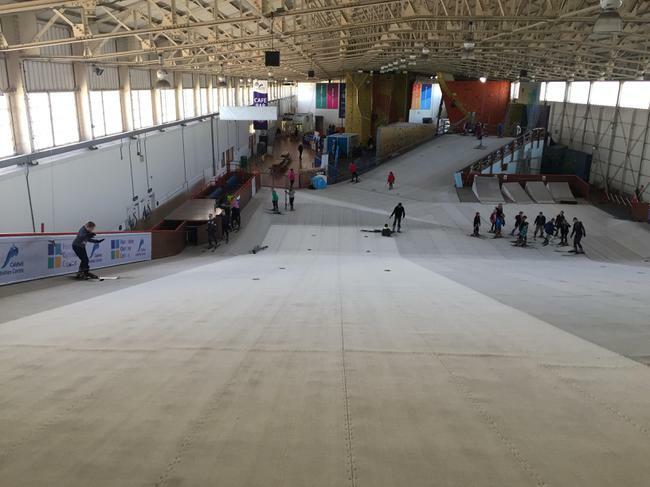 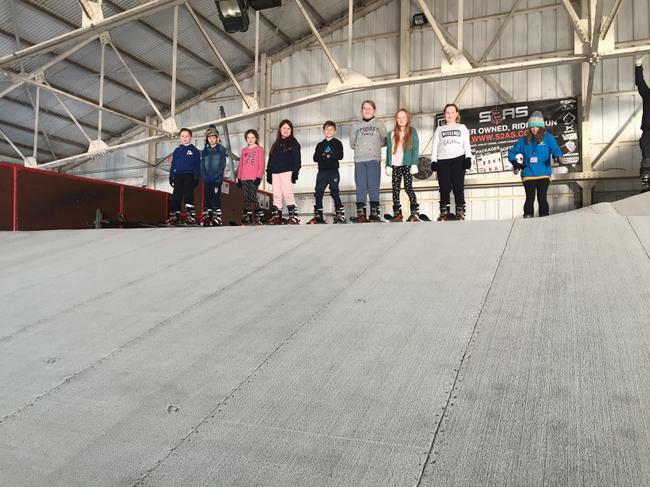 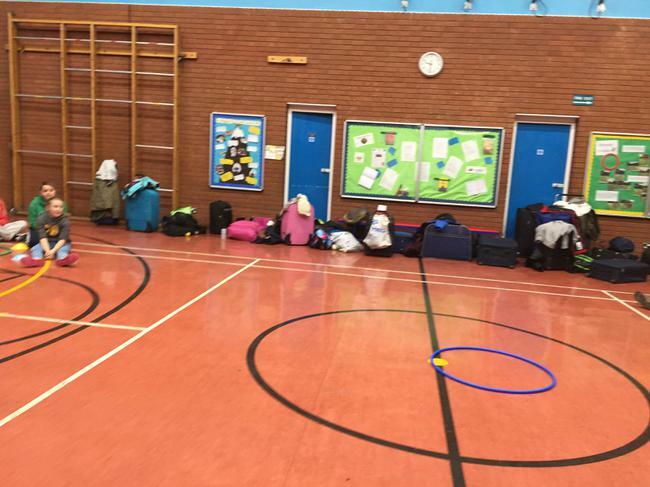 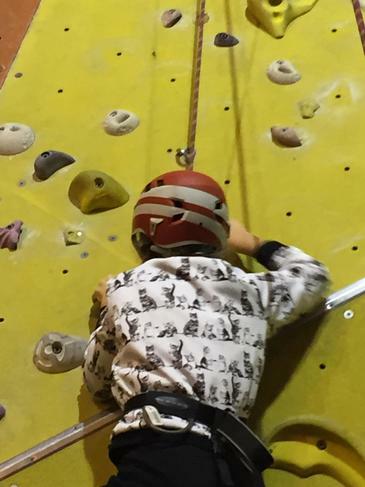 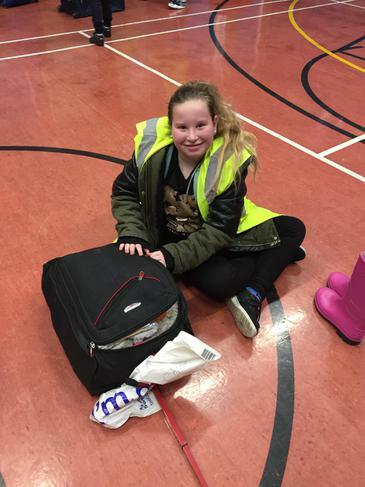 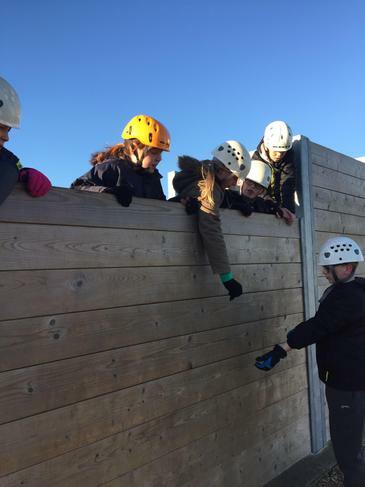 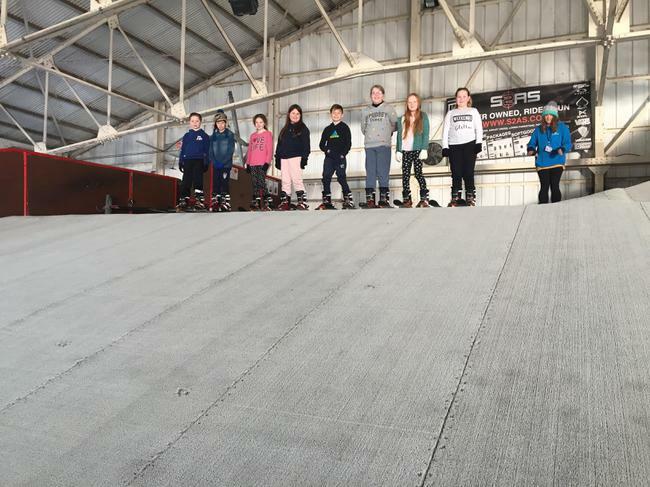 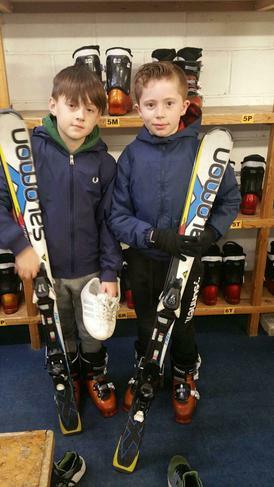 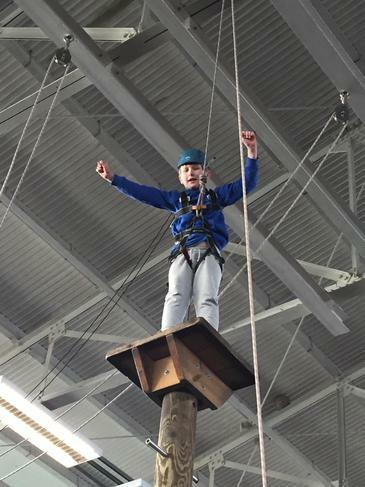 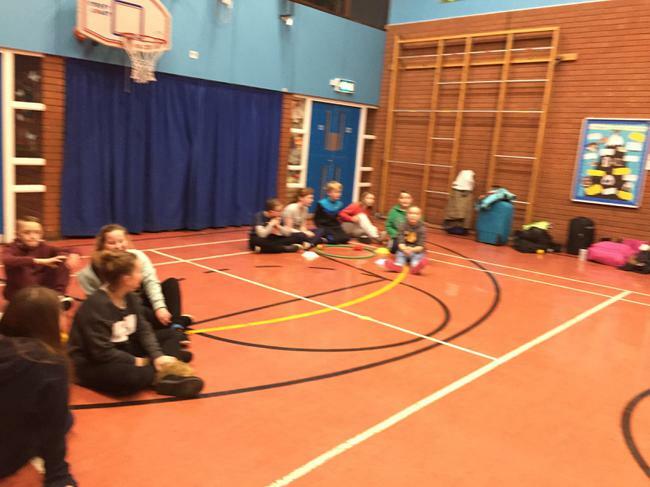 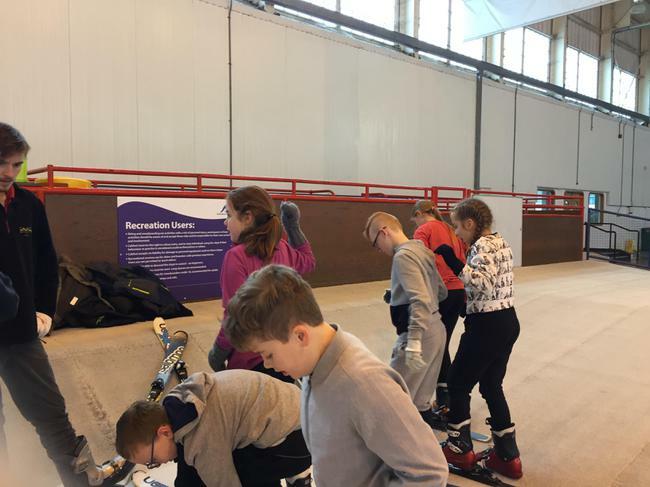 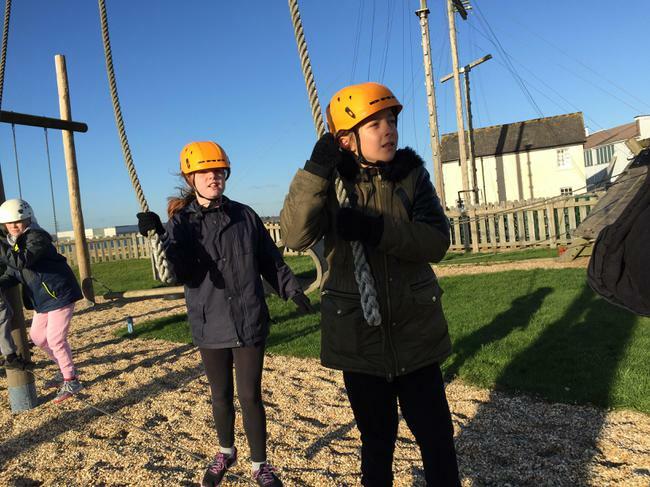 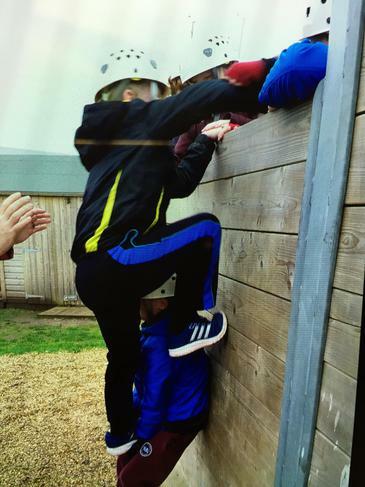 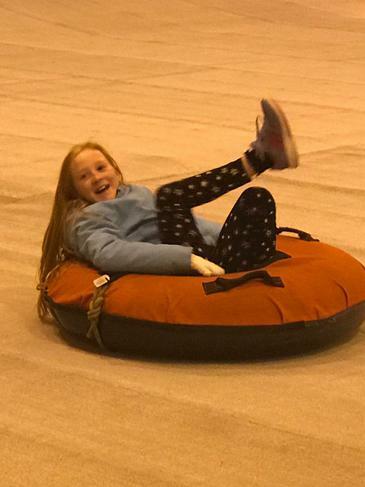 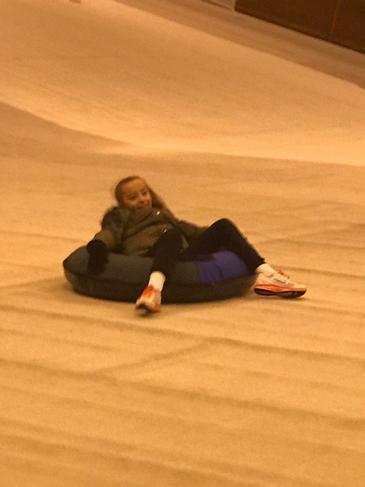 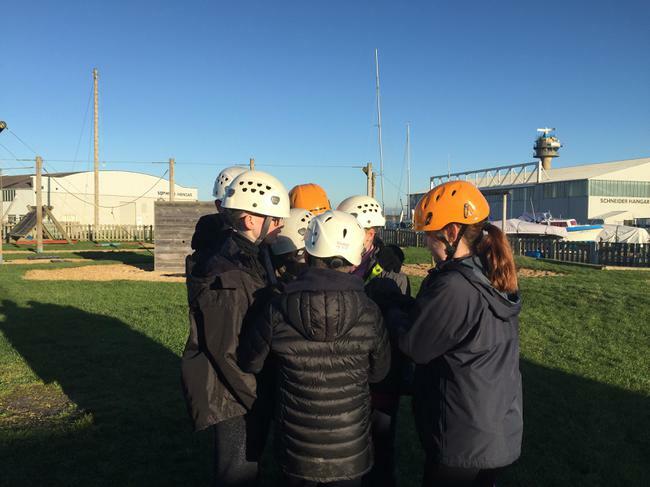 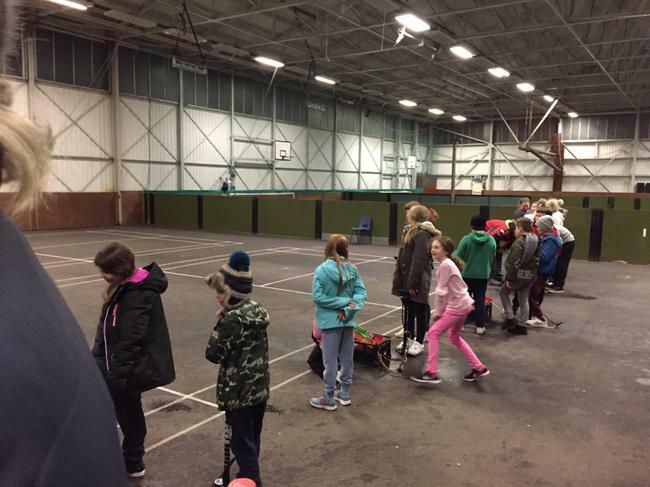 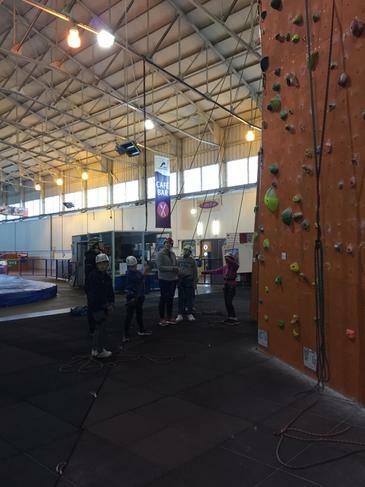 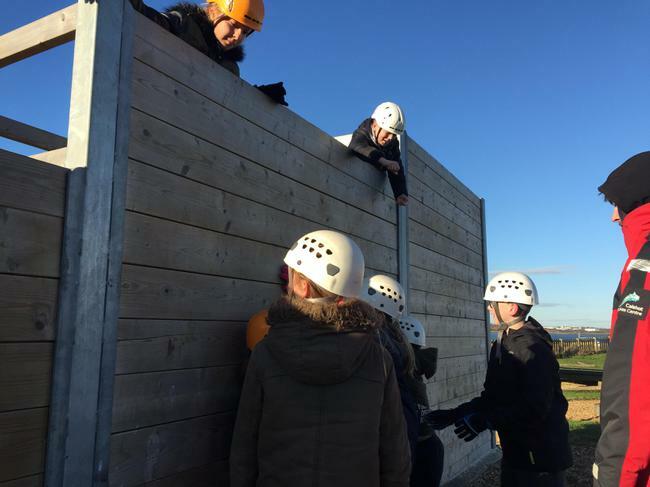 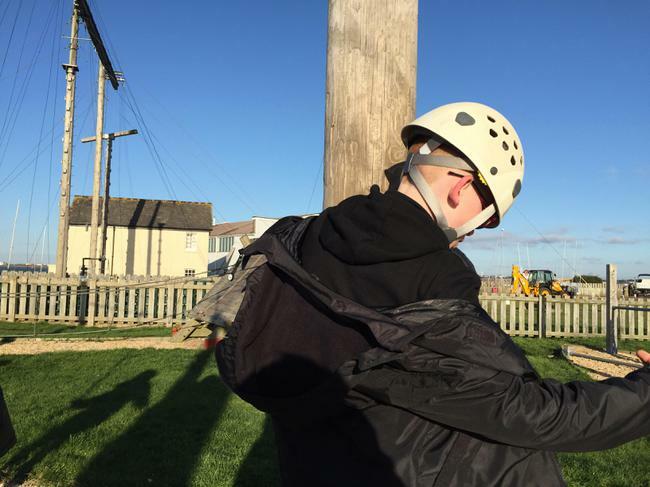 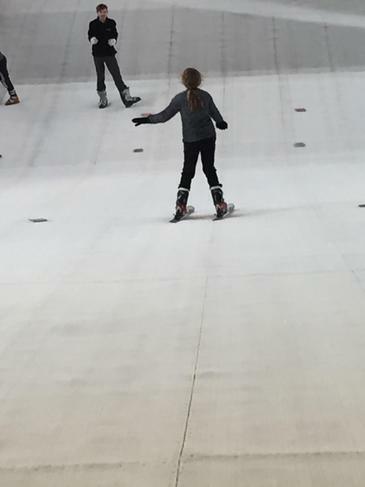 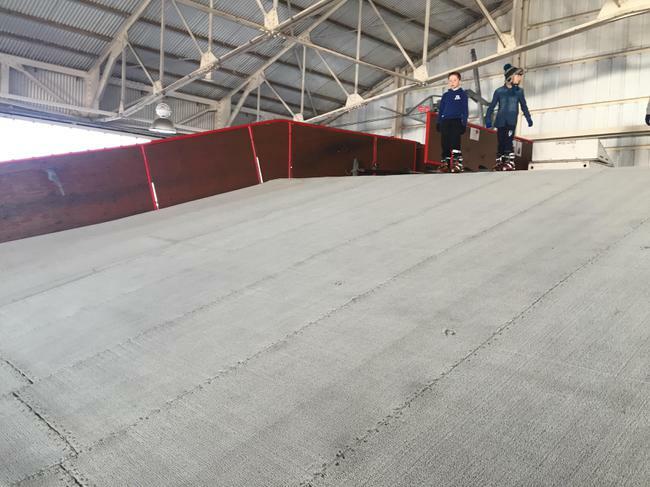 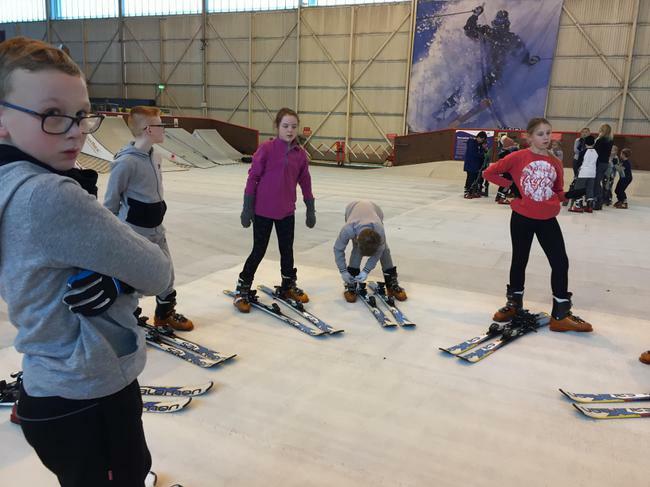 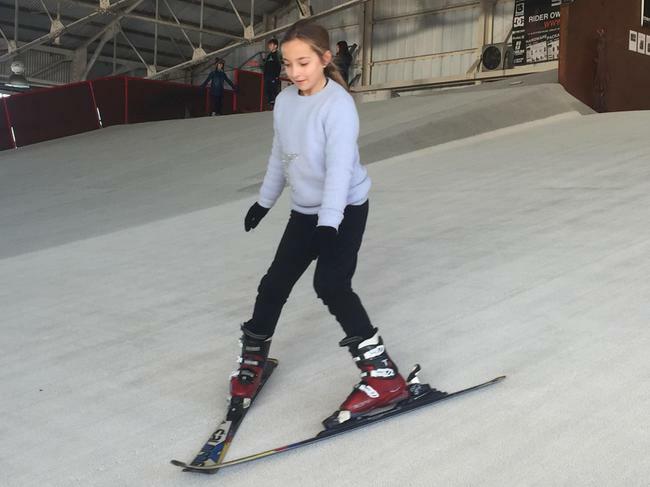 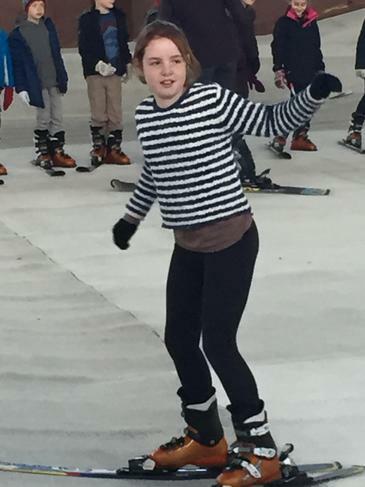 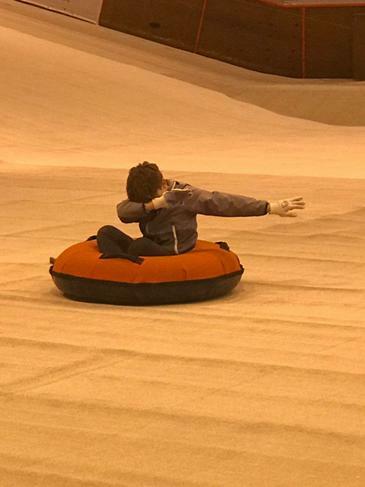 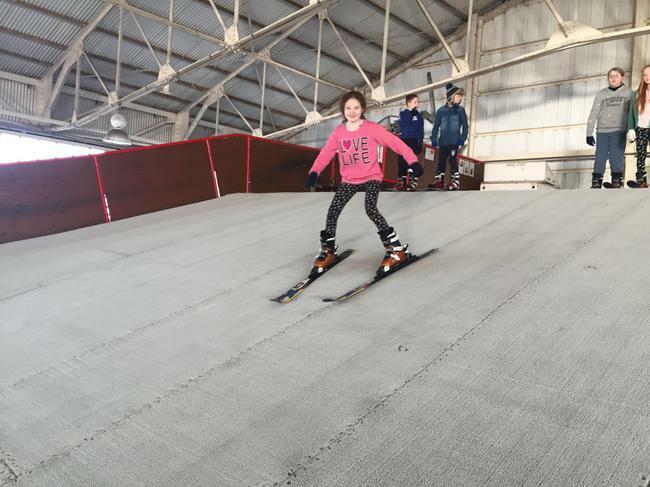 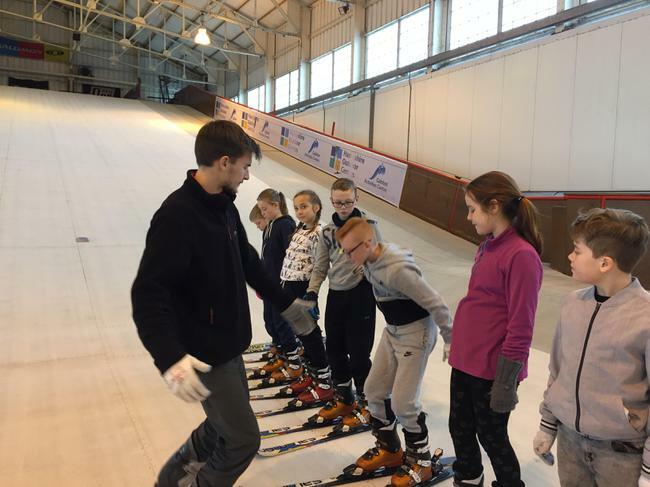 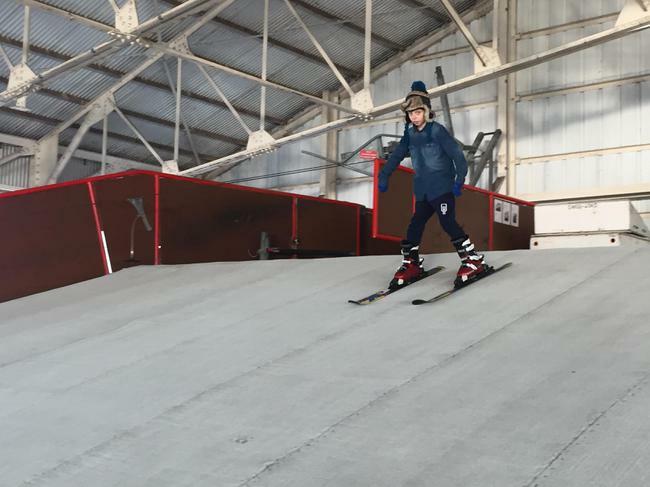 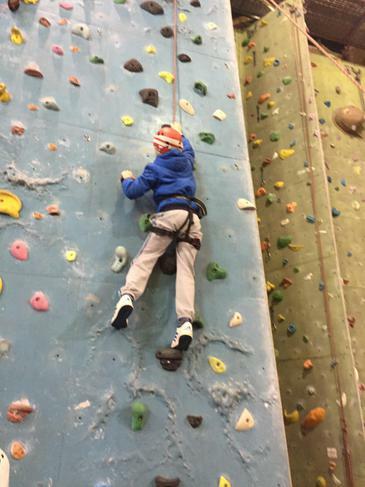 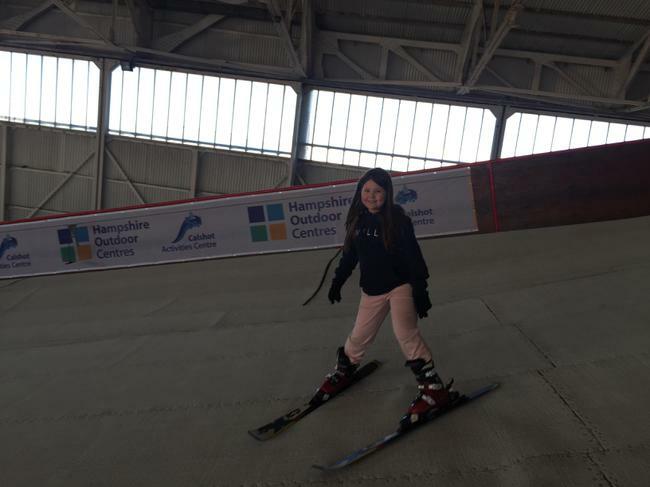 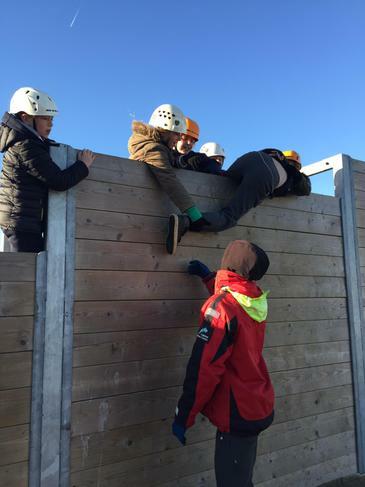 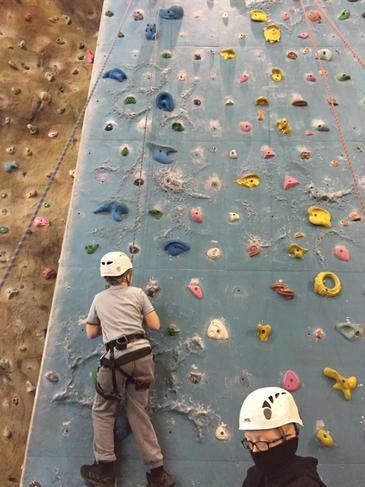 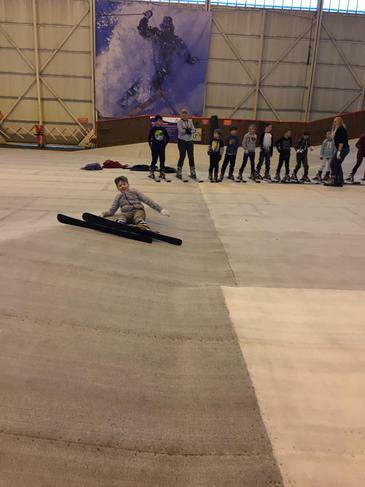 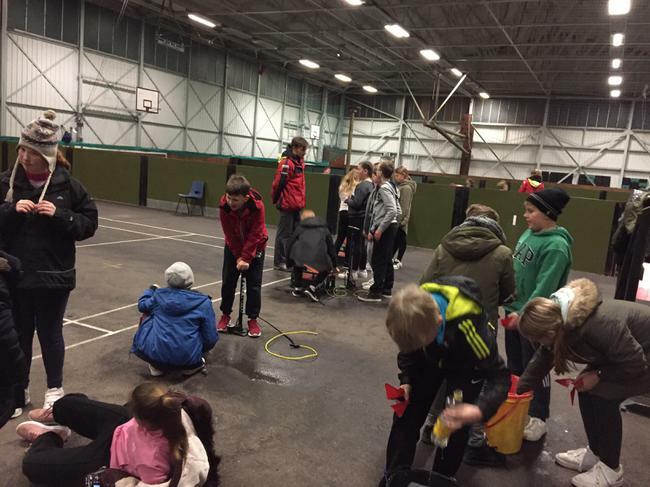 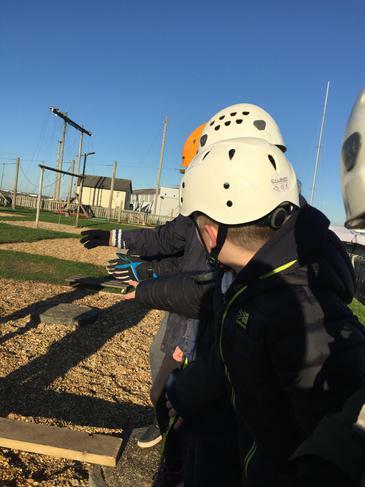 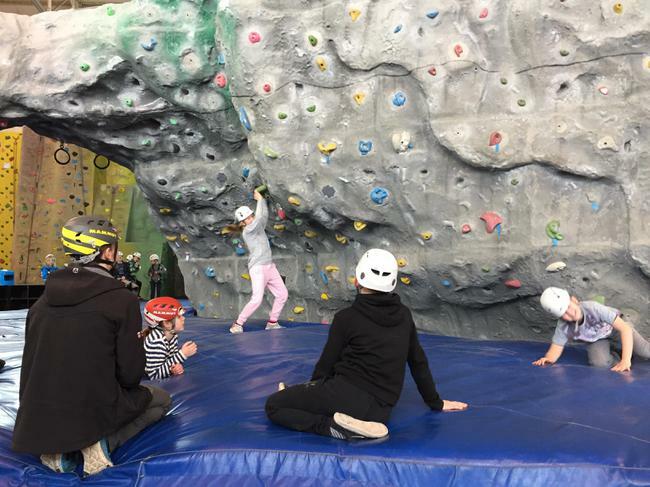 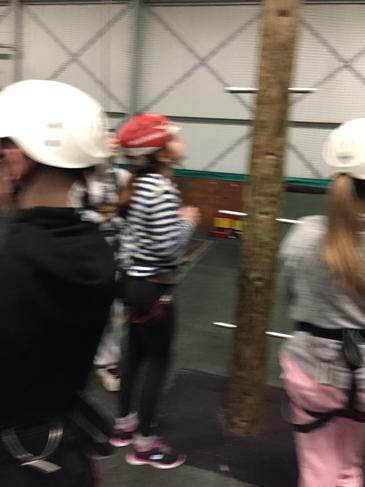 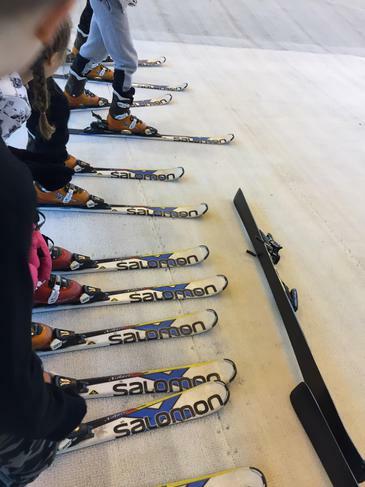 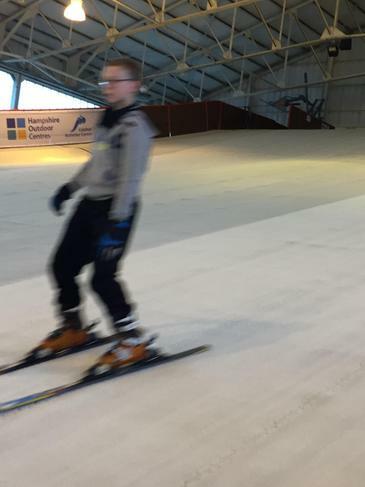 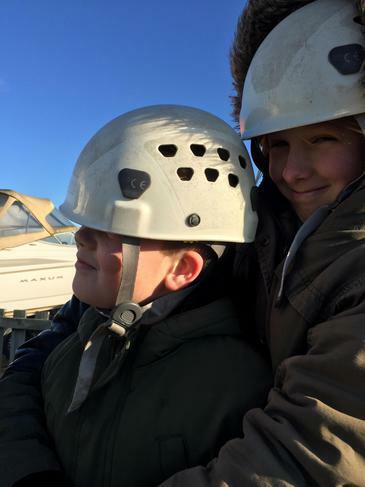 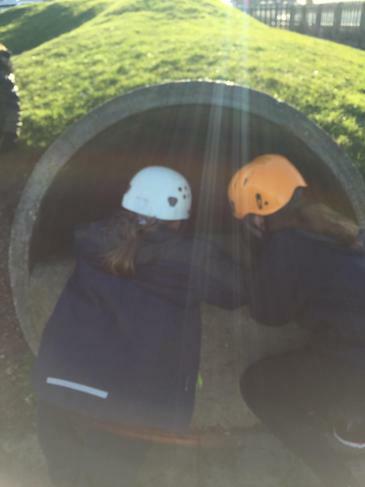 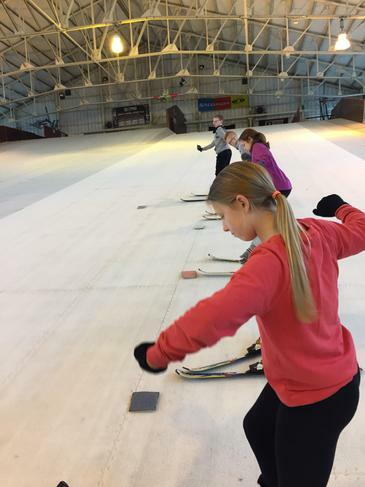 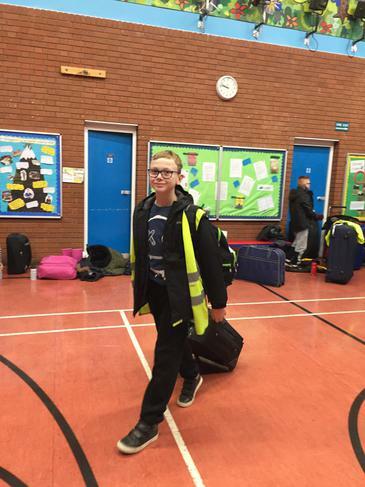 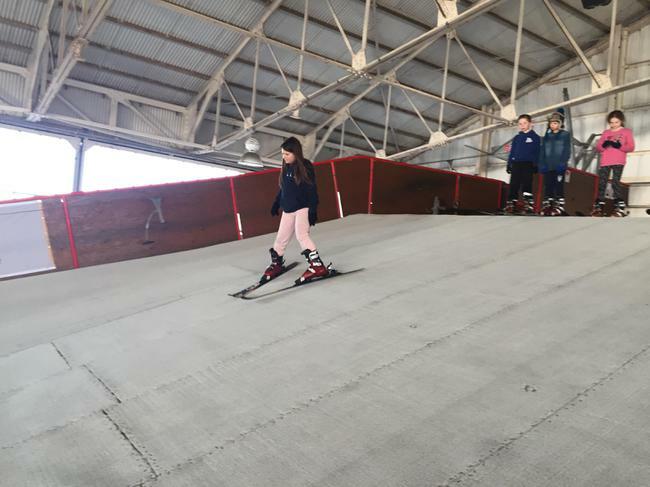 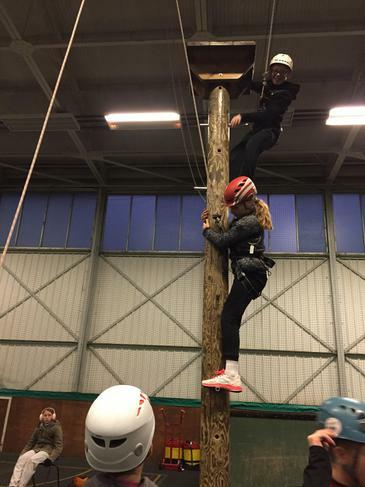 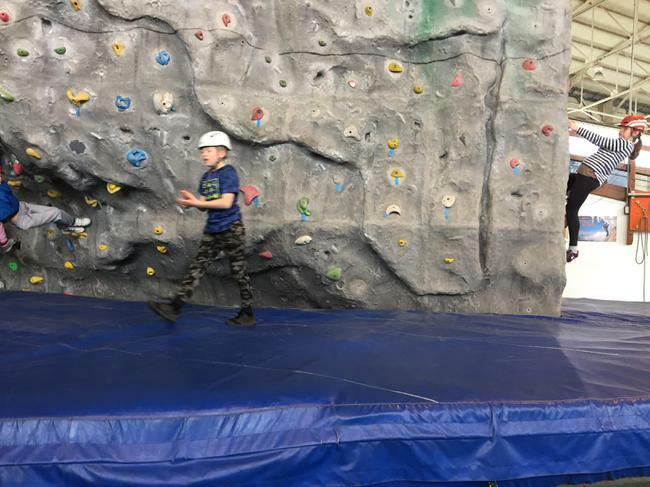 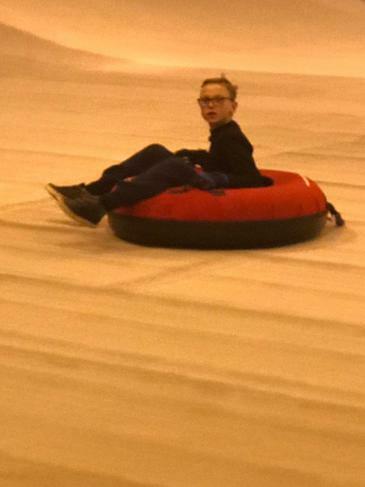 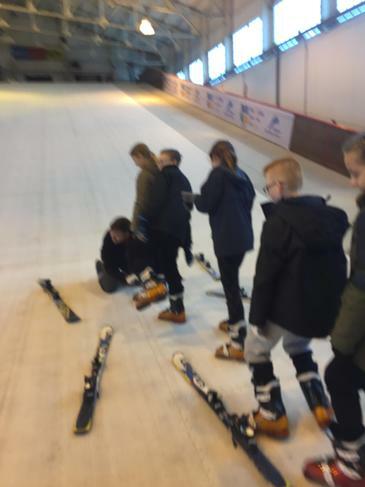 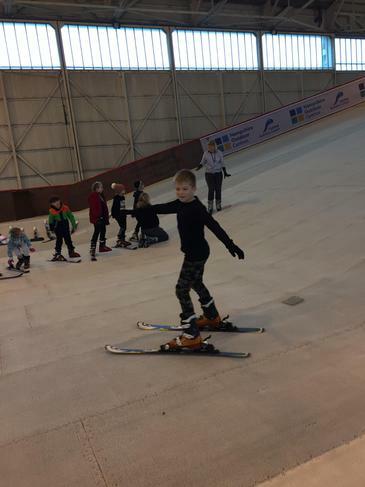 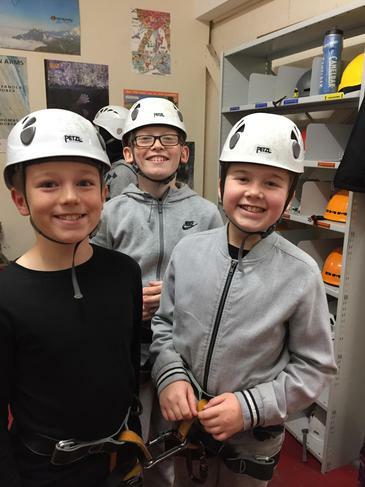 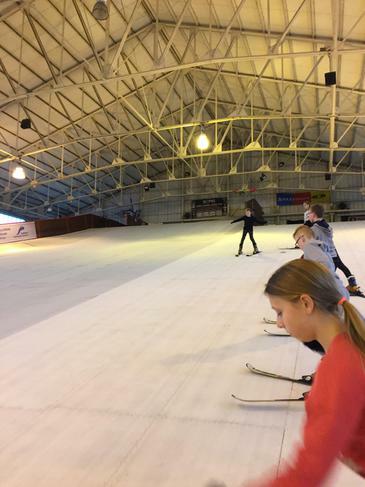 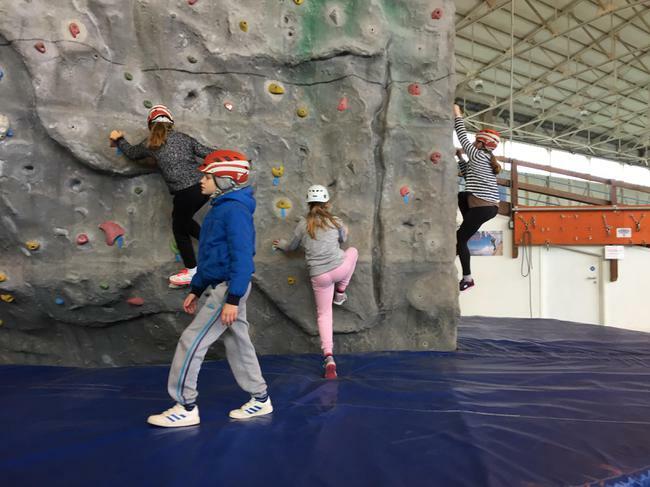 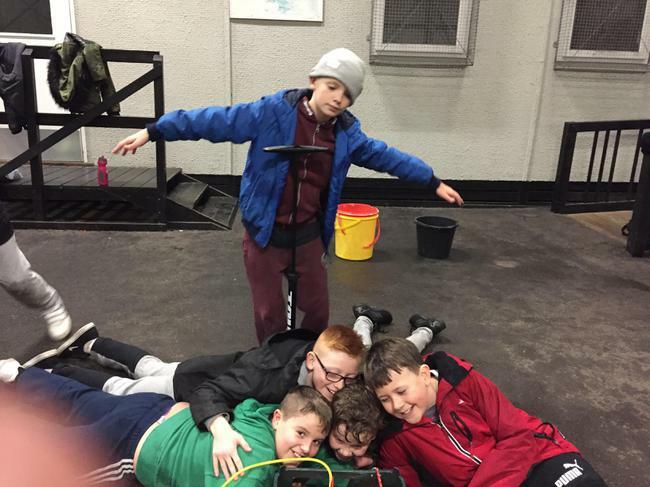 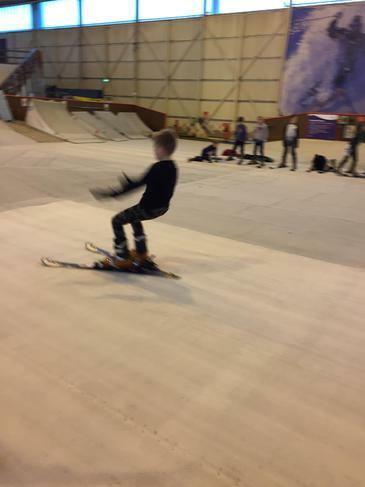 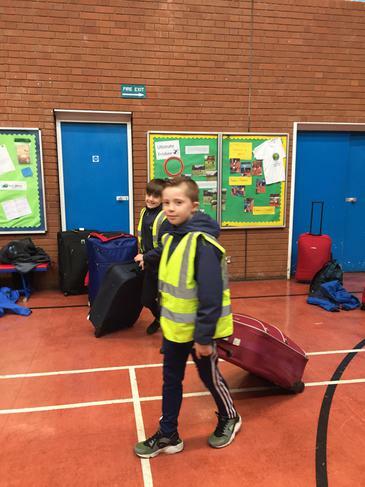 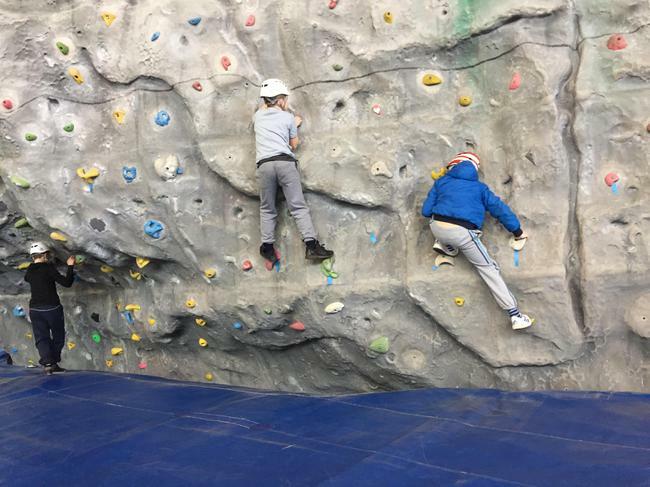 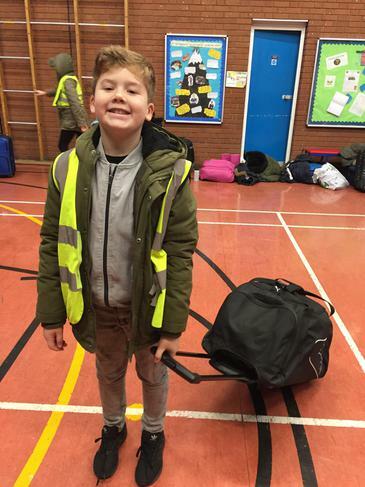 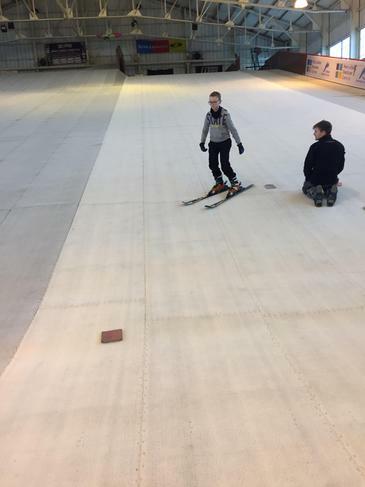 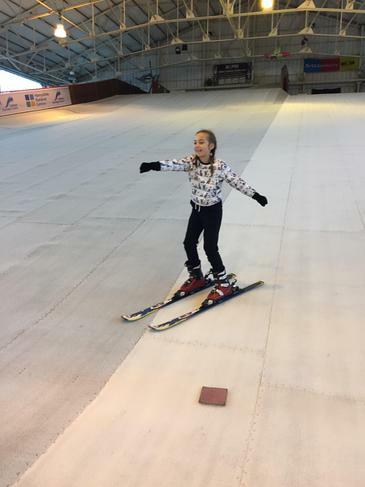 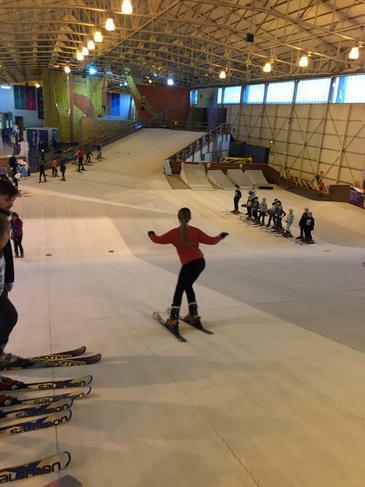 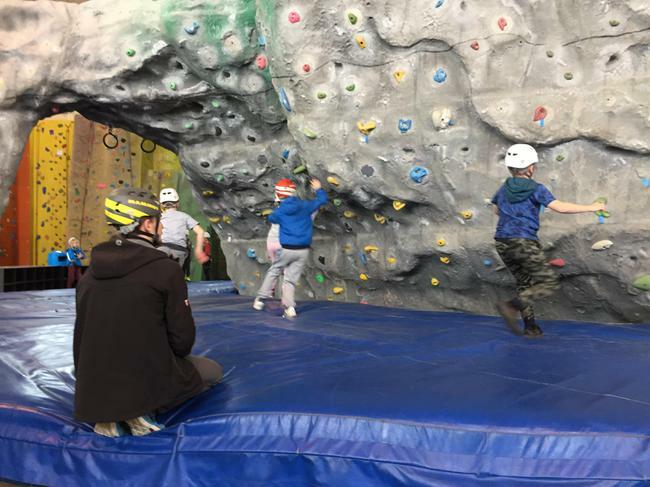 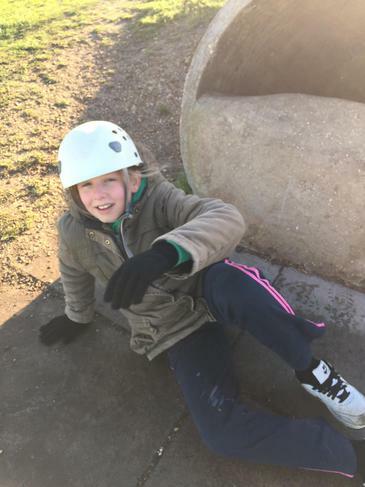 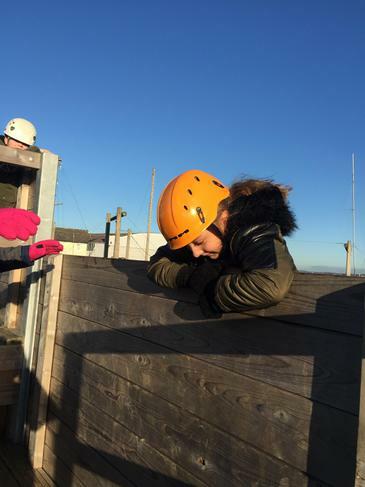 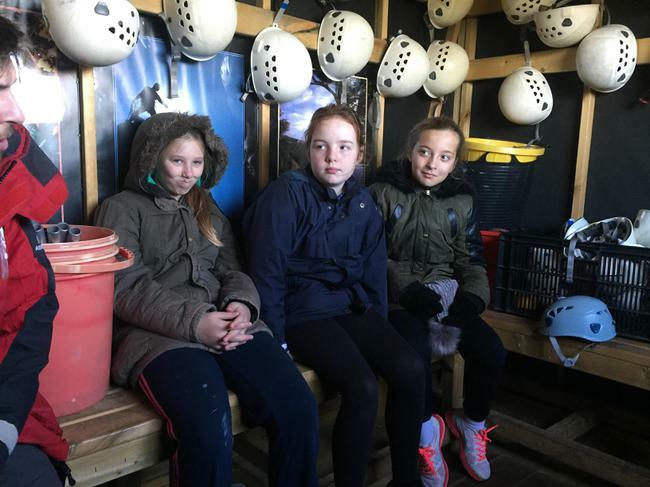 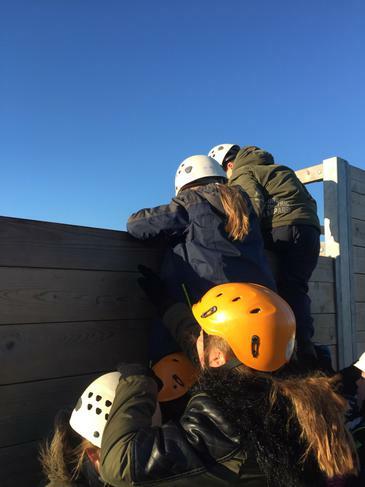 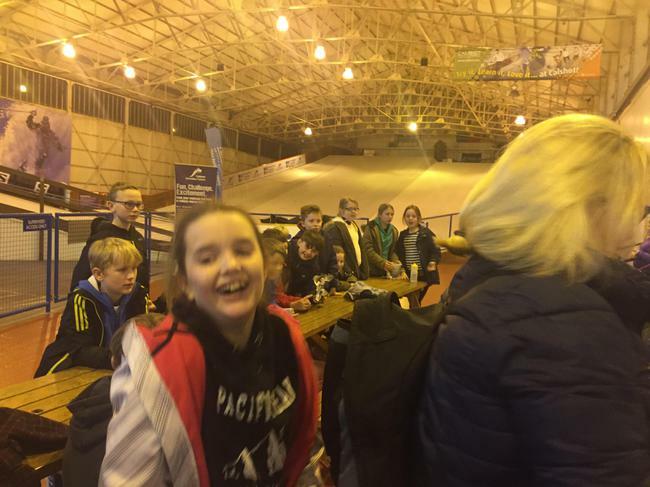 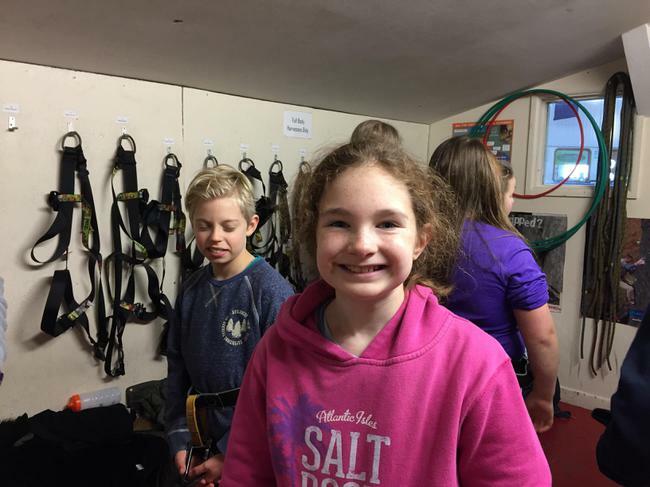 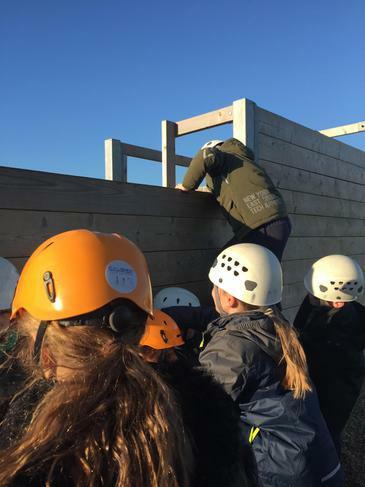 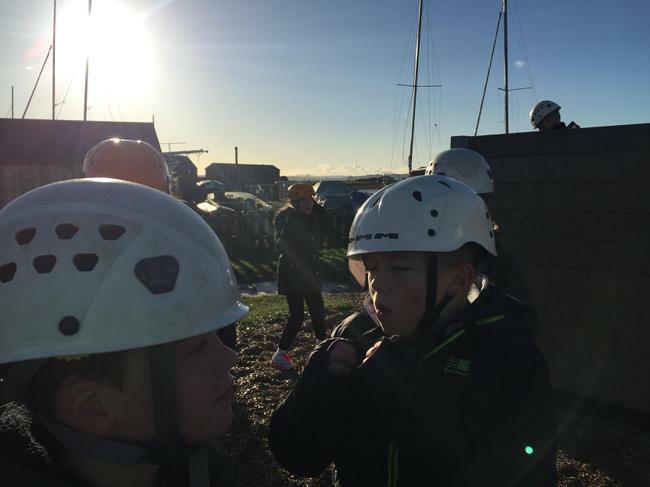 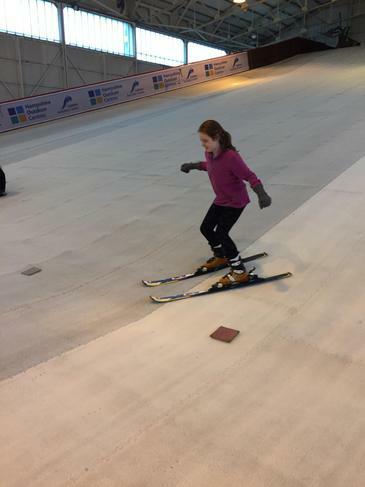 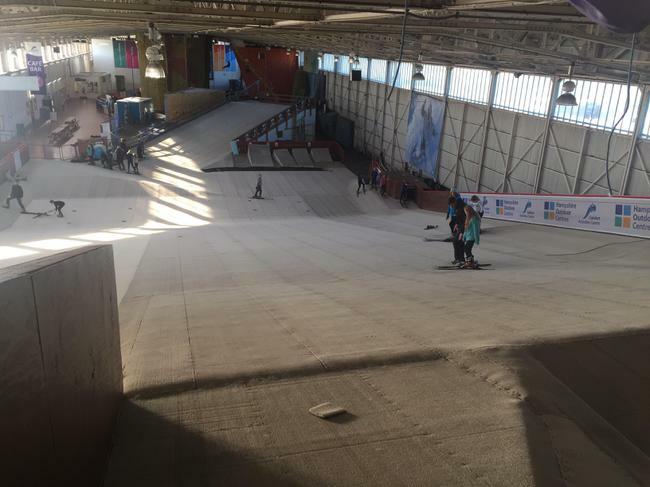 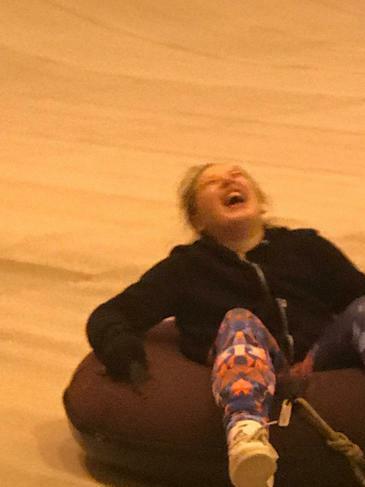 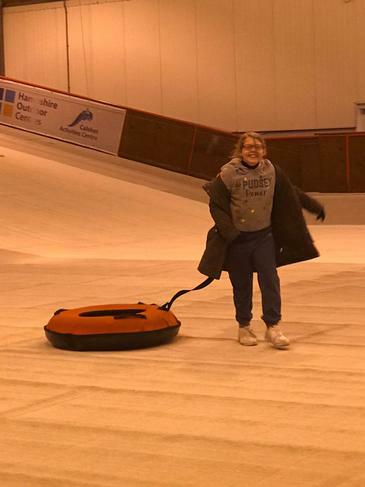 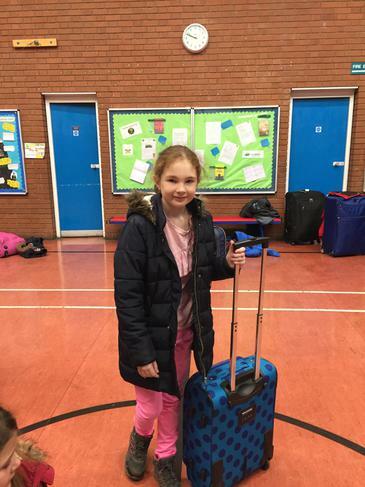 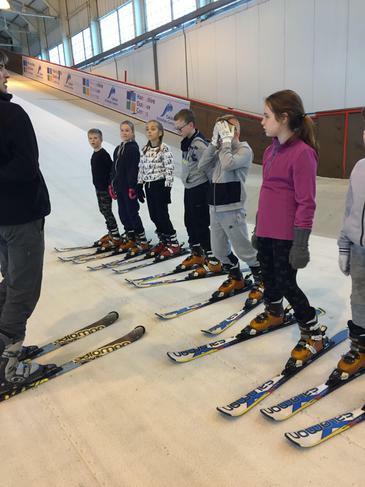 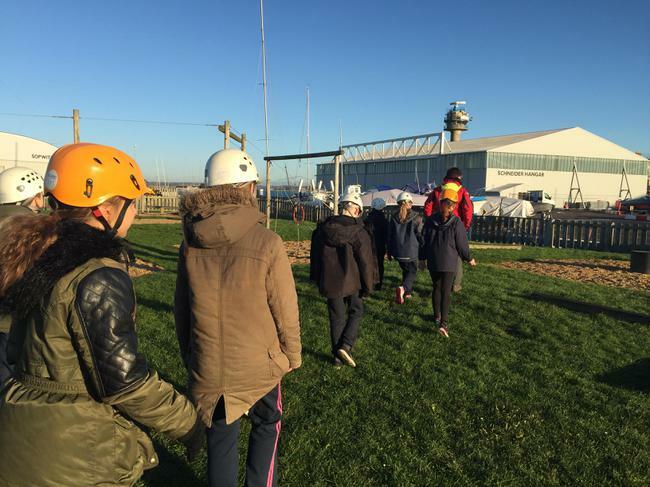 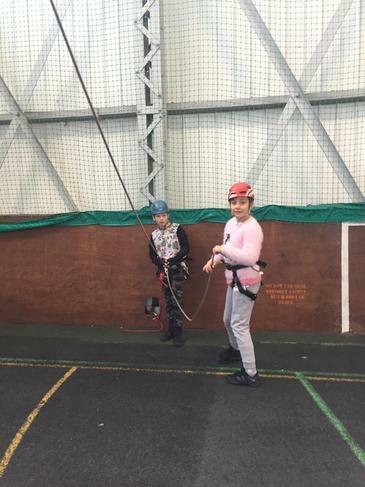 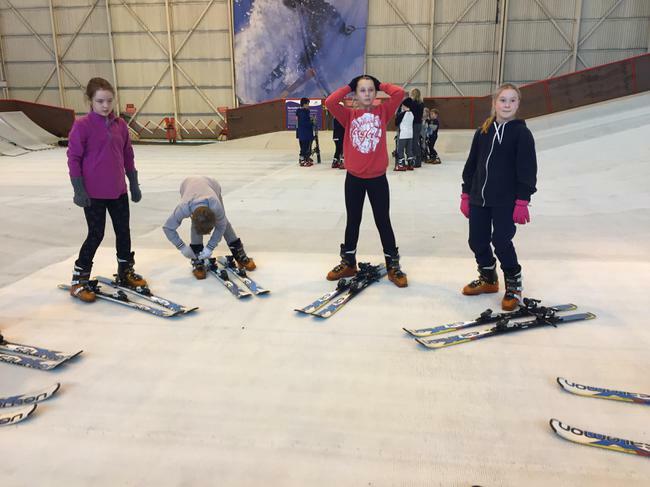 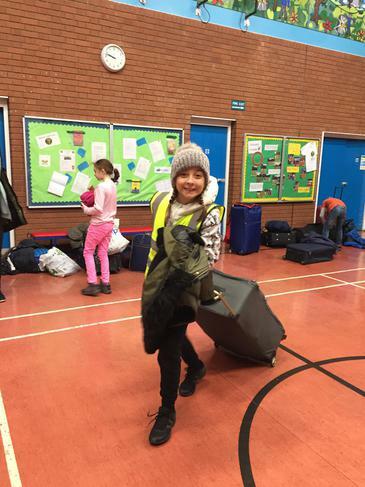 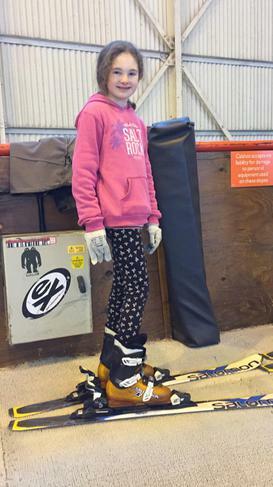 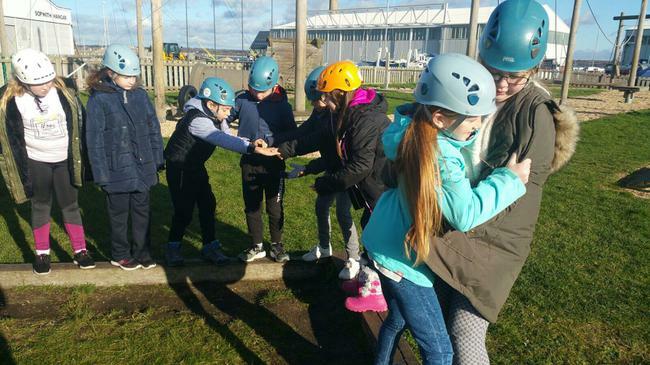 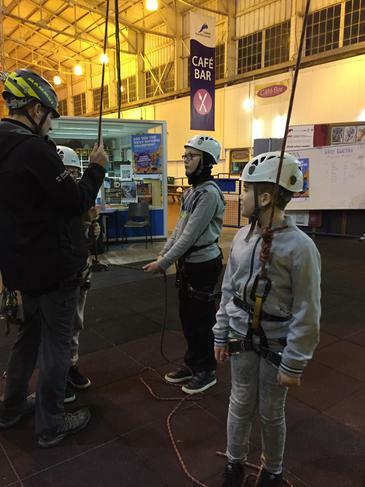 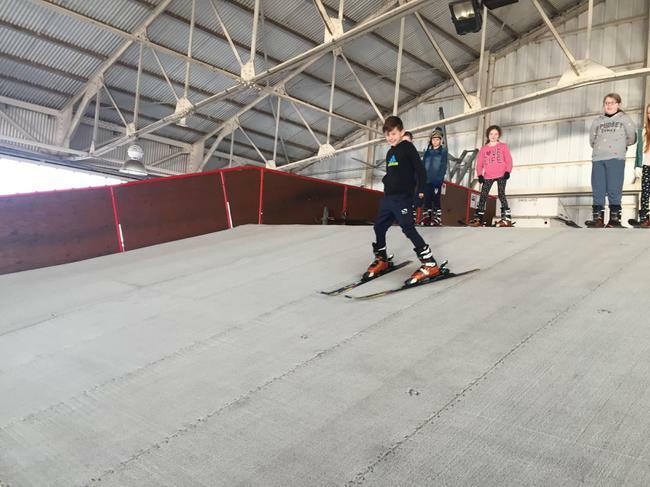 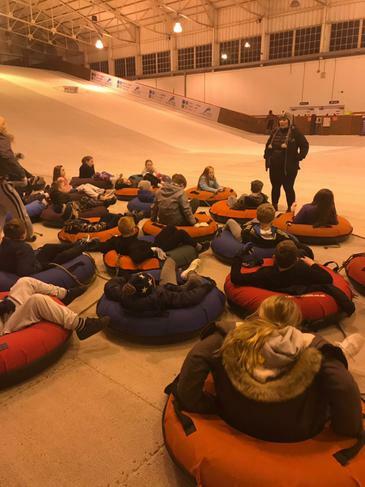 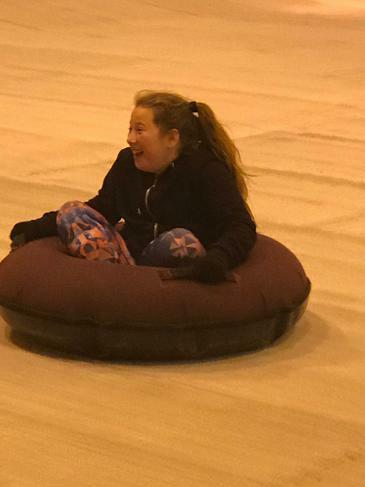 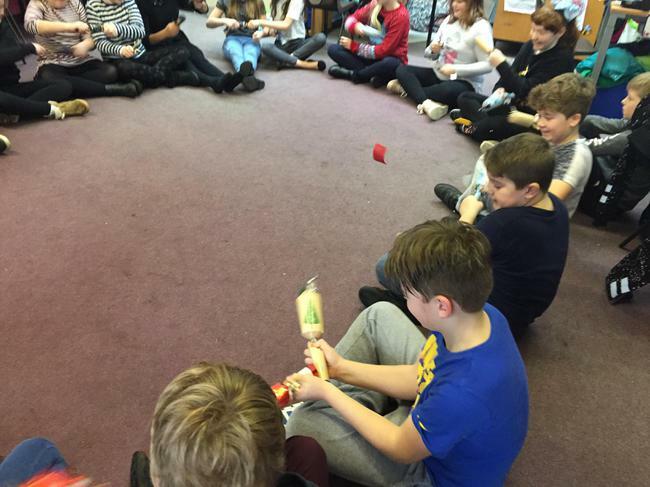 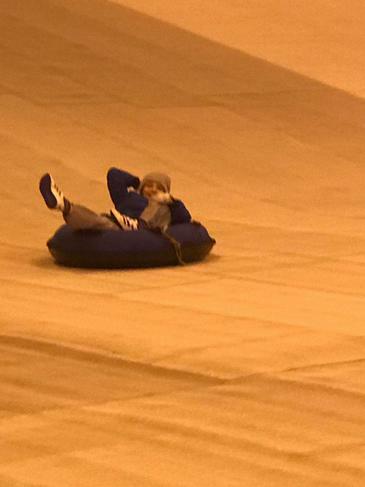 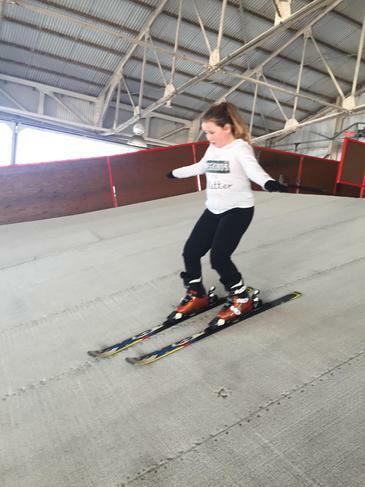 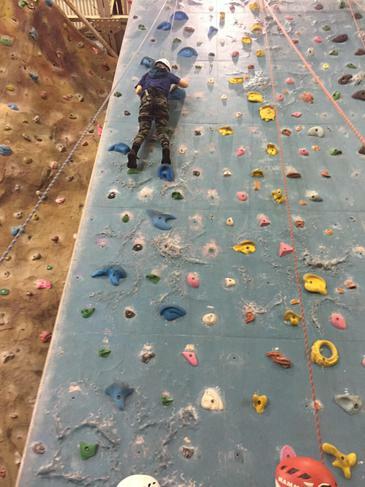 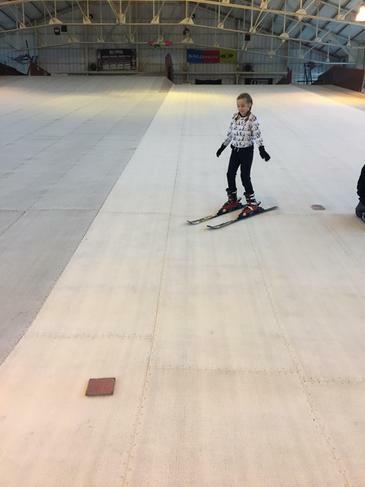 Puils have had an exciting day settling into their rooms and starting their activities: skiing, climbing, team building and shooting. 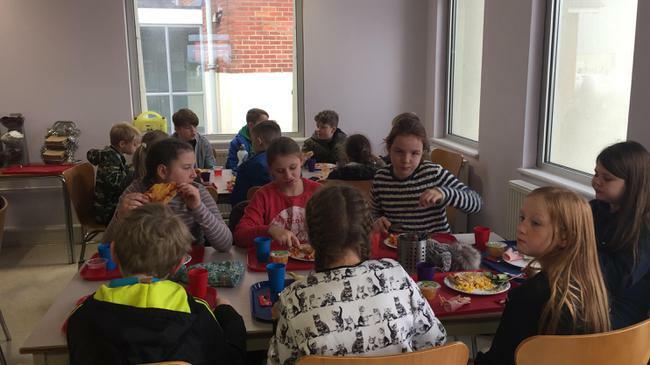 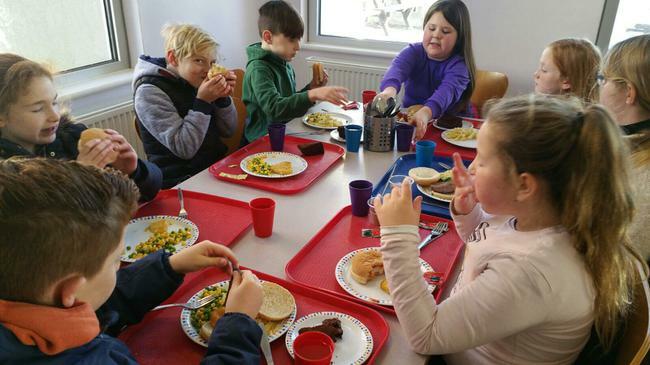 All have been well fed with pizza for lunch and sausages and mash for dinner. 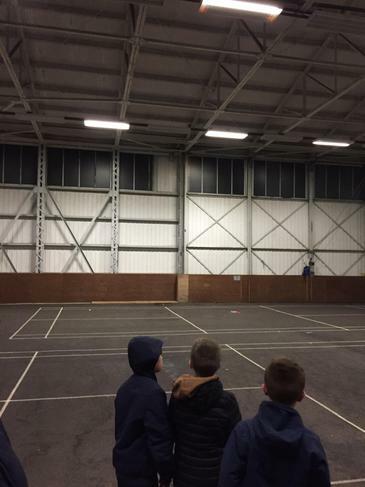 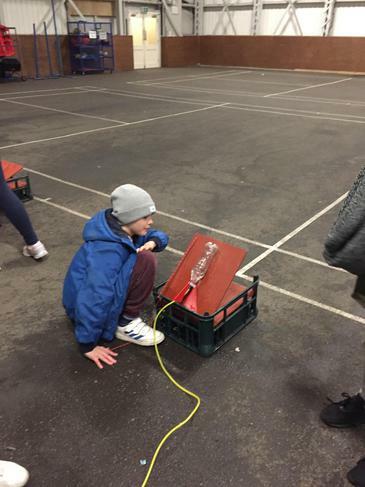 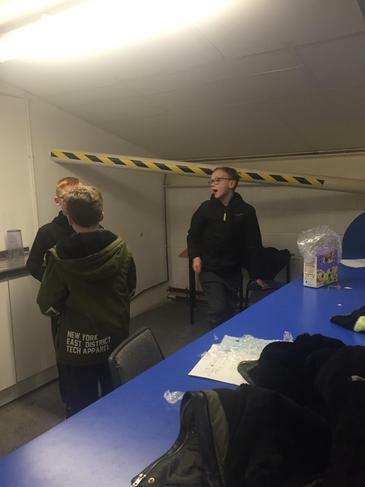 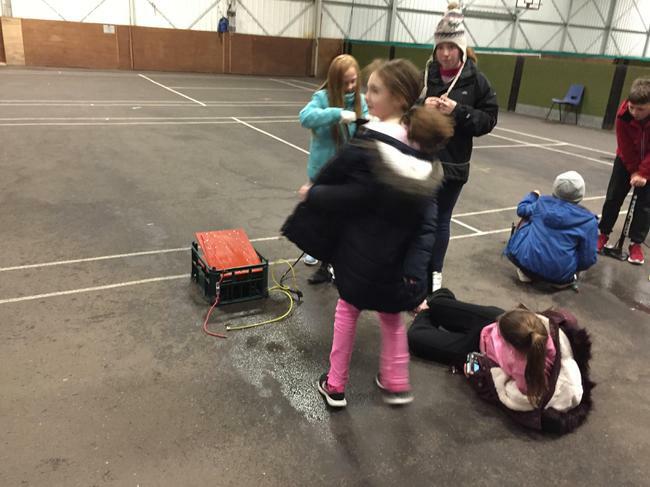 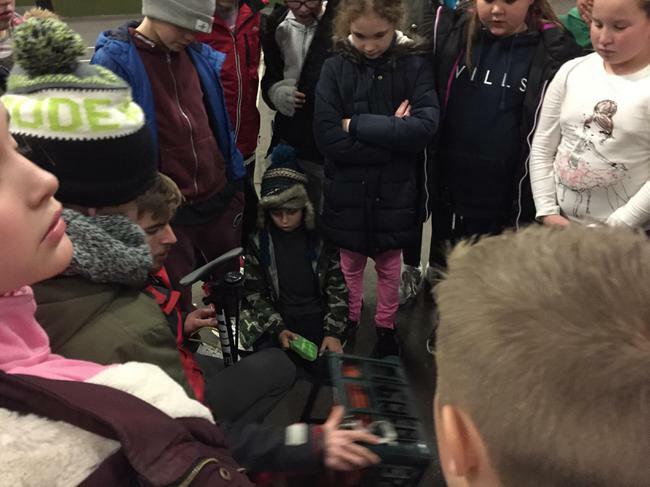 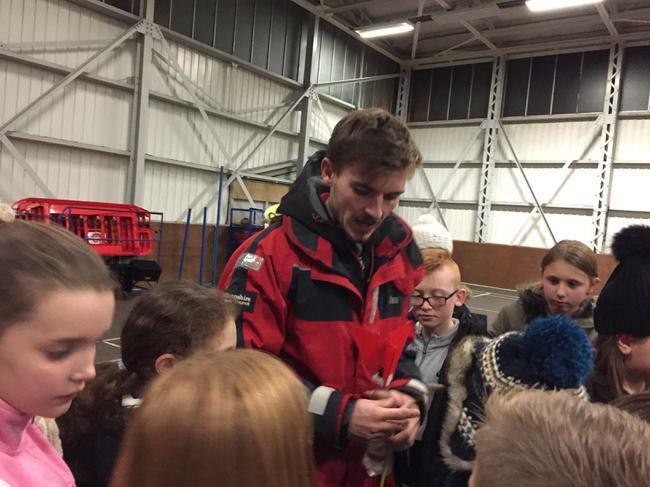 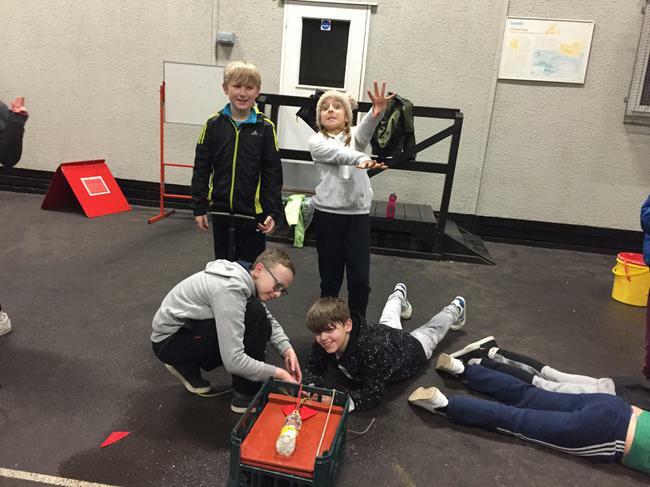 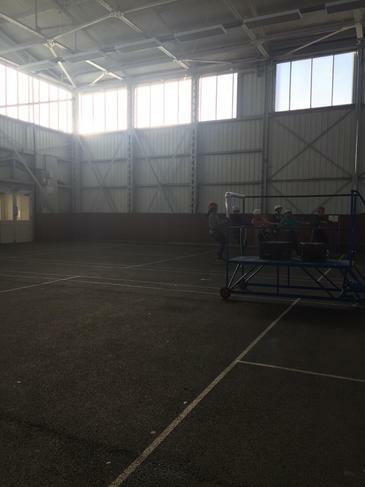 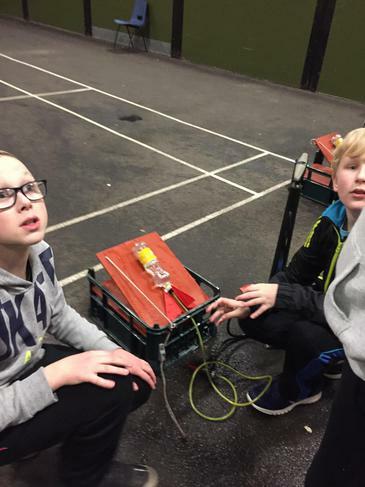 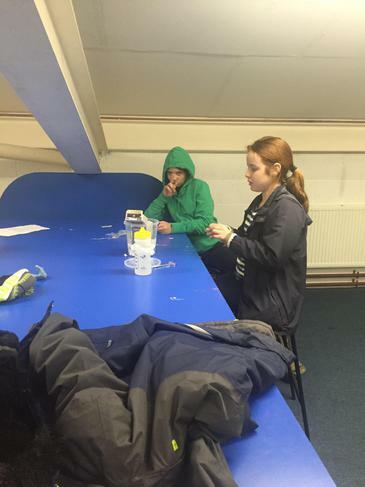 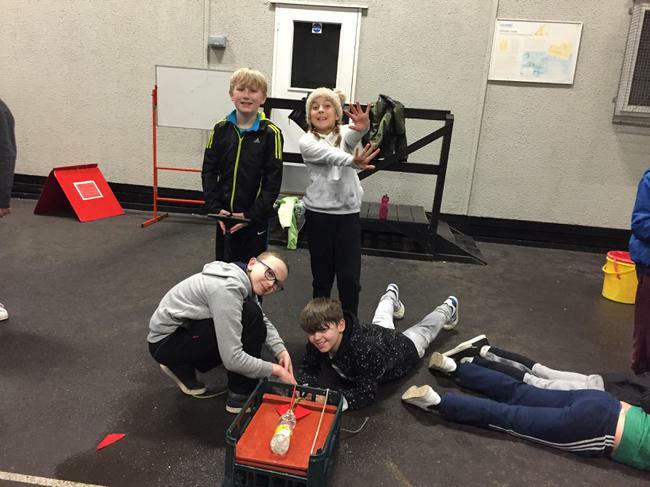 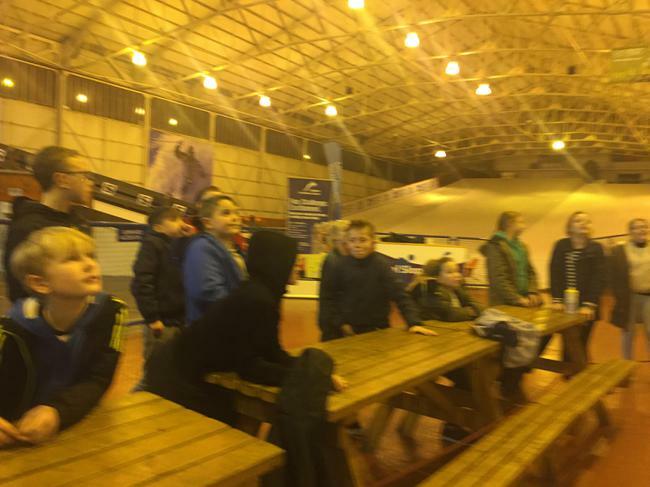 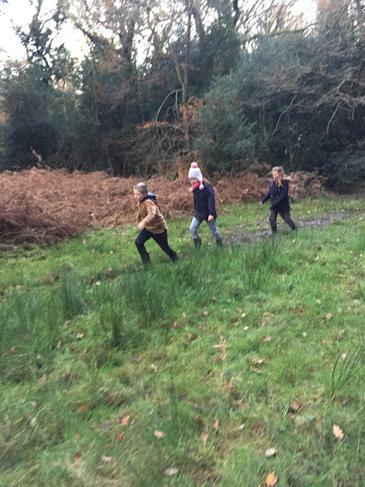 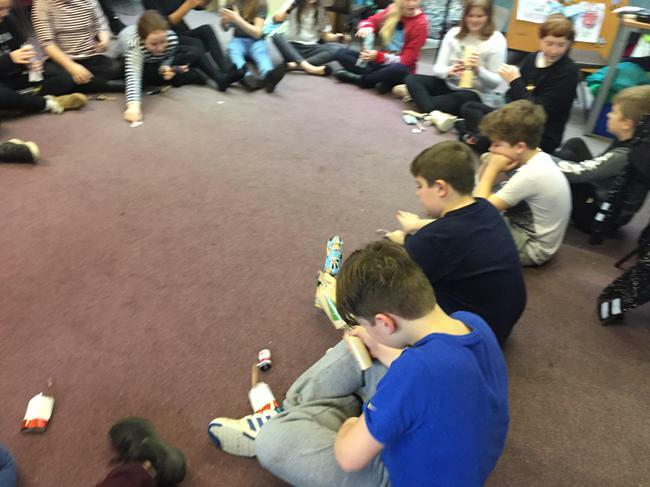 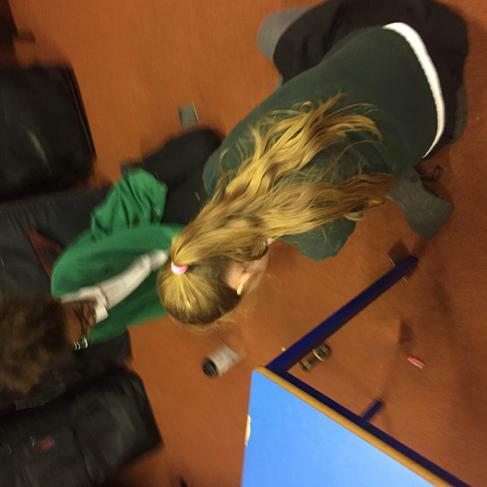 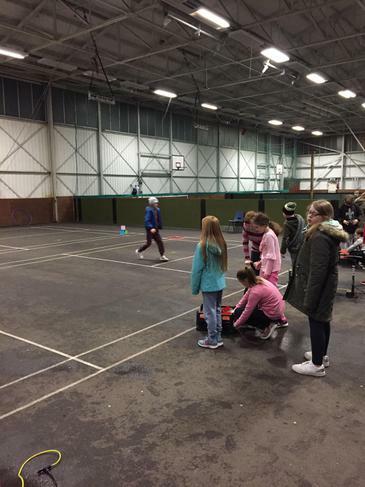 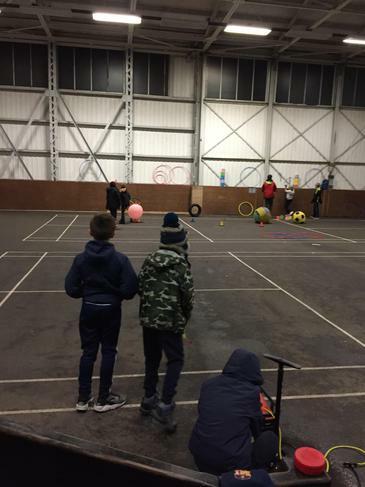 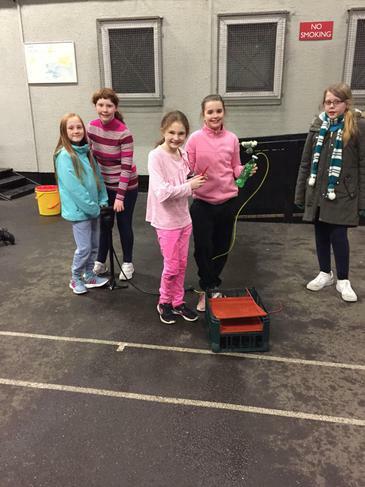 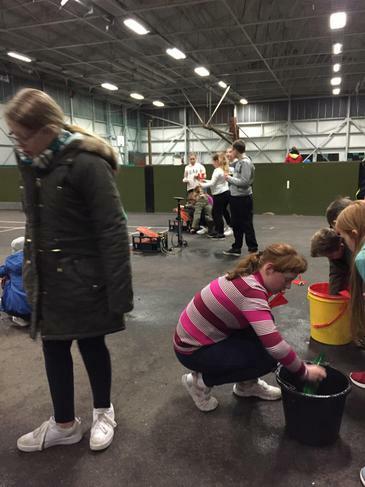 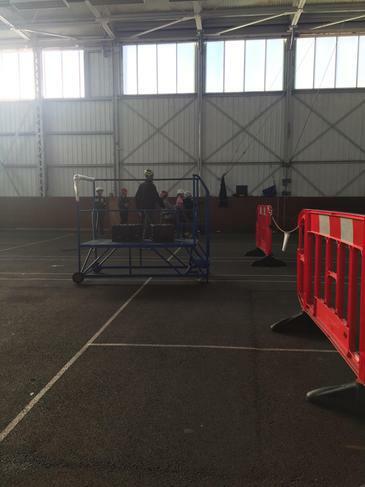 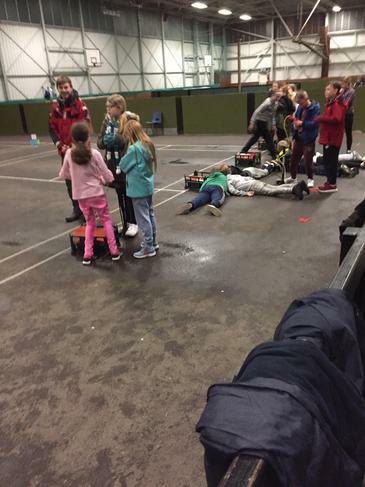 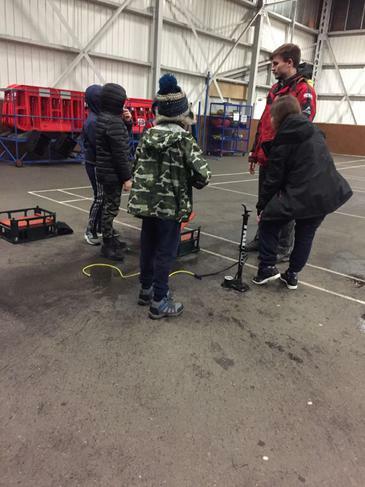 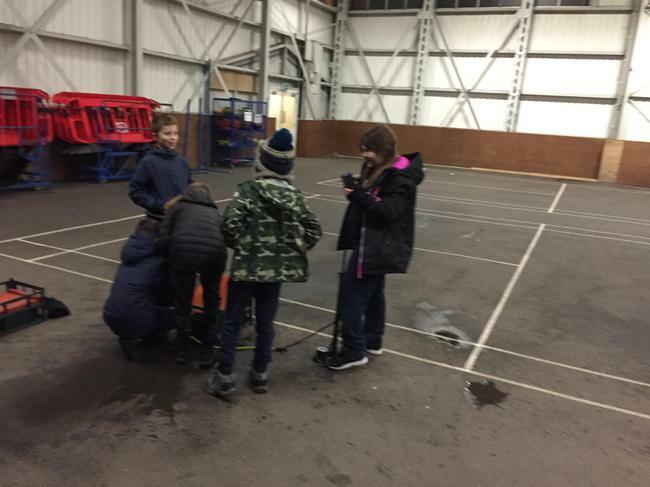 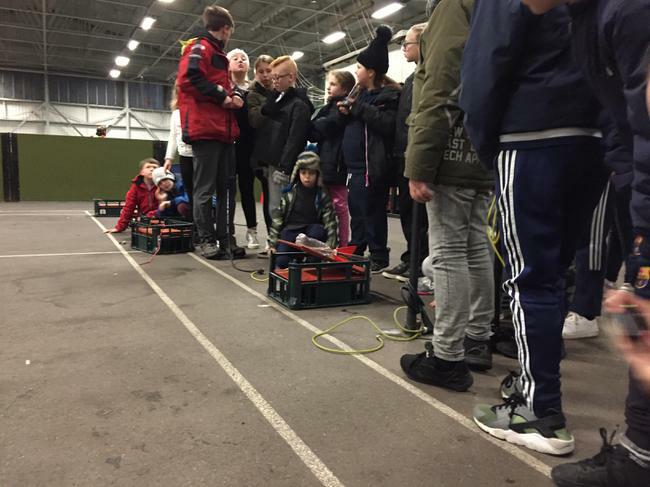 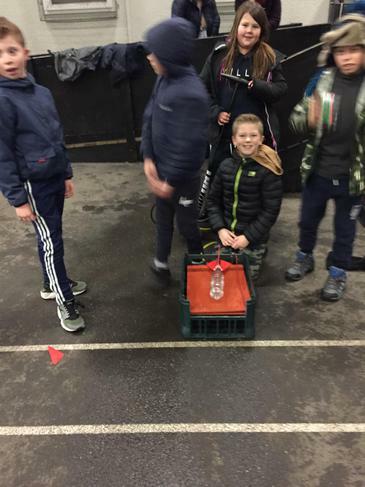 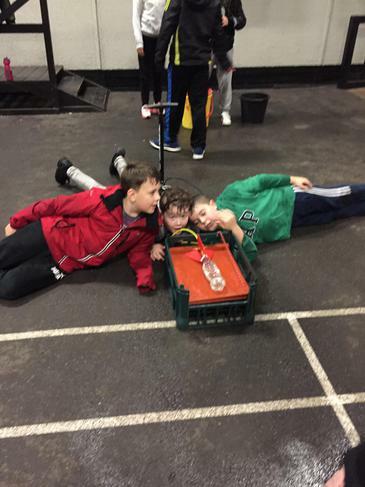 This evening pupils are racing rockets before settling in for a well deserved sleep. 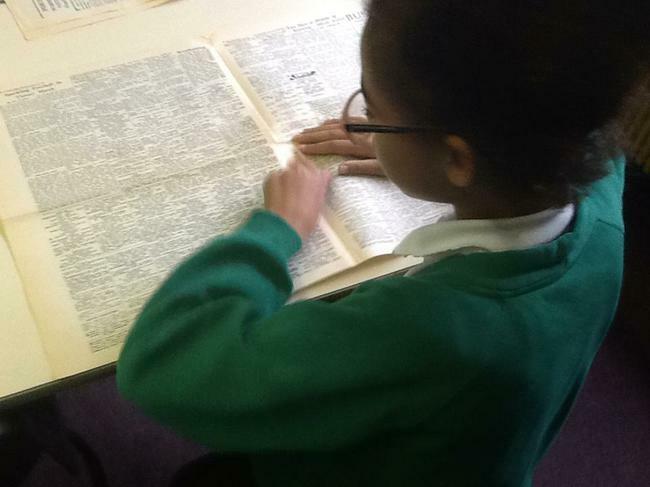 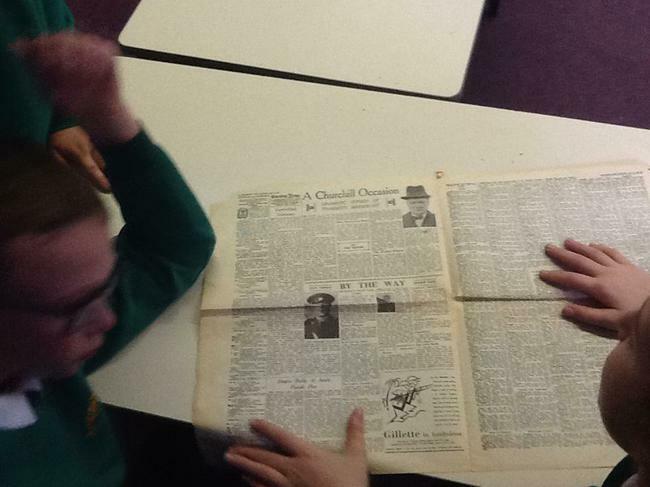 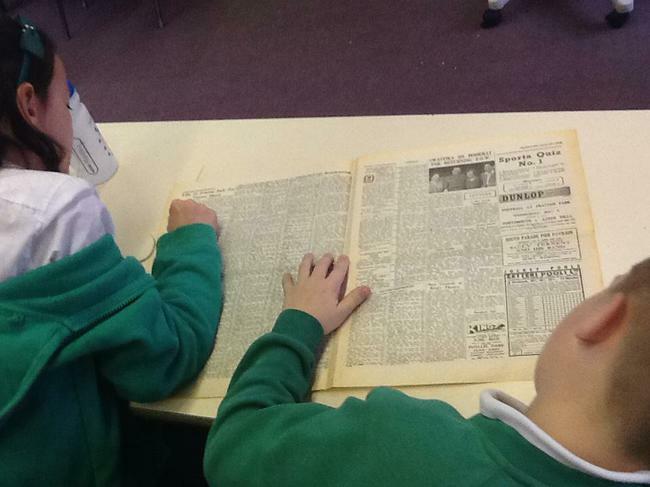 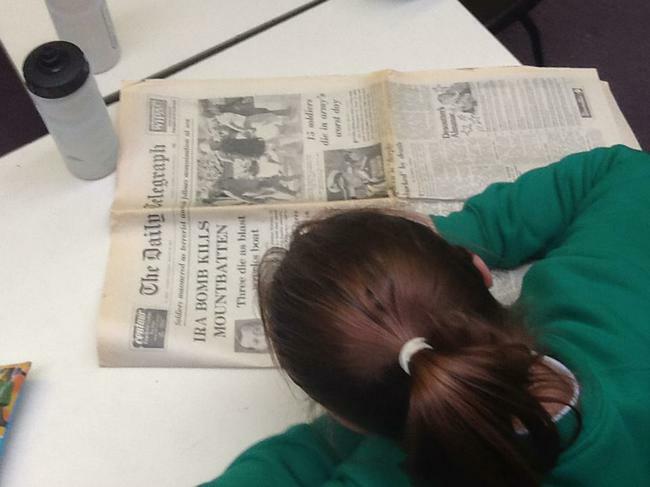 Recently in English, Year 6 have been examining war time newspapers. 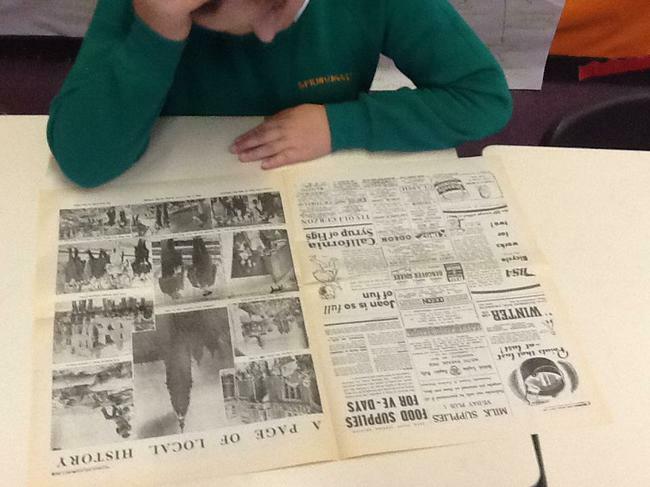 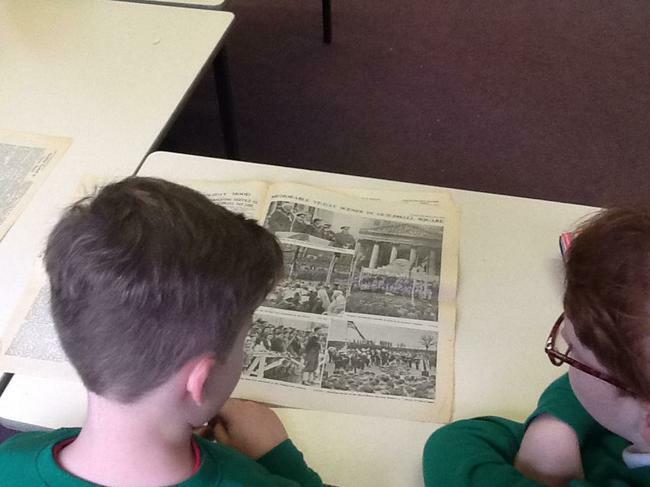 They have been comparing old newspapers with new newspapers to find out whether the layout and language used has changed. 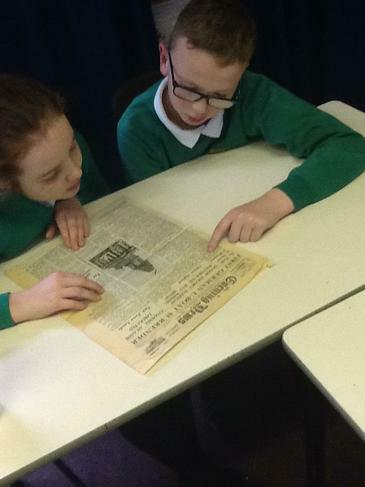 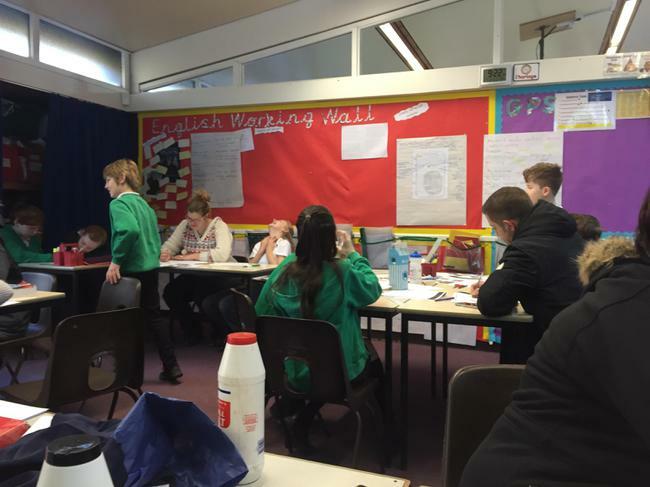 After the examination, pupils have planned and written their own newspaper based on events from War Horse. 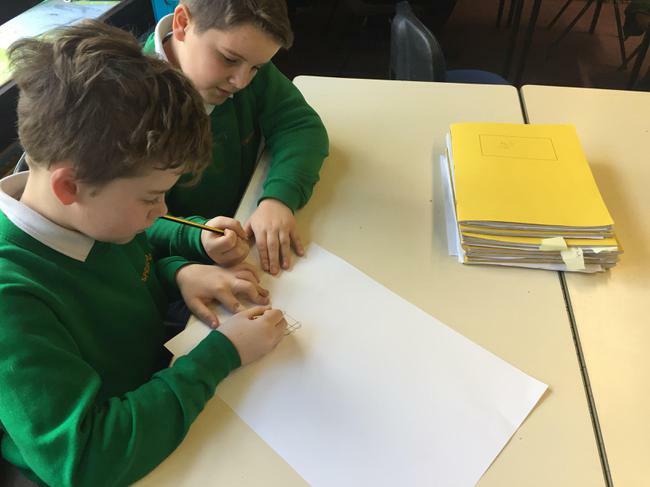 Year 6 have been exploring how to stay safe online and learning what to do if unkind things are happening on the internet. 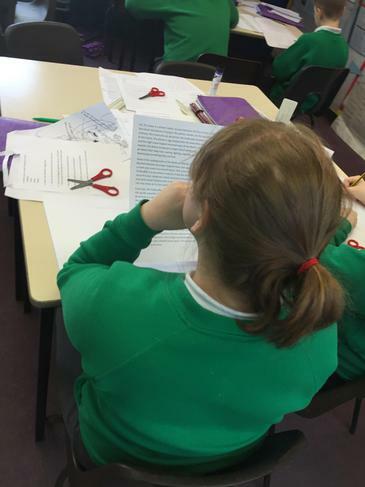 Pupils have been generating a list of 'Do's and Don't's' and made posters which they shared in the KS2 assembly. 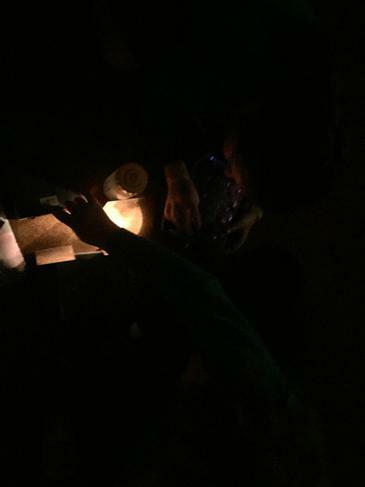 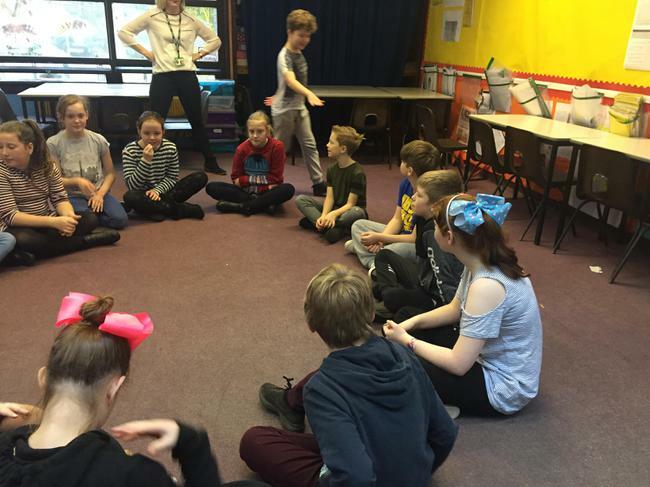 They listened to other year groups and listened to the tips other year groups had thought of. 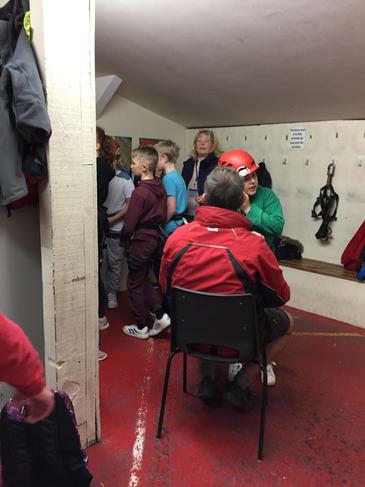 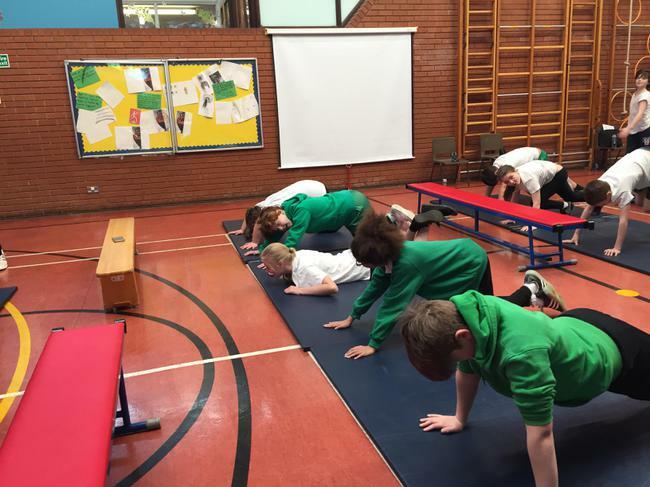 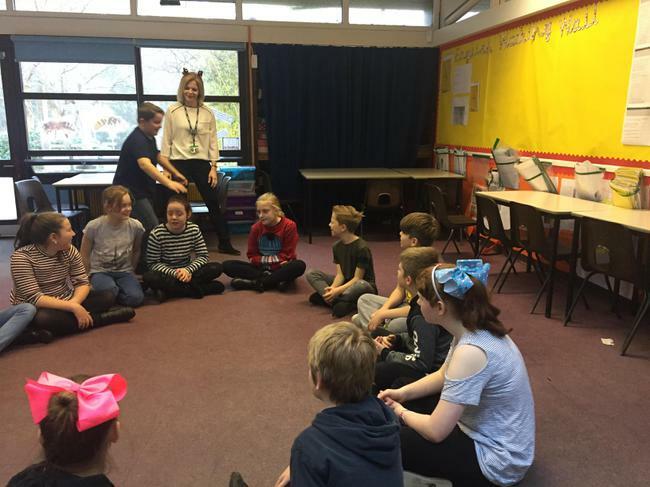 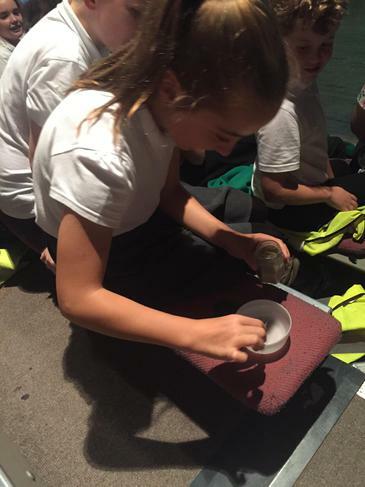 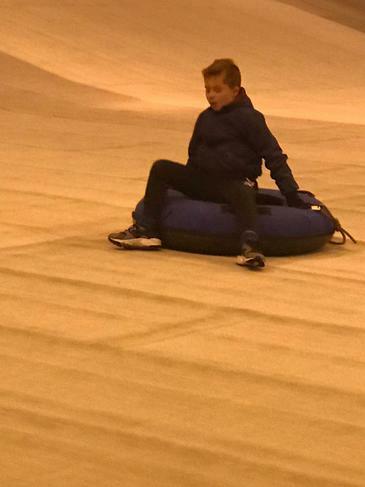 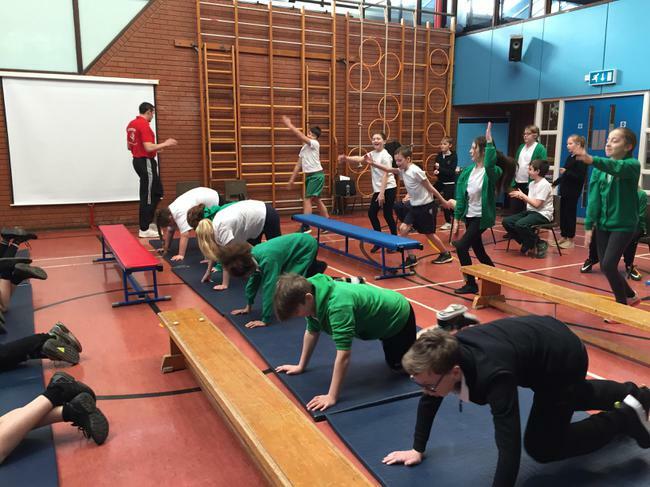 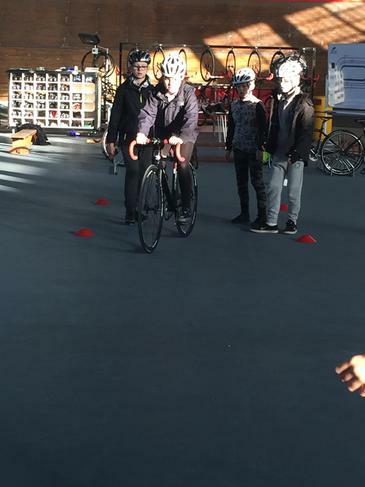 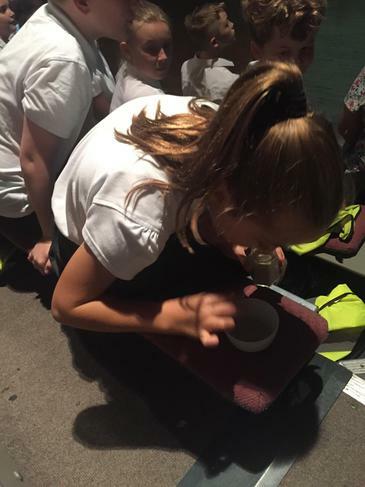 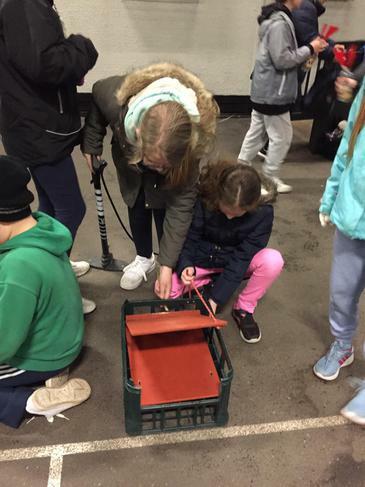 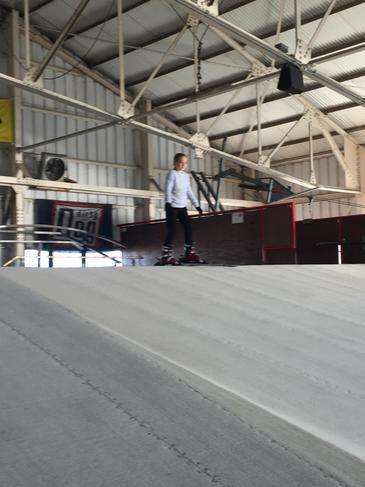 Year 6 have also learnt about how grooming can occur and how to keep themselves safe. 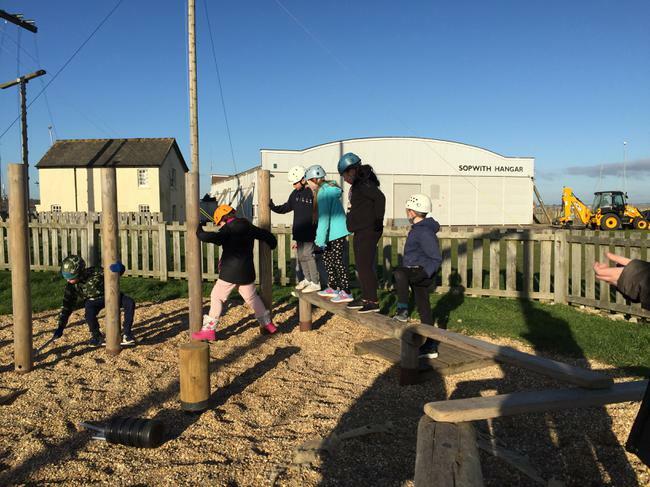 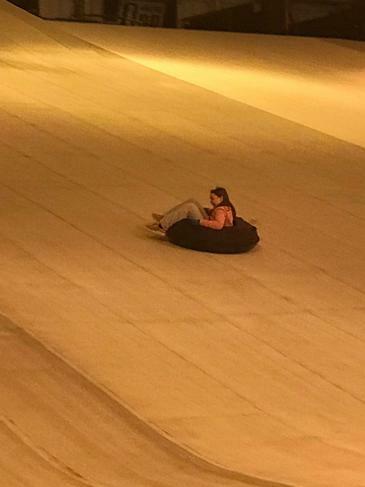 They know the difference between safe and unsafe adults and they know who to tell if there is ever a problem. 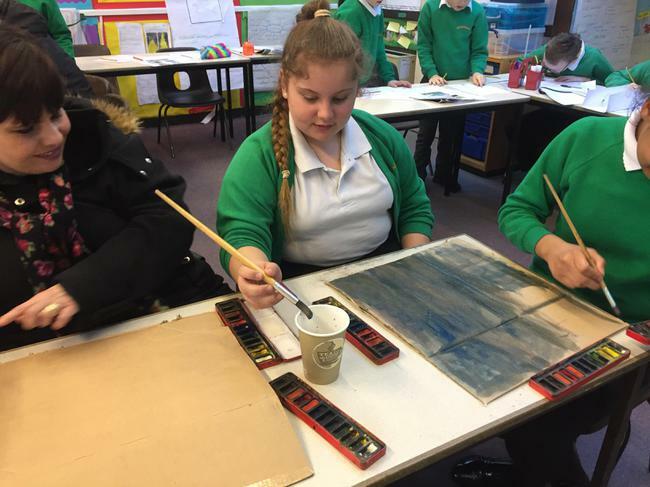 Year 6 wrote poems and created art inspired by the war artist Henry Moore. 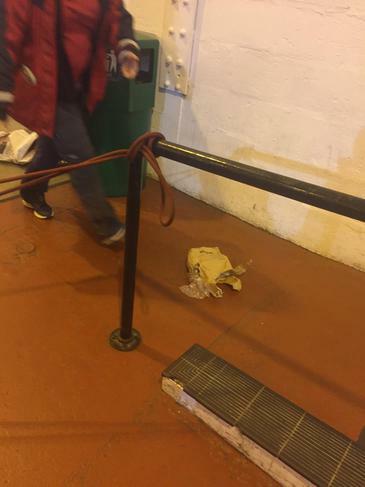 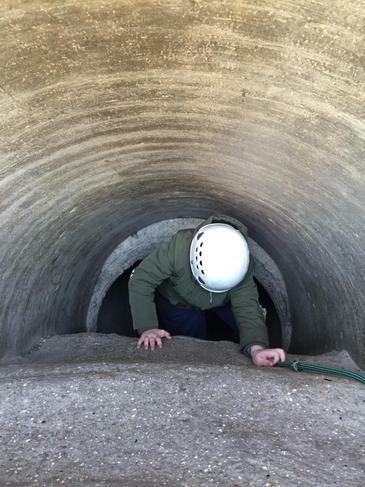 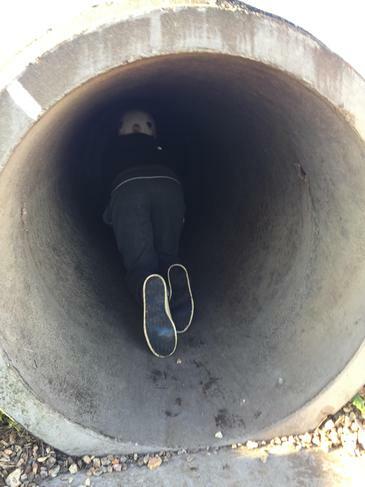 He sketched those hidden in the subways and captured their fear but also their comradery. 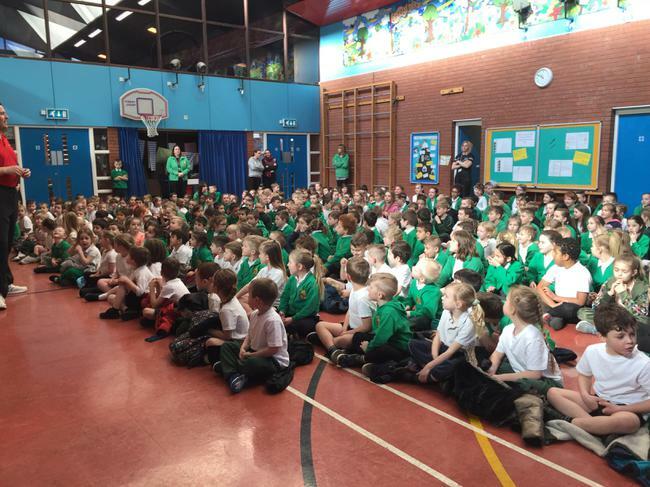 On remembrance day we remembered those who had fallen and those still representing our country today. 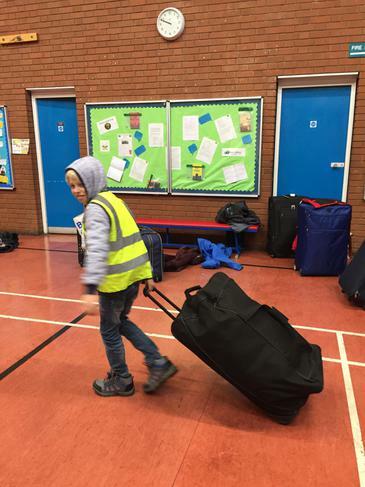 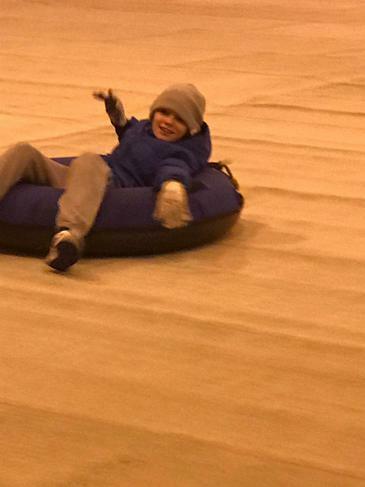 We think of those who are currently fleeing conflict and are seeking refuge from others. 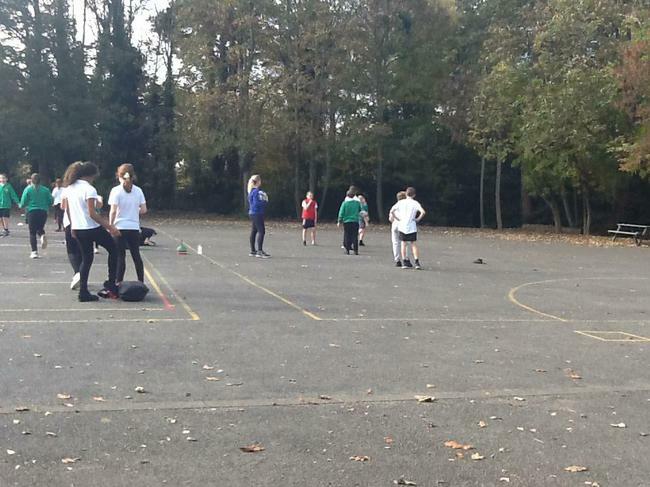 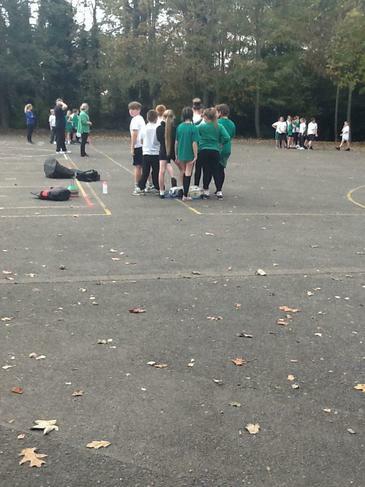 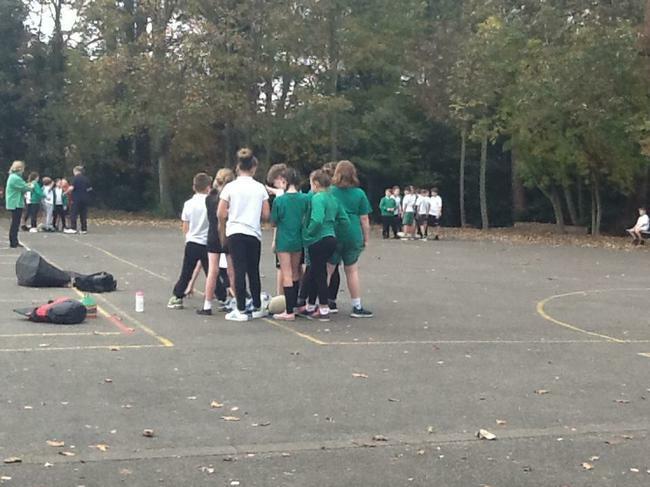 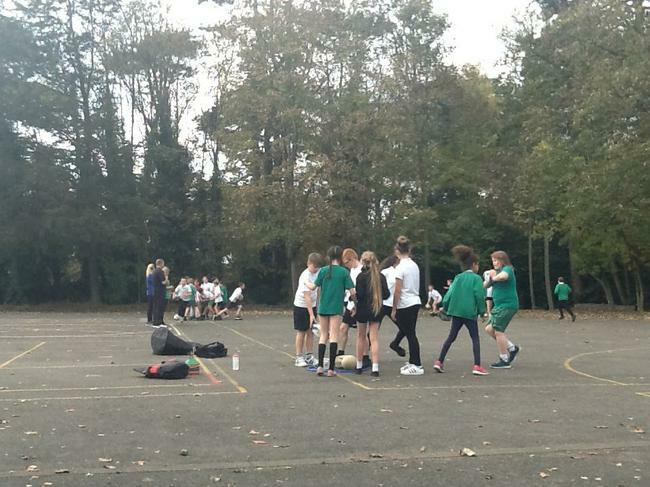 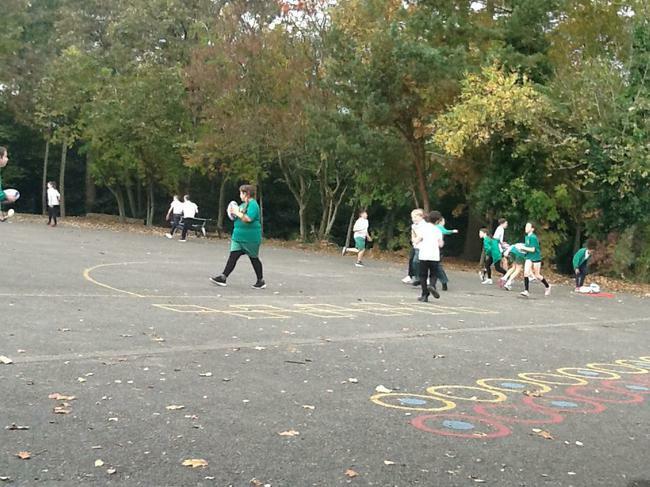 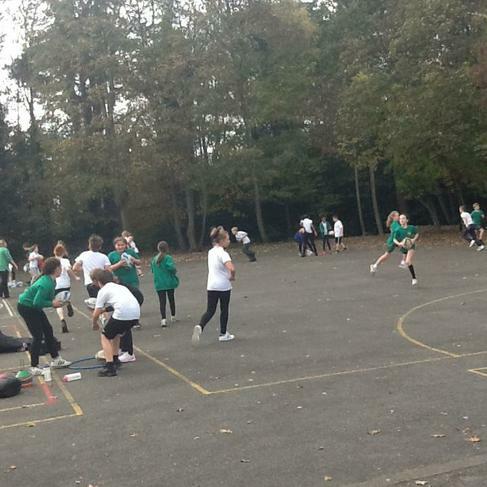 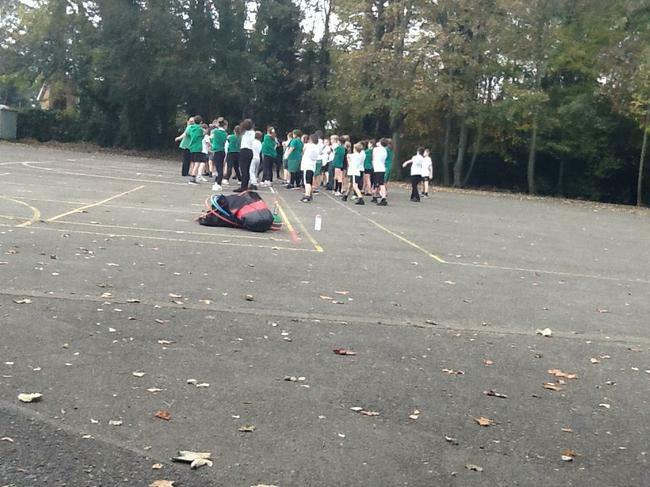 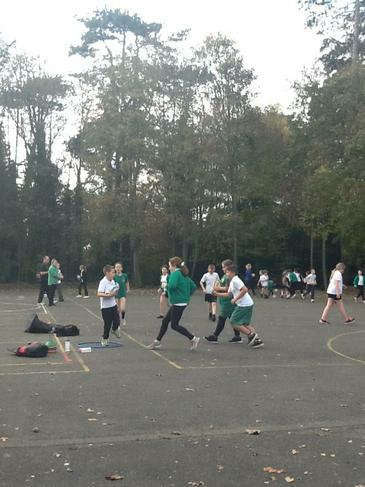 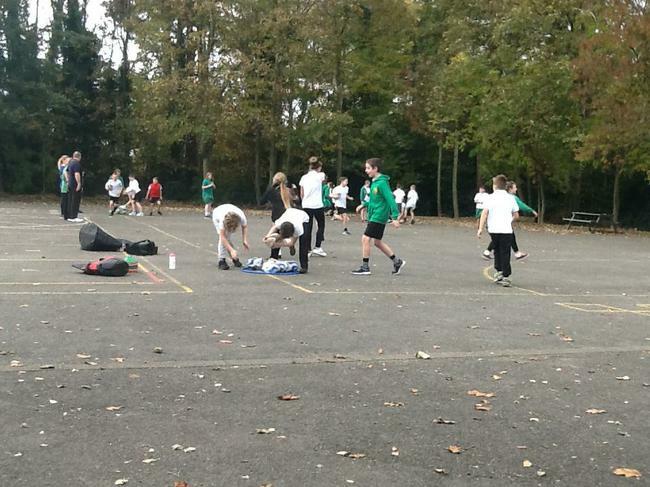 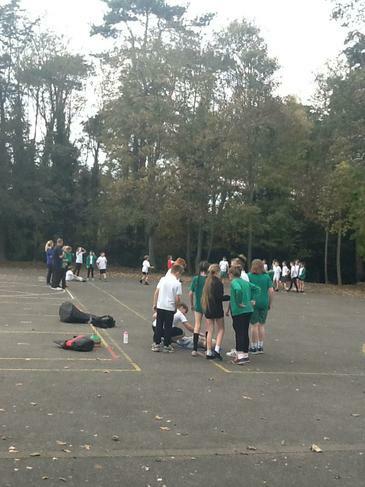 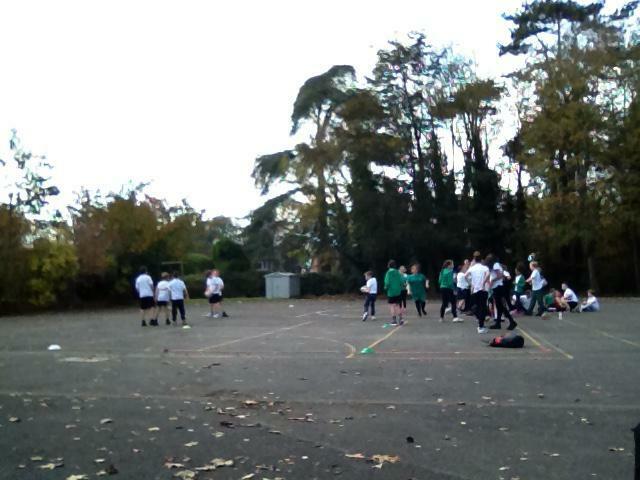 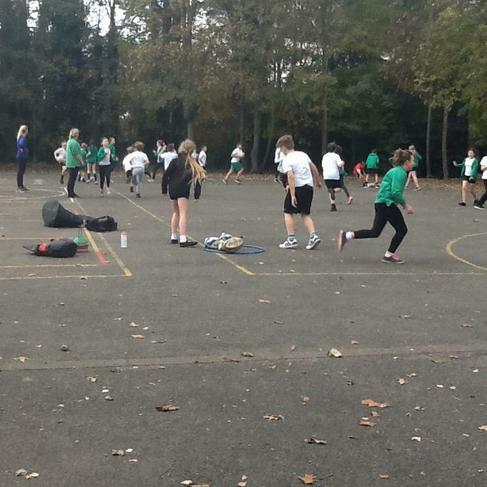 Year 6 have started a new sport this half term, Tag Rugby. 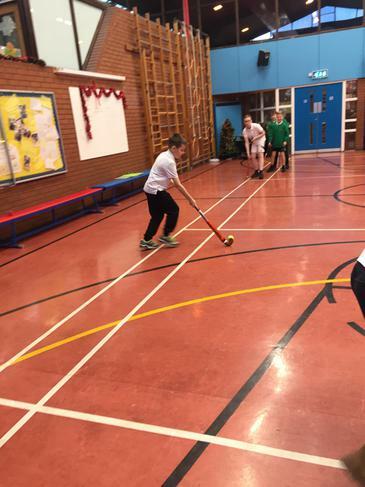 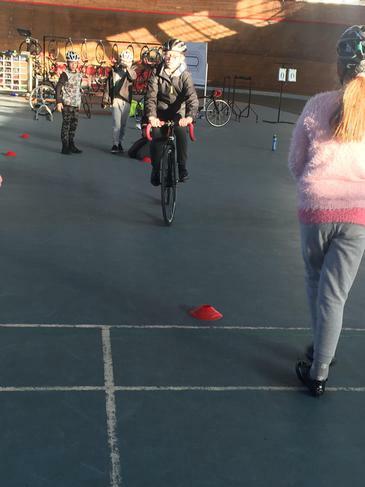 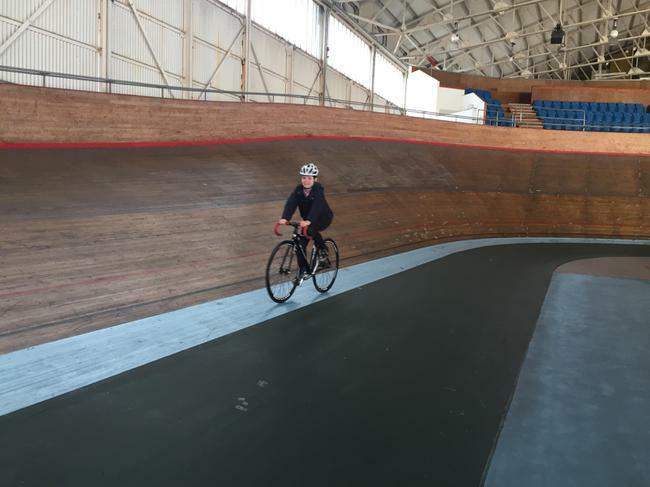 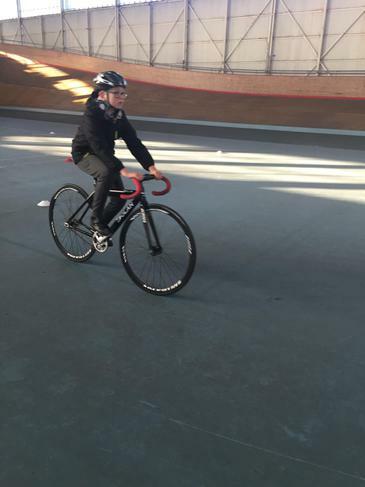 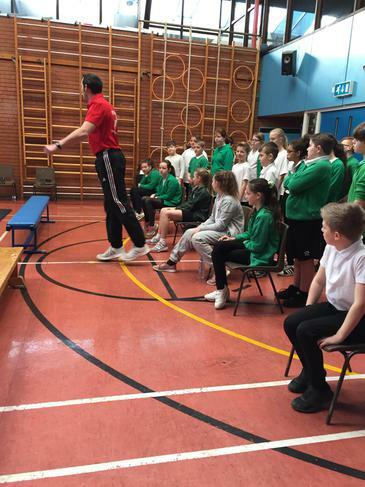 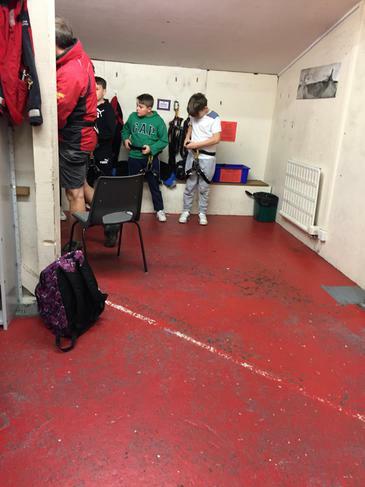 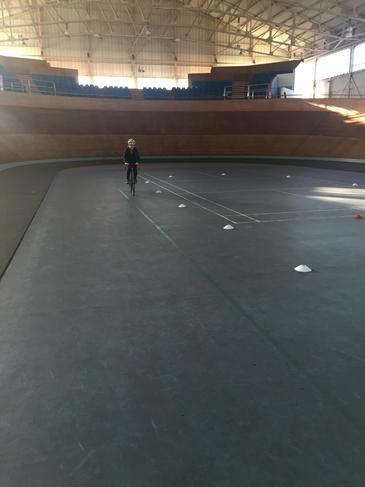 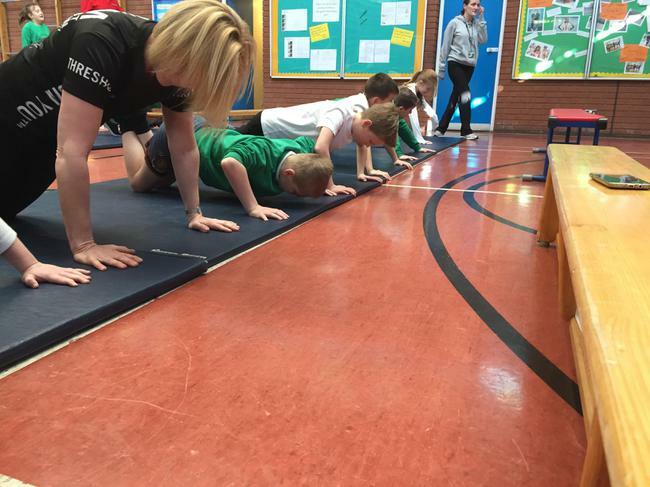 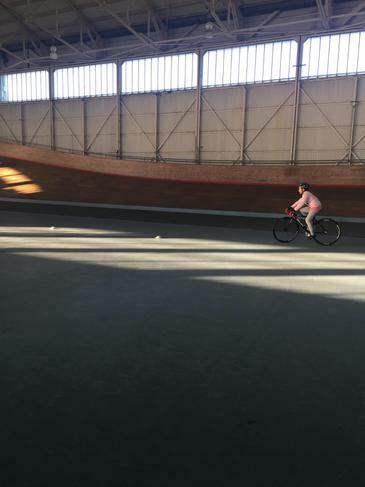 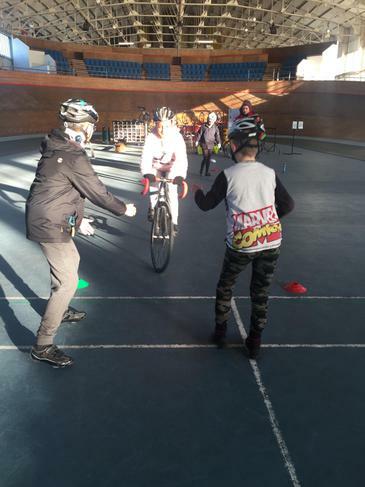 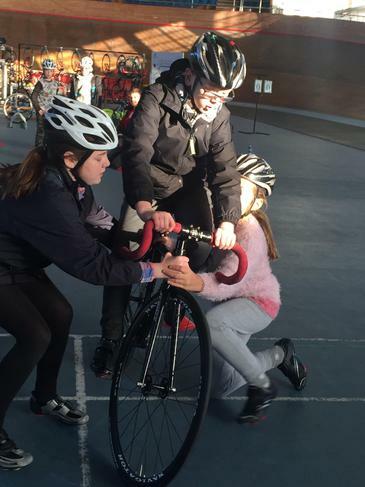 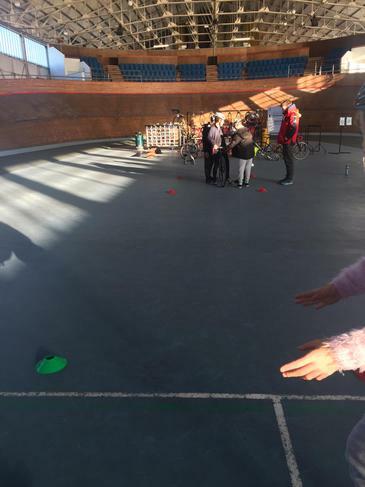 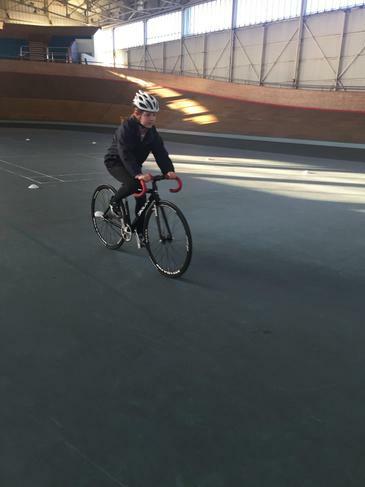 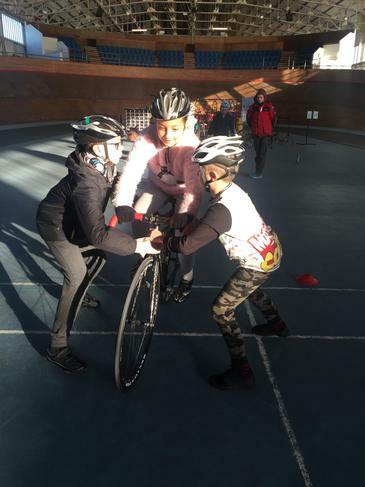 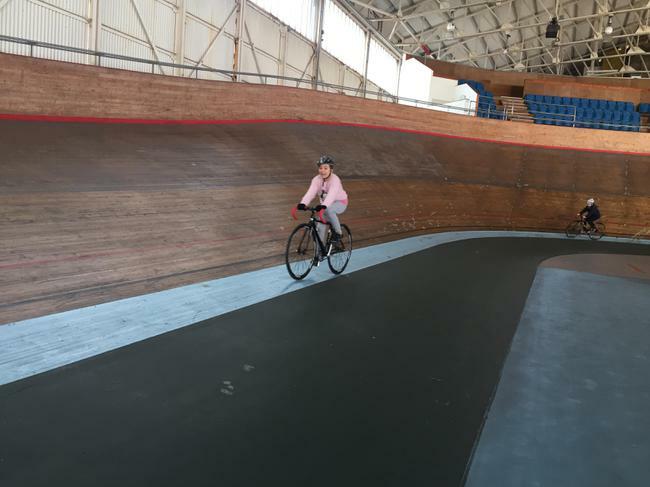 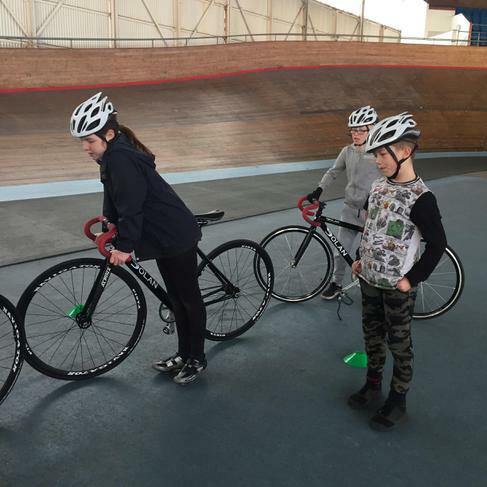 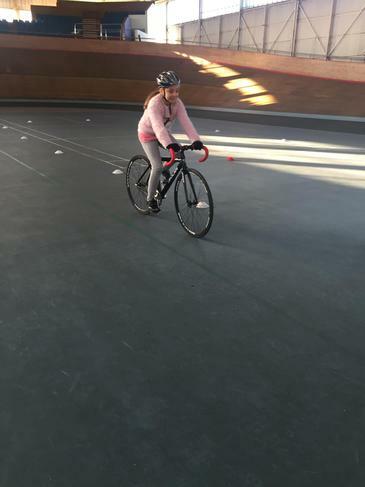 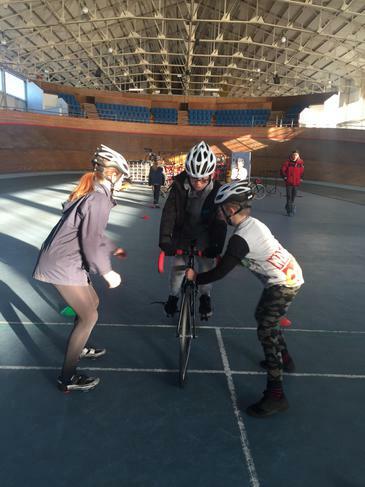 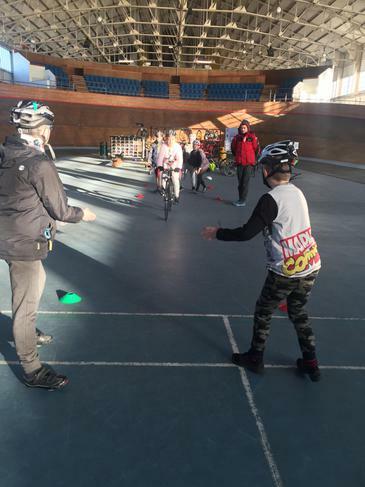 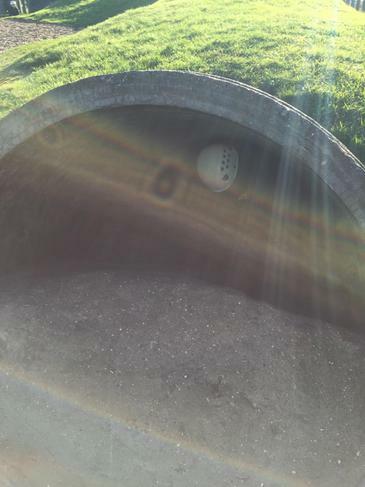 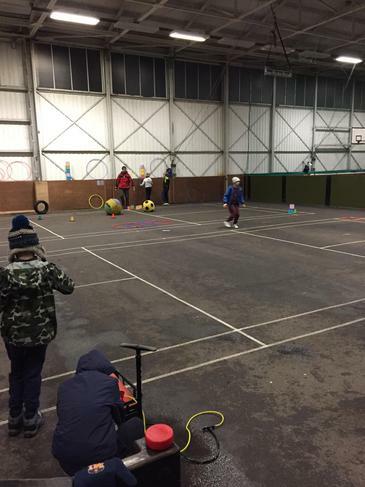 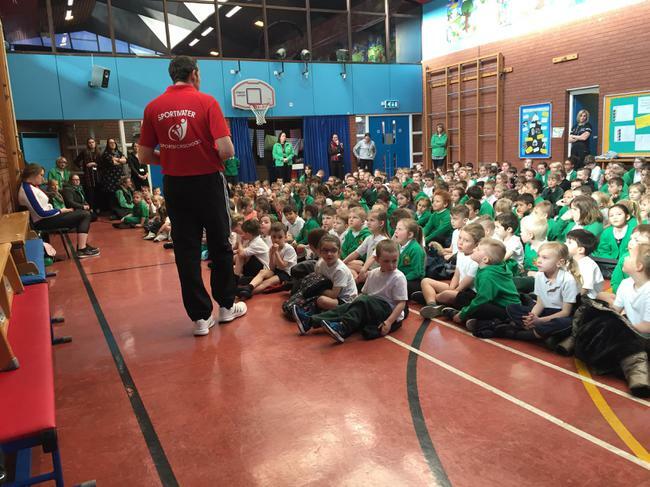 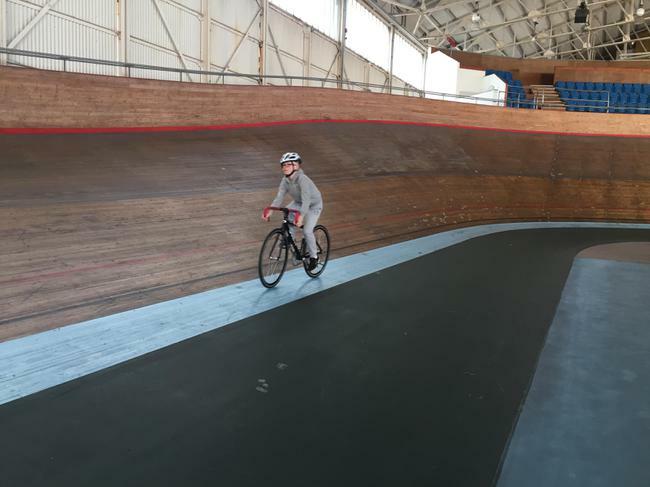 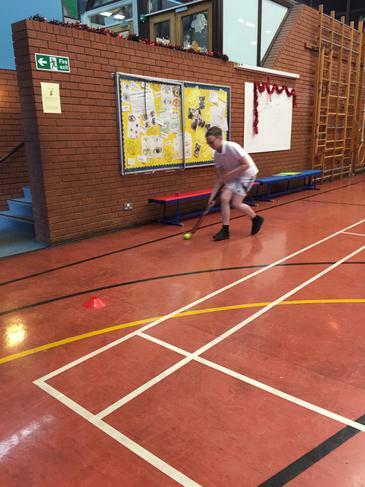 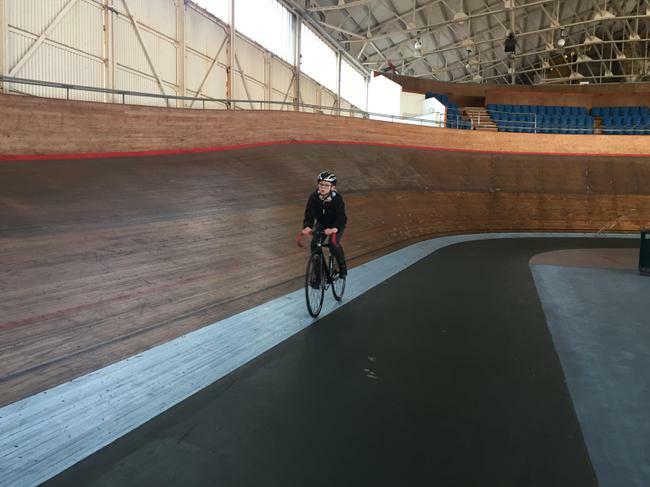 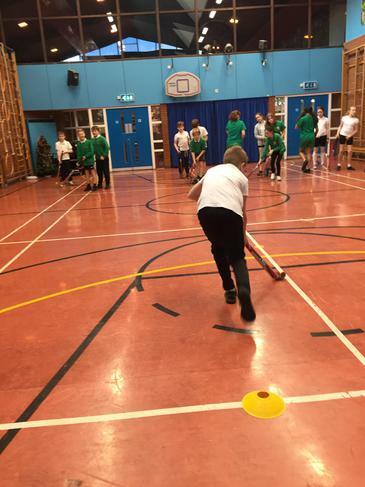 Pupils will be learning how to use the correct technique and the rules of the game. 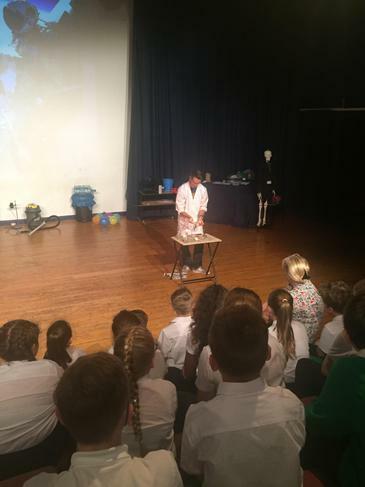 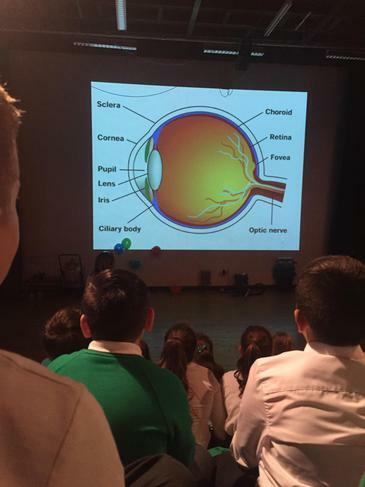 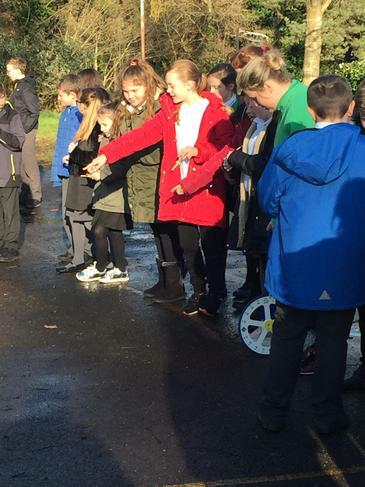 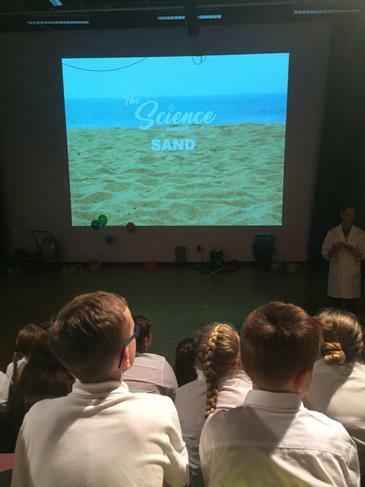 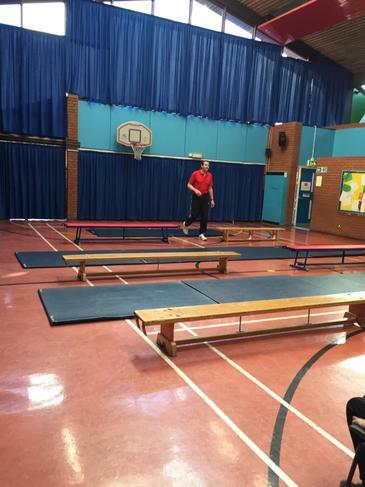 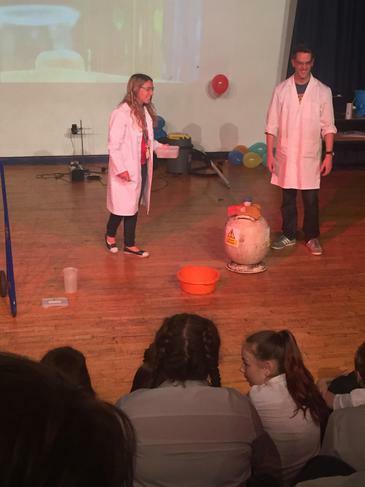 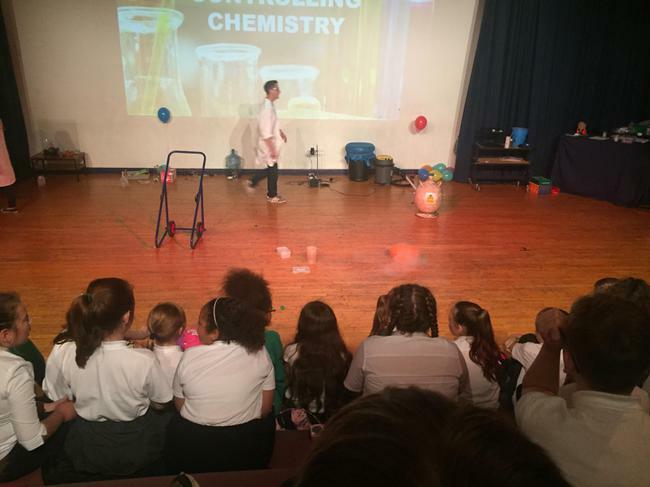 Year 6 were invited to Crookhorn to watch their science show. 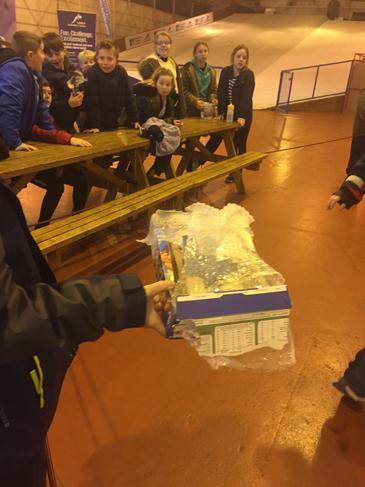 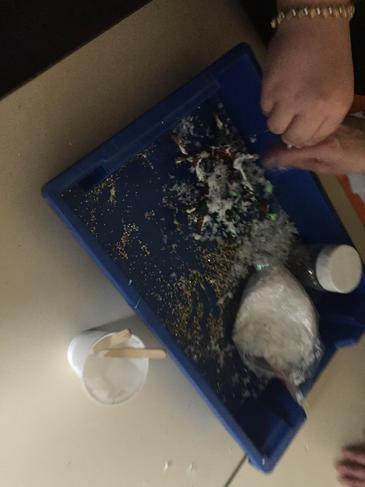 We were able to ask numerous questions and watch a range of experiments. 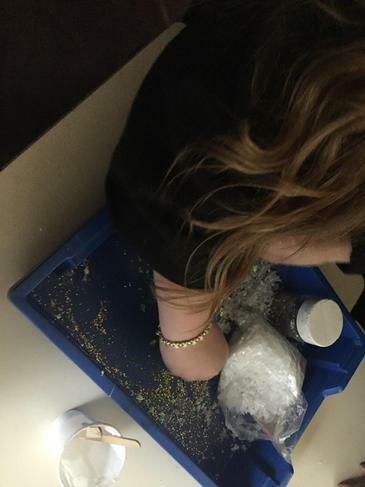 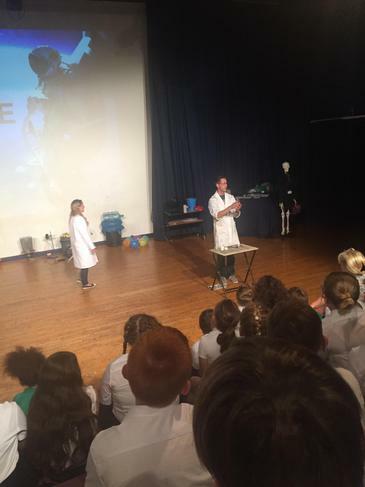 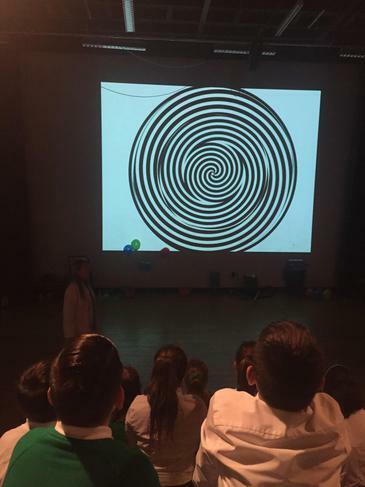 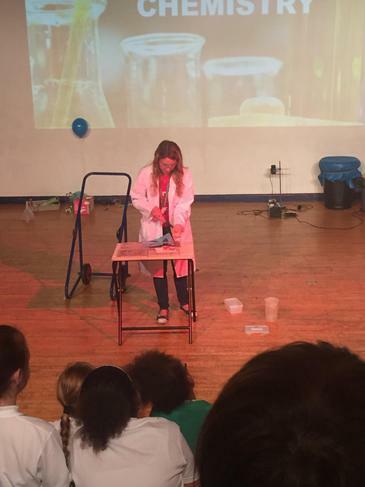 We learnt about liquid nitrogen, air pressure and how your mind can play tricks on you. 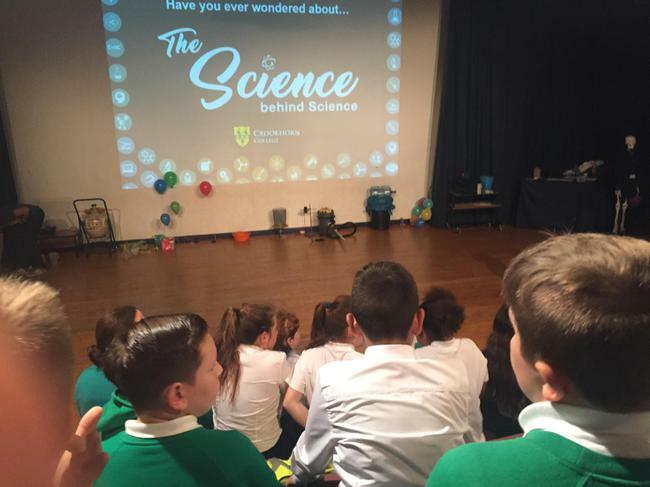 We were praised for asking insightful questions and our behaviour throughout the show. 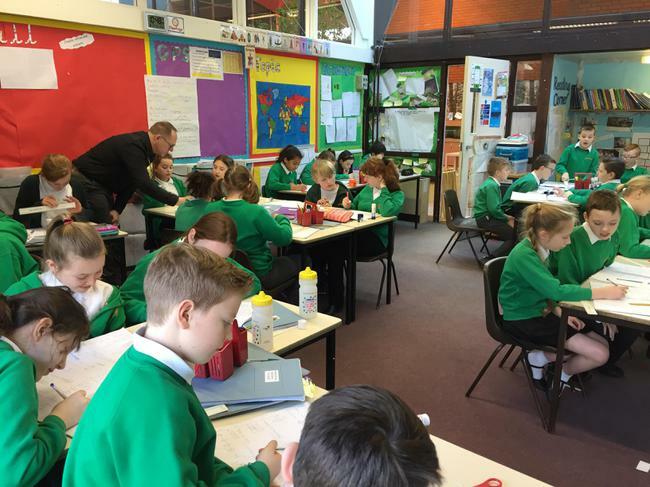 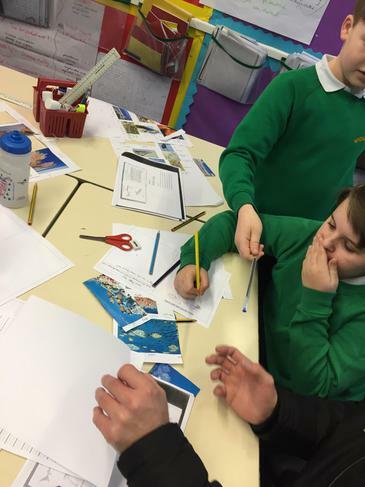 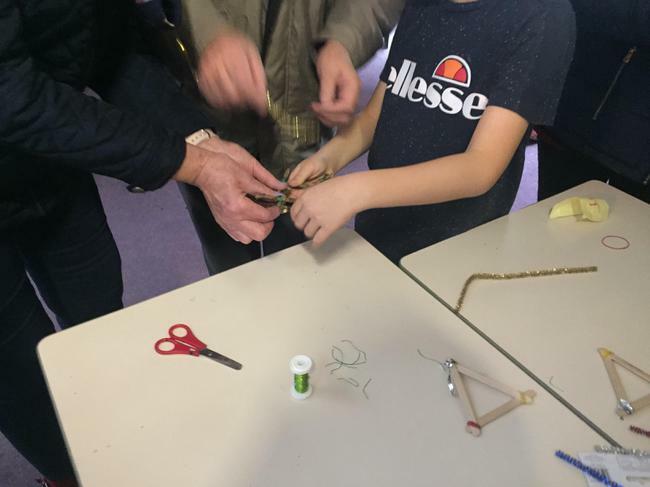 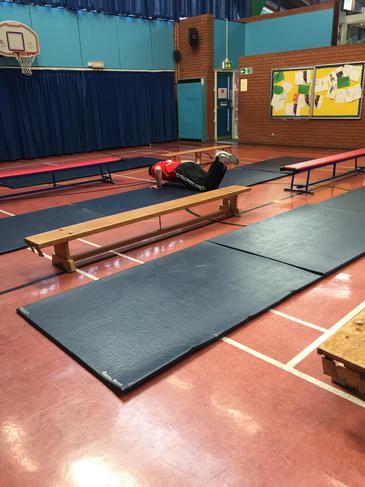 Year 6 would like to thank all the parents that were able to attend Open classroom to see your child's learning environment and their current learning. 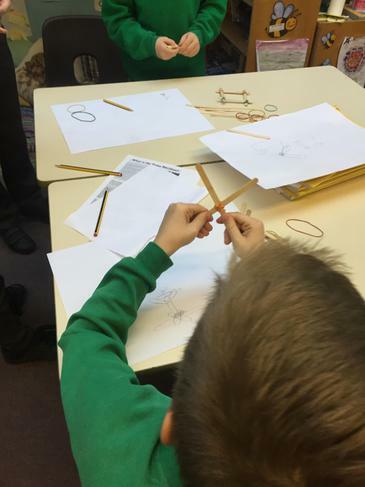 The children were extremely proud to show off their learning to you. 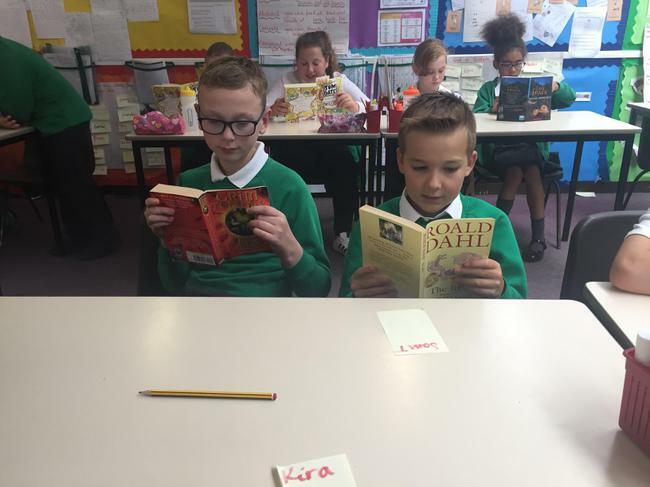 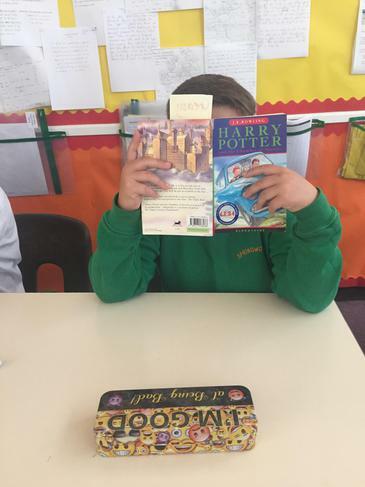 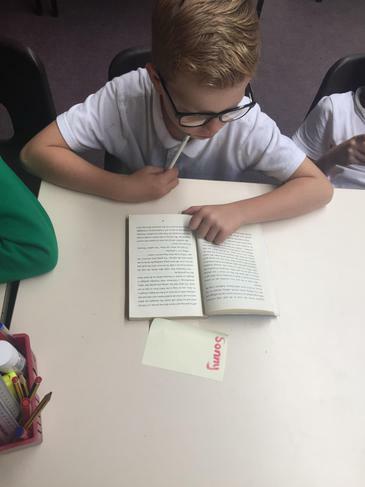 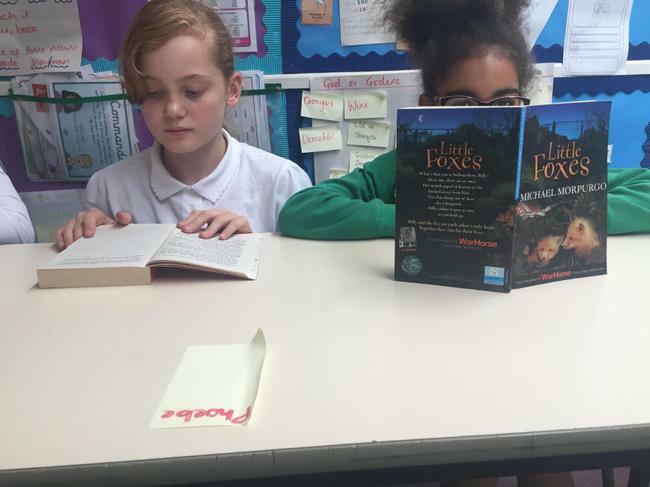 Year 6 have been showing off their love of reading, selecting books to read silently and speak to other peers about they have read. 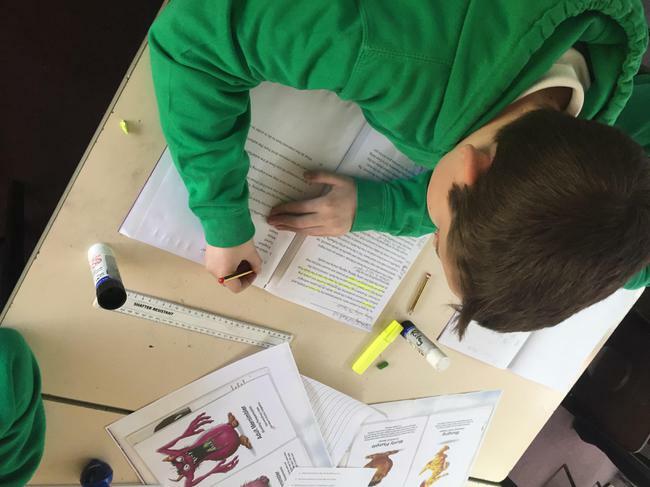 Pupils are currently reading War Horse as a class text and using extracts and clips from the movie to support their writing unit. 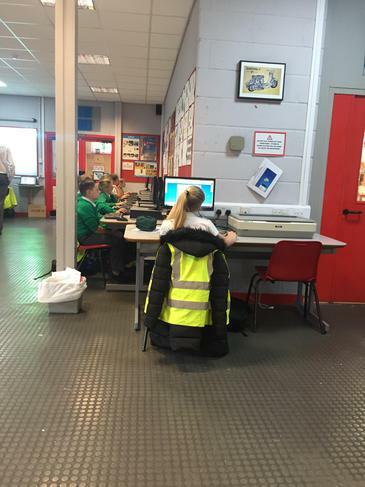 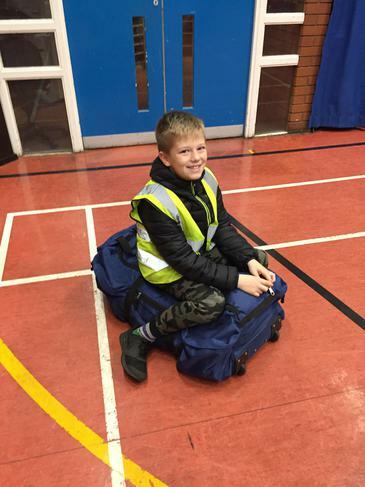 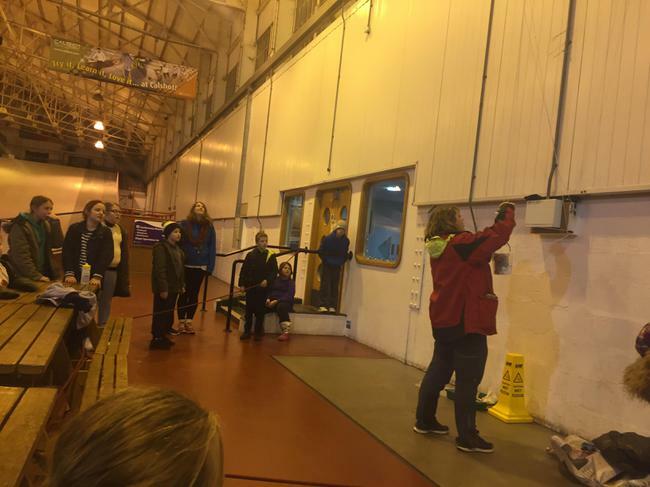 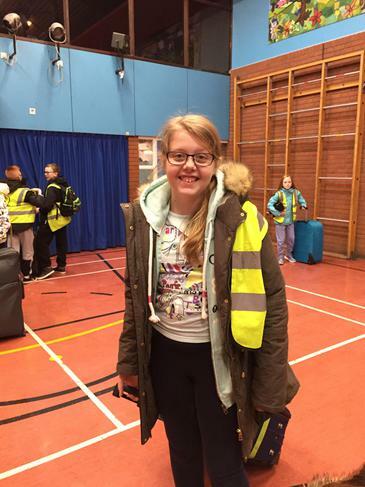 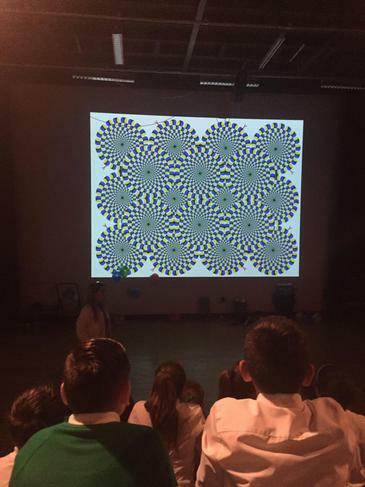 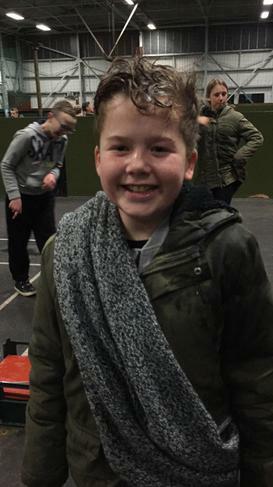 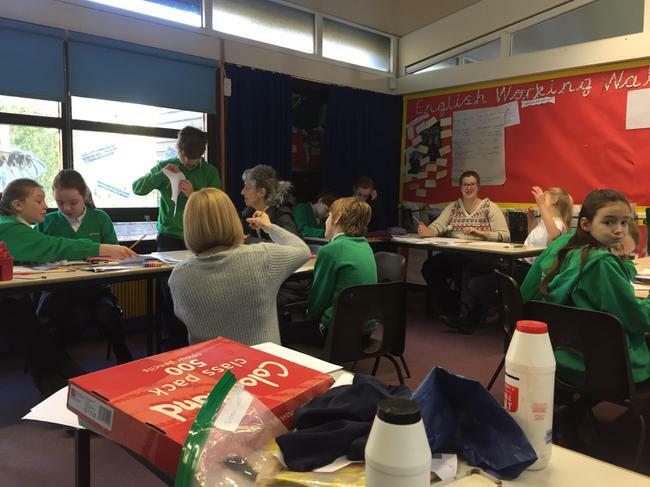 Some pupils from year 6, were randomly selected to attend a Technology of Memory event at Crookhorn. 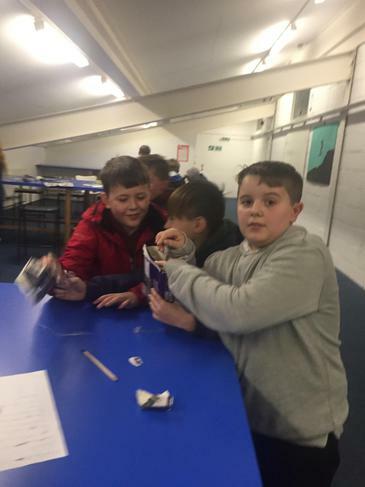 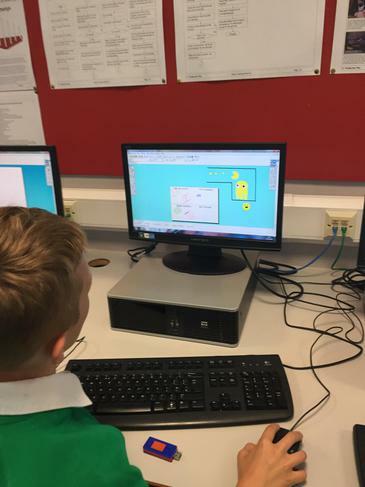 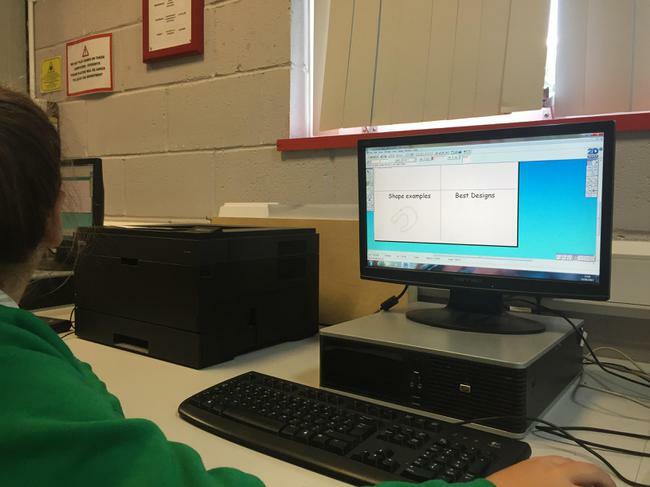 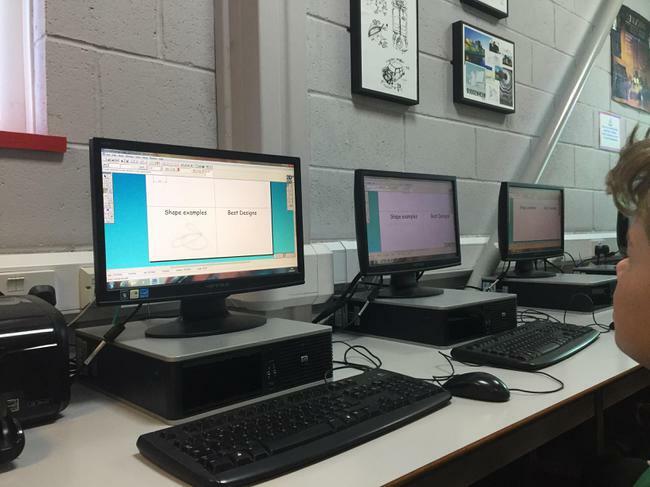 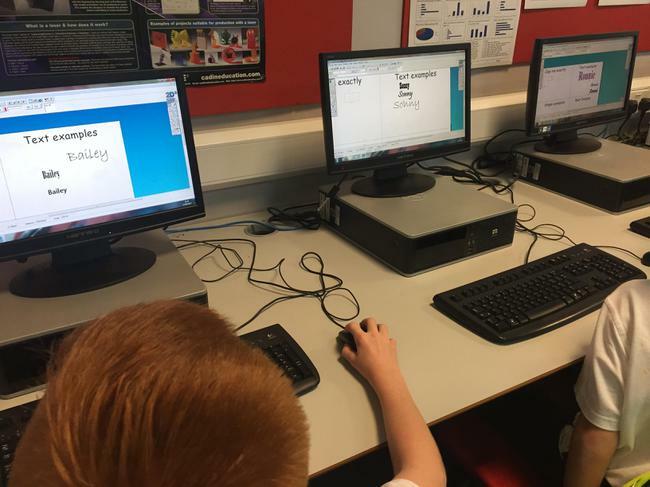 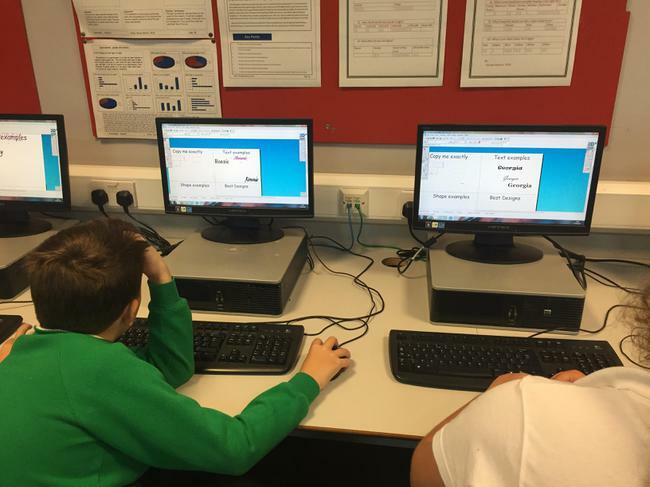 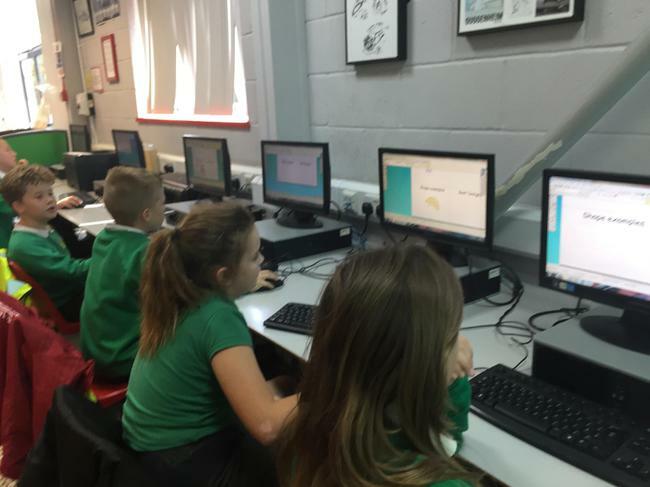 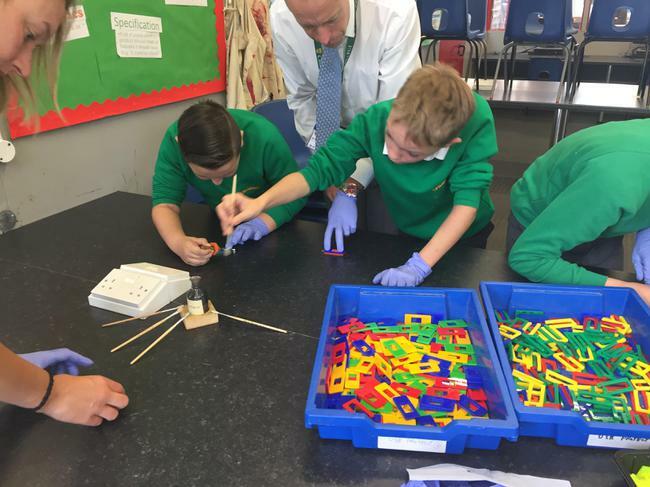 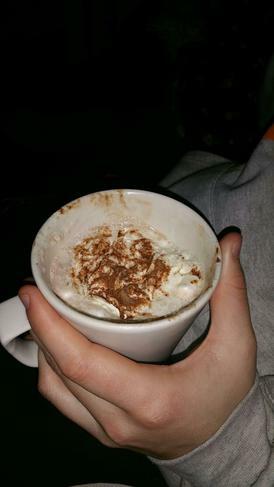 They were able to use computers to design their own memory stick and stick the components to ensure it would work correctly. 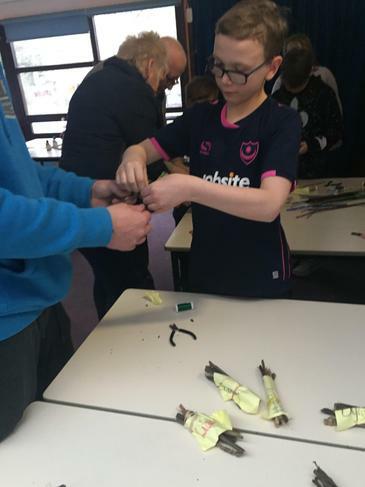 'I can't believe I made my own memory stick!' 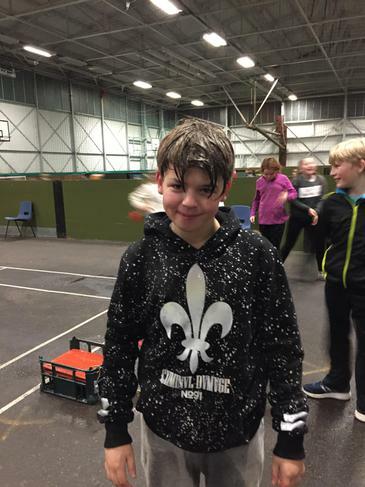 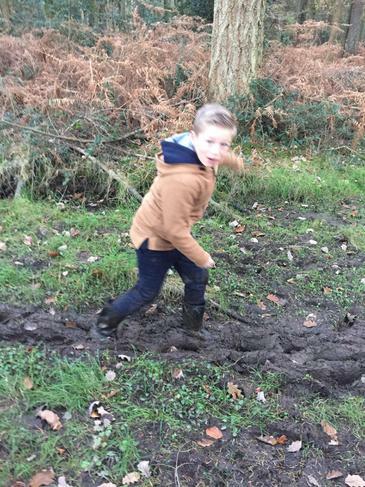 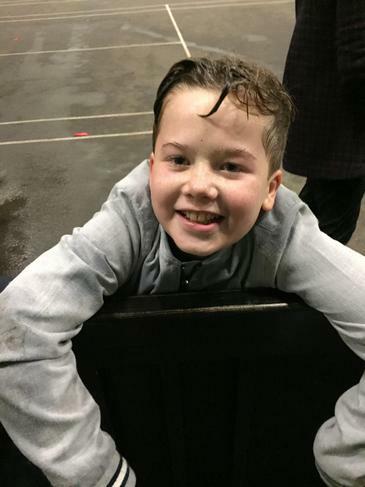 stated Alfie. 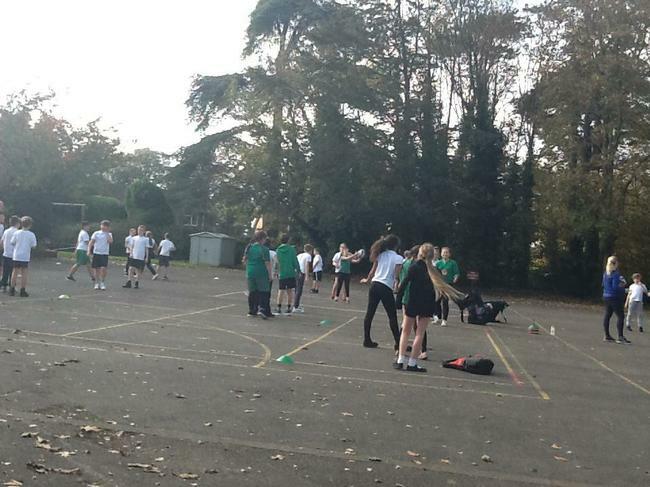 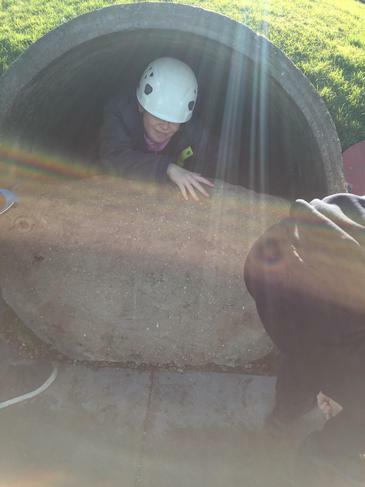 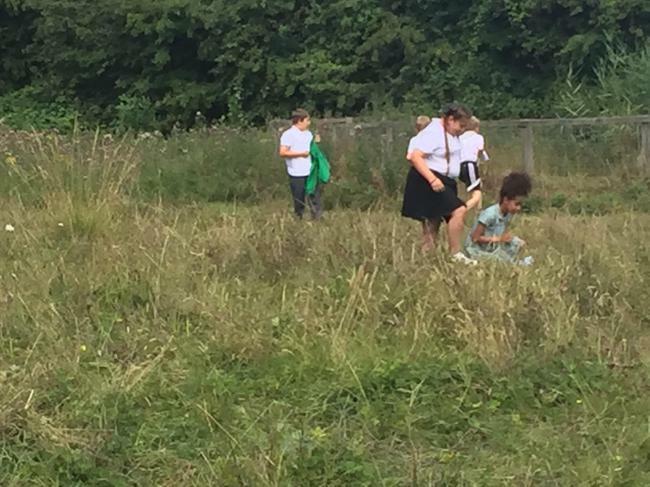 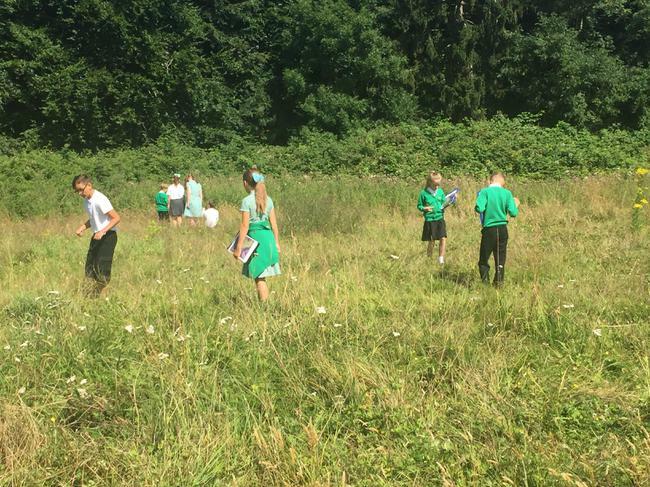 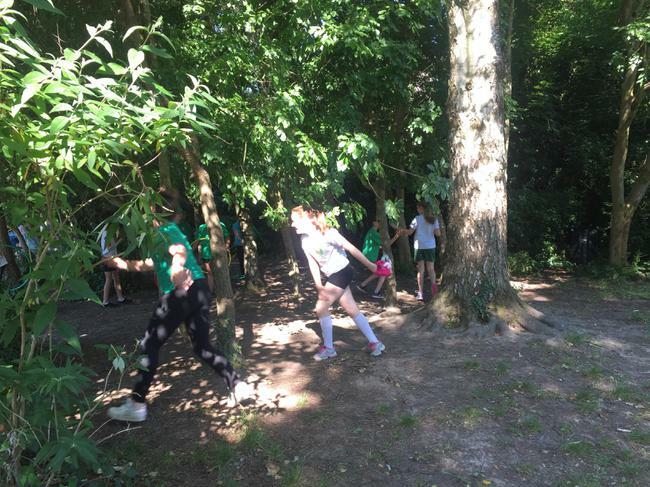 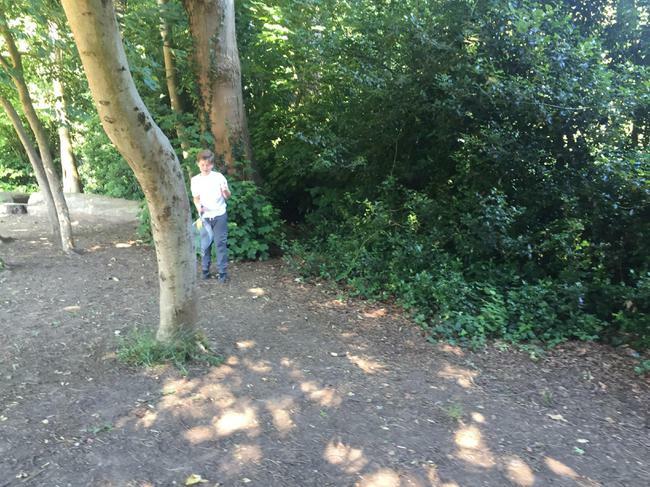 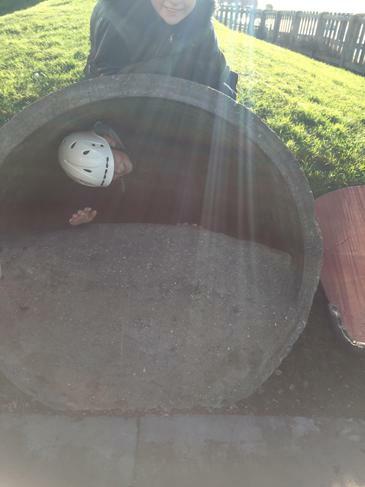 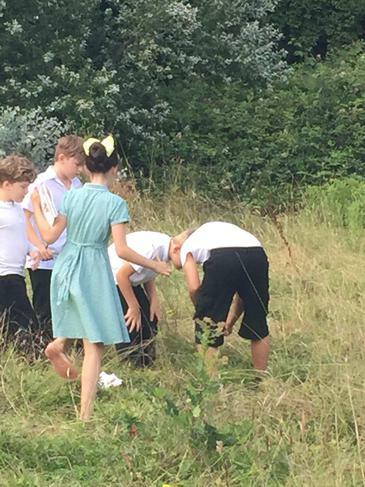 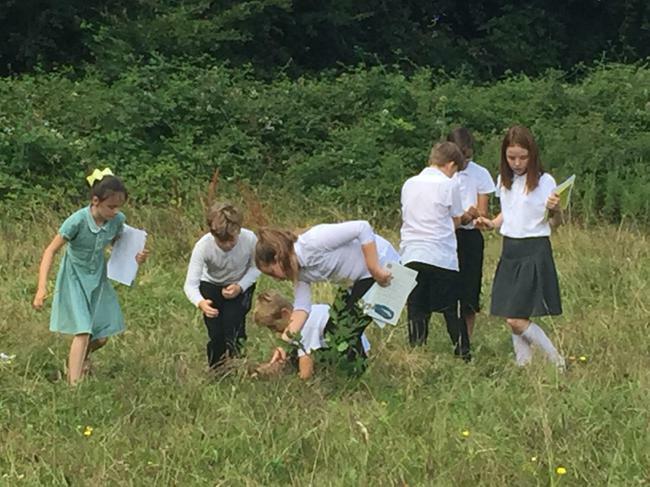 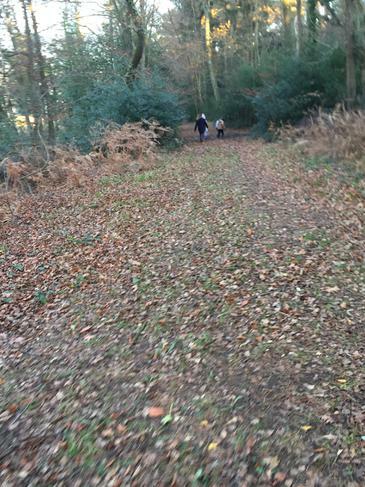 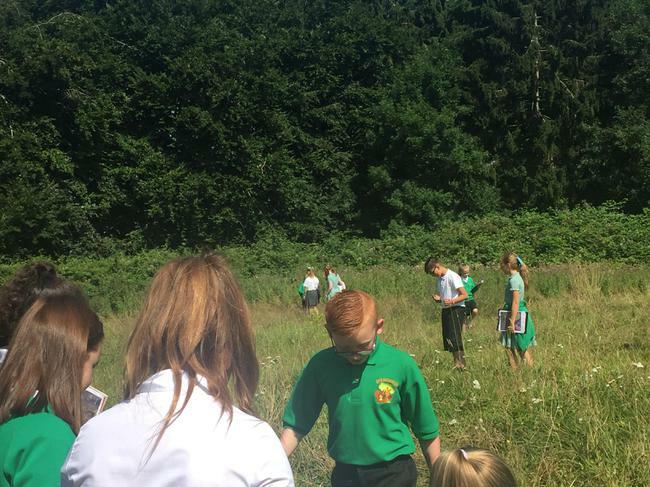 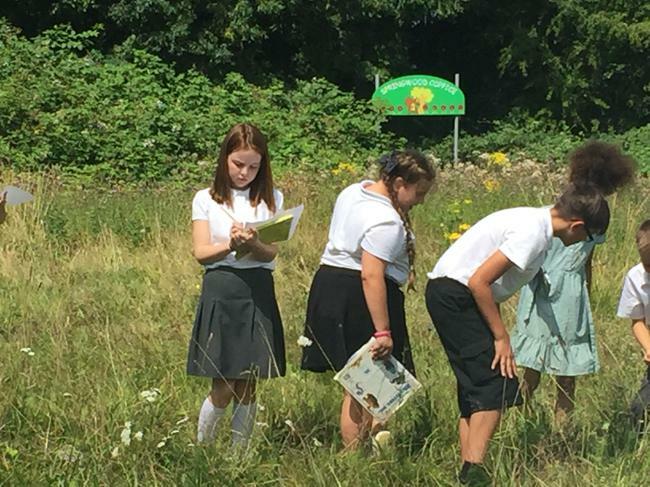 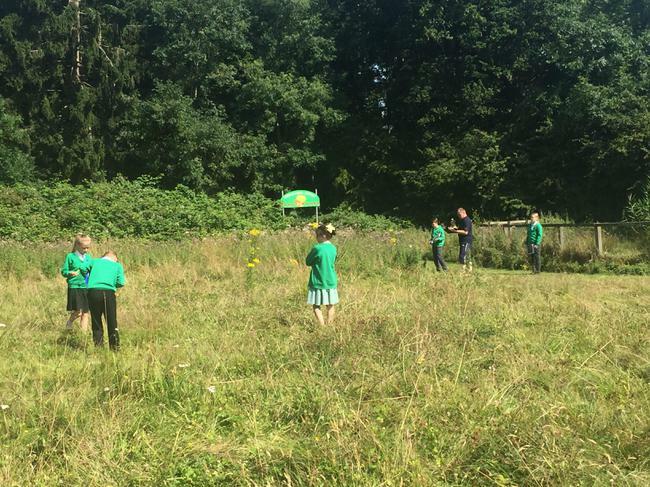 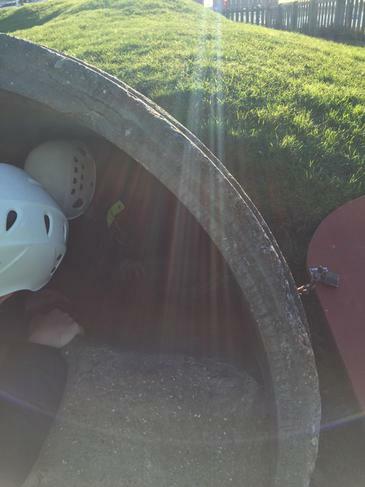 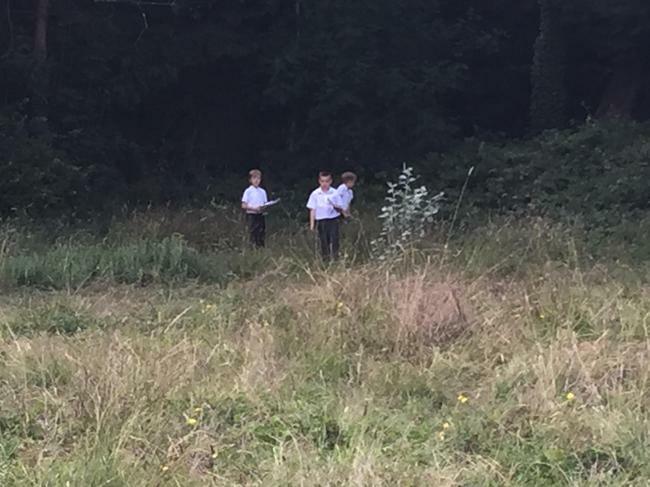 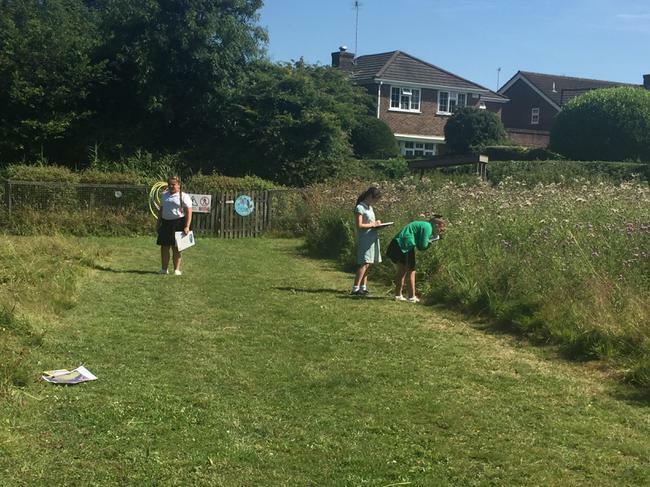 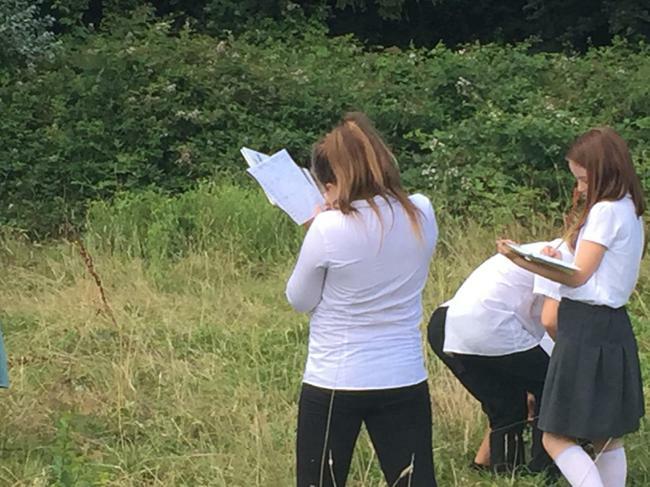 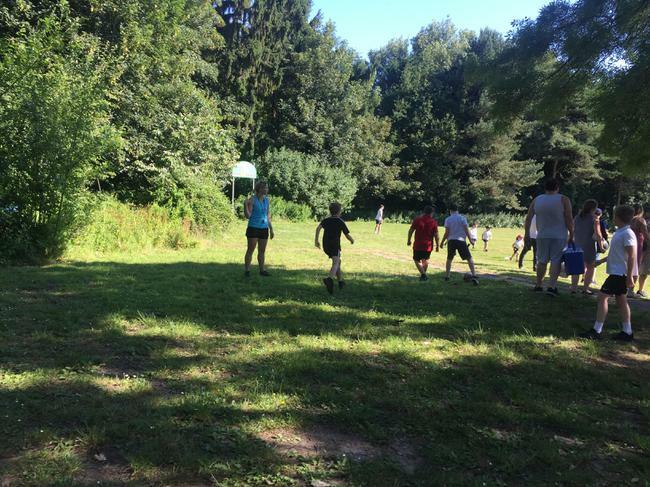 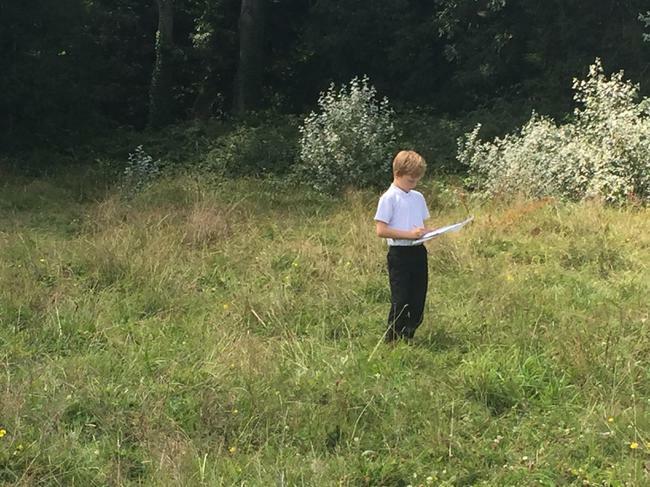 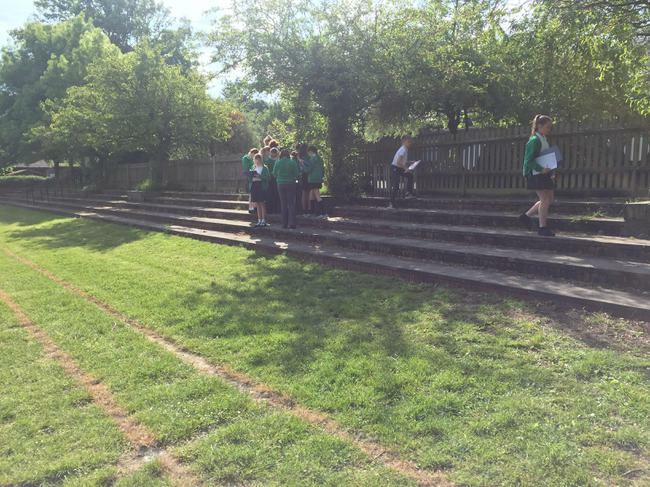 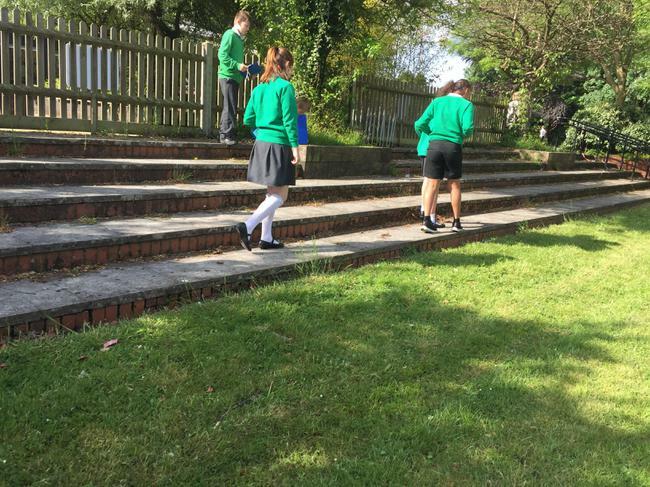 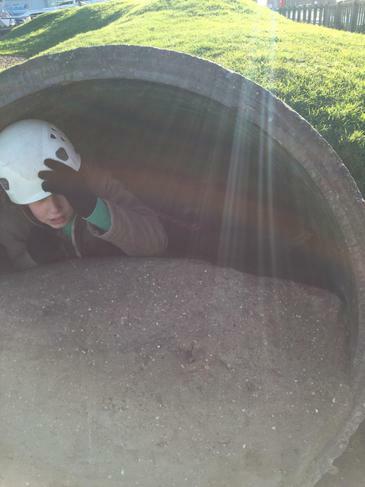 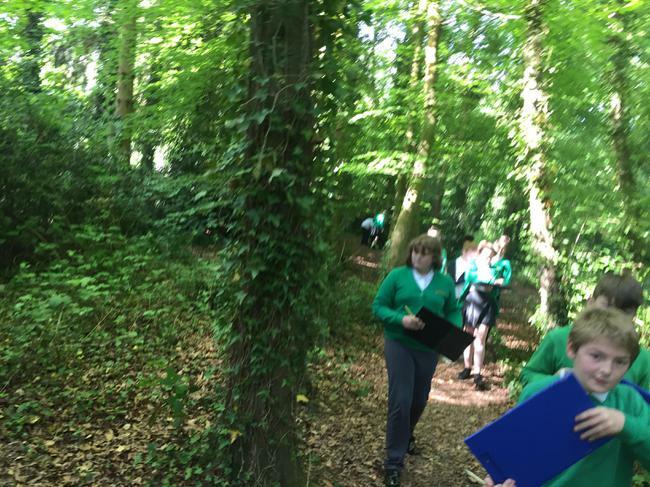 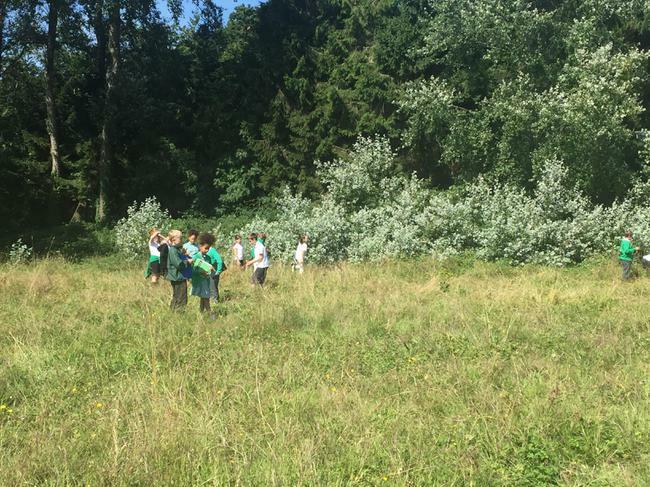 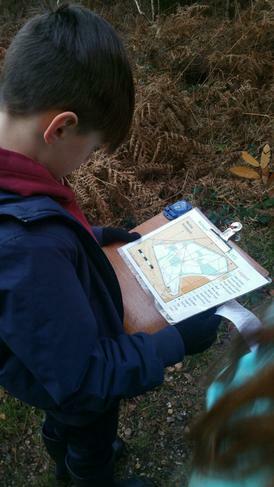 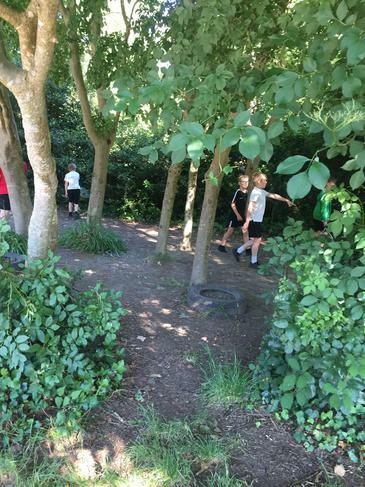 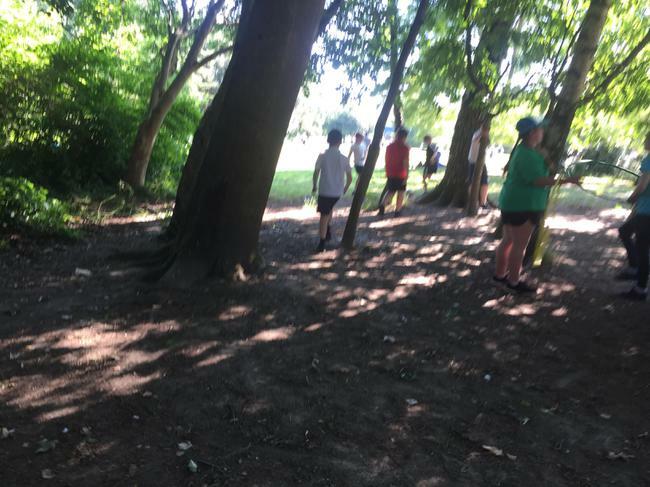 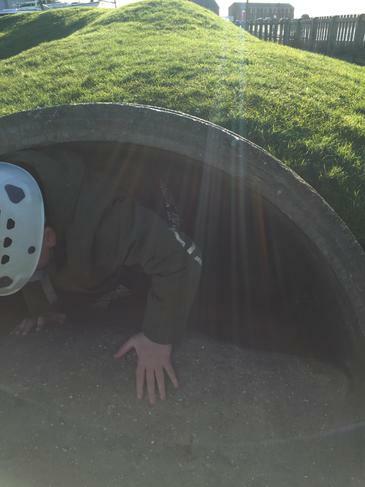 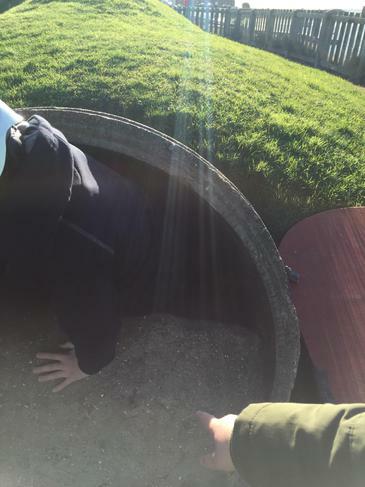 During our first week in year 6, we have explored the outside environment to start our longitudinal study. 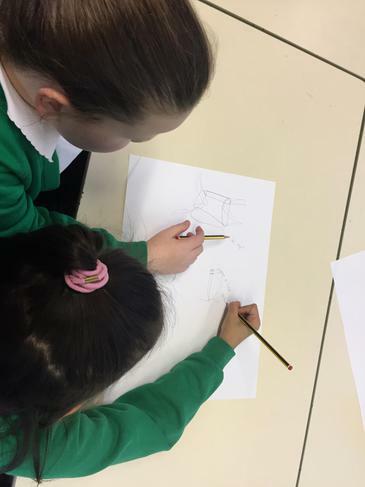 We are learning about our class creature and comparing it to other classes. 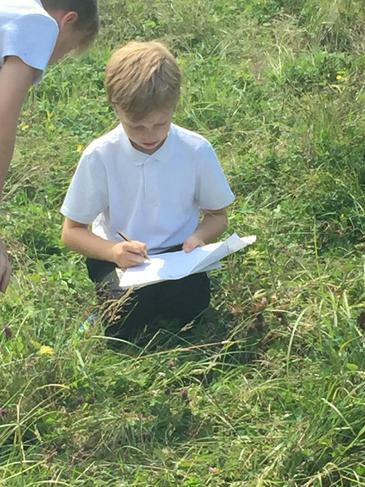 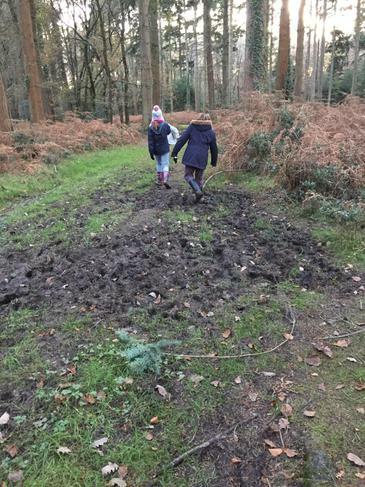 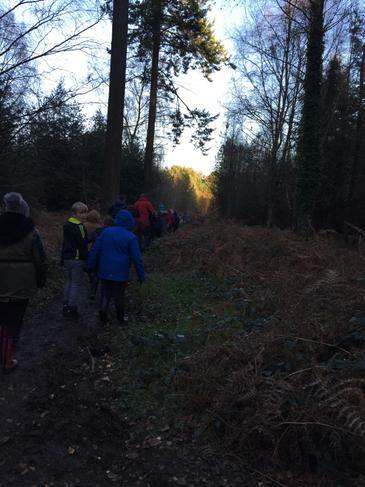 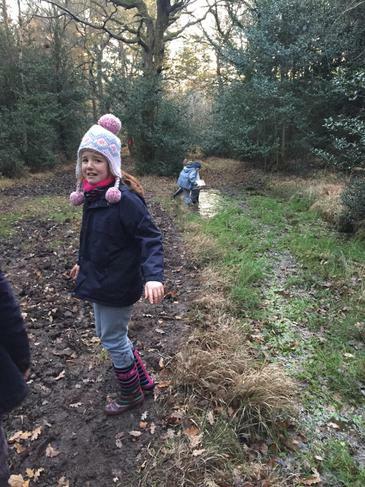 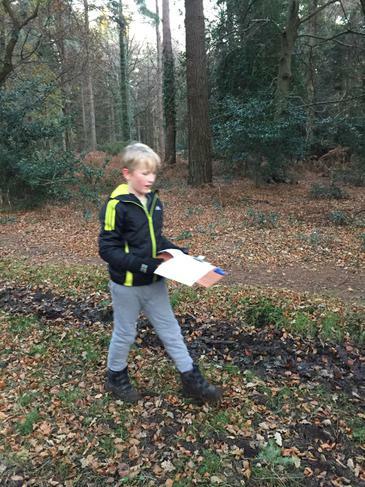 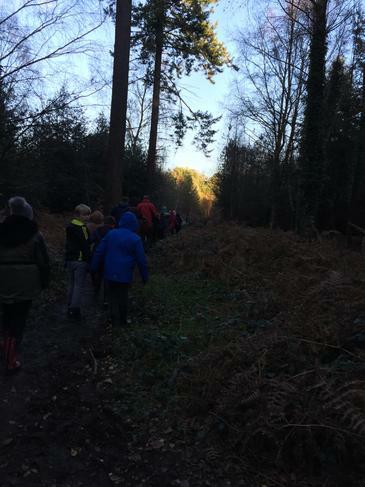 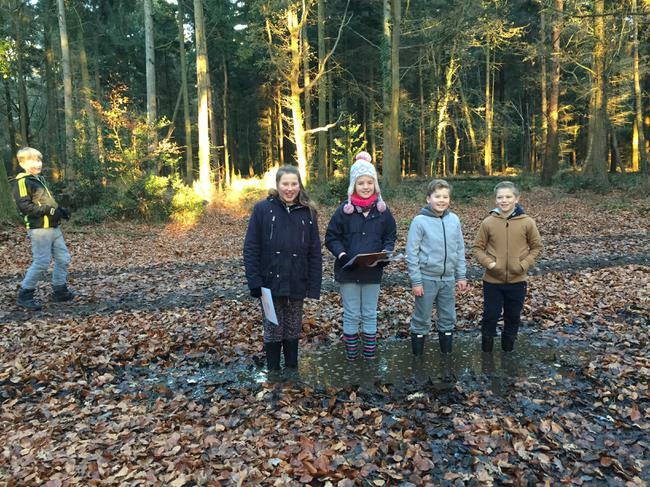 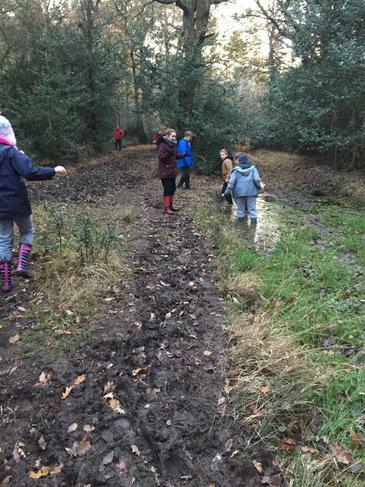 We are also exploring how the seasons and different habitats have a different effect on the amount of class creatures found in each area. 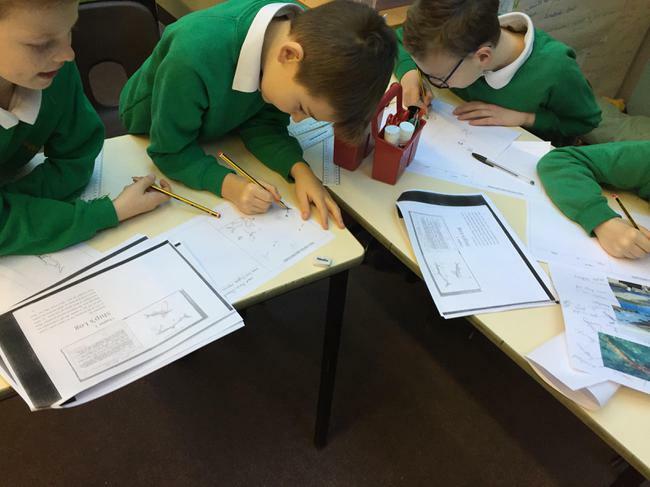 We have also begun our topic based 'Ancient Greek Myths and Legends'. 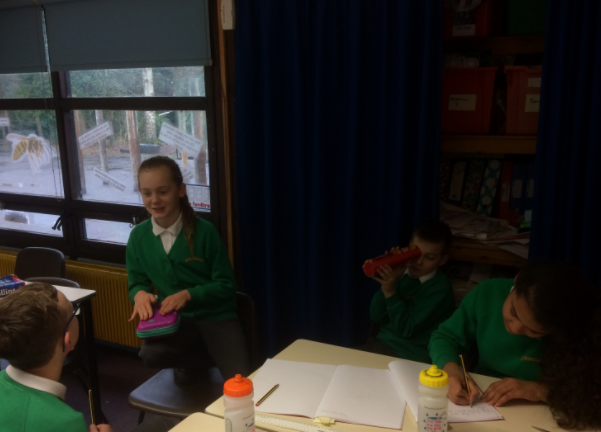 We have learnt about the story of the god, which we have performed to other year groups in sharing assembly. 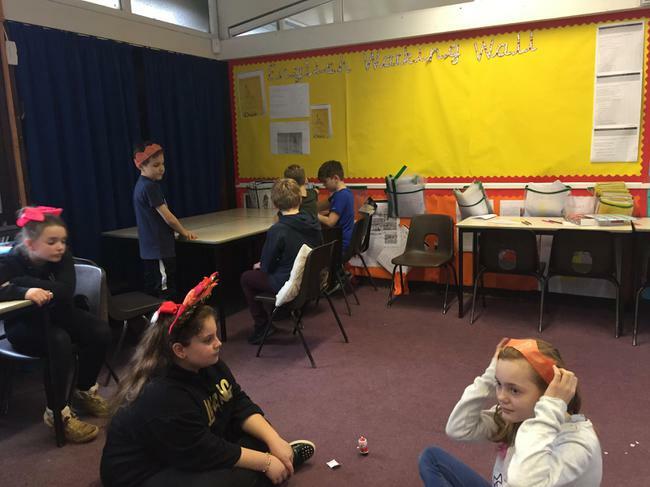 We have learnt some individual stories about each god including he God of War, Ares. 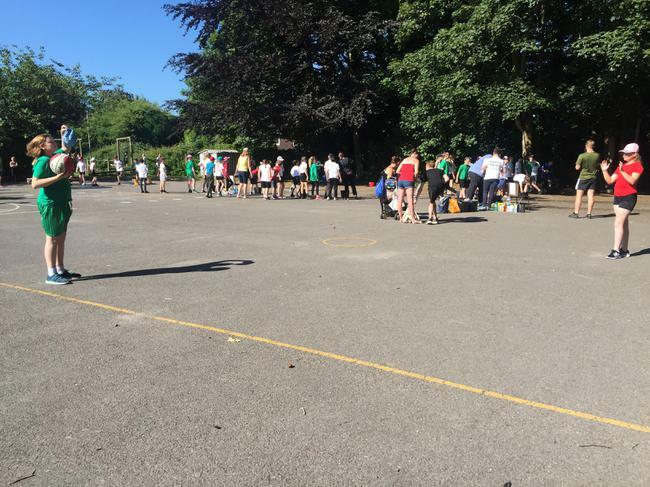 We have enjoyed our first week in year 6 and are looking forward to the year!